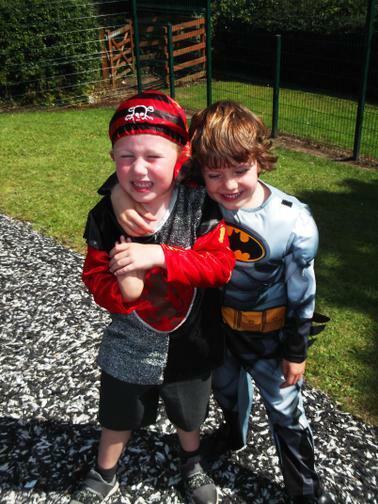 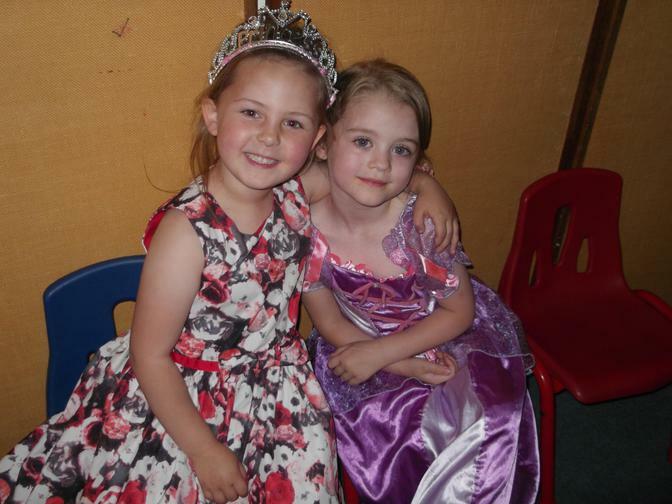 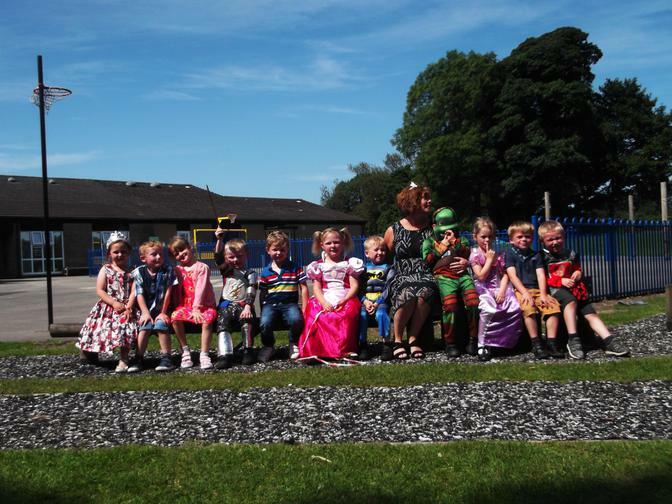 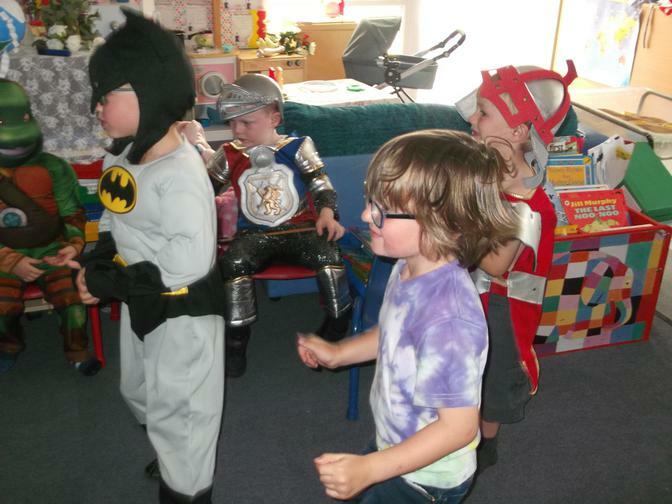 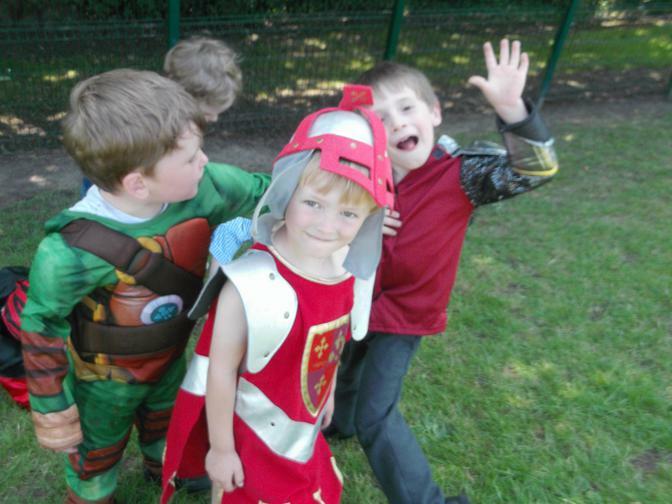 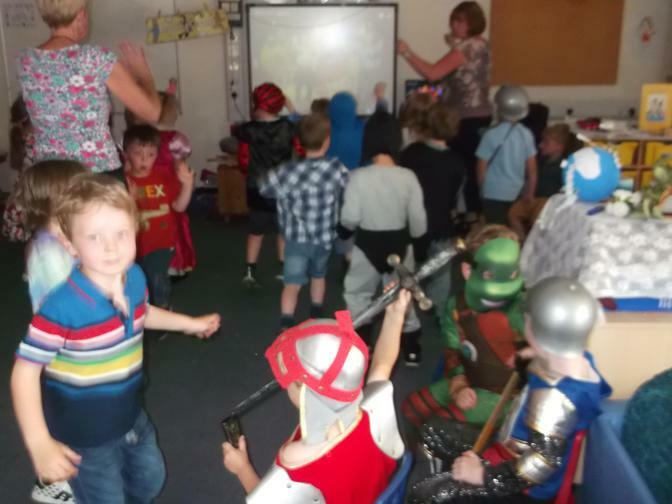 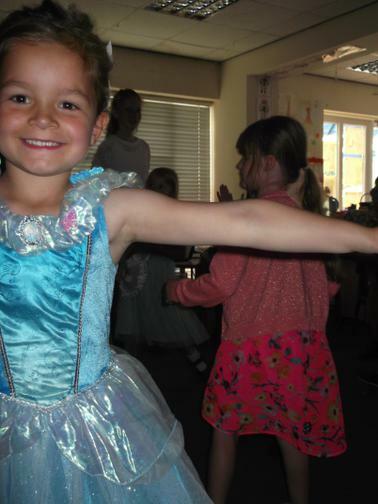 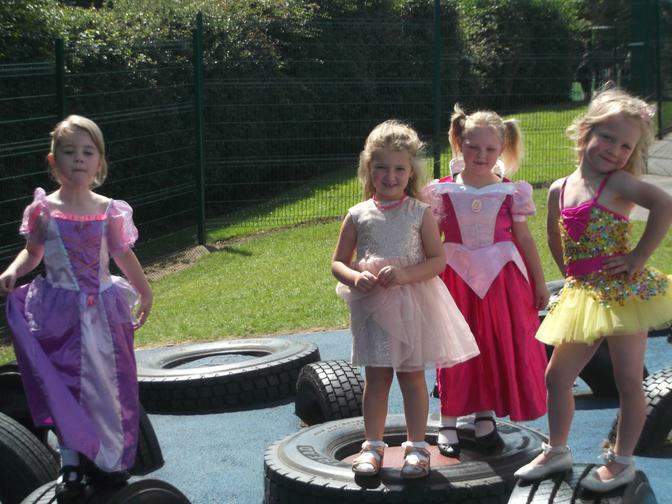 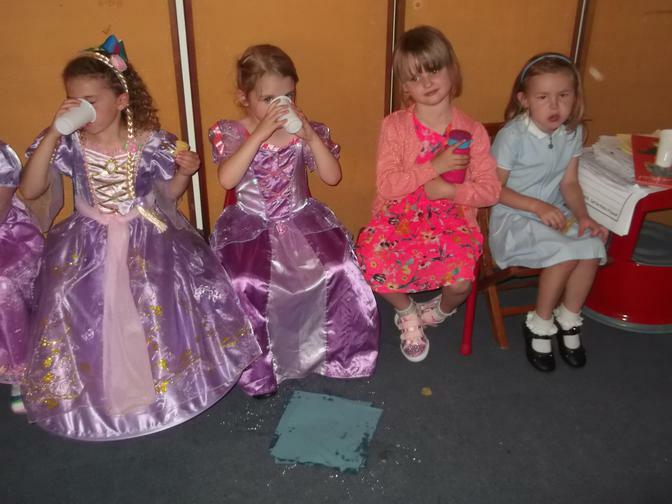 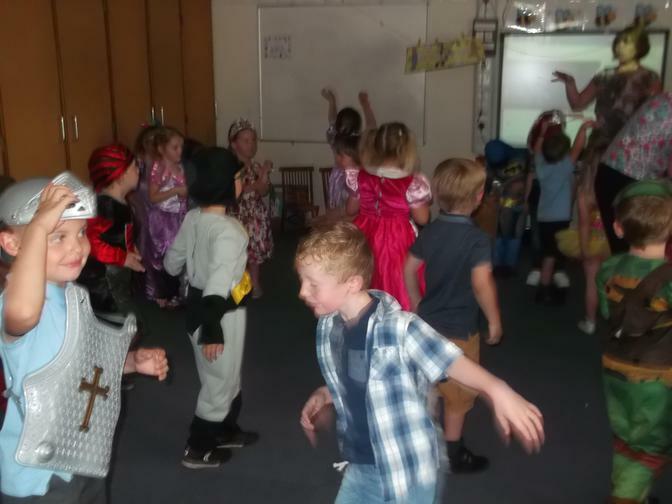 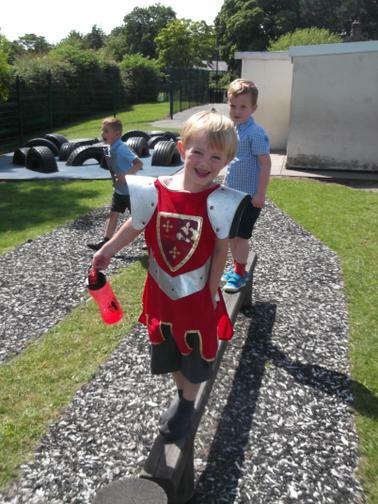 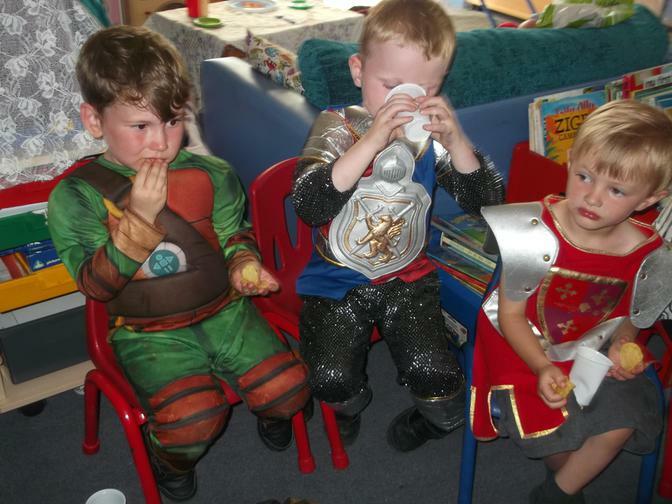 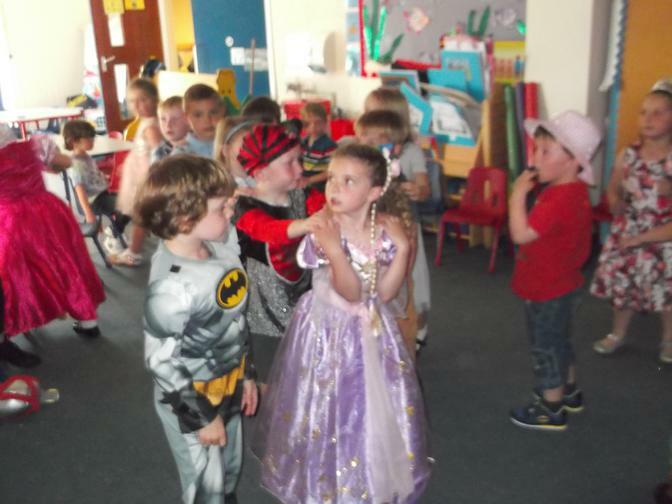 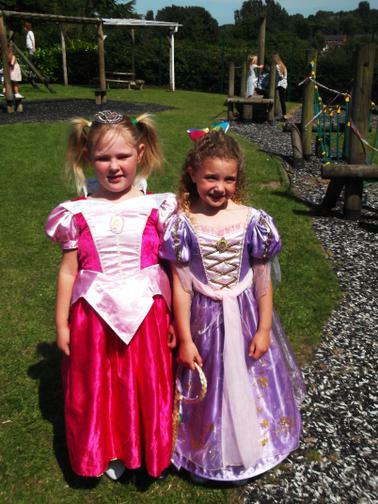 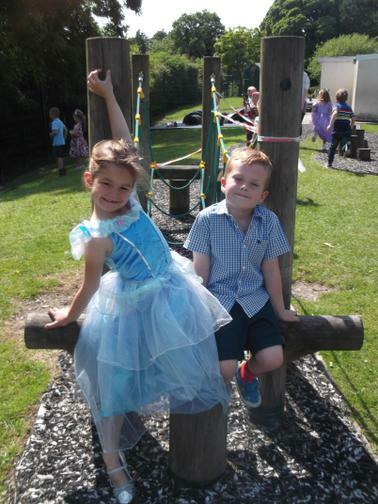 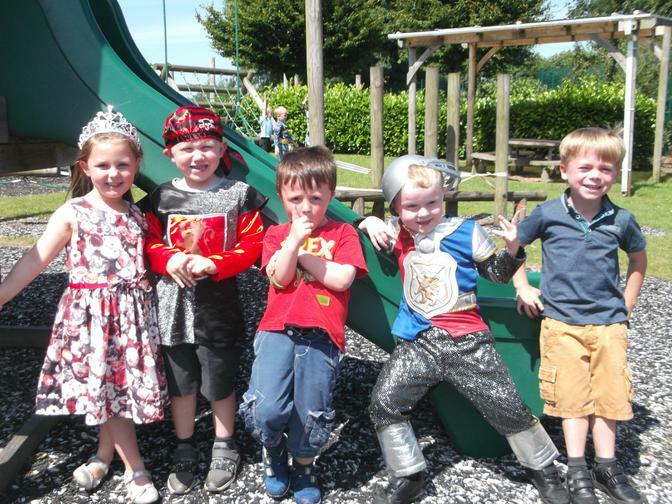 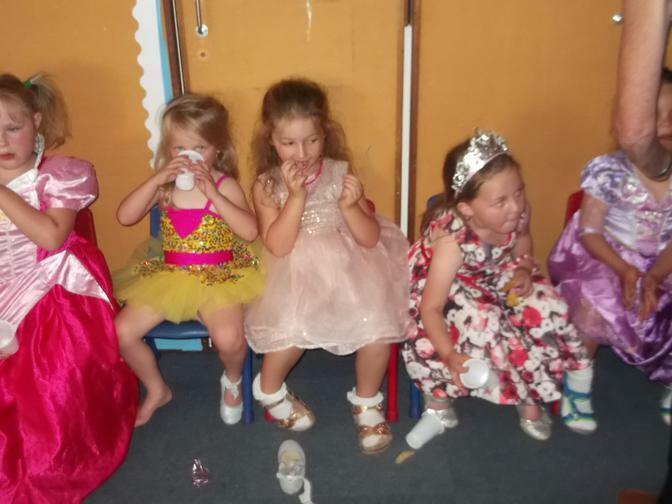 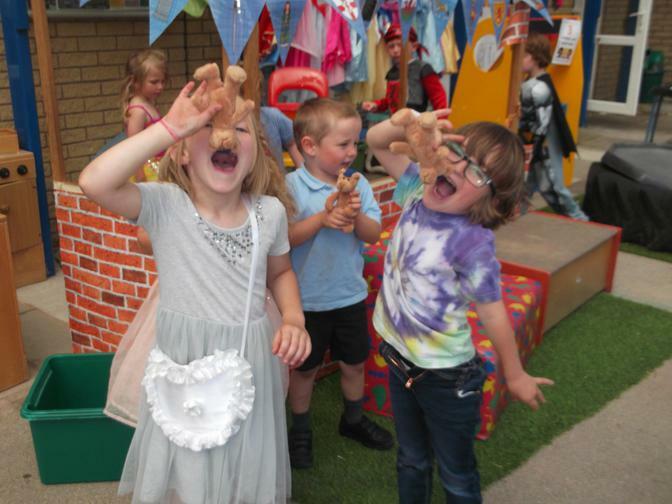 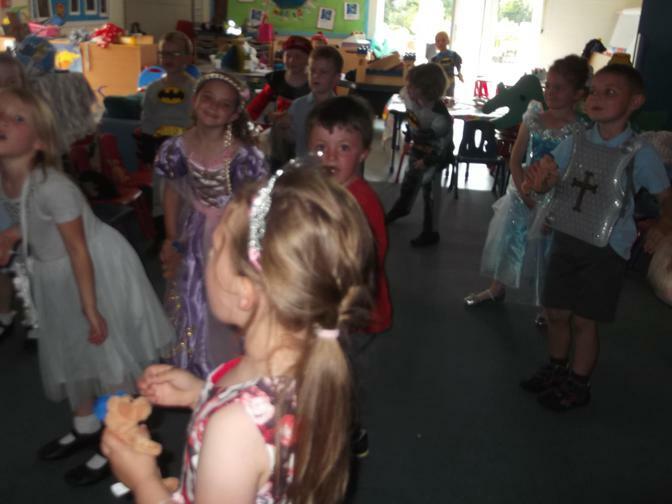 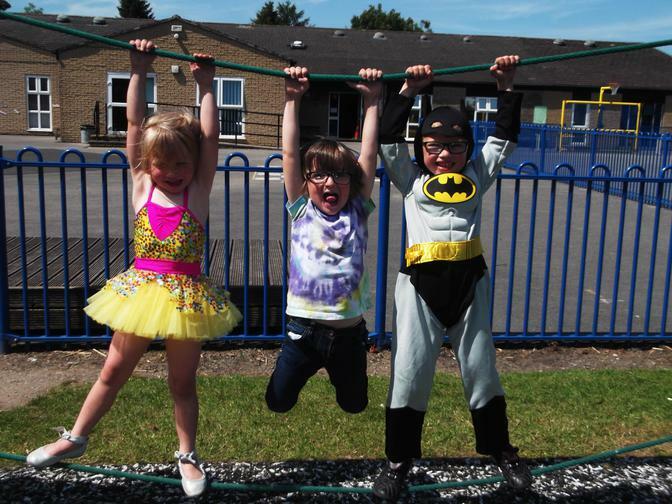 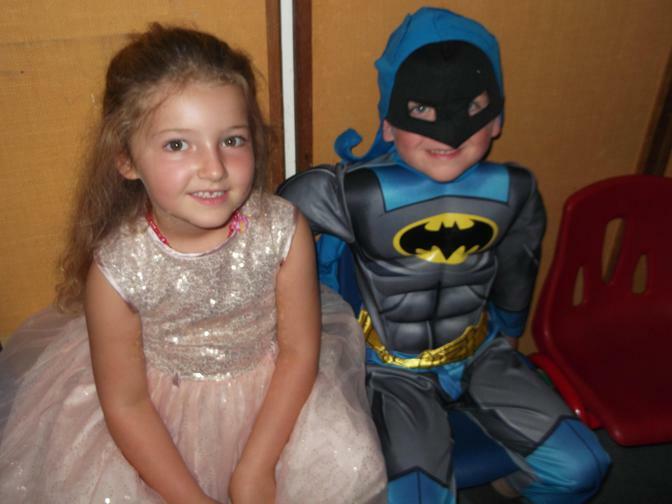 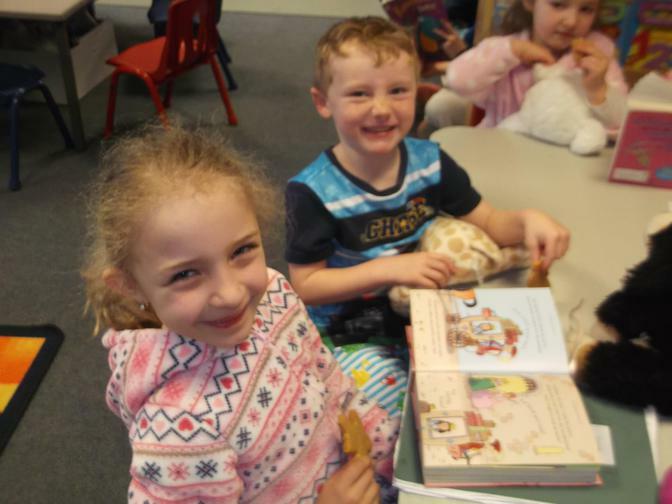 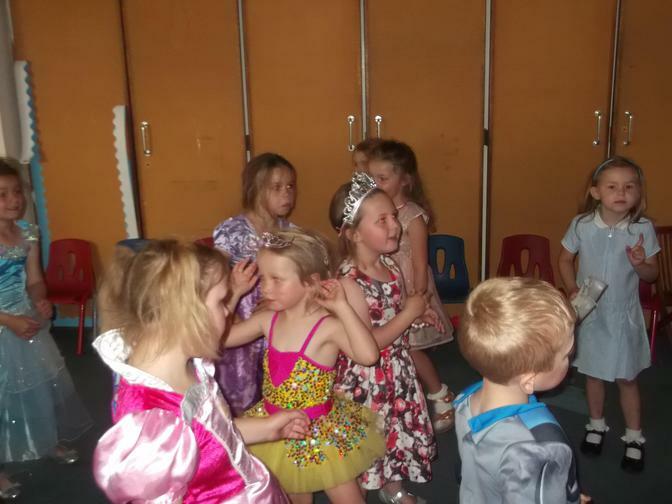 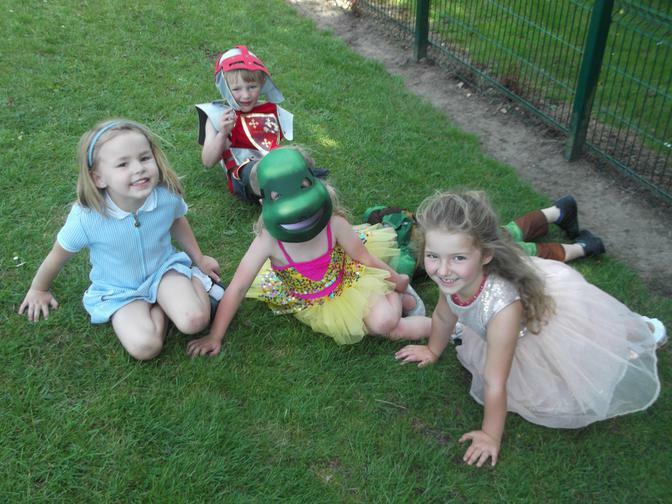 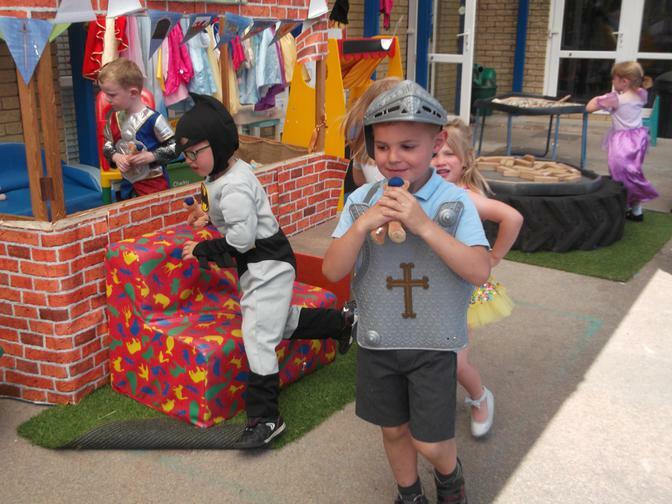 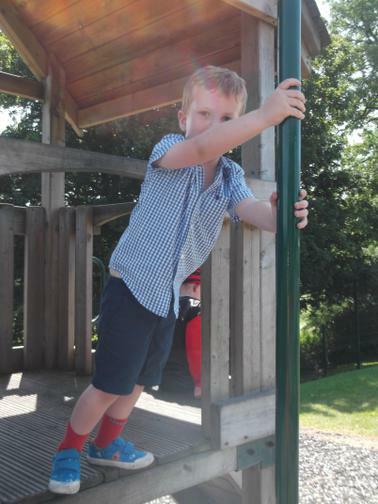 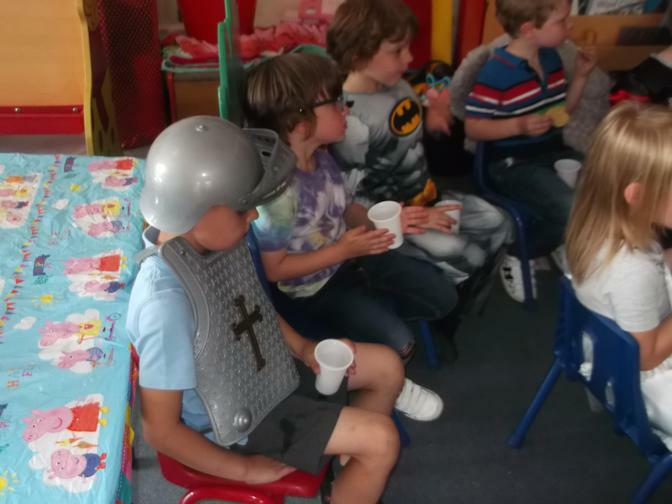 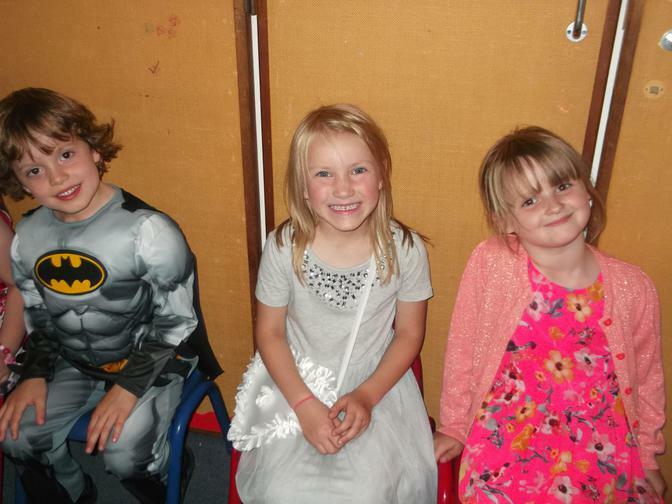 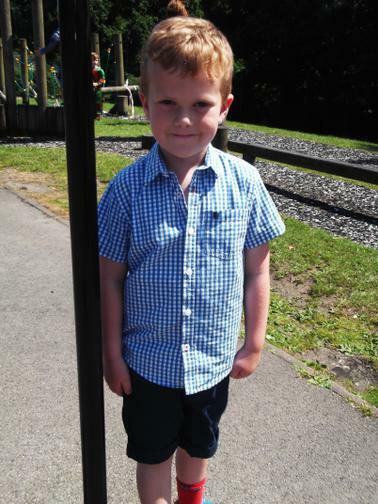 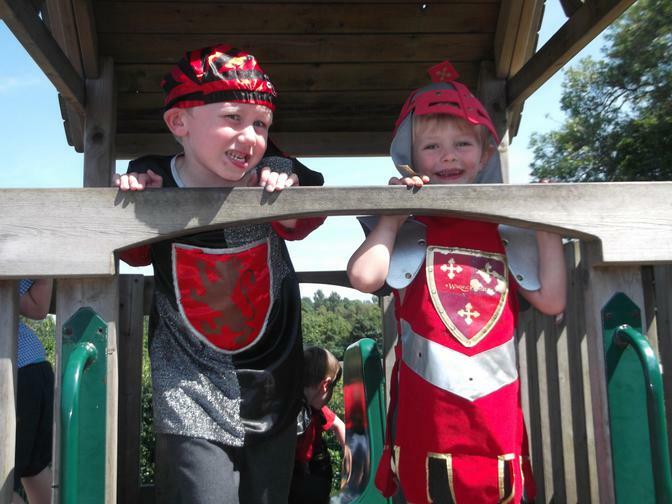 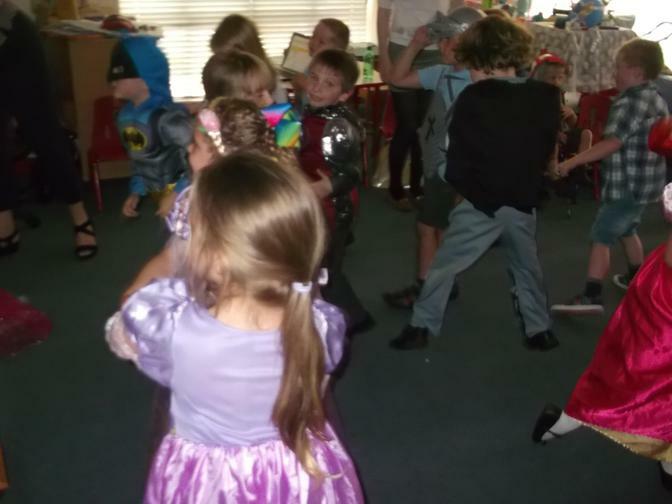 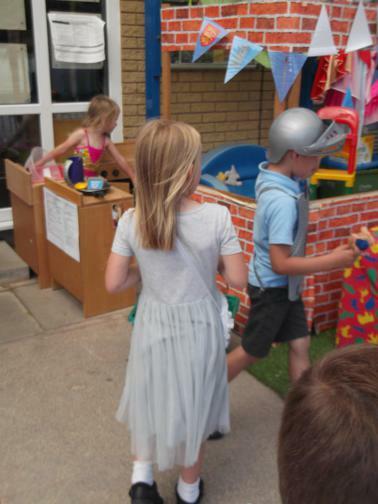 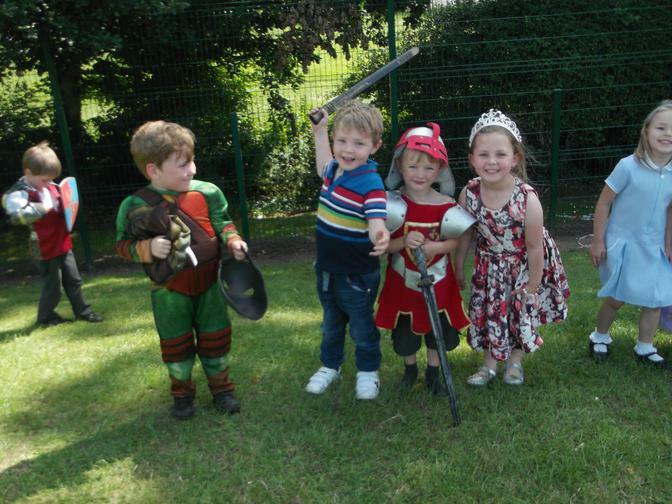 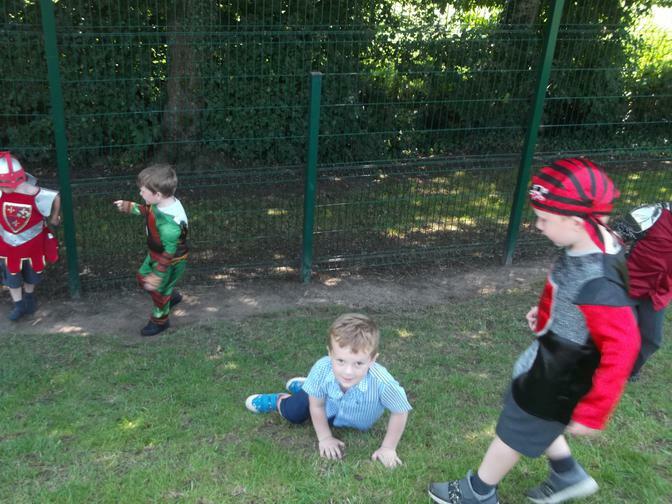 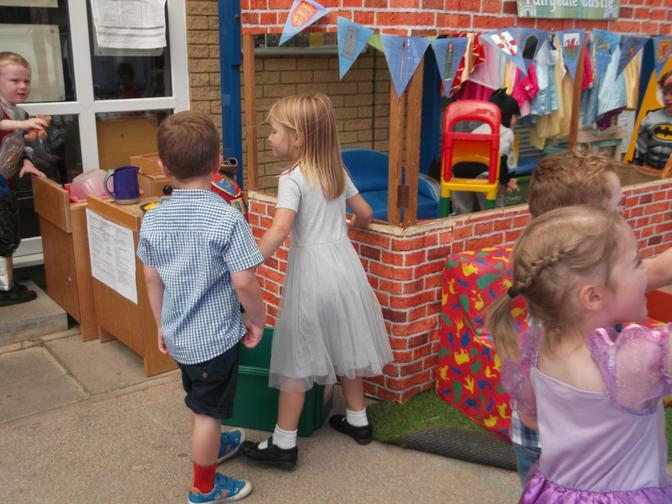 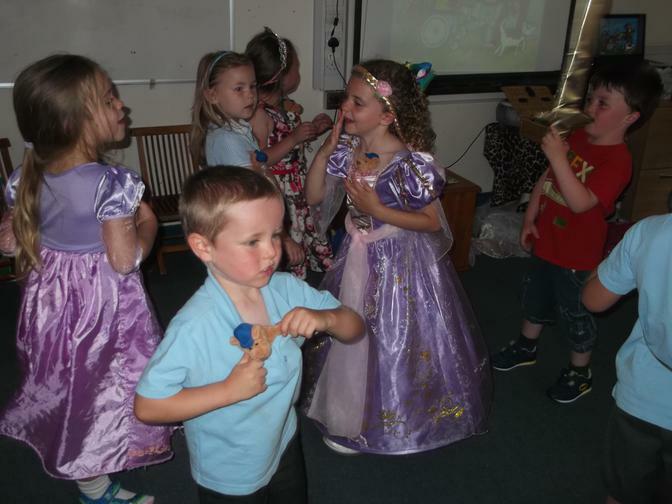 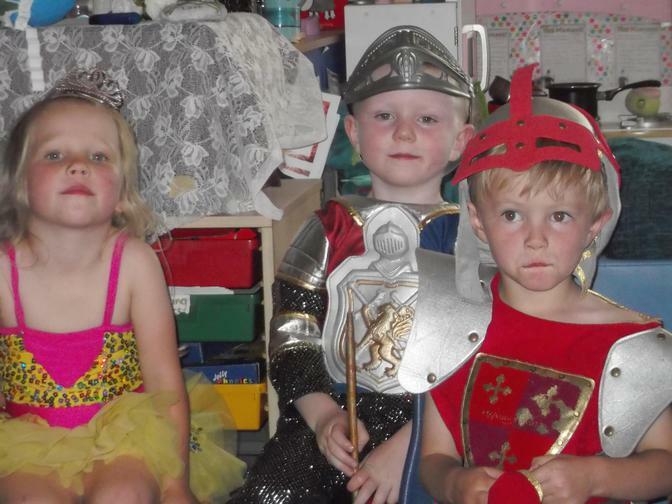 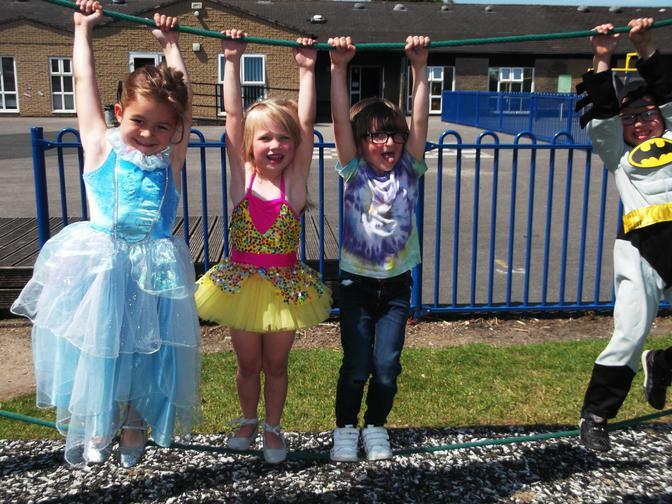 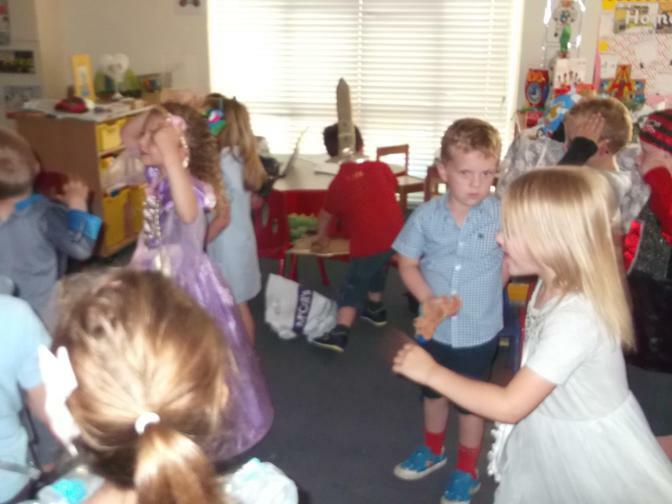 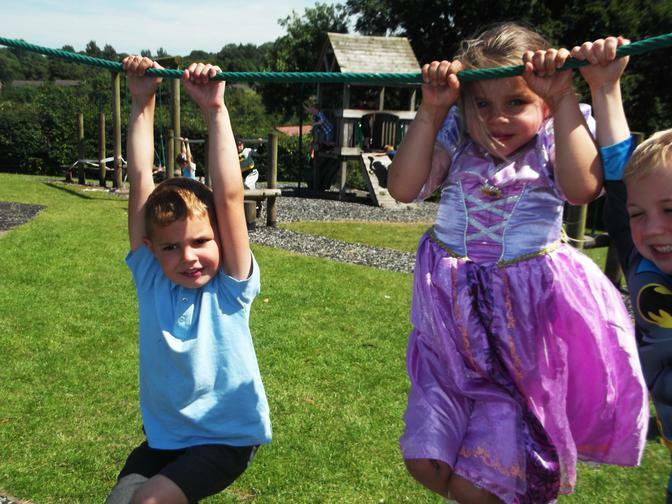 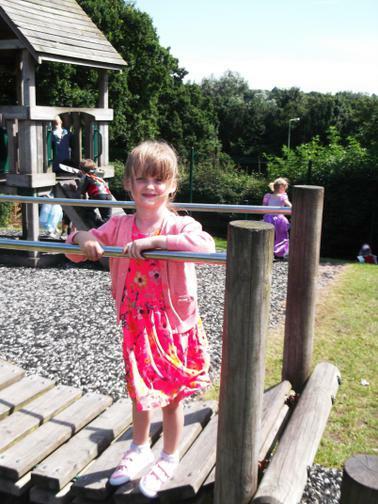 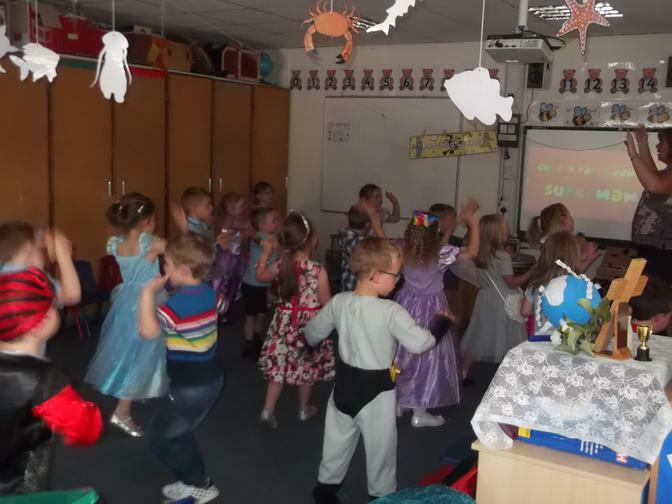 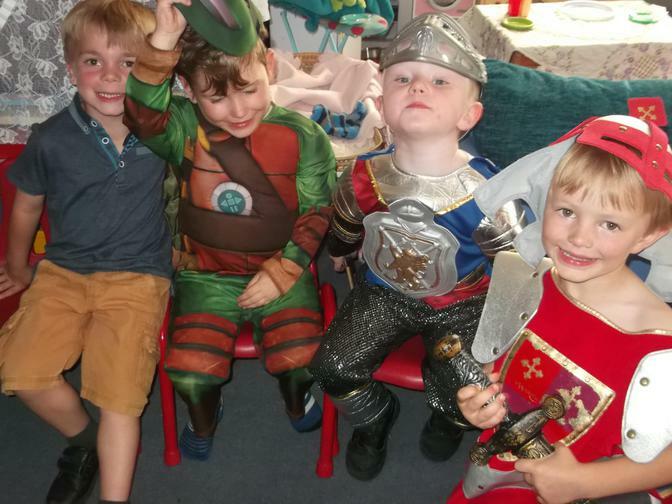 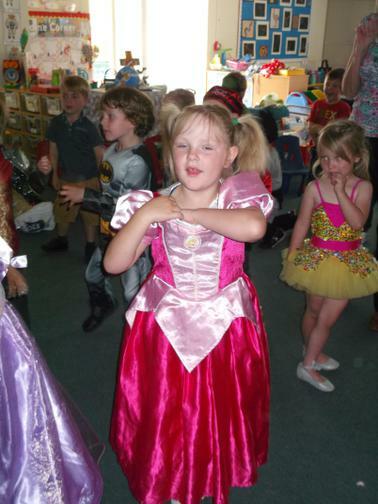 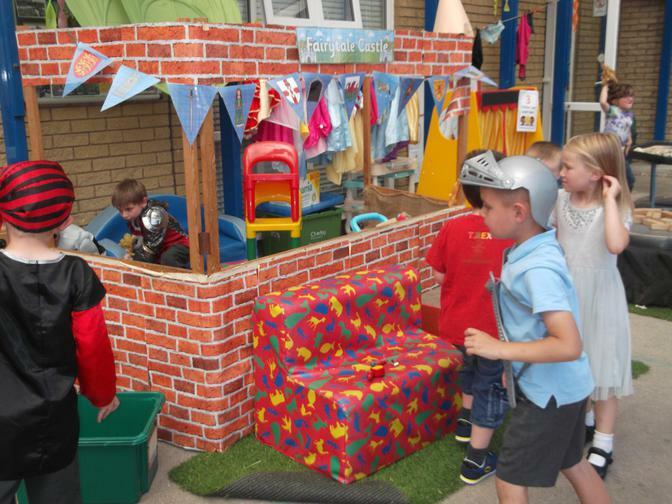 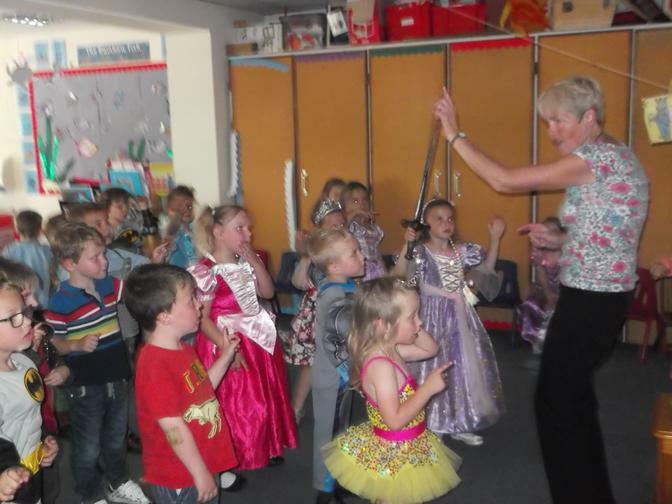 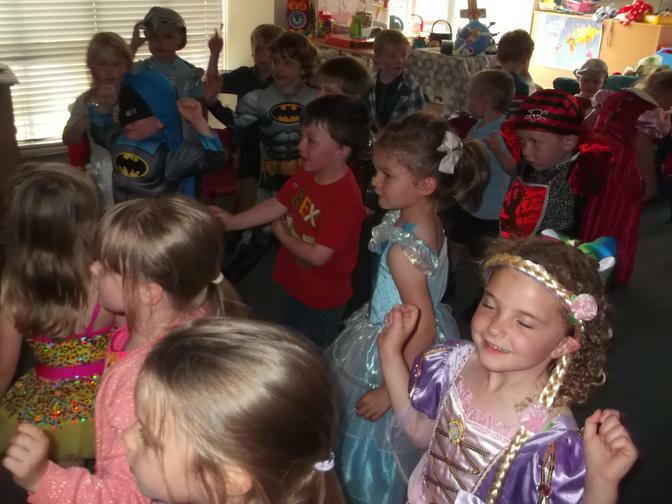 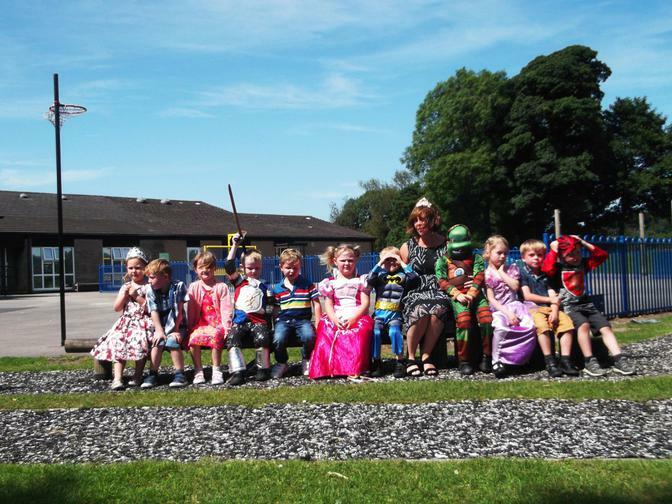 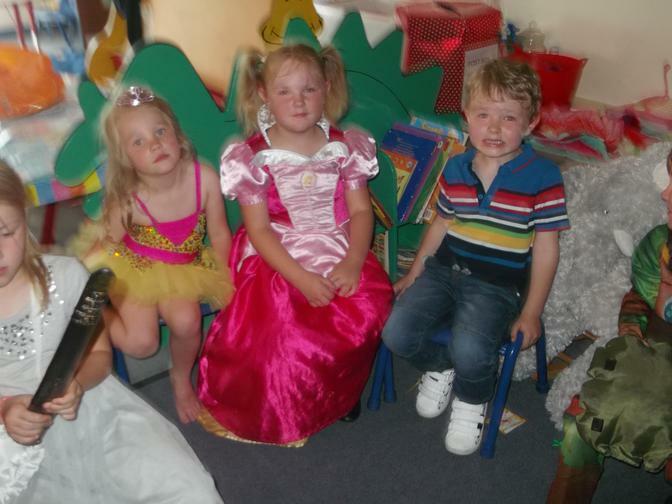 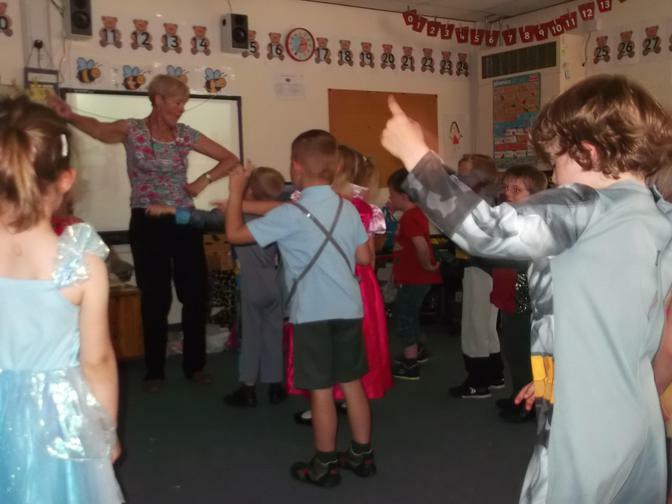 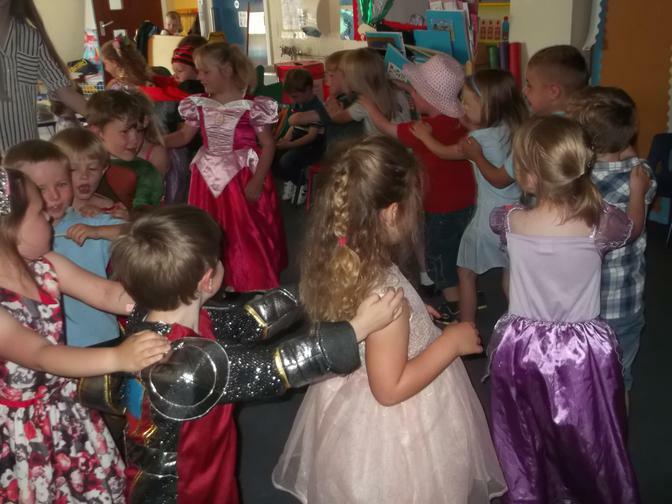 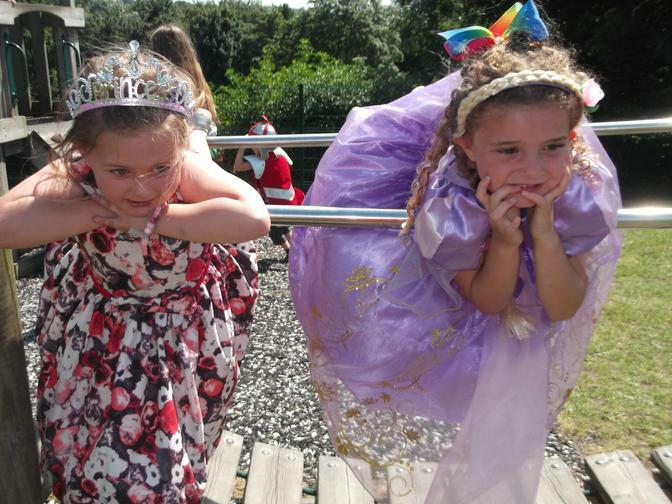 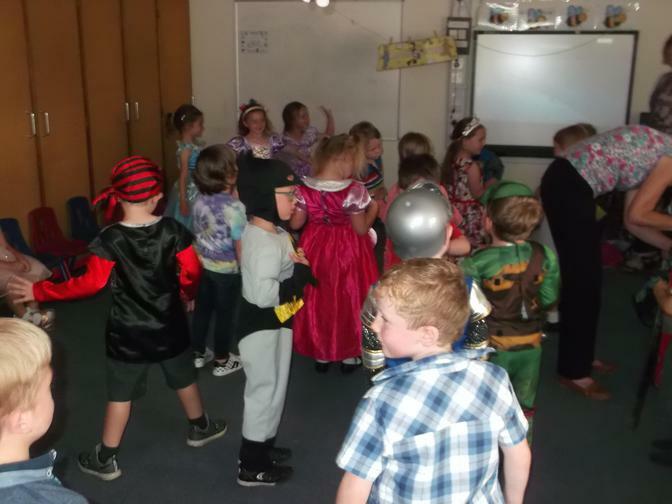 Reception Summer Party 18-7-17 We had lots of dancing, playing, dressing up, cakes, crisps orange and blackcurrant juice, a teddy bear hunt and lots of big smiles! 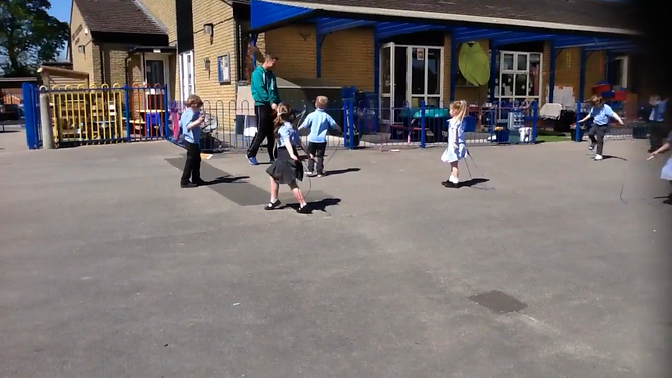 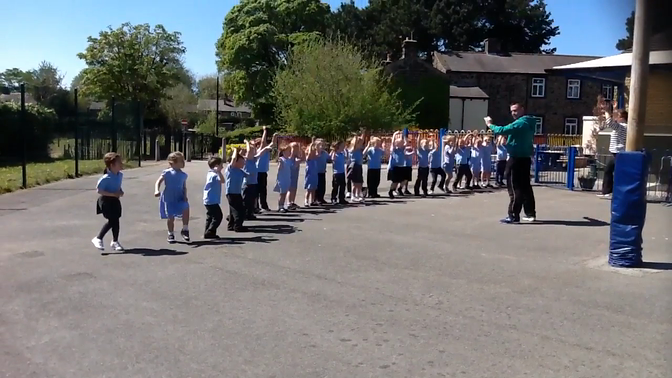 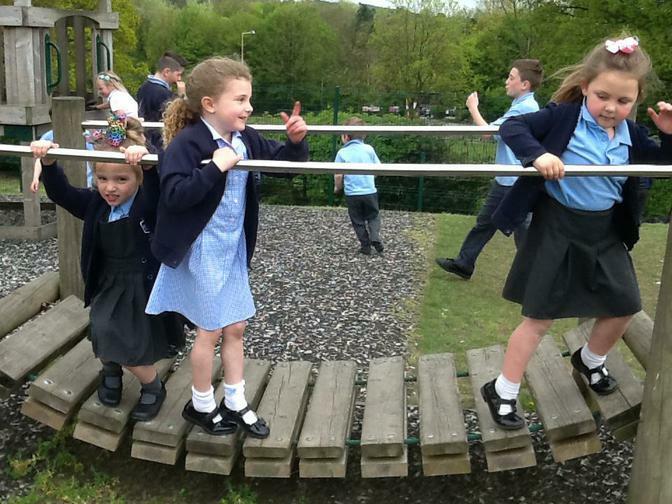 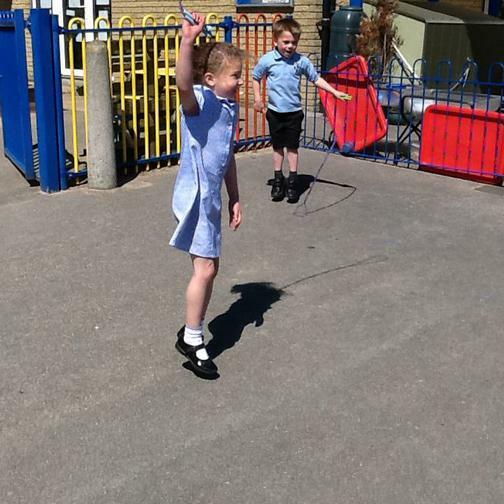 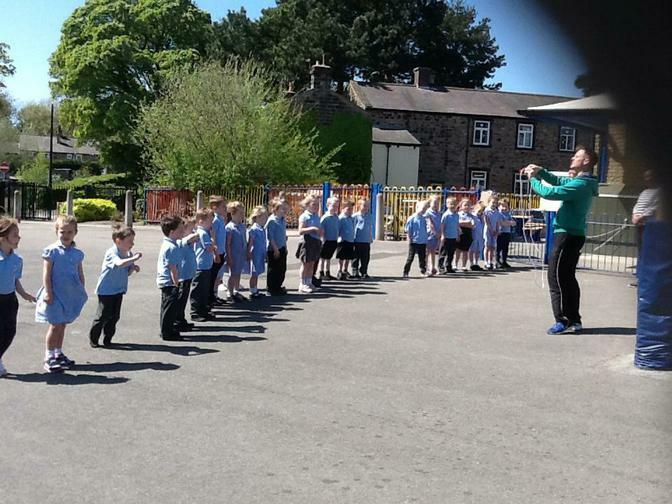 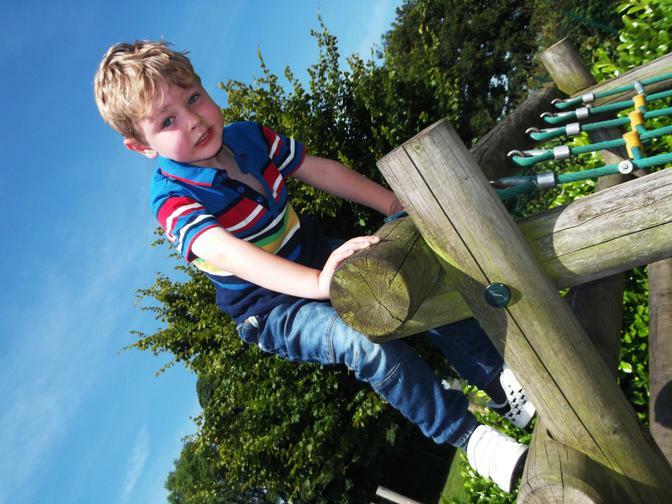 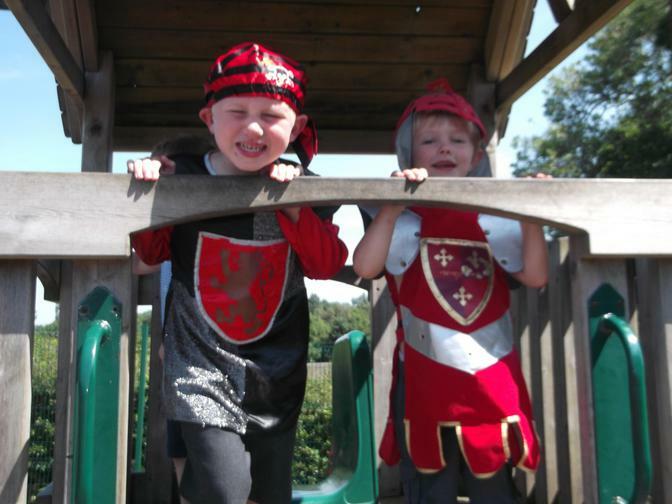 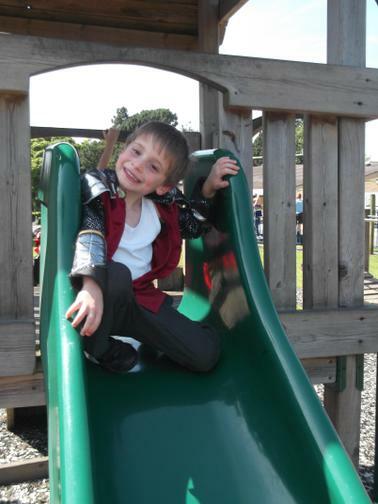 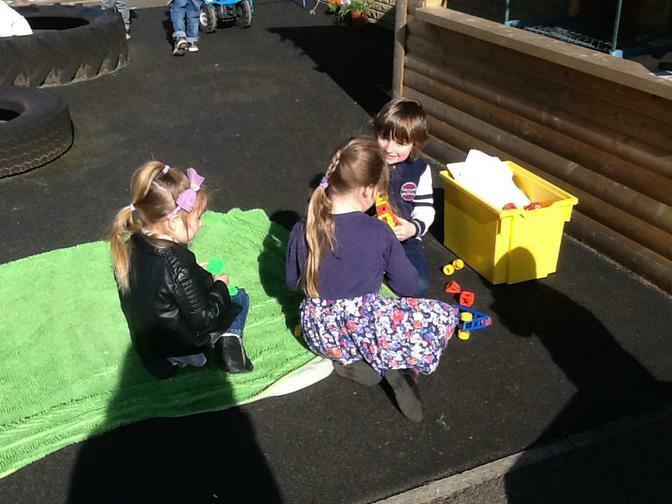 The sun was shining and we had a brilliant afternoon. 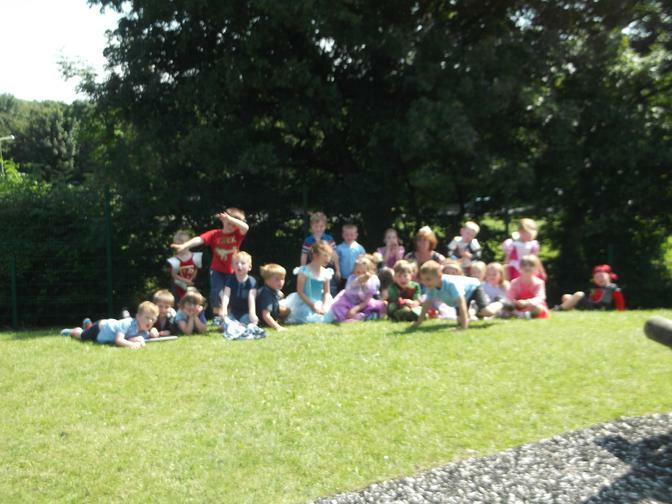 26/6/17 Today we also had a visit from the Farmer and his cows. 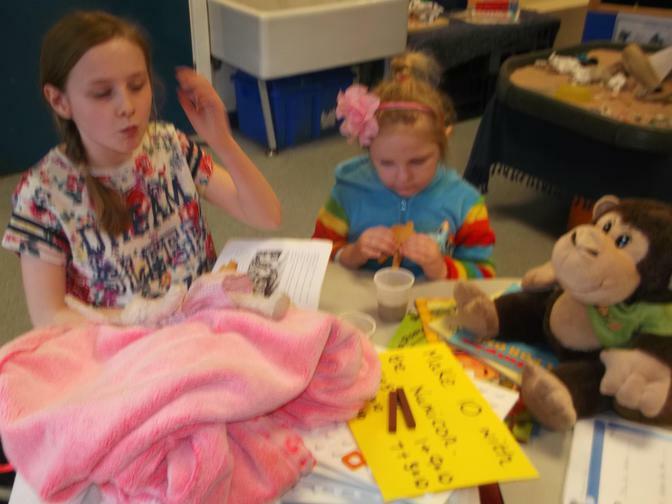 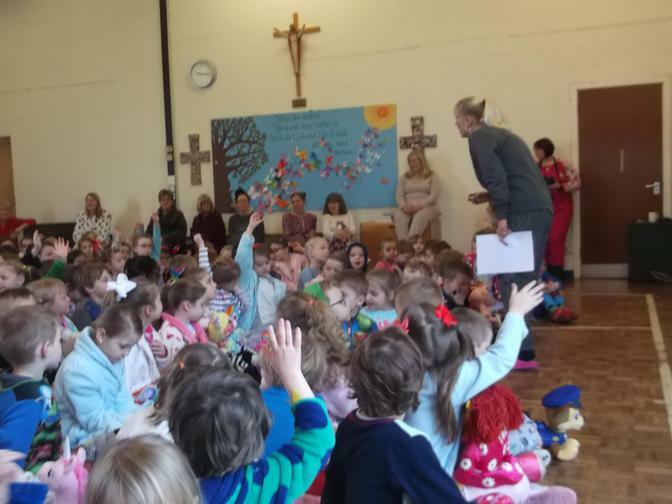 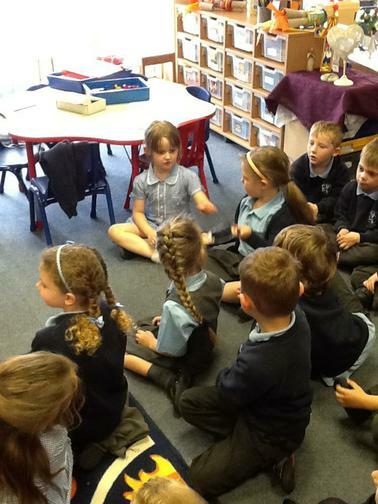 We asked lots of questions and all got to have a gentle stroke of Elizabeth and Beatrice. 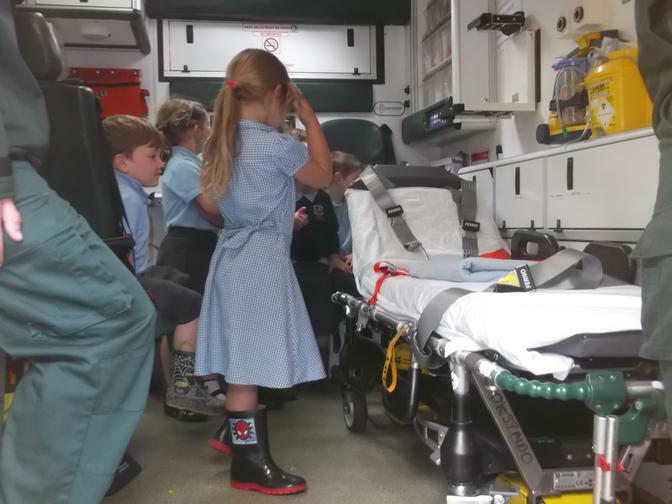 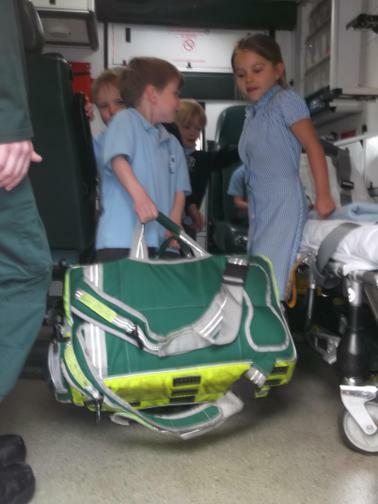 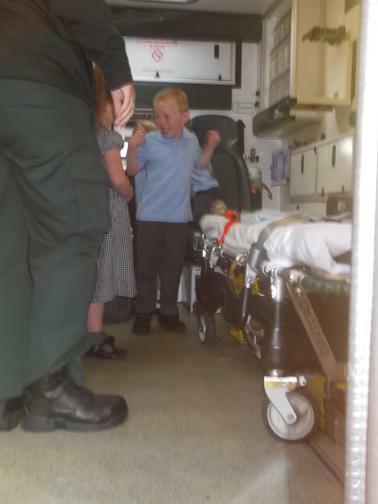 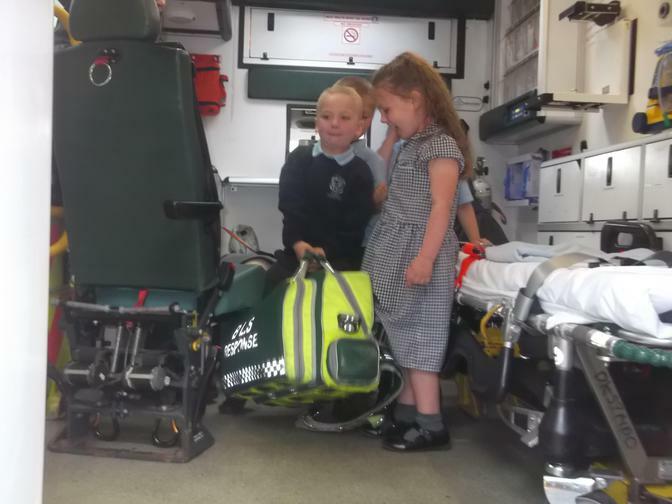 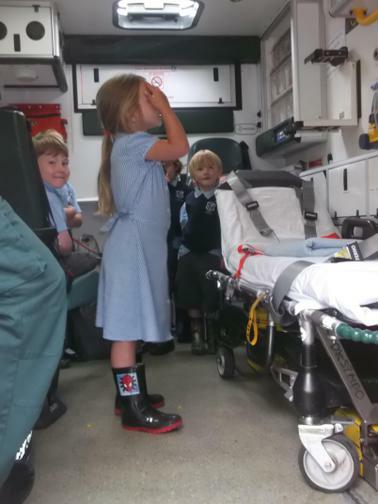 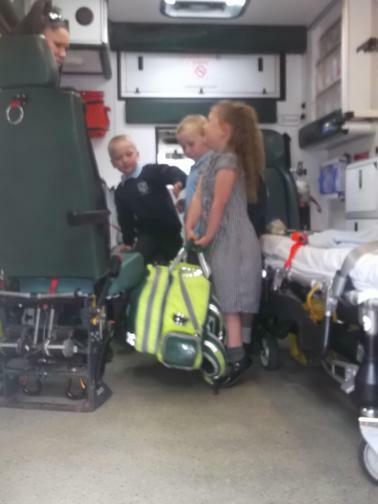 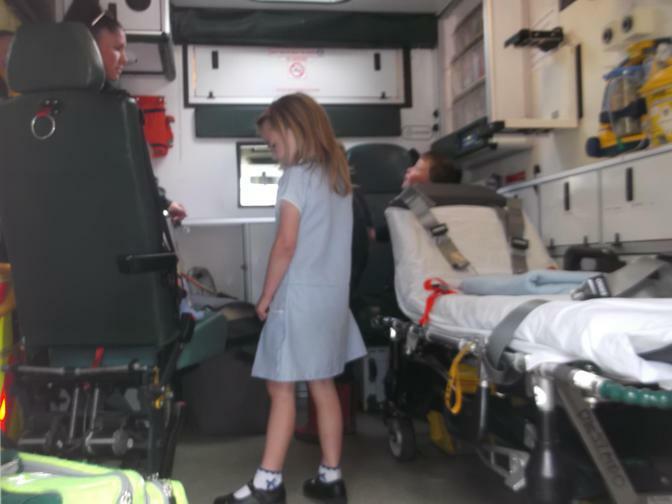 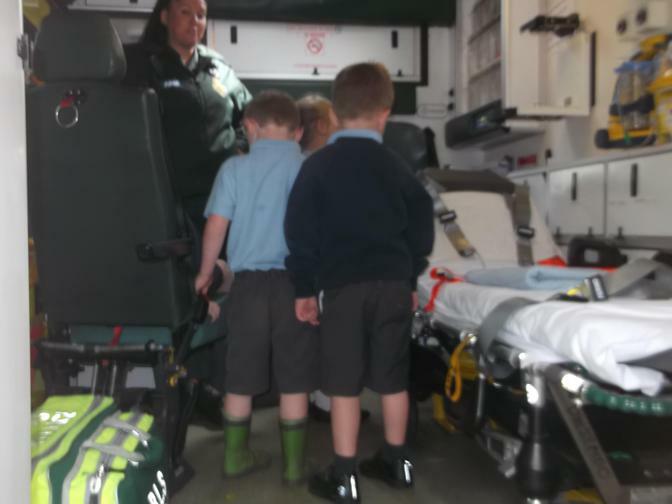 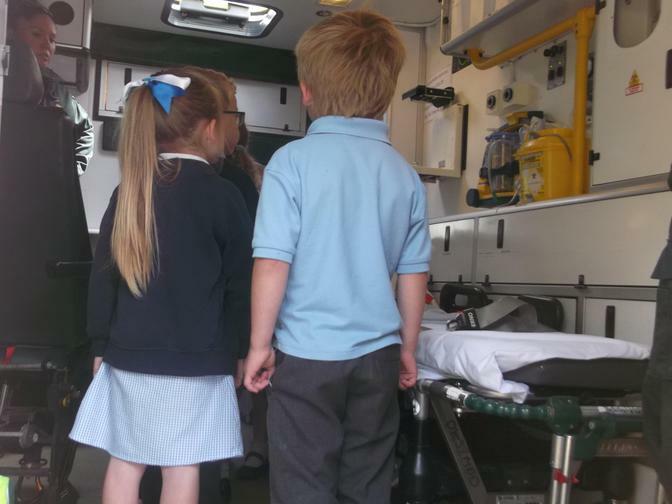 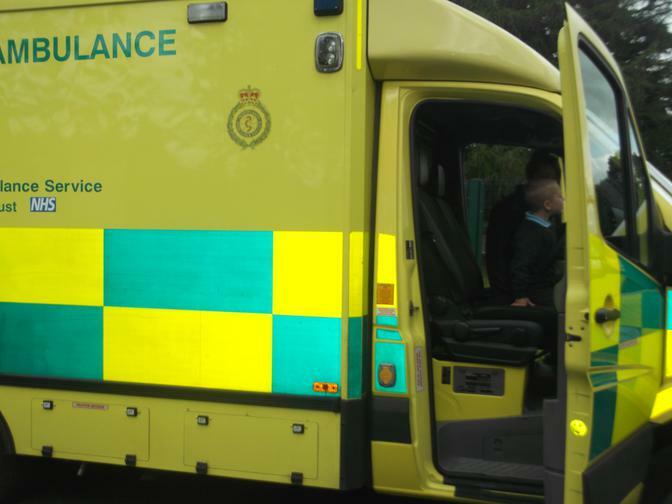 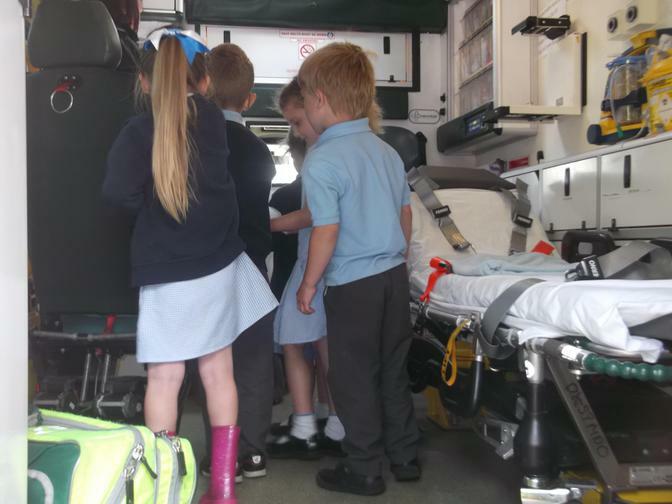 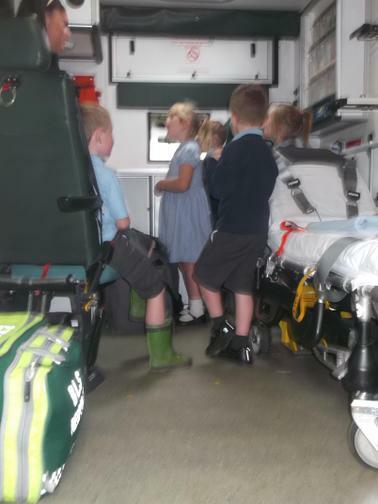 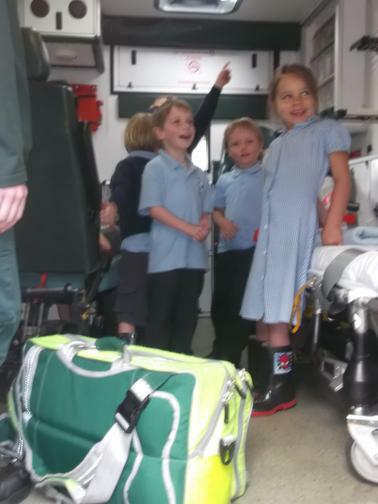 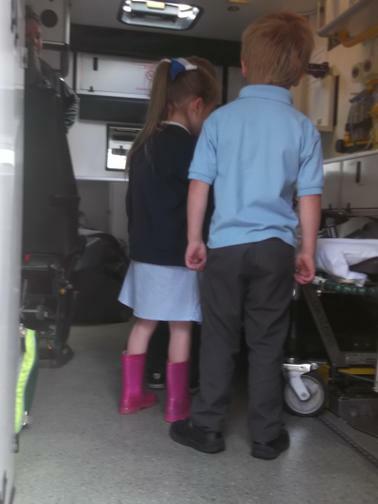 26/6/17 A visit from the paramedics and a special look inside their ambulance. 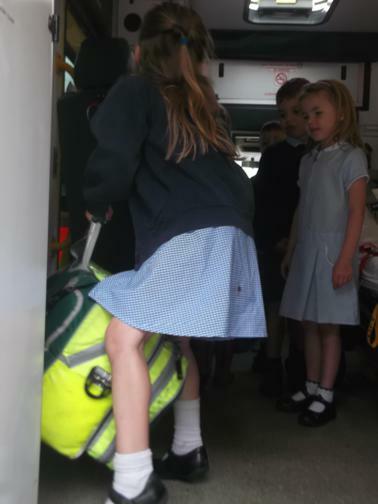 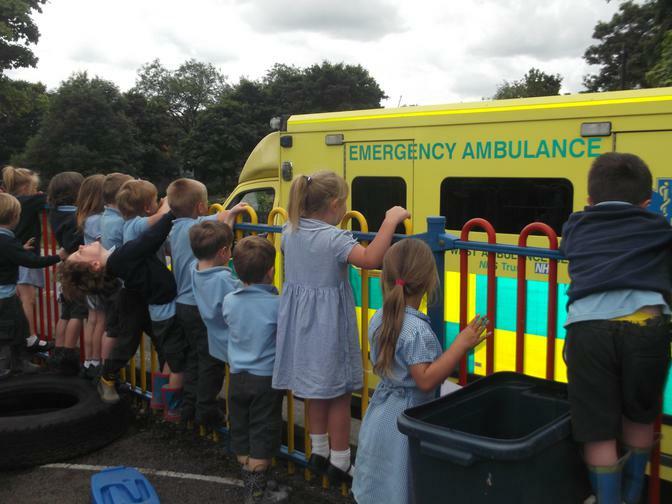 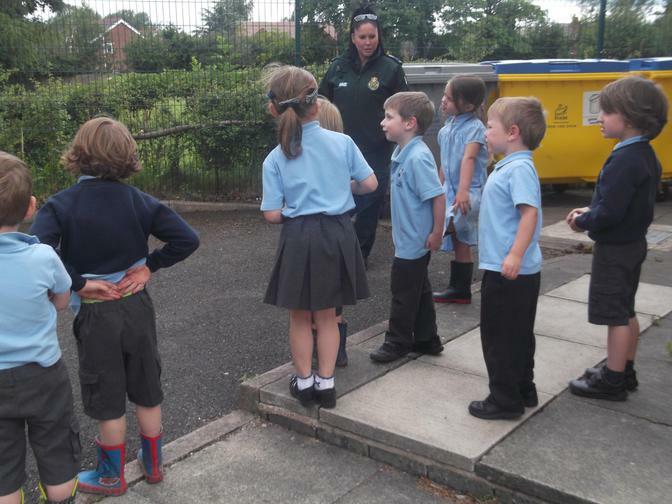 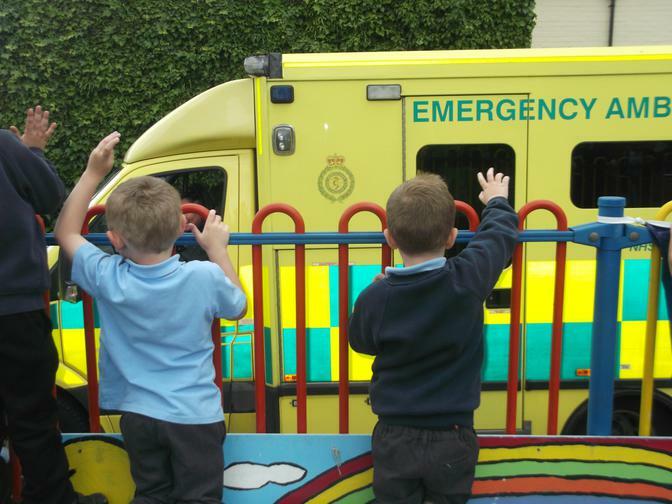 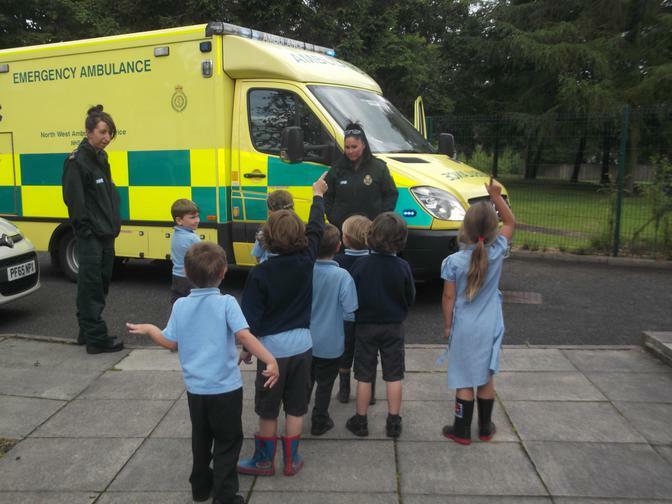 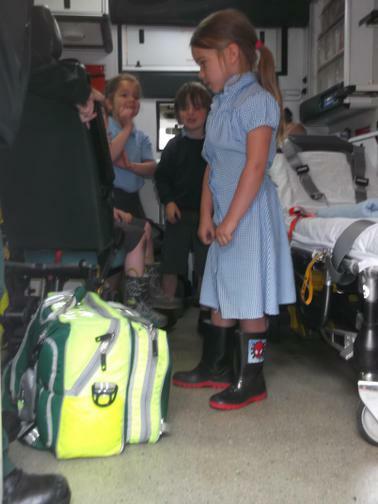 We got to see the blue sirens and climb up the steps to have a look around inside and ask any questions we had for the paramedics. 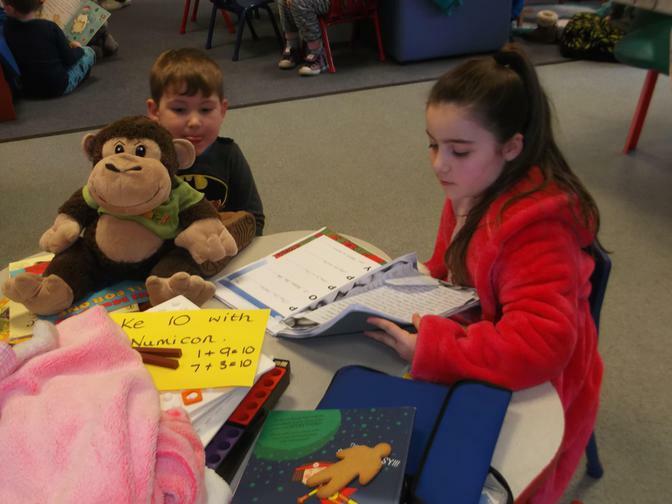 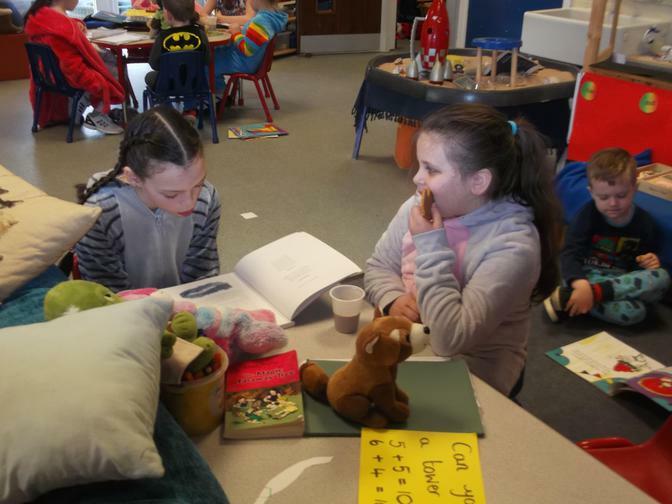 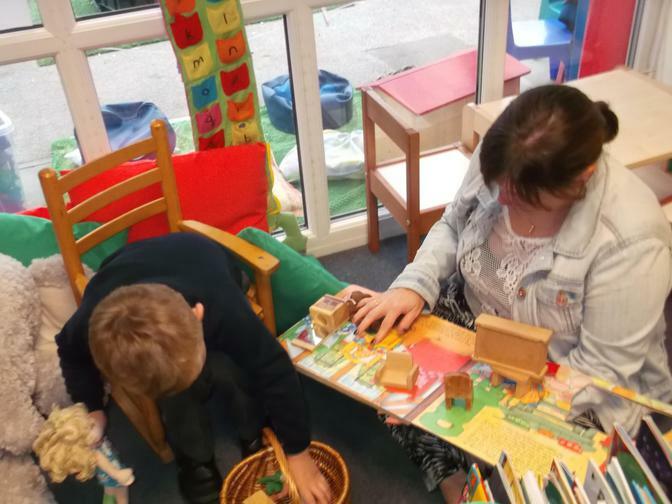 27-4-17 This afternoon we had 2 visitors in our classroom, these people work in our school but are also people who help us. 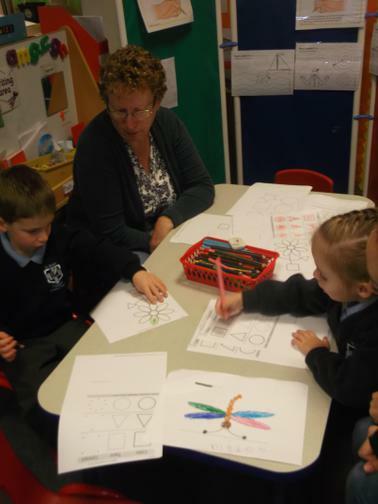 Mrs.Crompton our School Business Manager and David our school Caretaker. 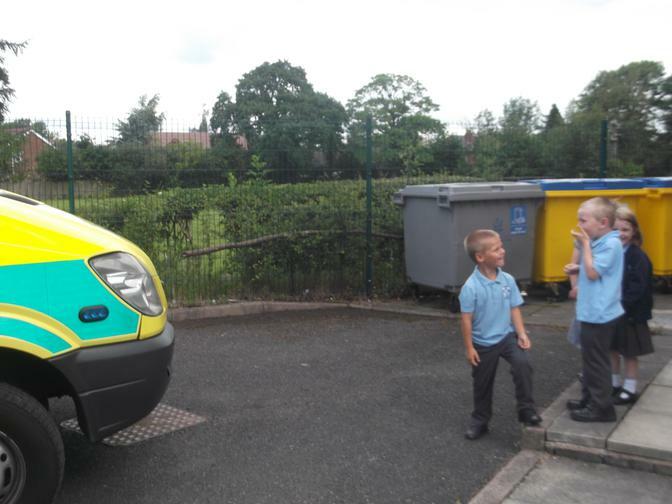 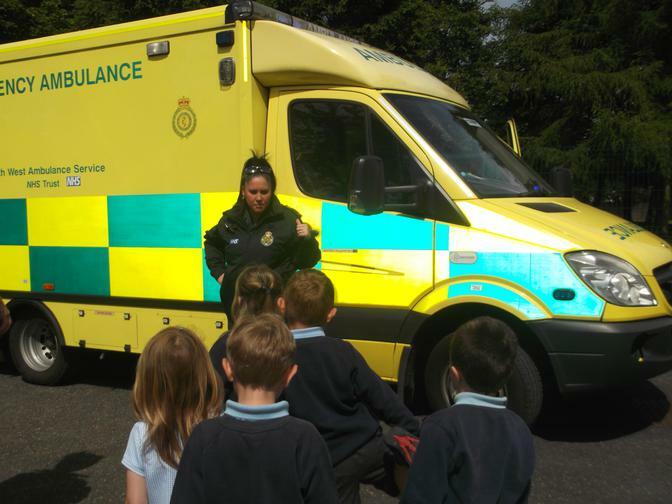 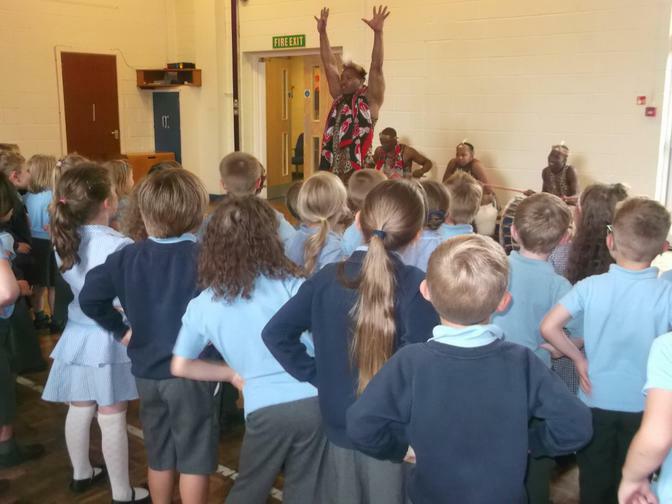 We had lots of well thought questions to ask them both and we learnt a lot of information about what they both do in their jobs and how they help us. 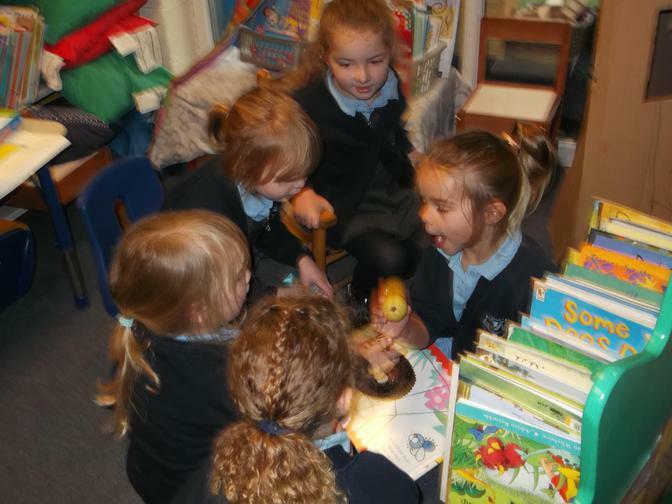 24-4-17 This morning we placed our duck eggs into the incubator. 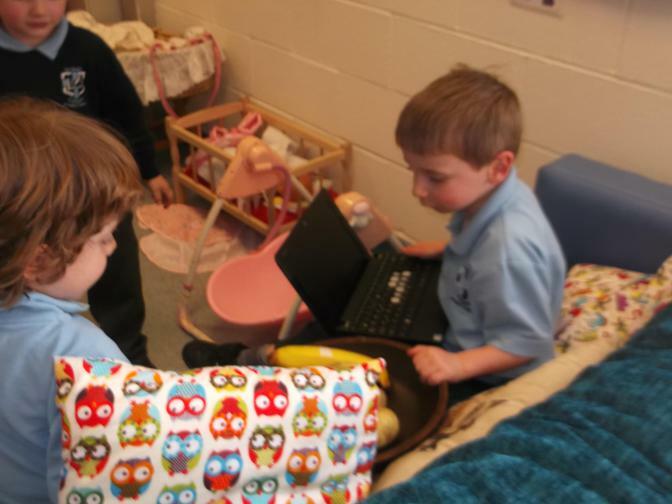 We had to make sure that inside the incubator was the right temperature before putting the eggs in. 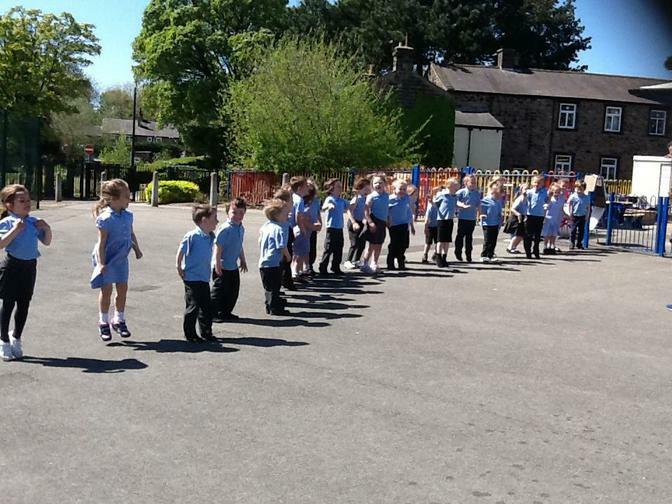 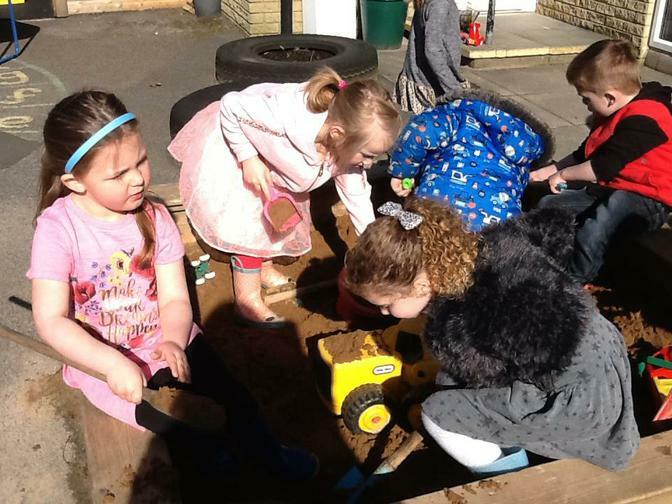 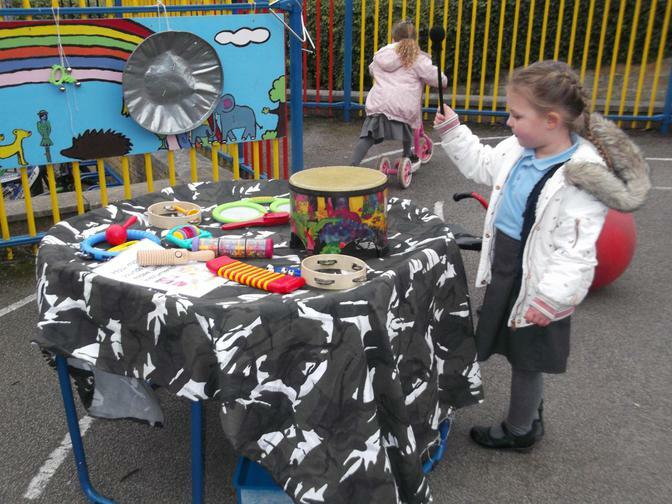 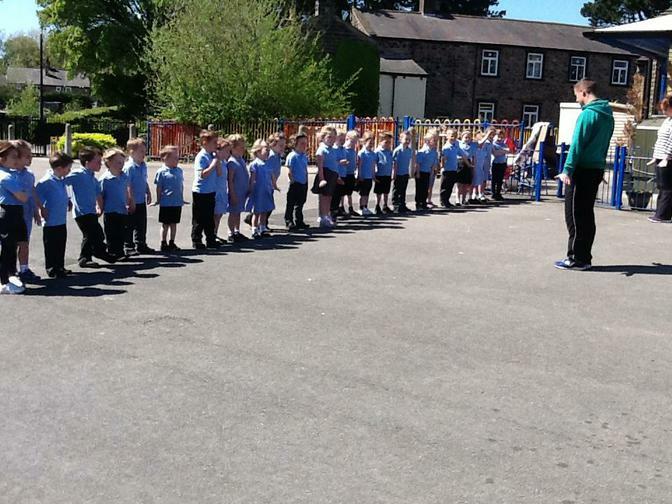 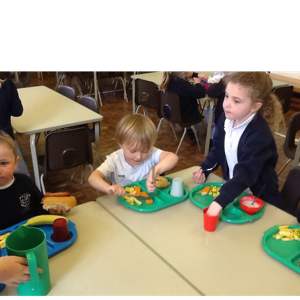 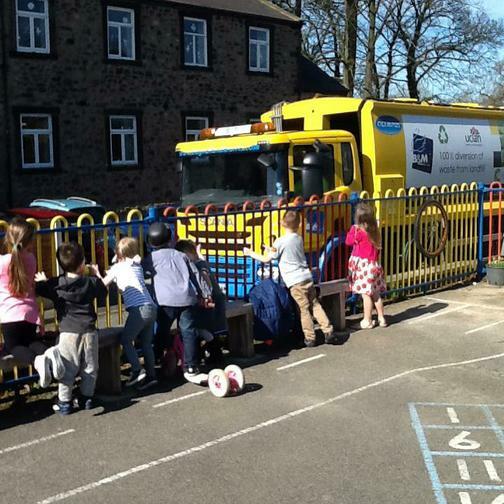 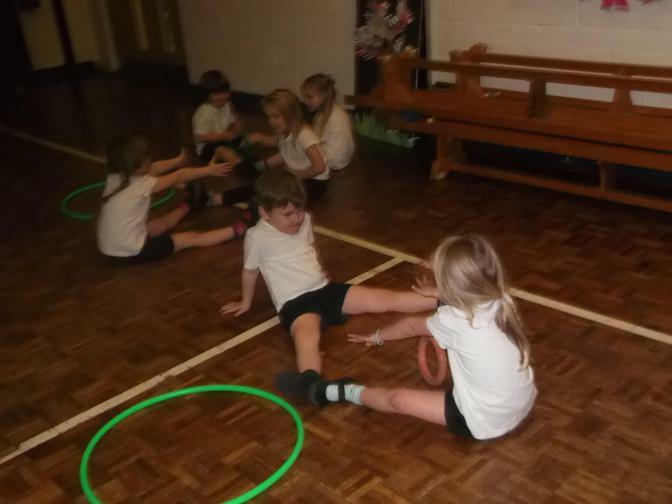 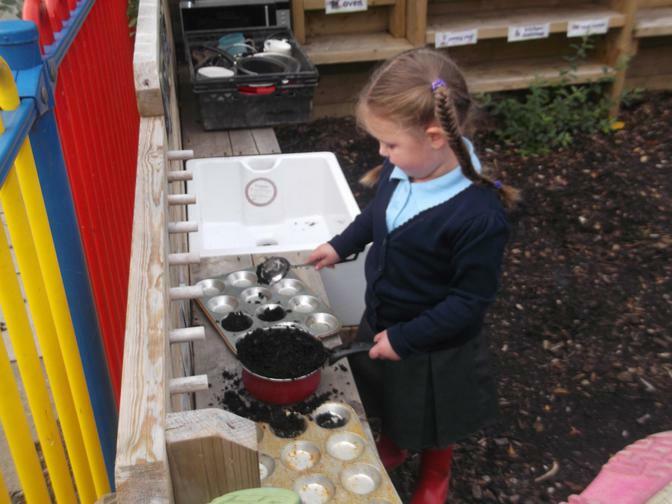 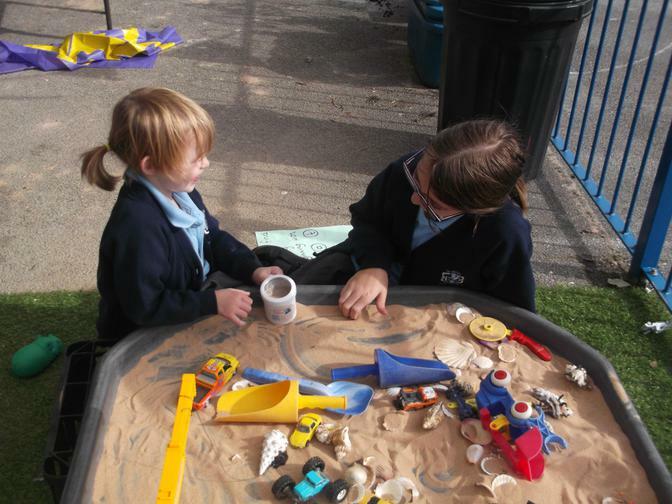 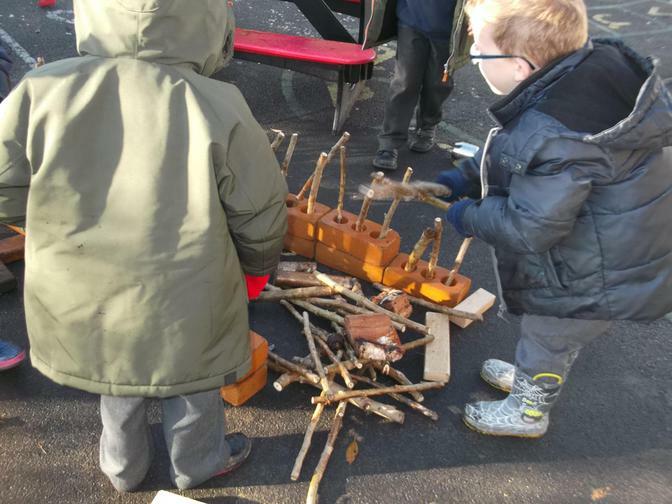 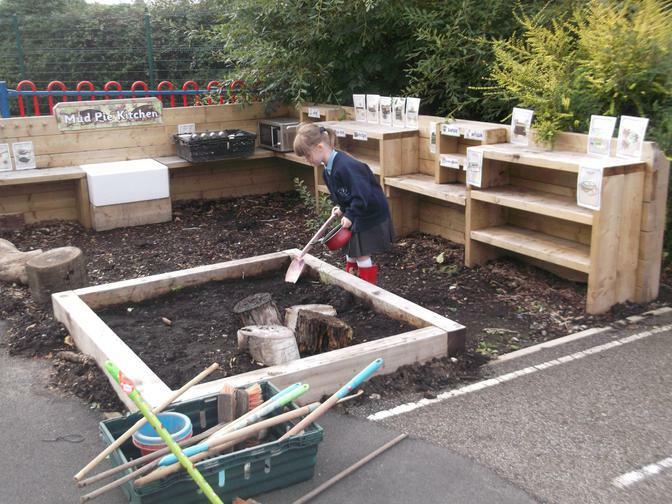 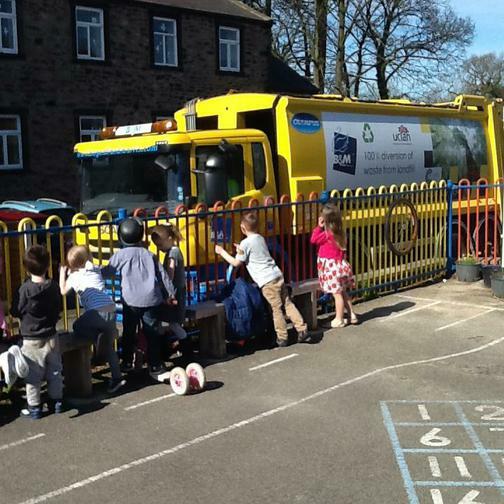 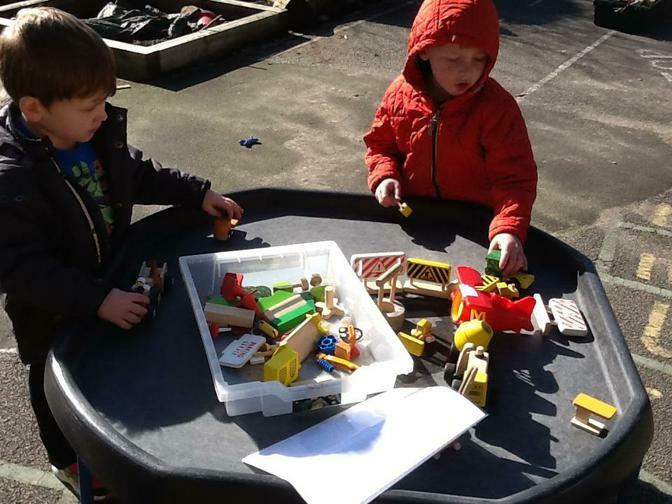 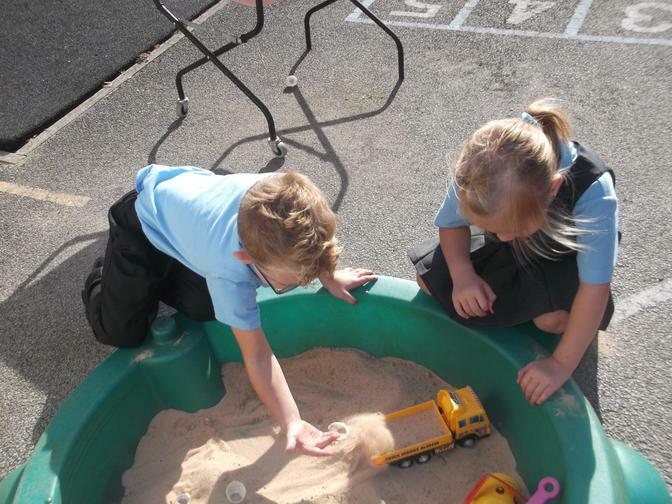 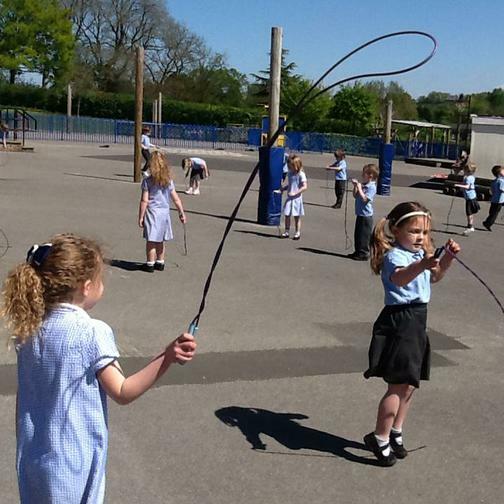 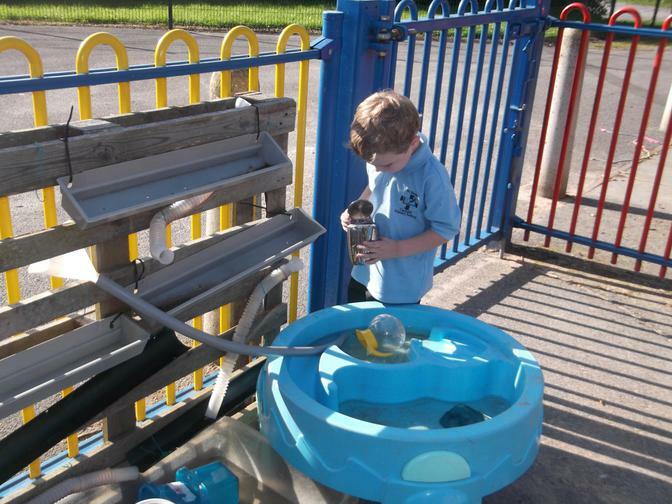 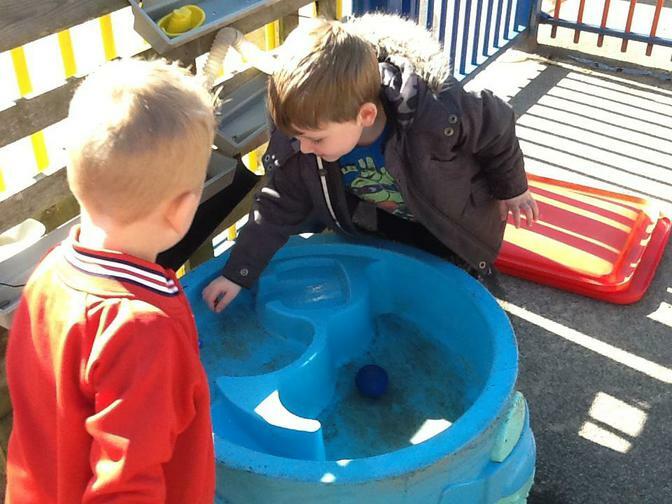 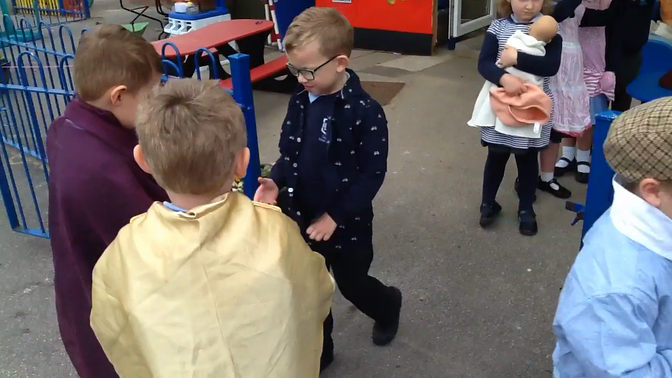 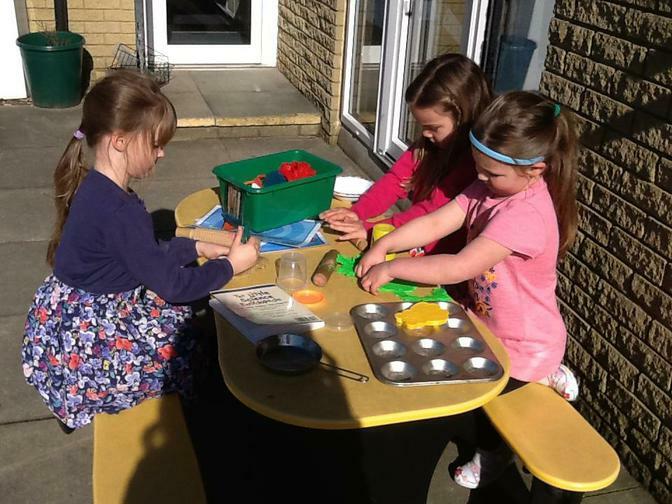 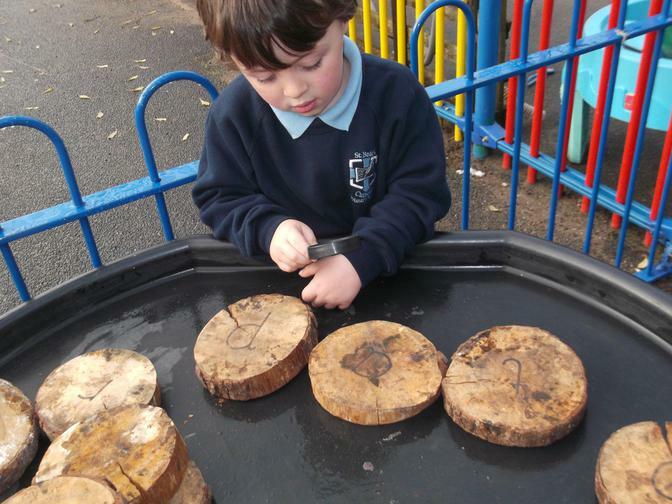 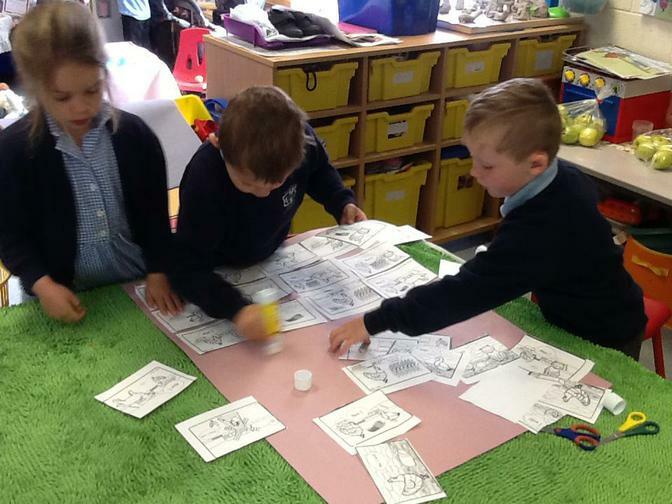 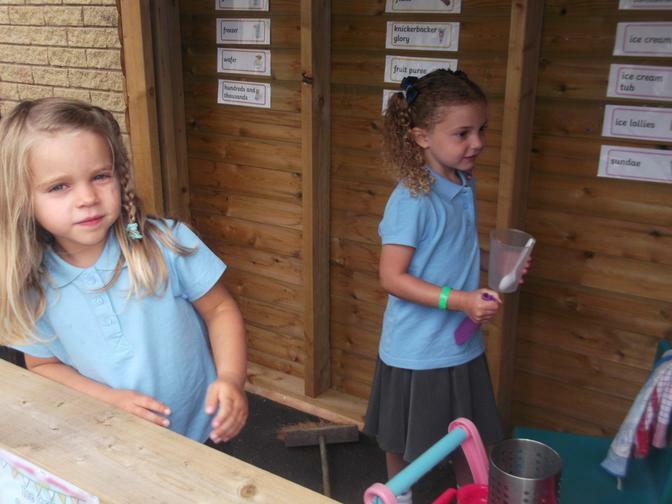 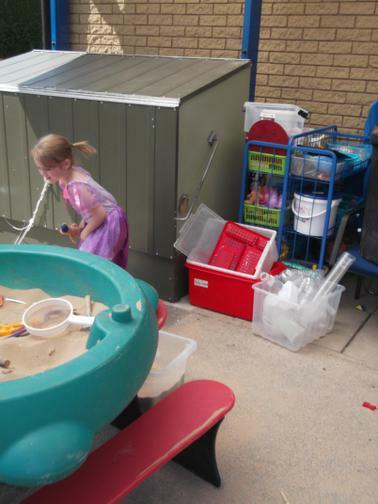 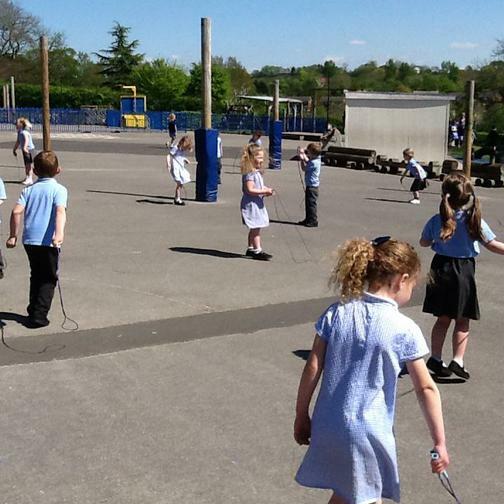 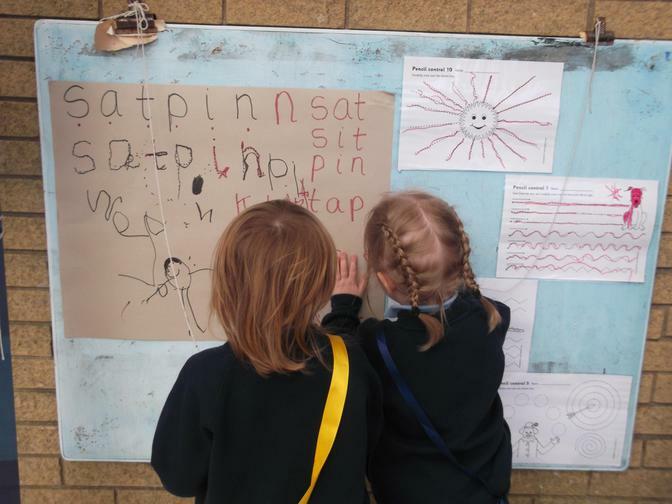 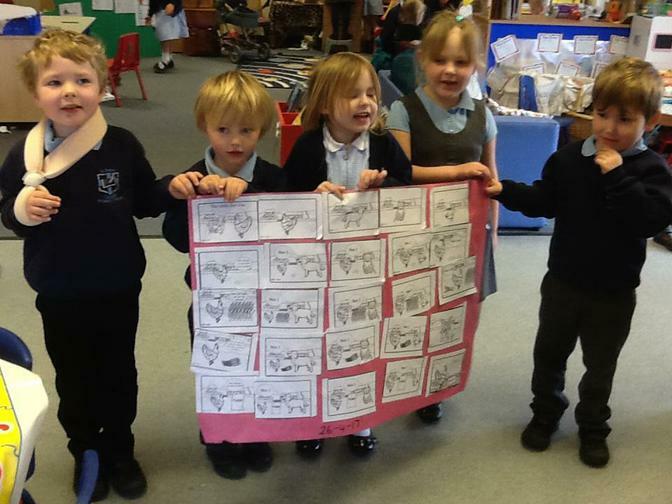 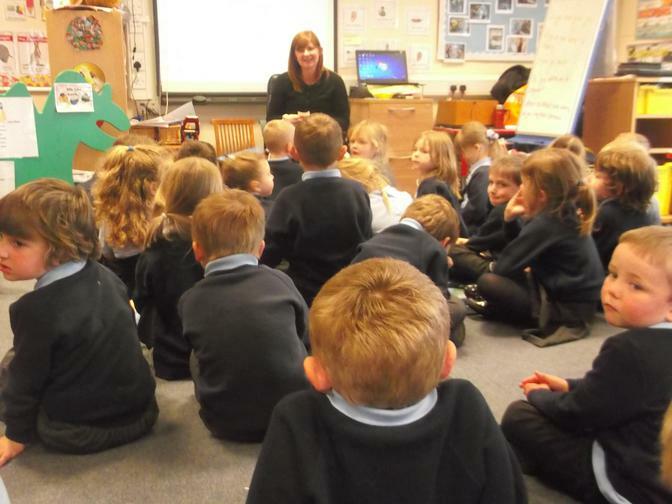 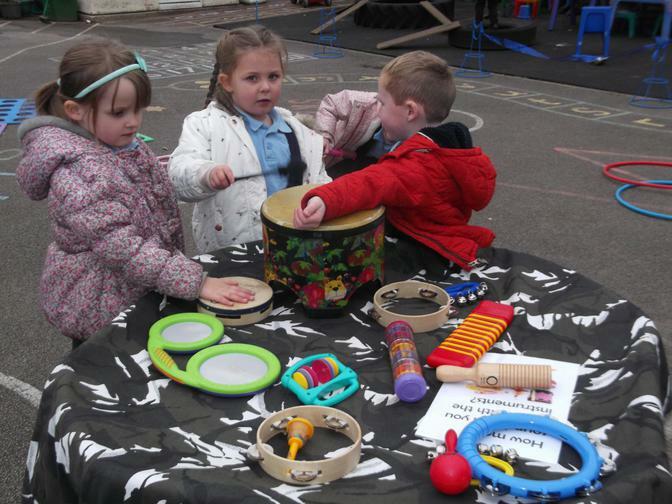 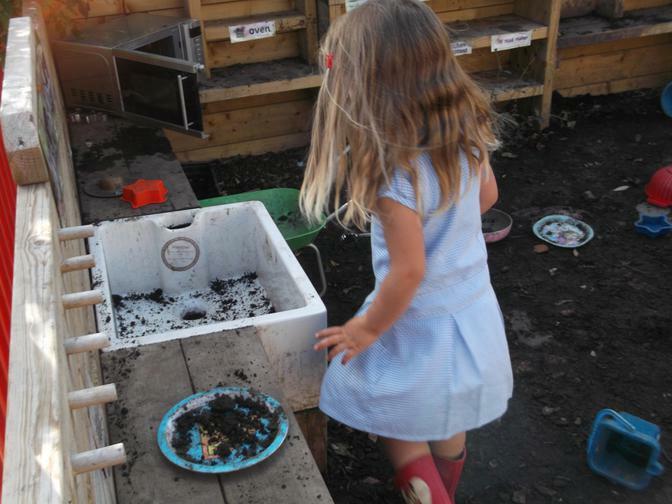 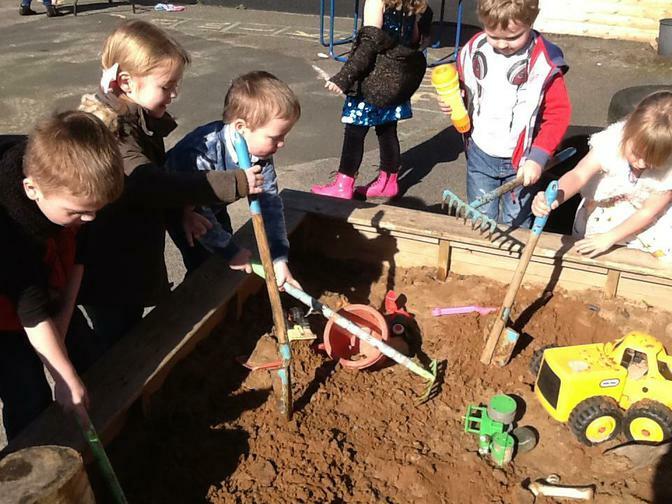 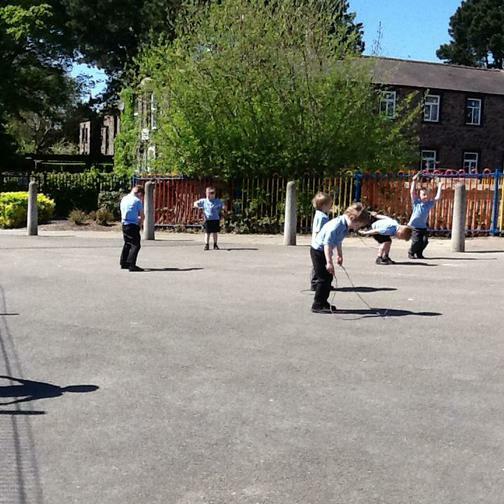 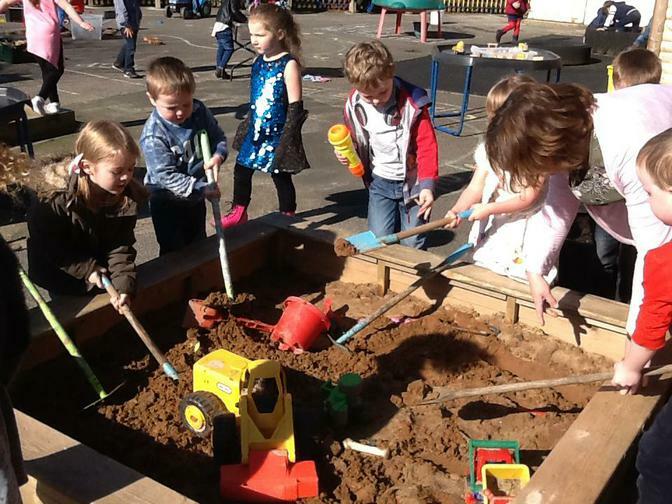 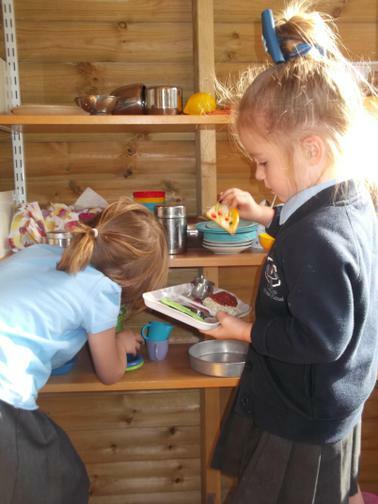 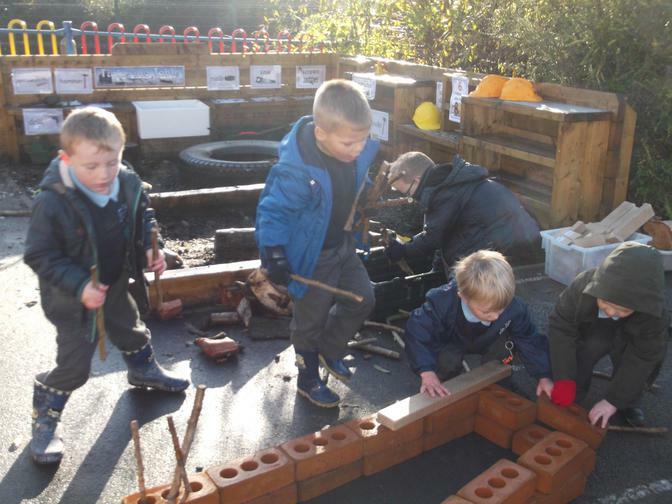 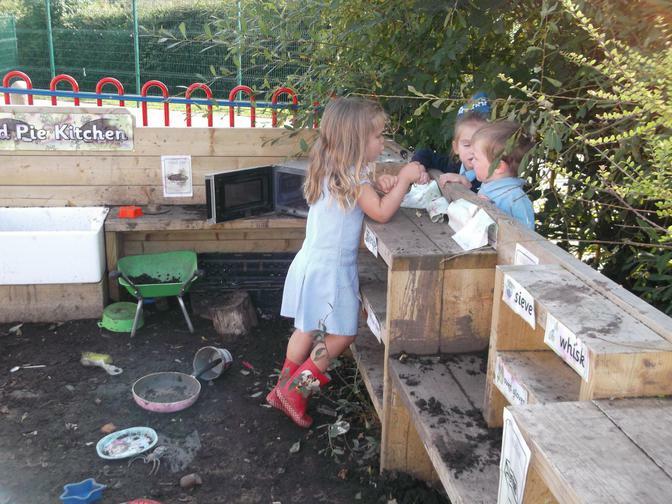 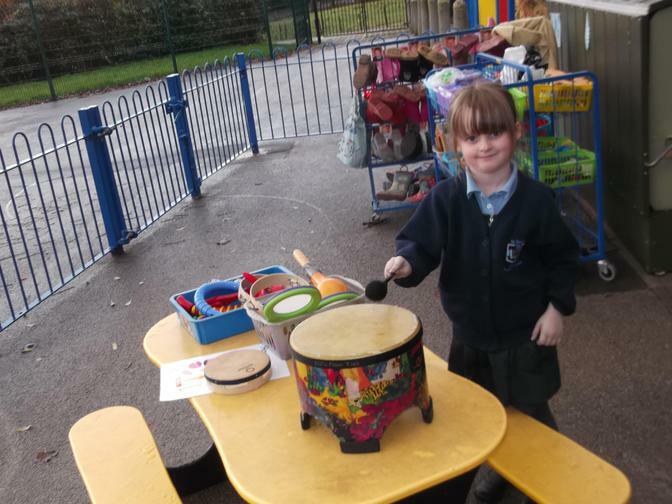 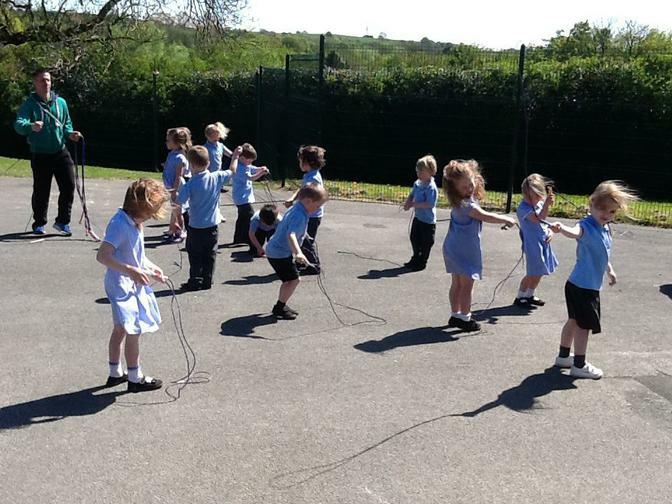 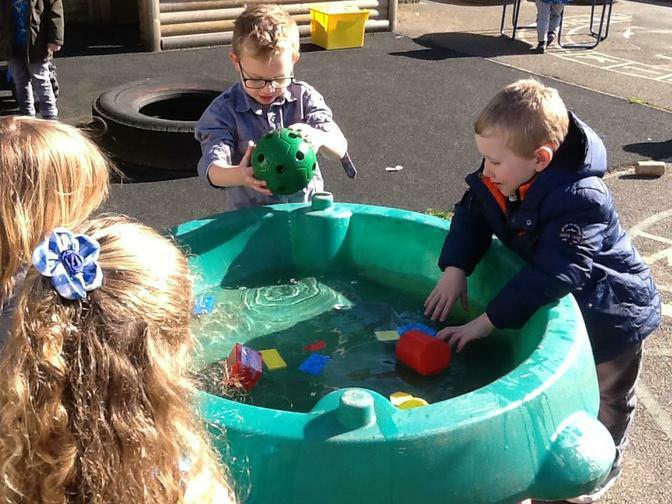 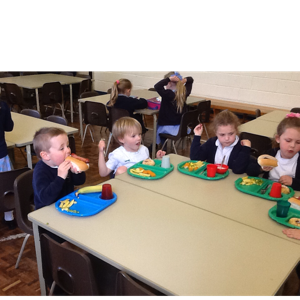 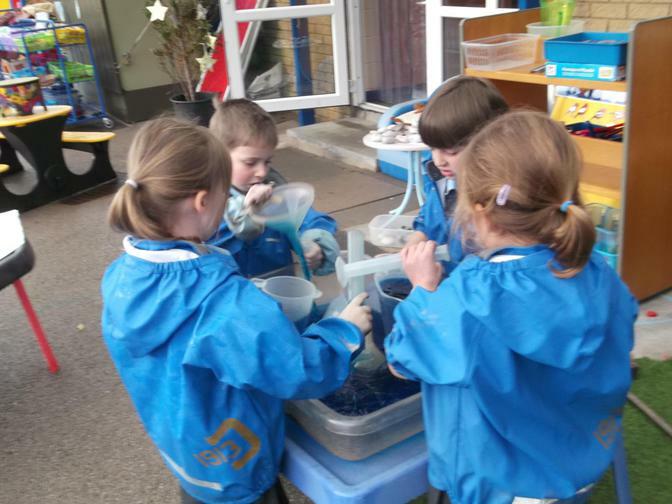 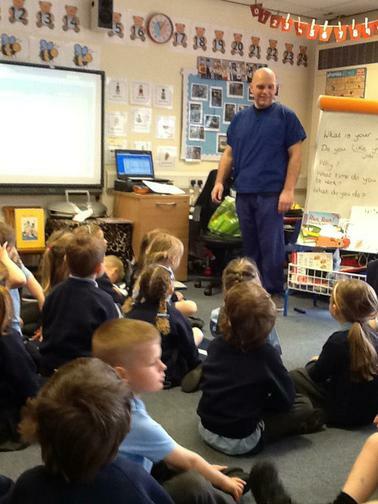 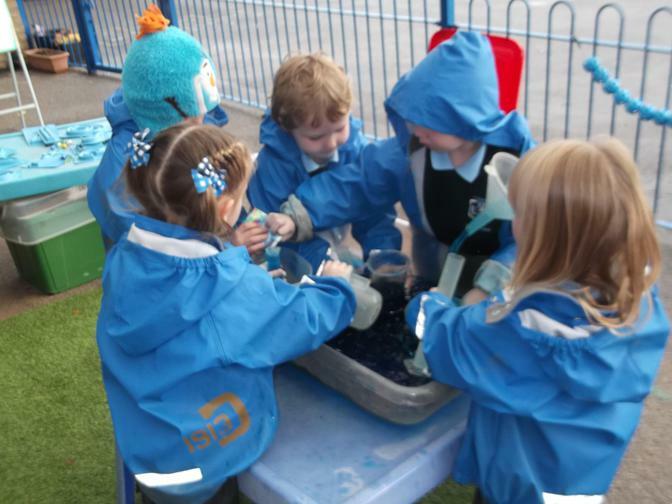 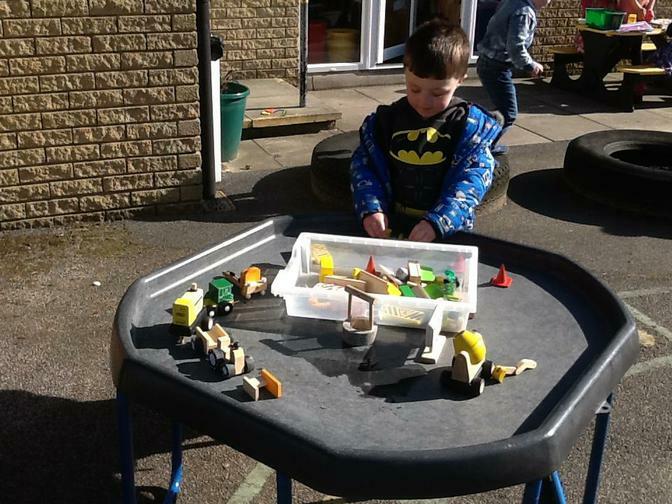 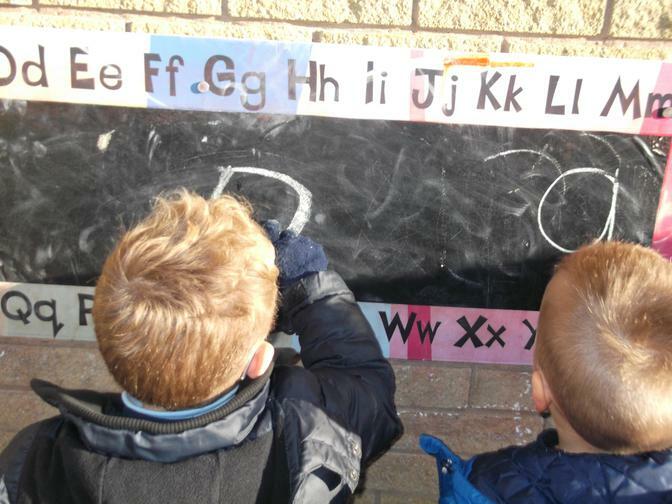 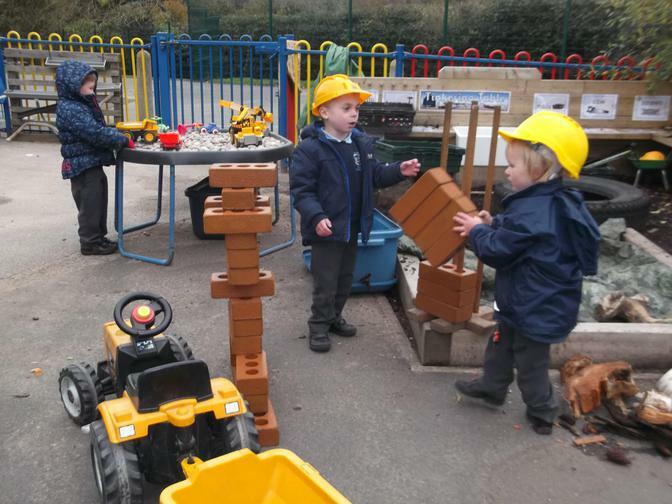 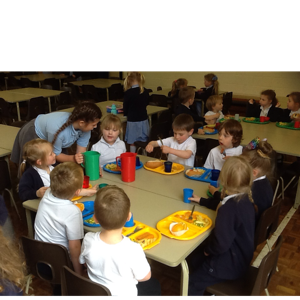 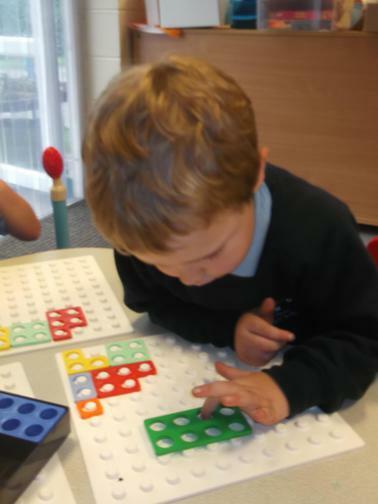 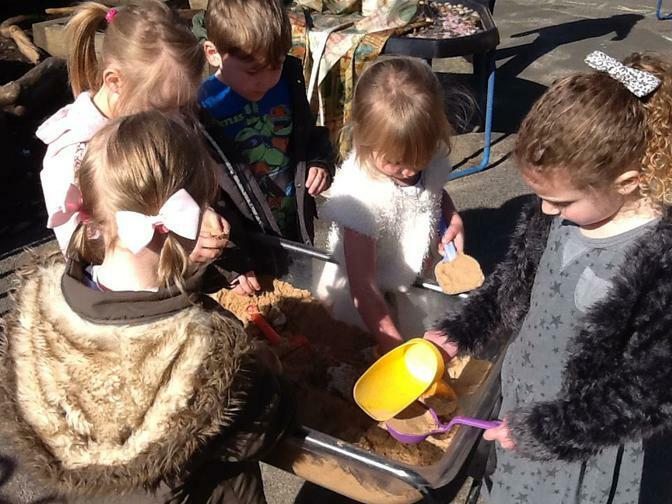 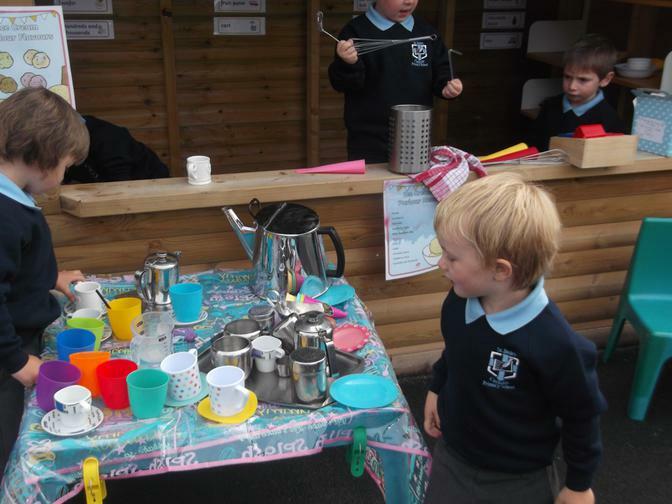 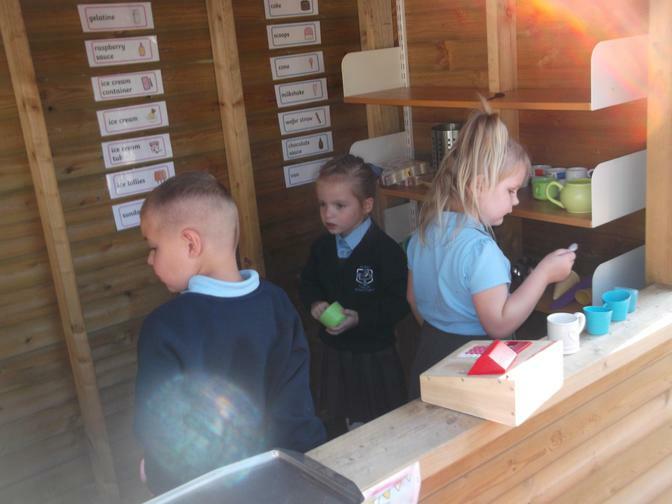 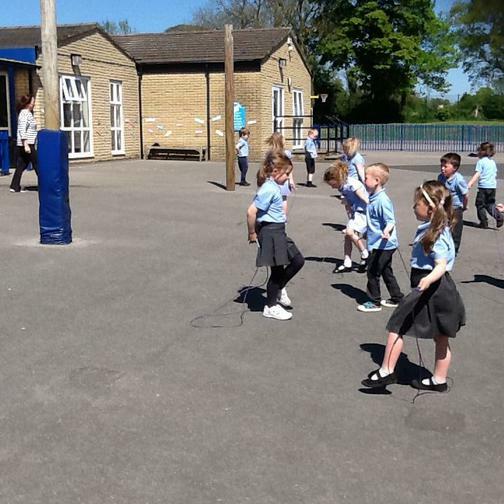 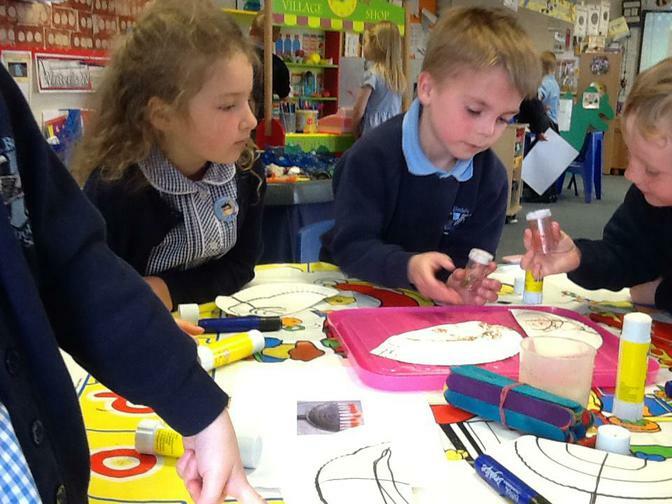 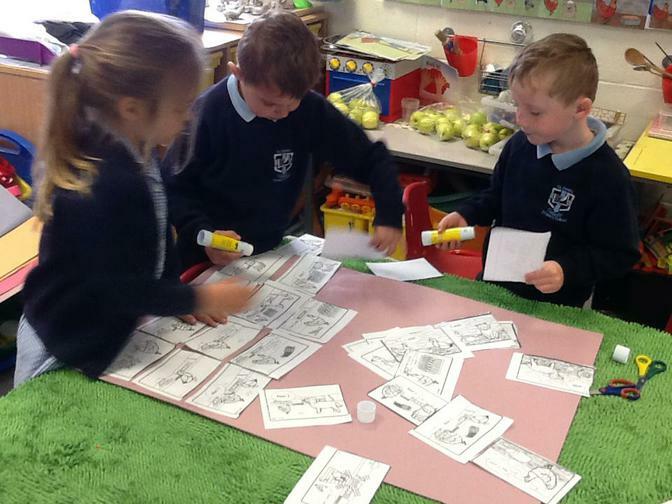 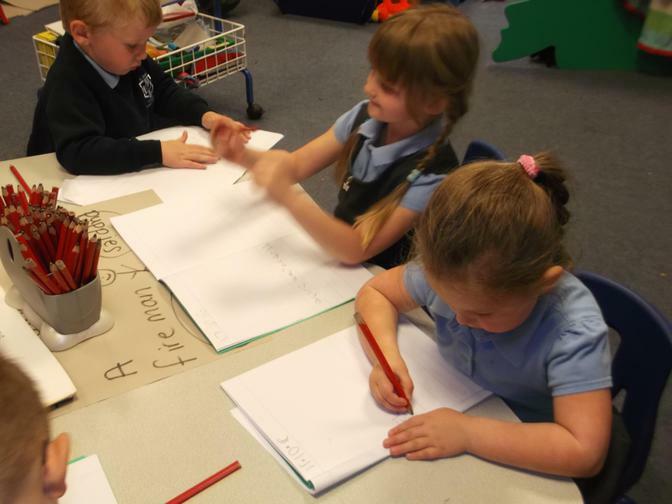 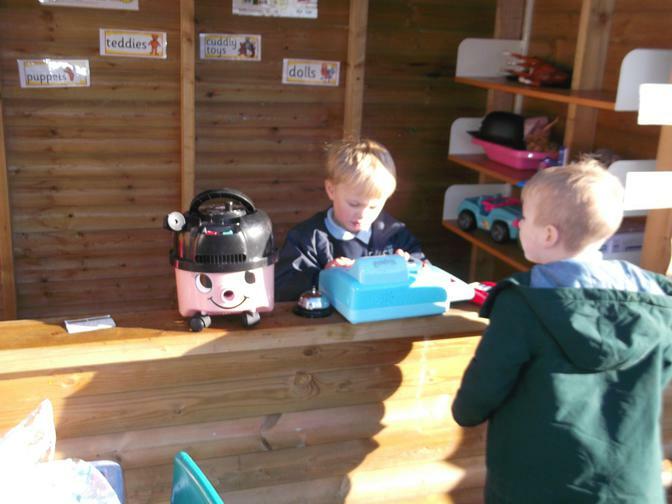 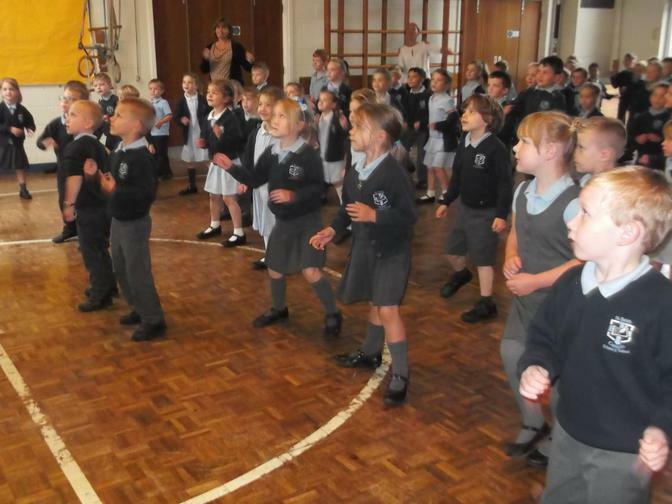 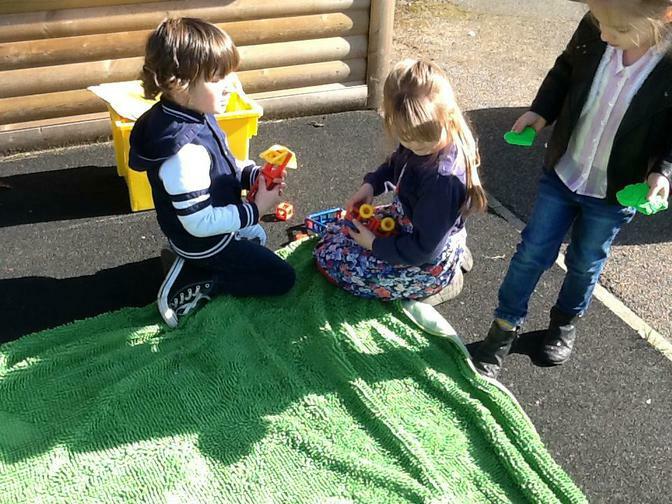 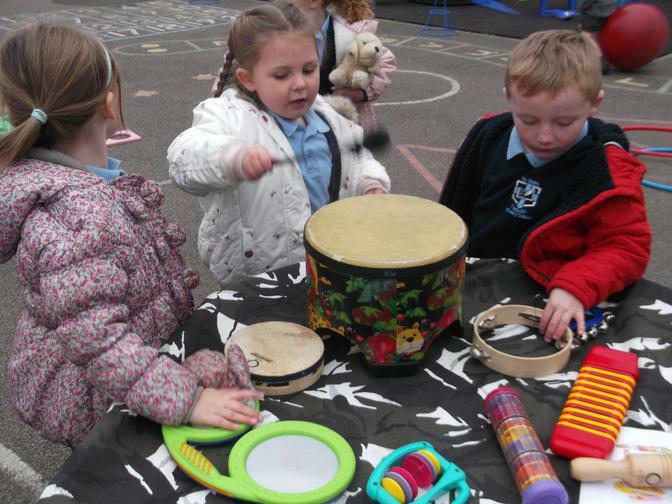 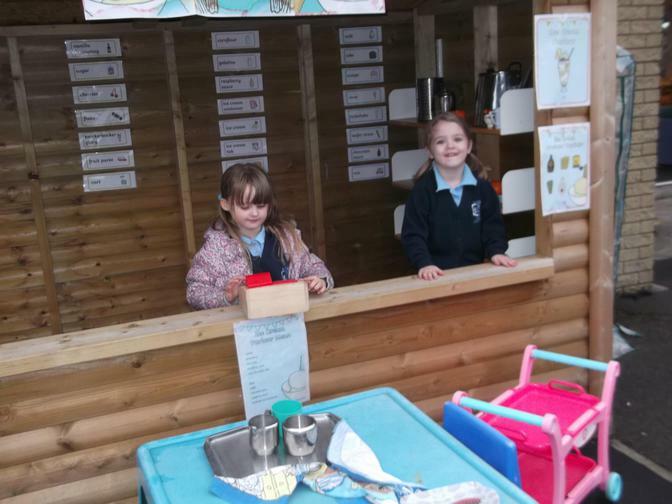 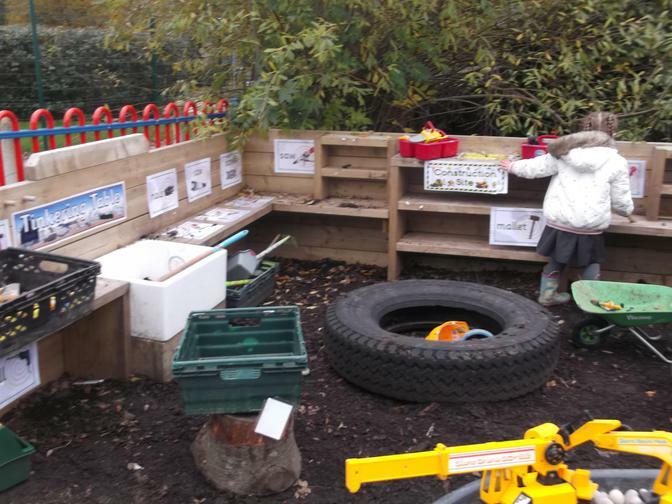 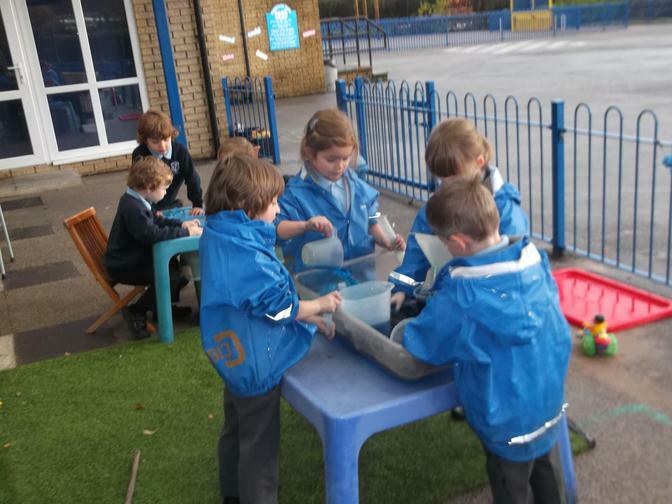 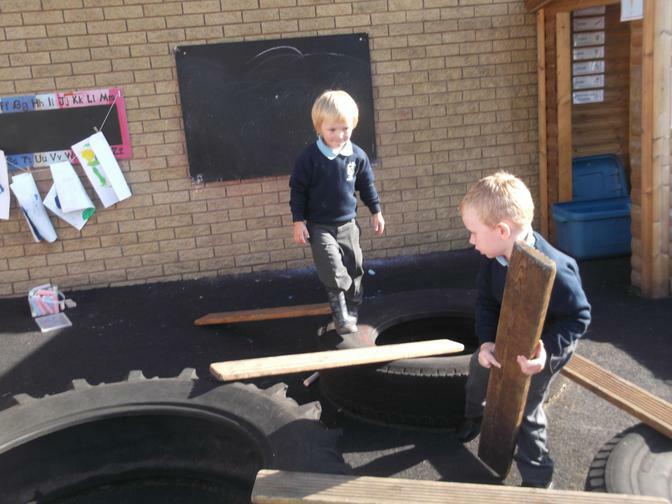 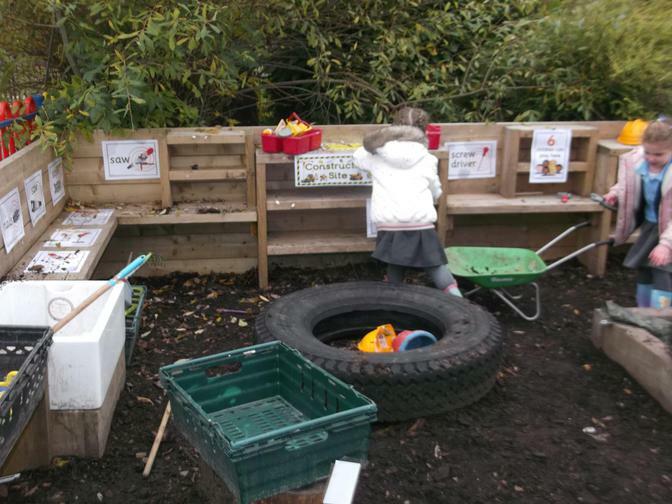 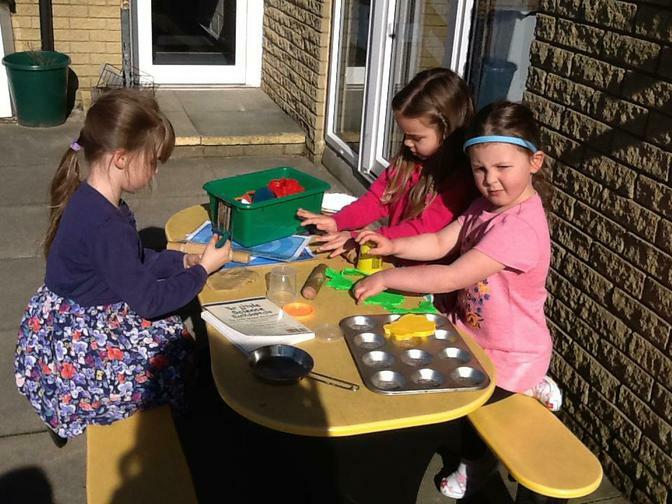 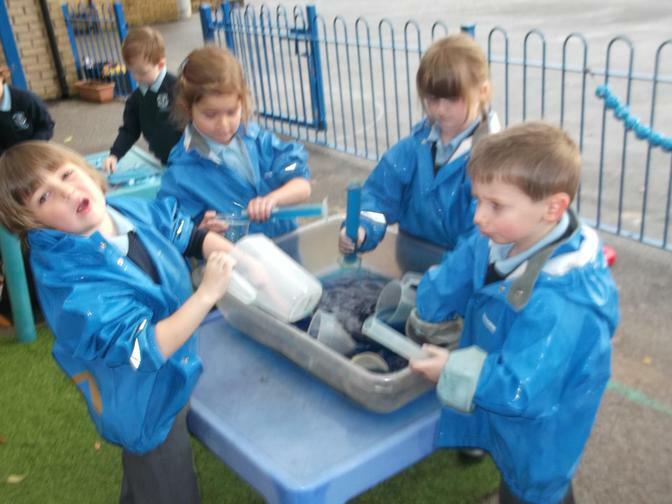 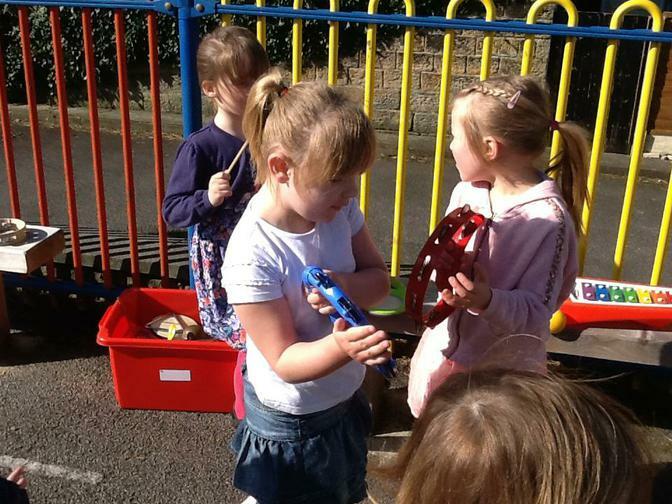 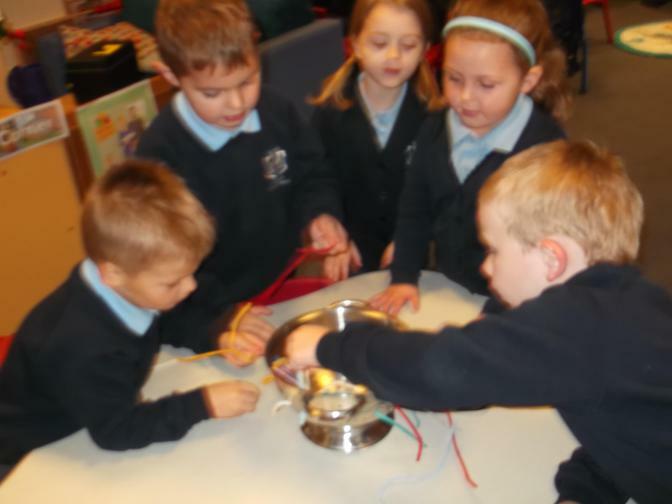 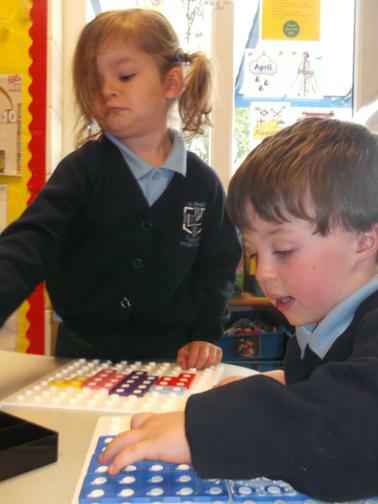 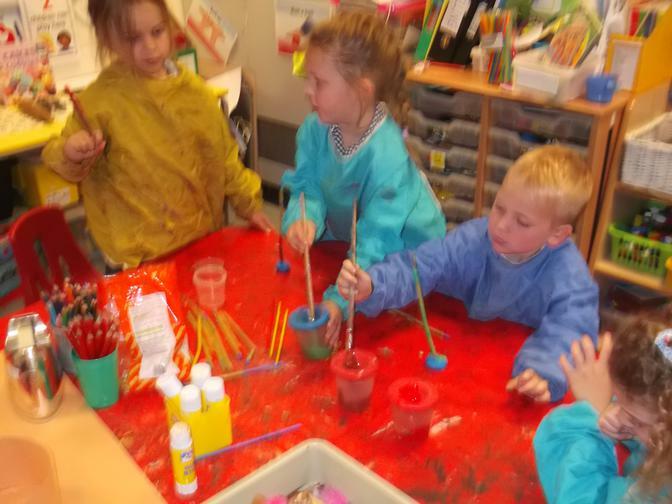 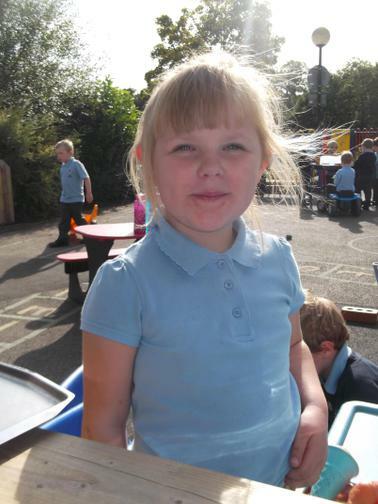 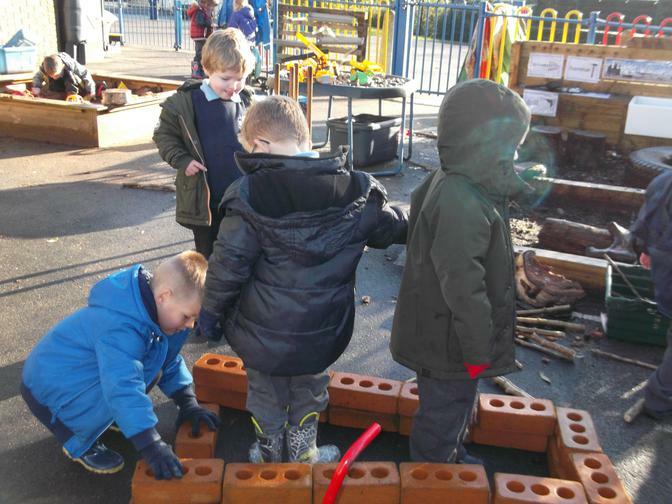 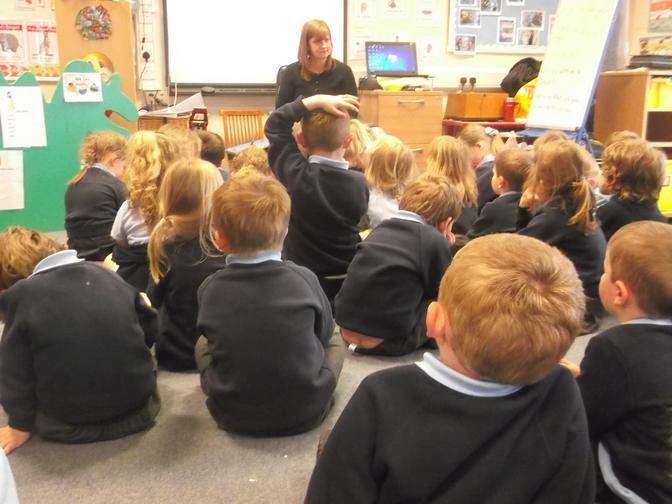 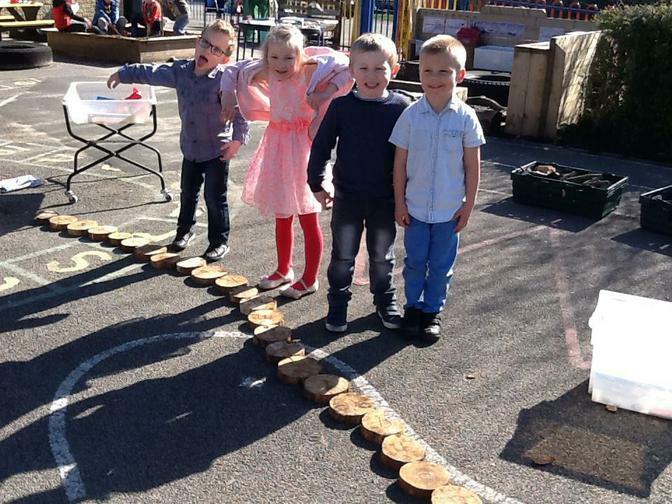 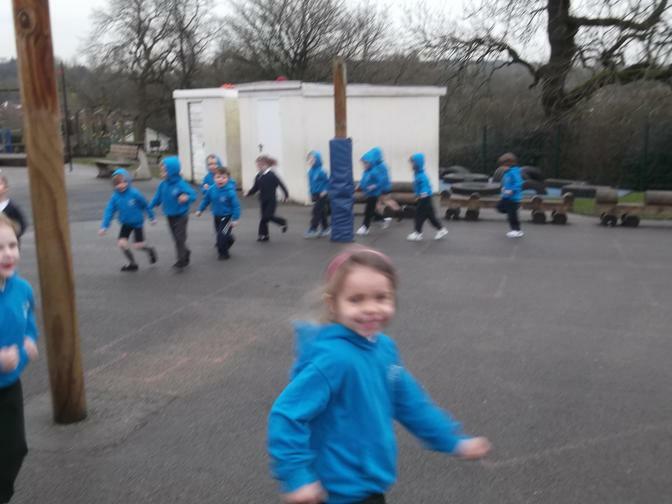 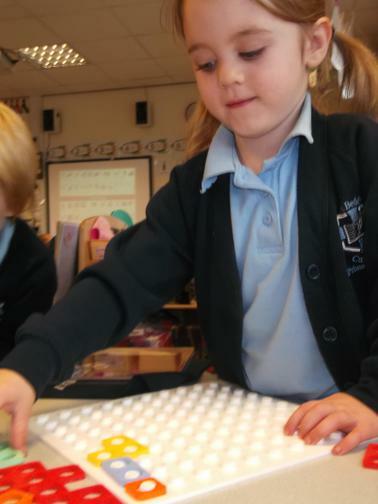 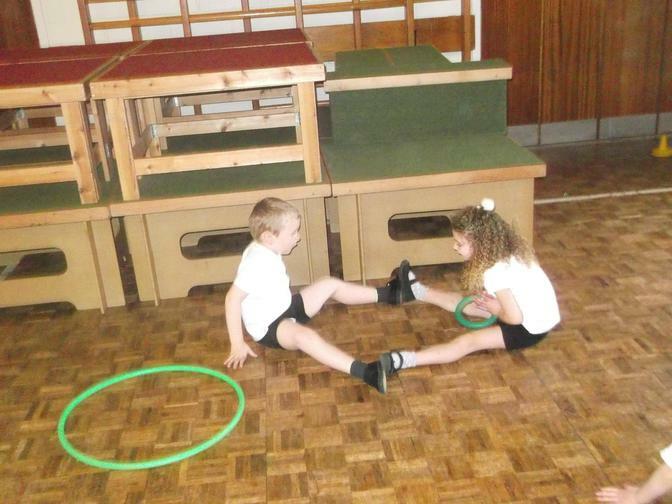 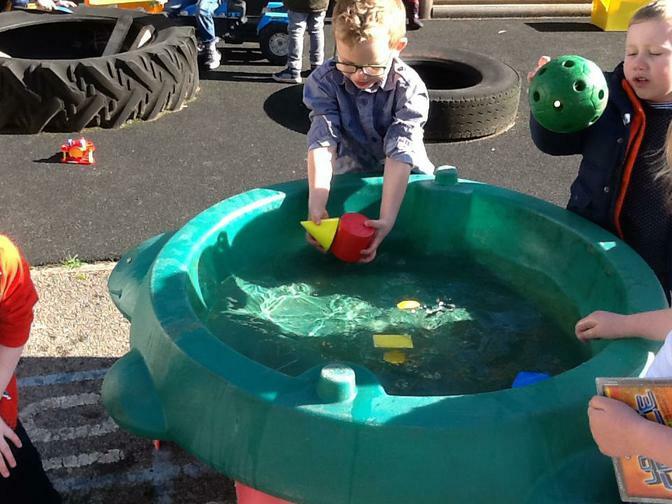 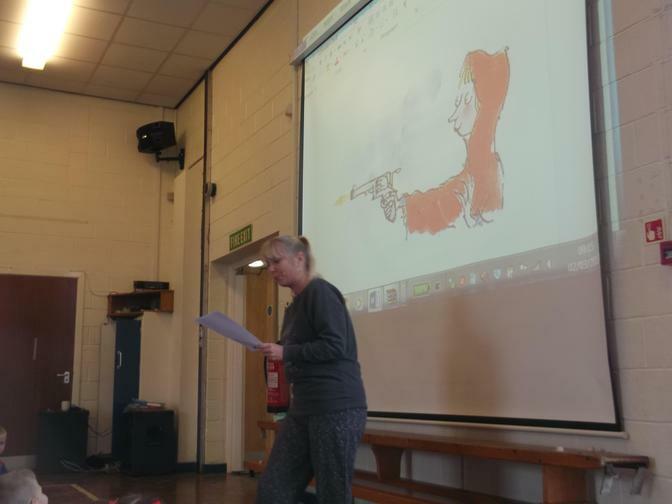 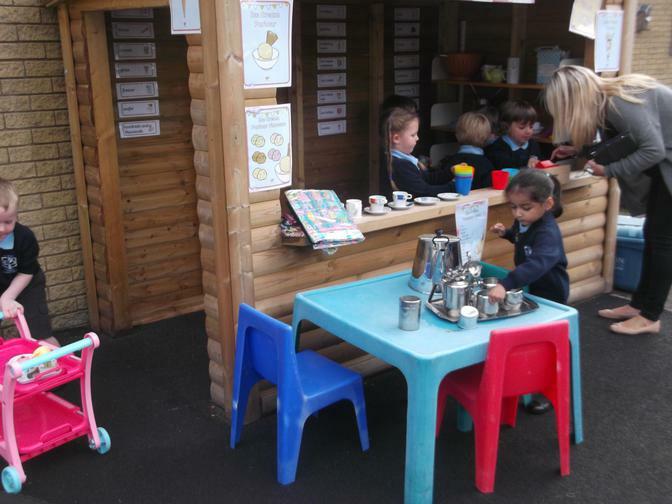 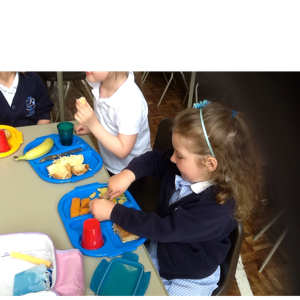 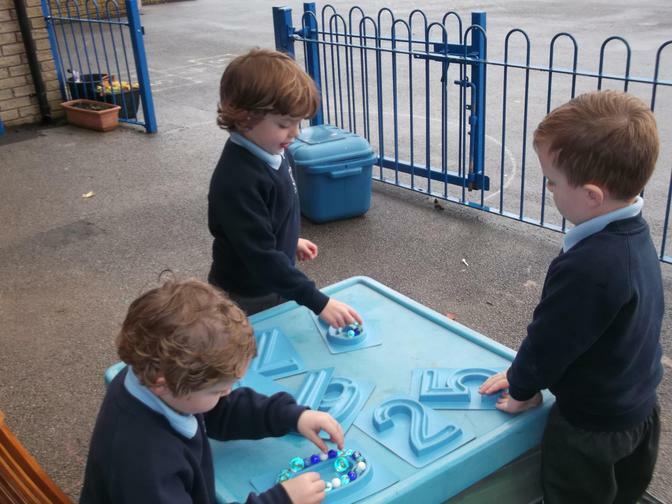 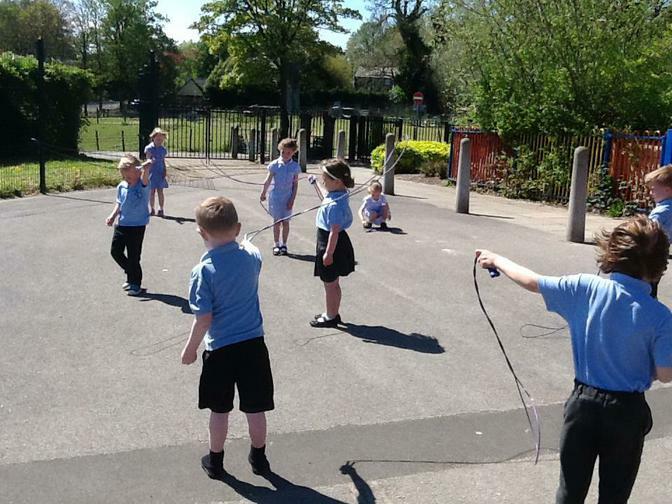 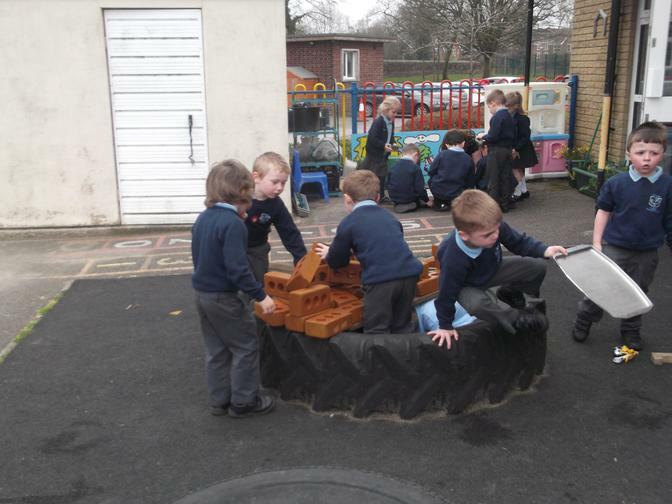 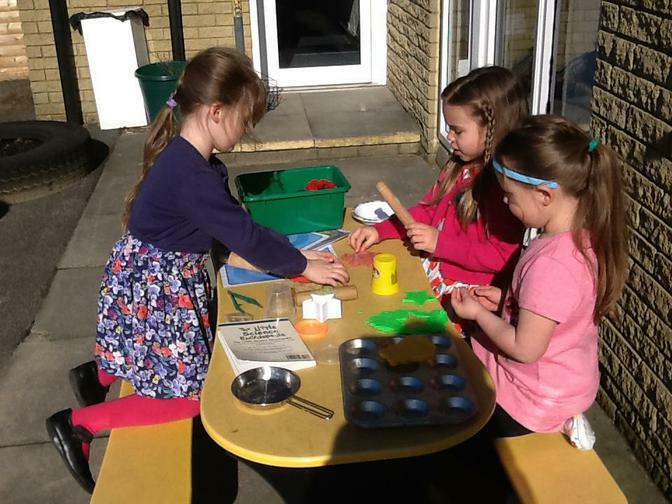 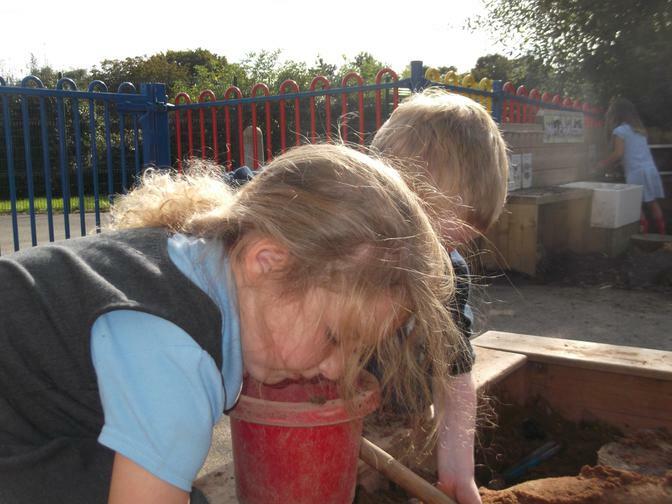 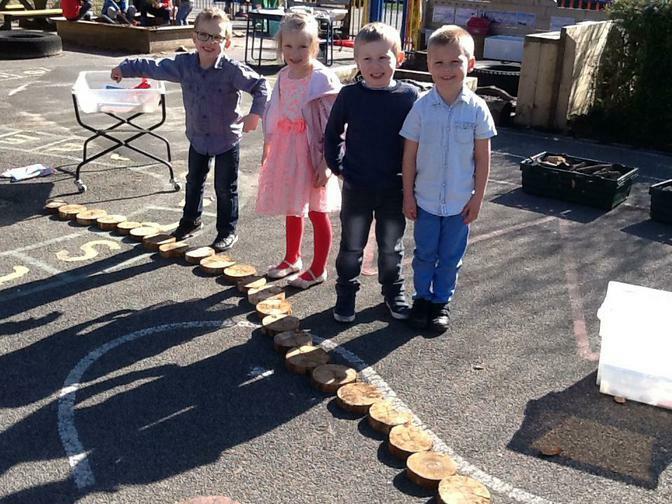 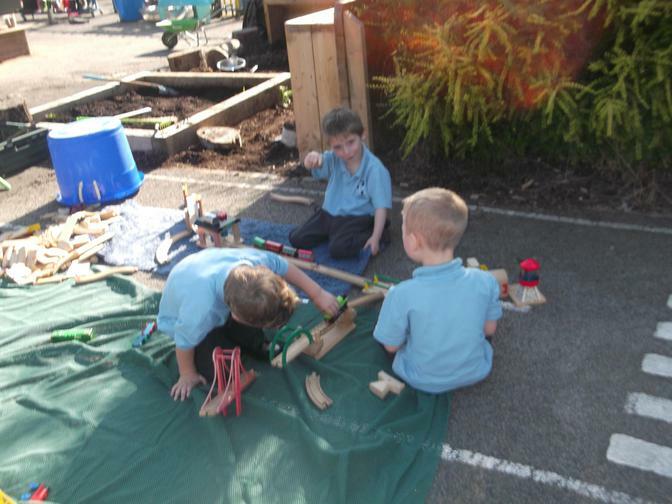 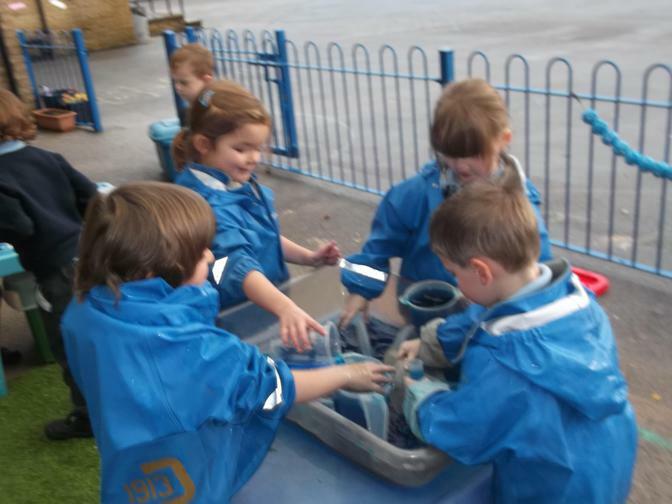 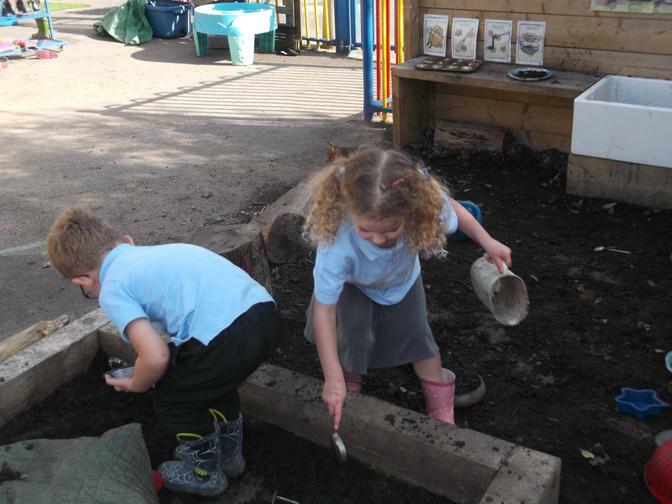 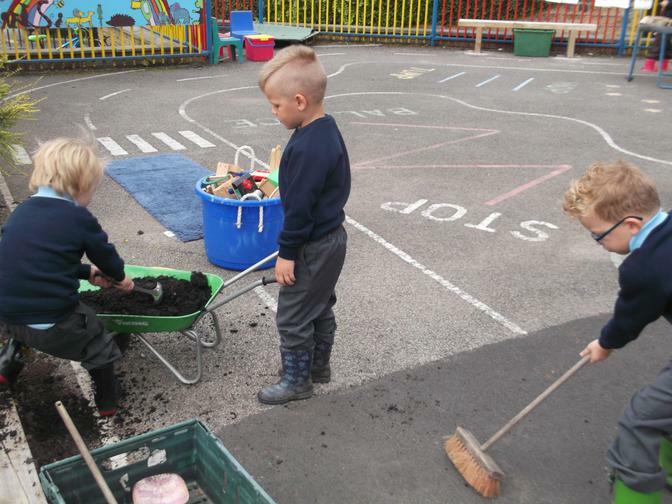 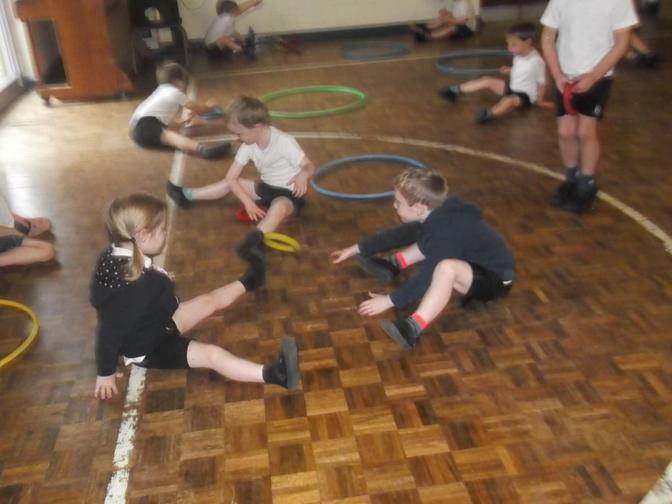 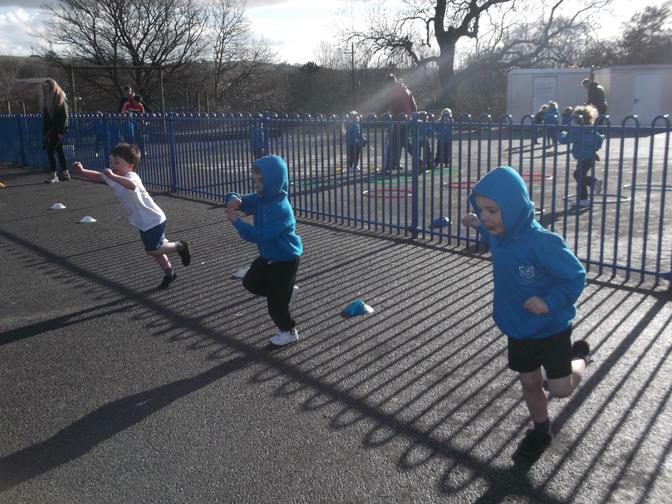 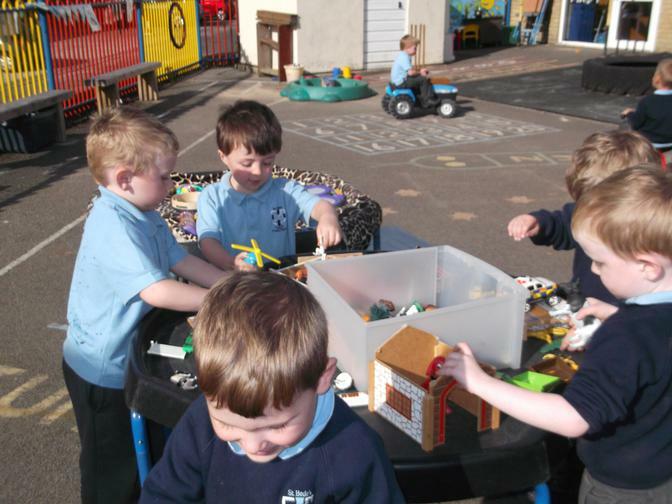 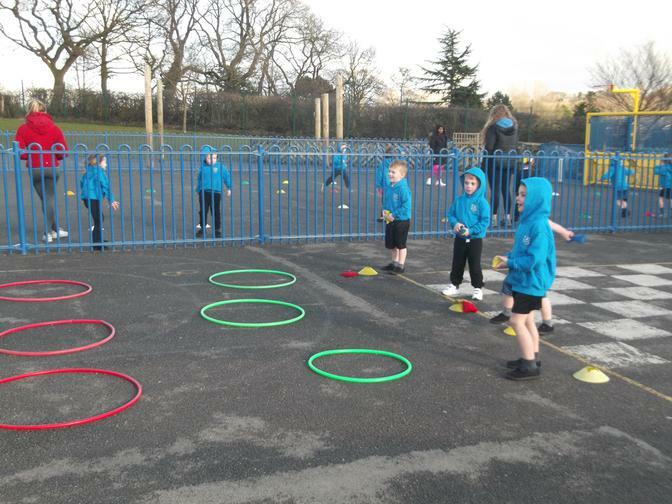 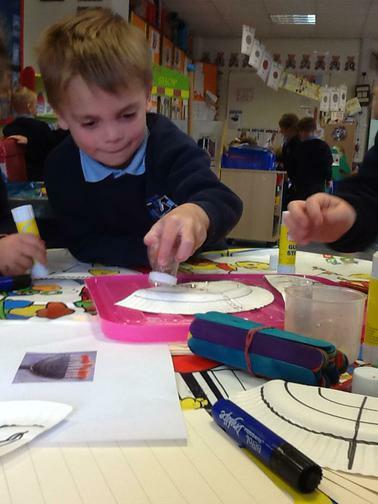 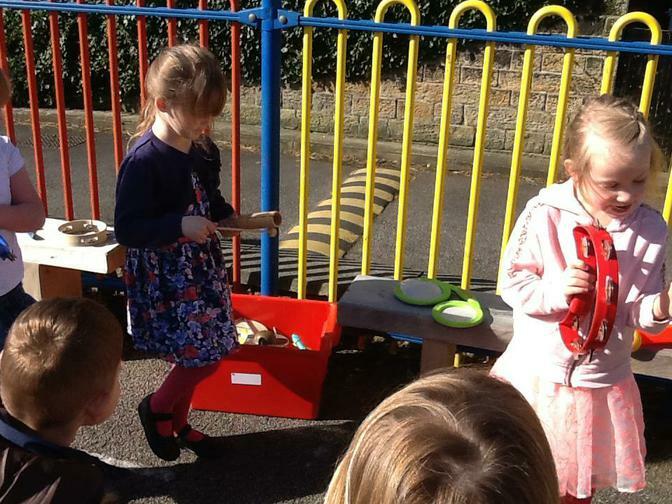 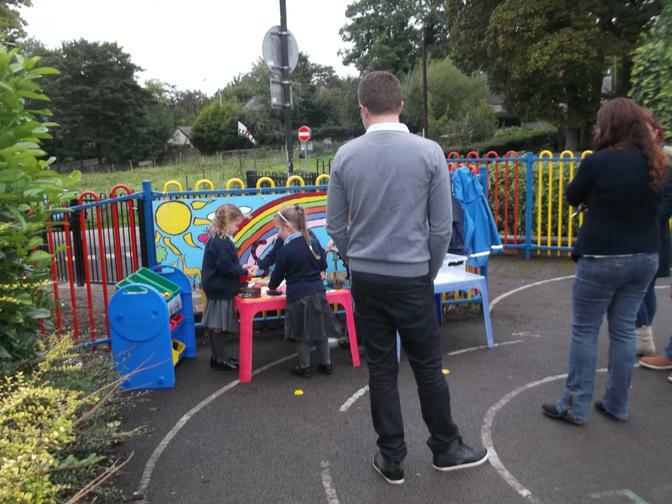 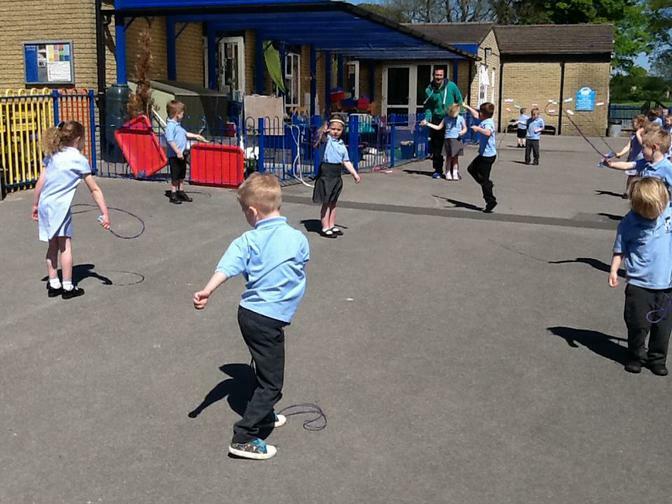 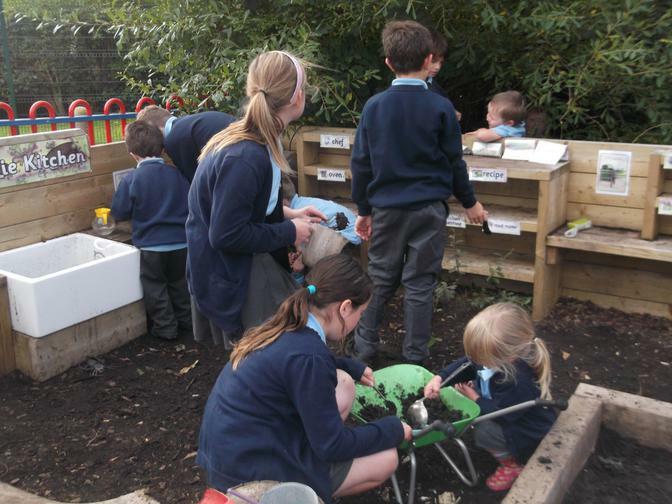 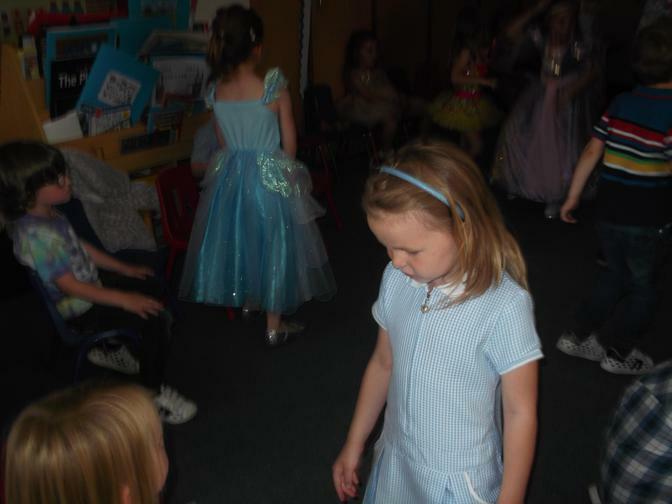 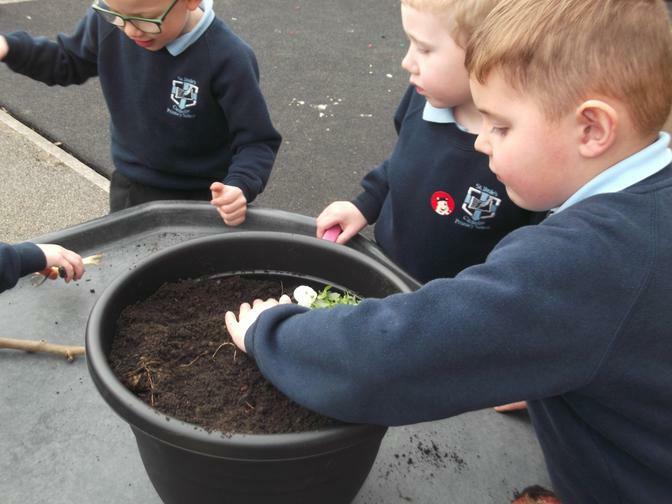 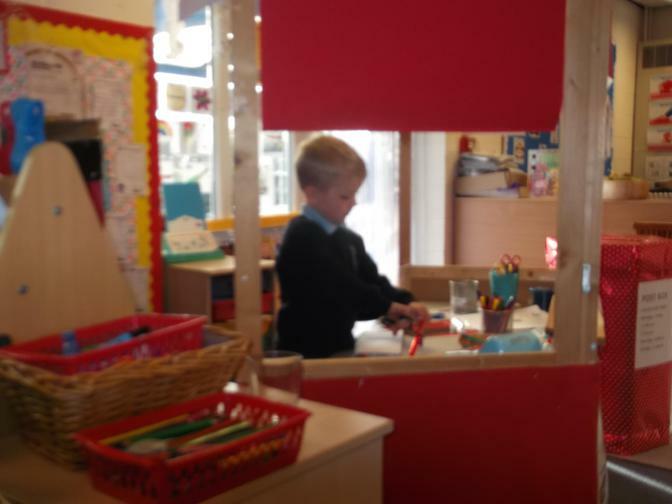 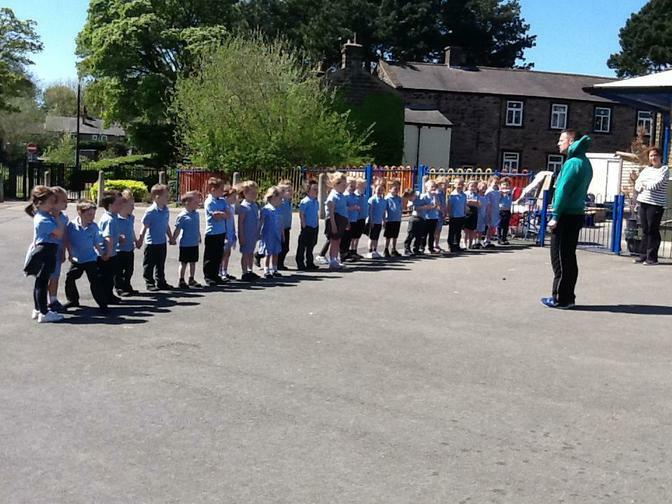 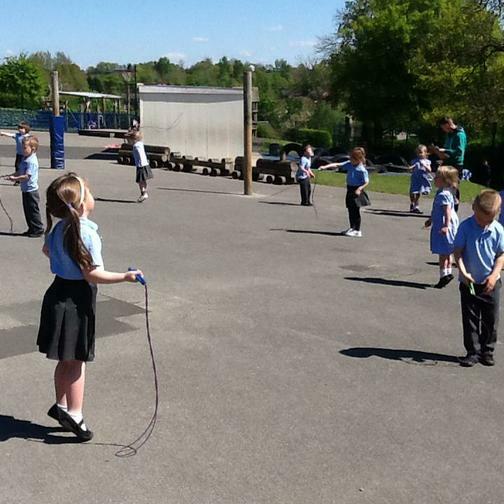 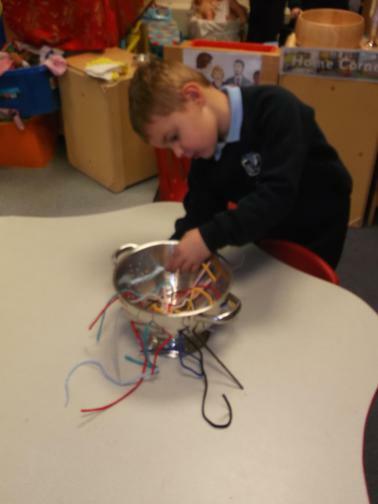 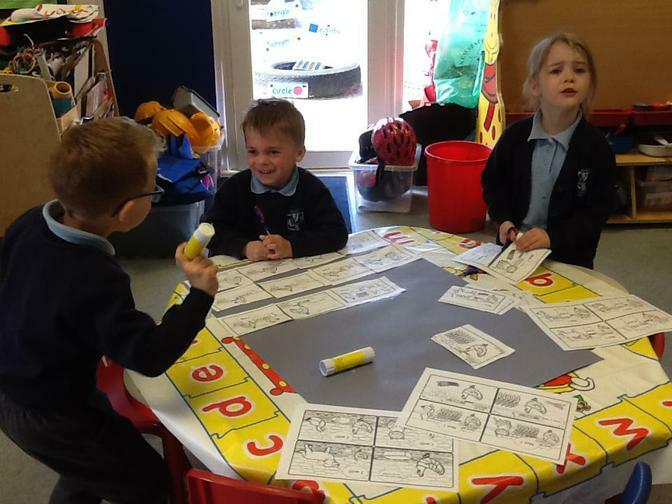 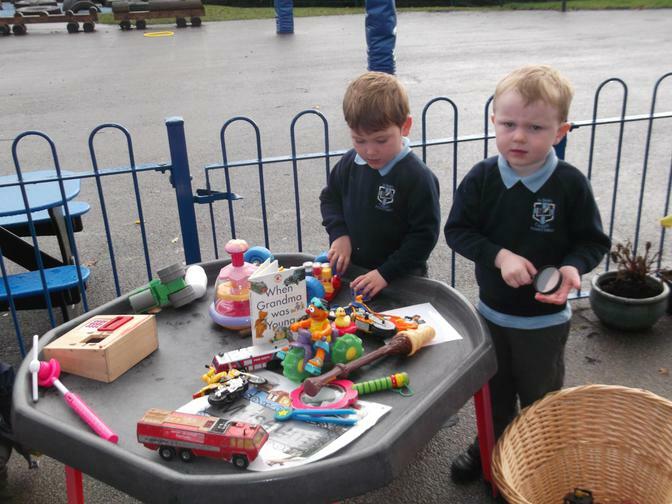 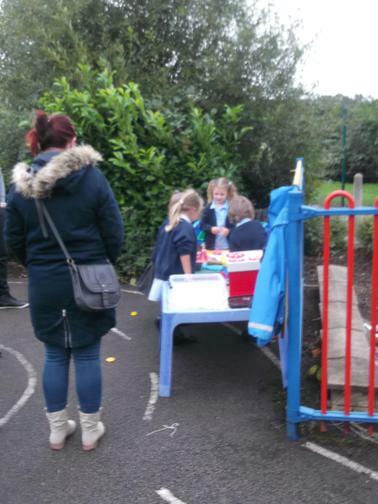 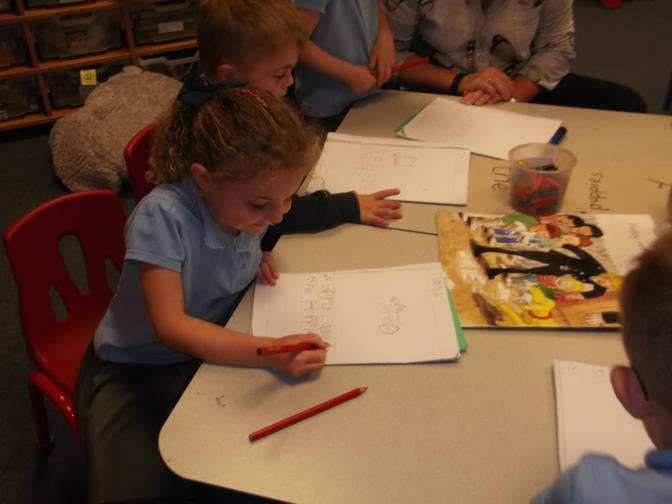 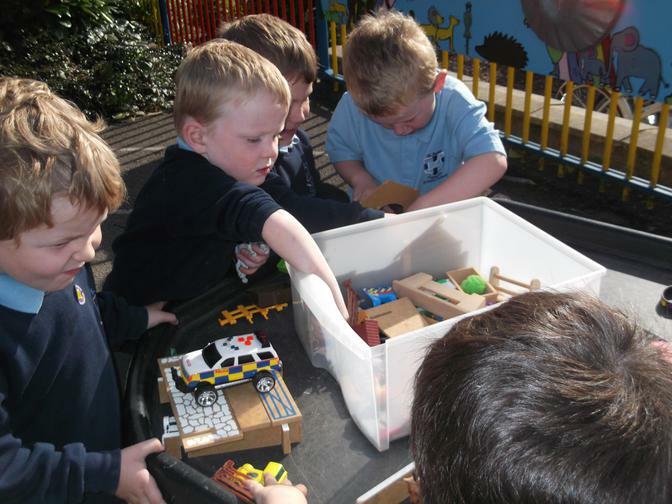 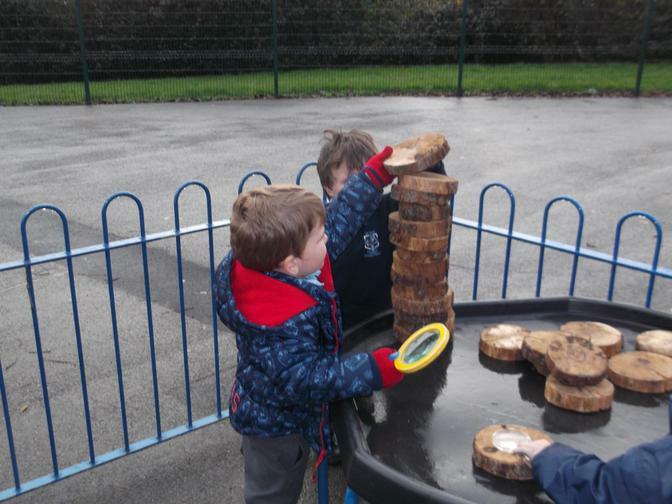 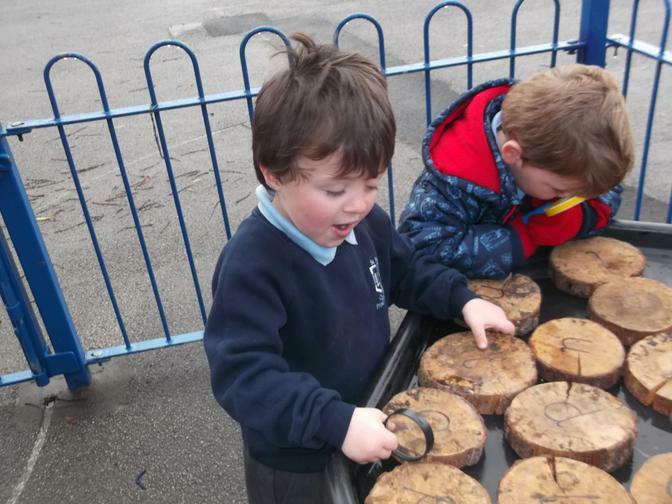 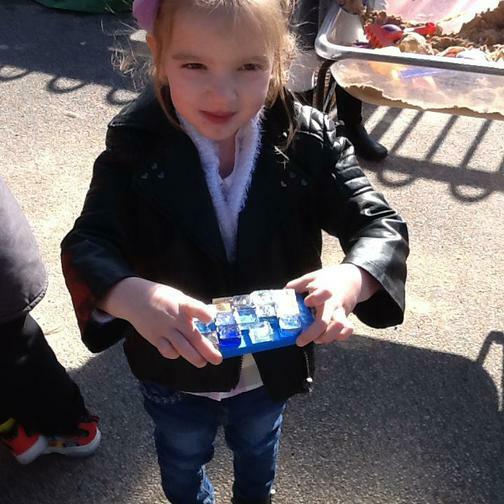 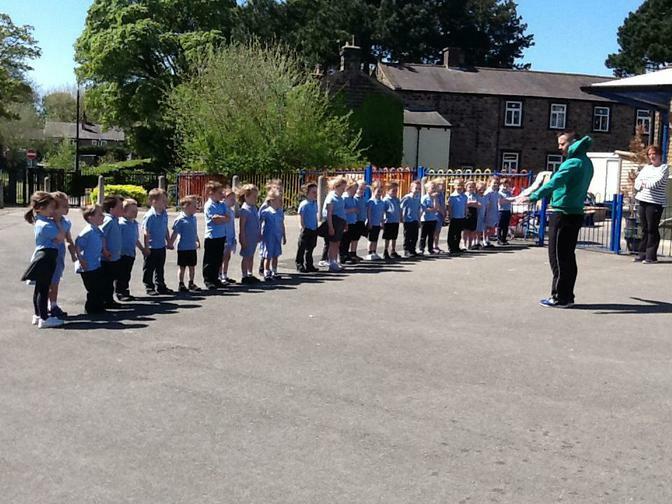 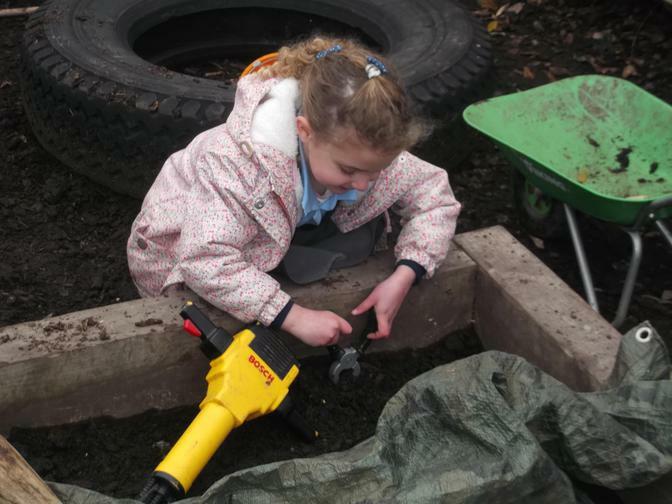 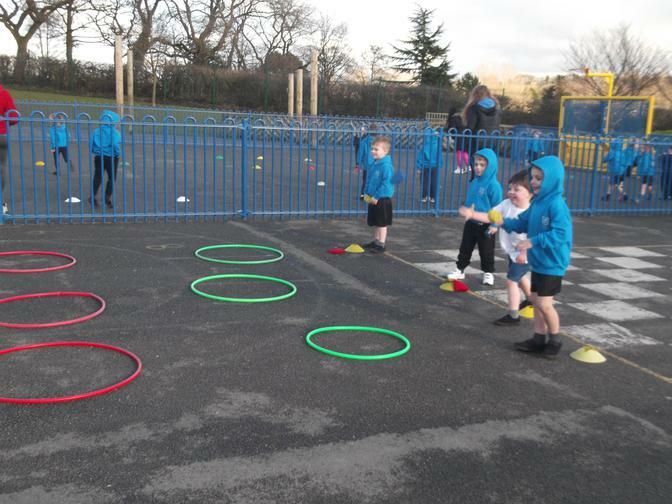 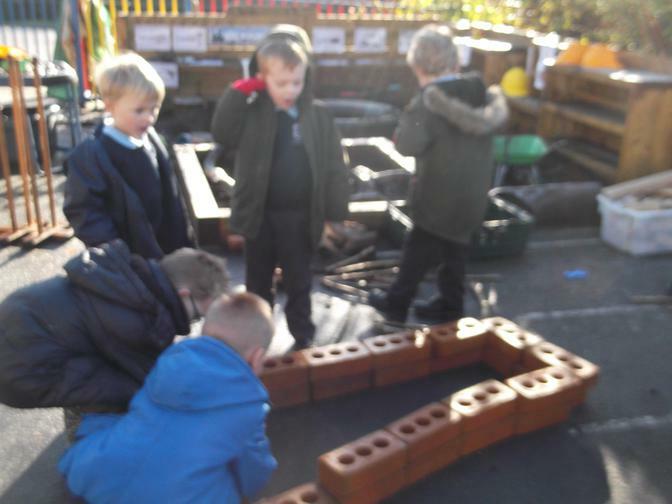 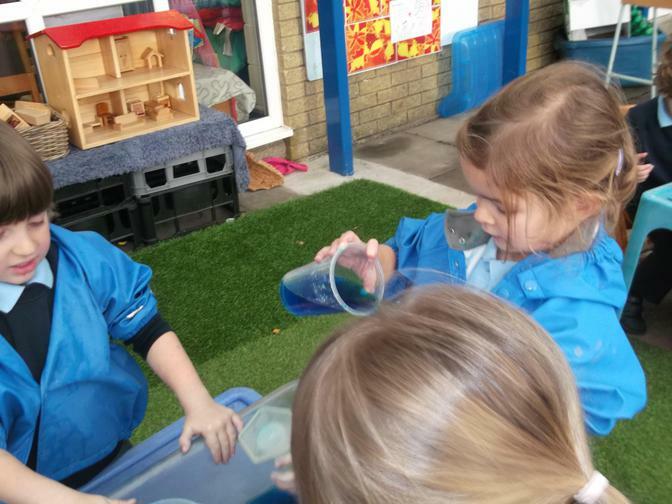 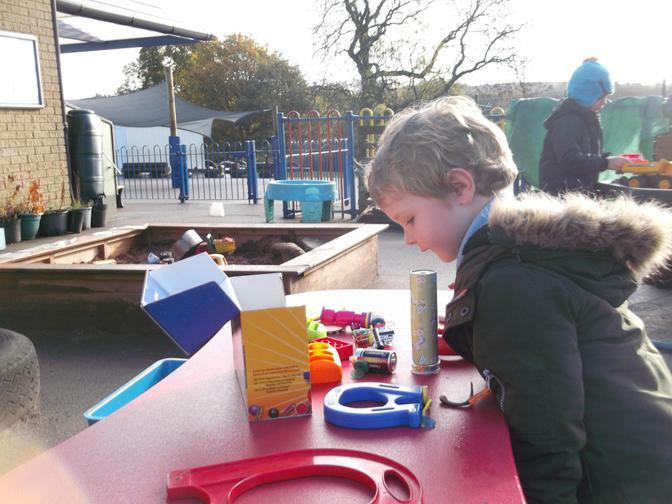 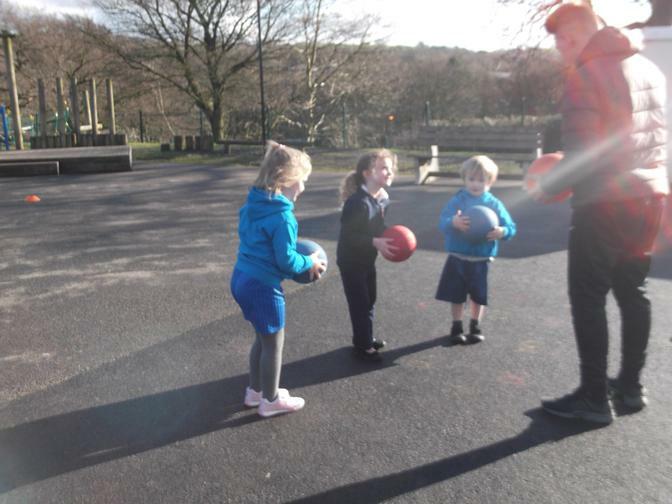 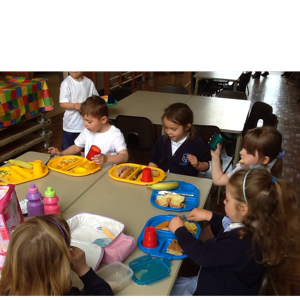 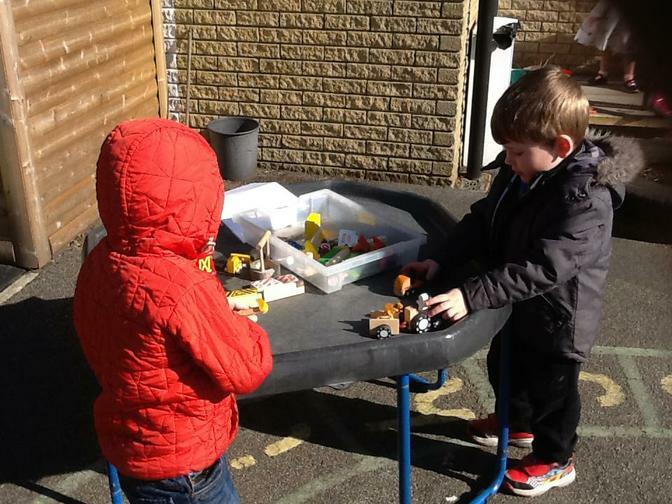 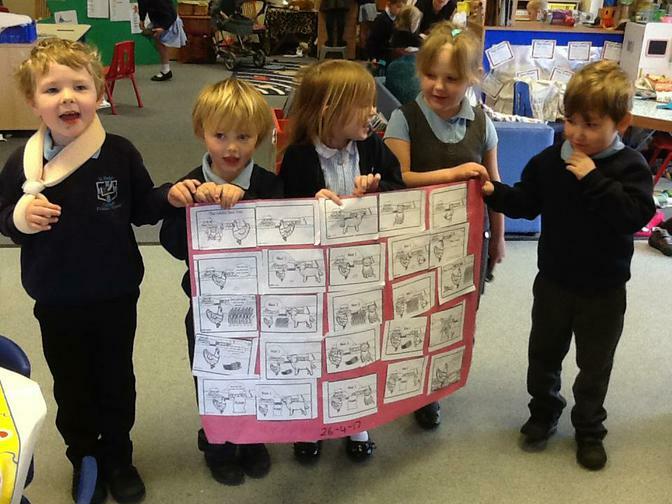 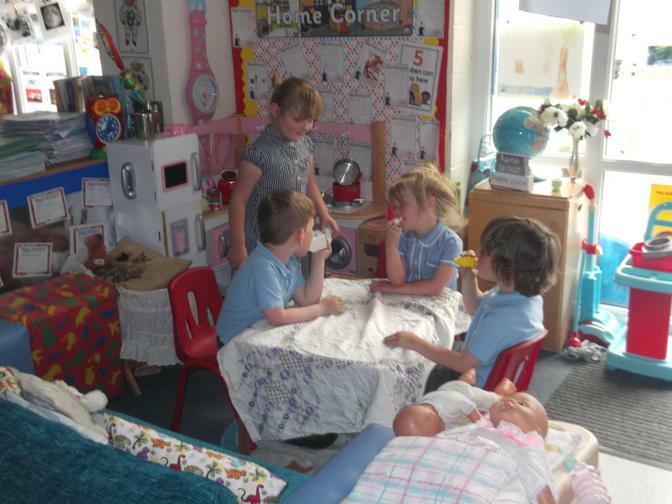 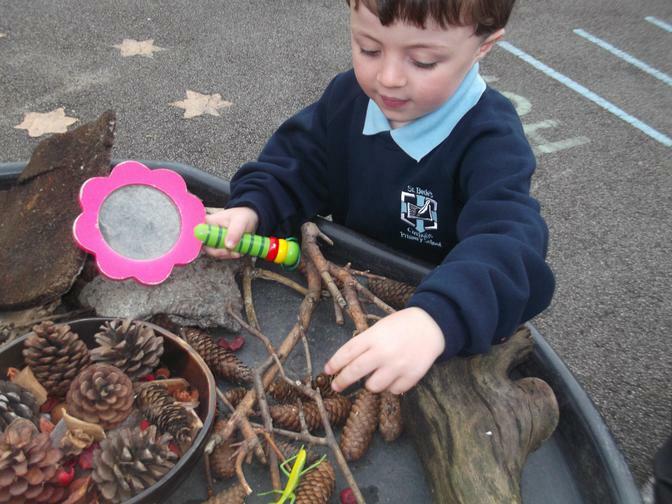 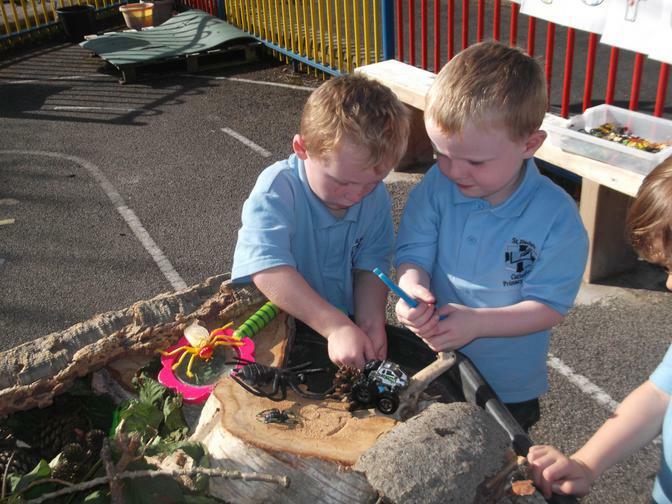 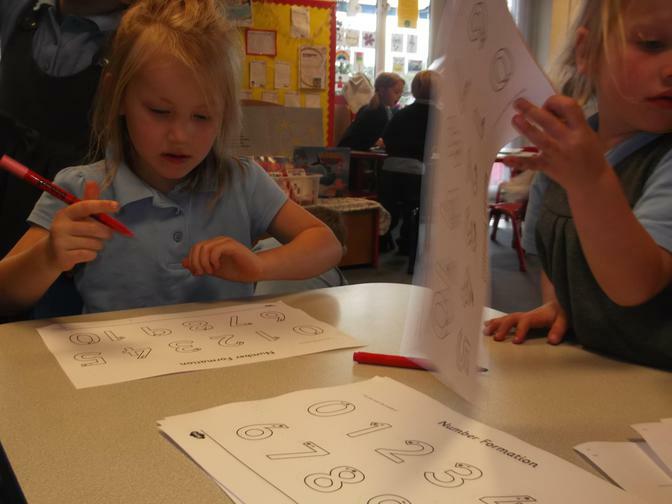 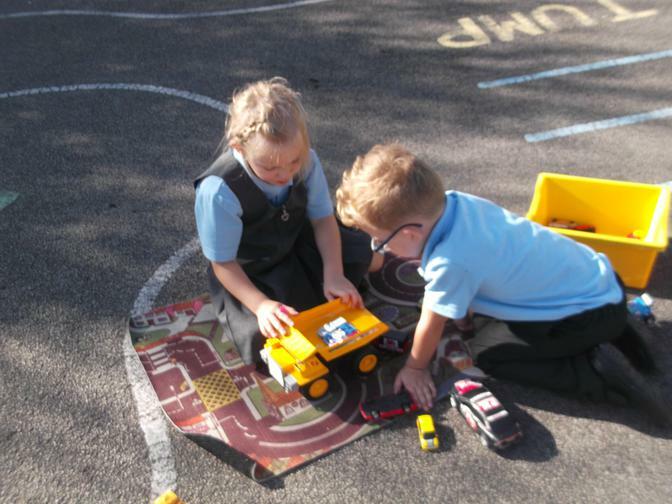 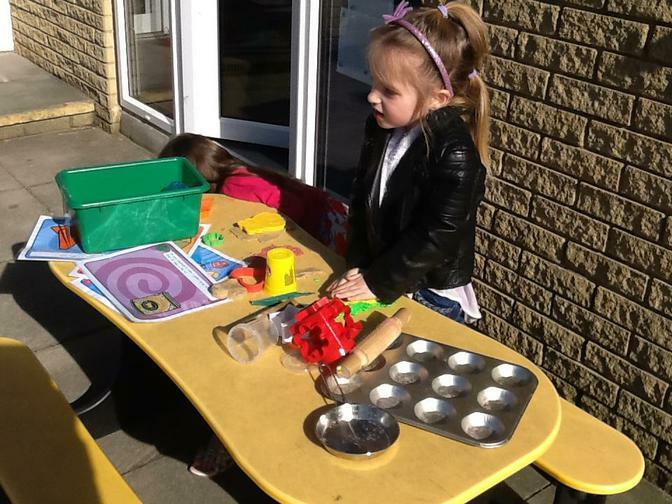 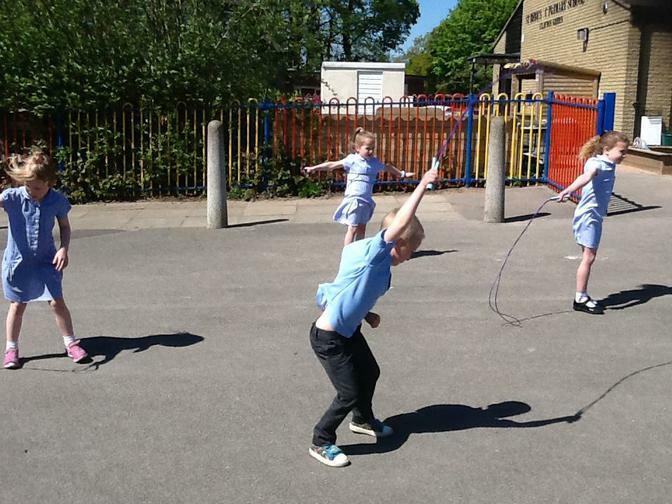 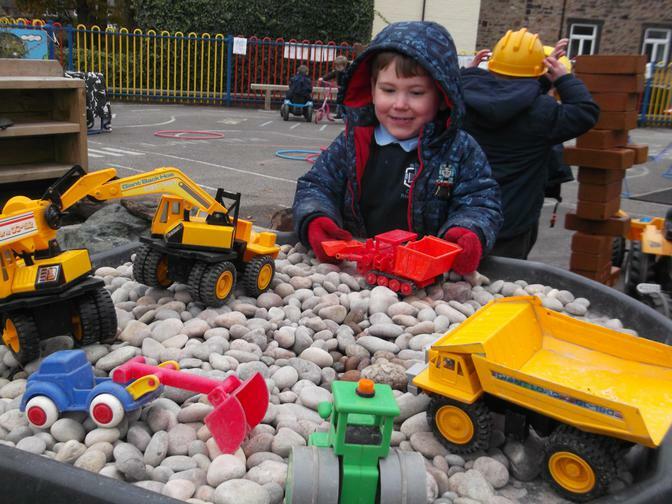 Reception discussed why they have to be at the right temperature and why they need to be turned over morning and night. 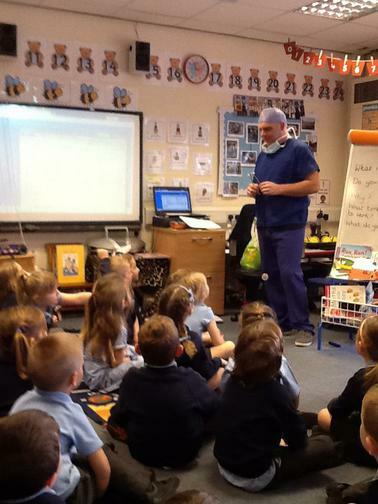 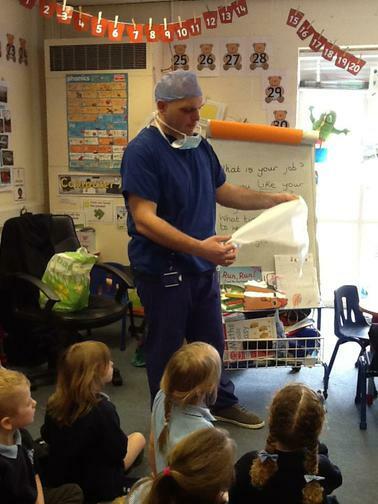 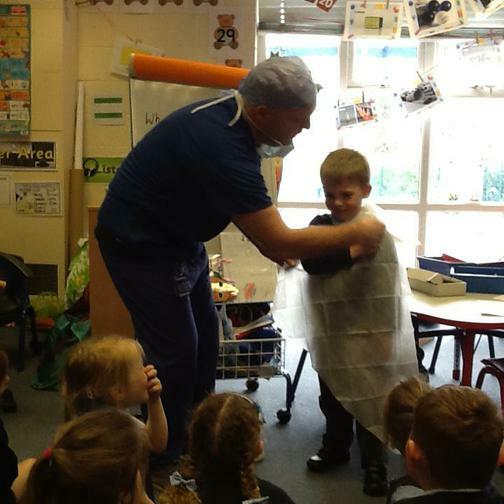 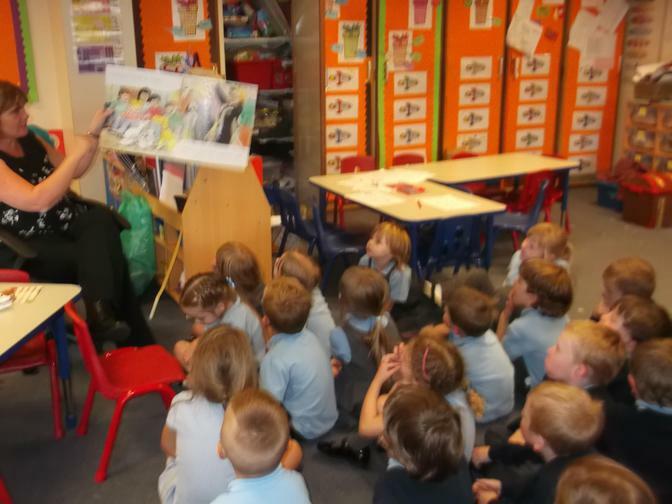 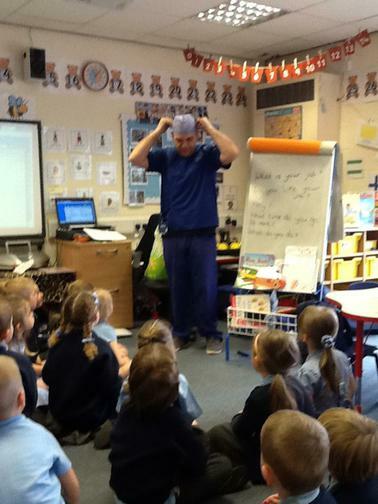 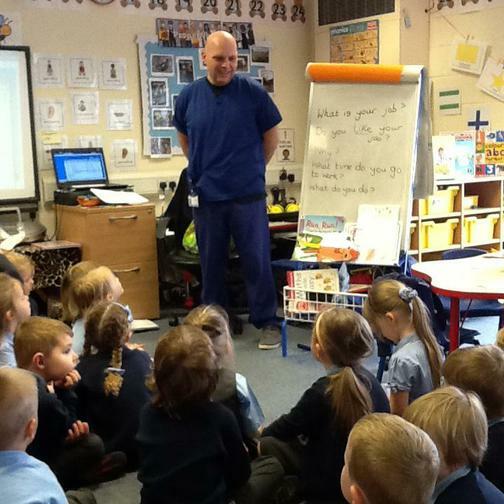 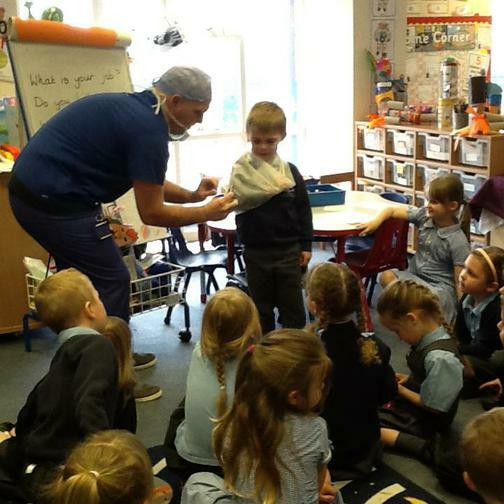 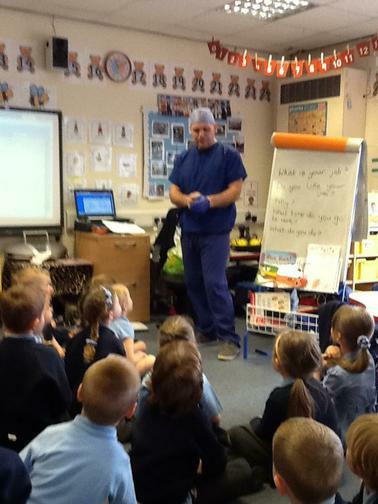 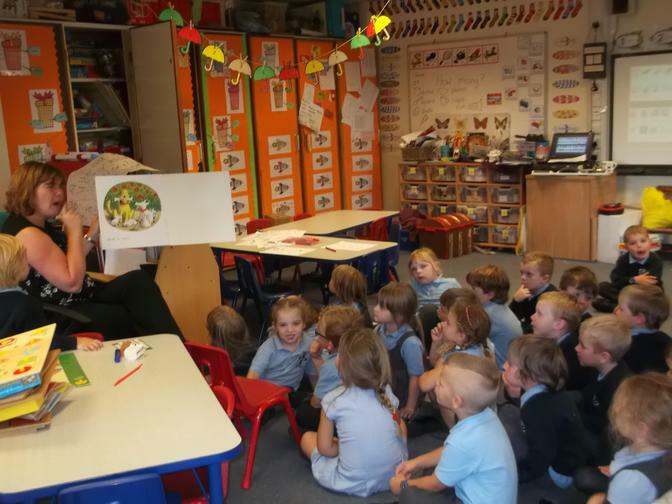 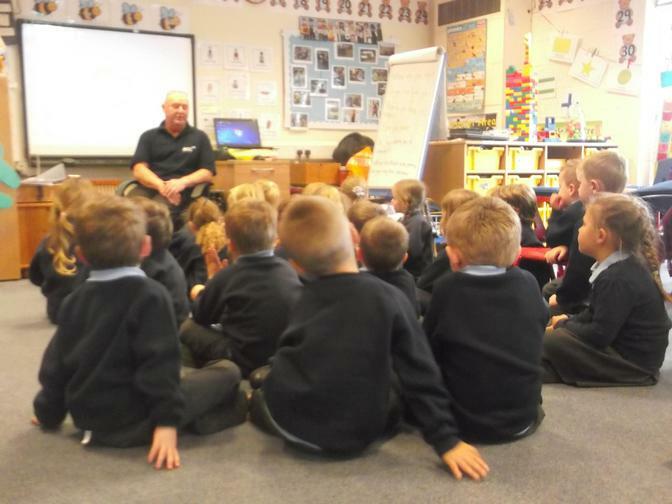 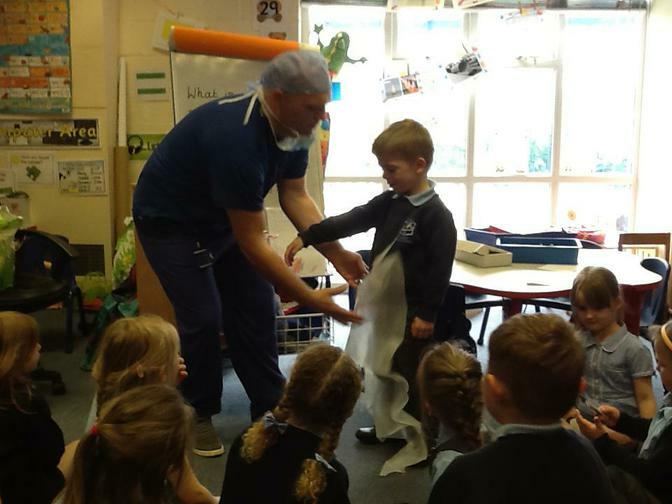 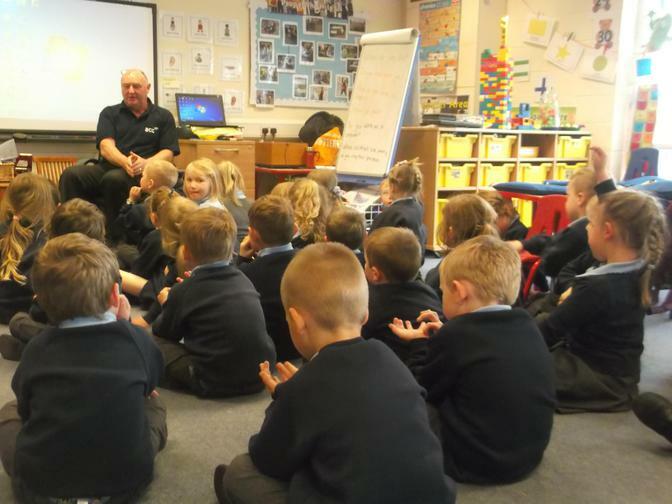 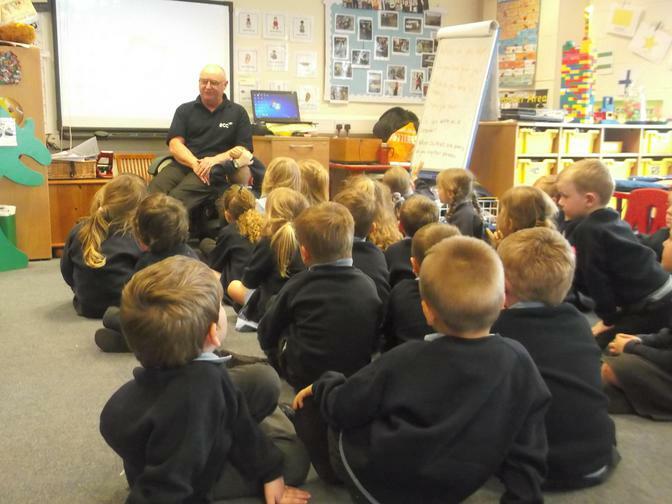 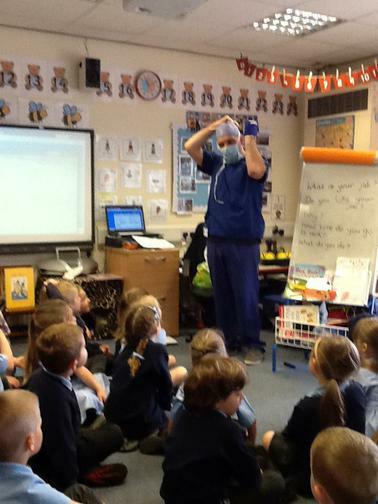 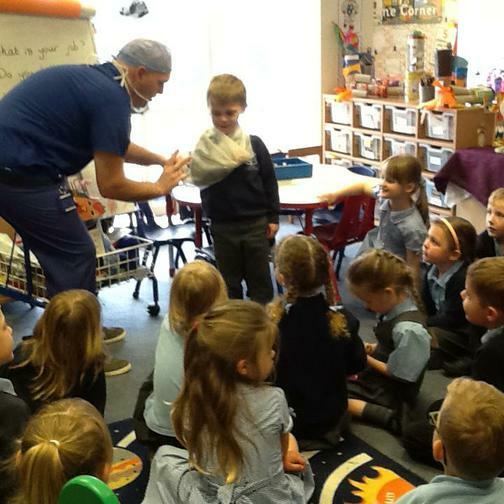 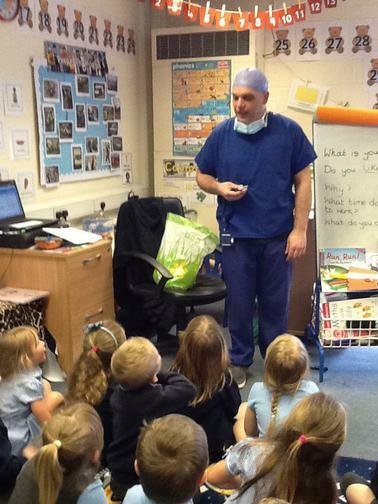 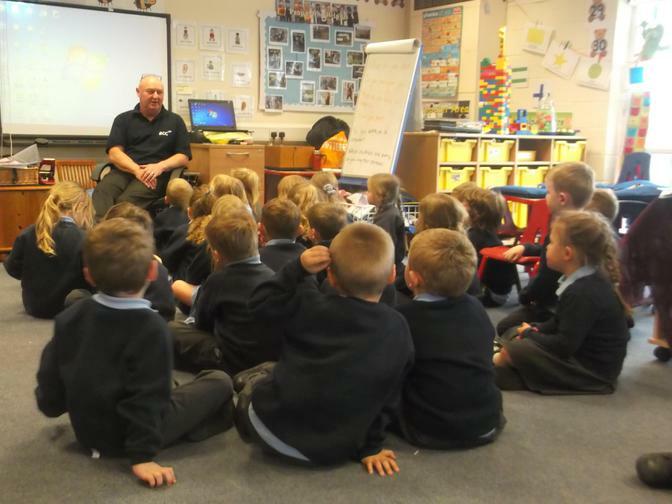 For our new topic this term 'People who help us' Mr.Shirtcliffe kindly came into school to tell us all about his job and show us some of the items needed in his job everyday. 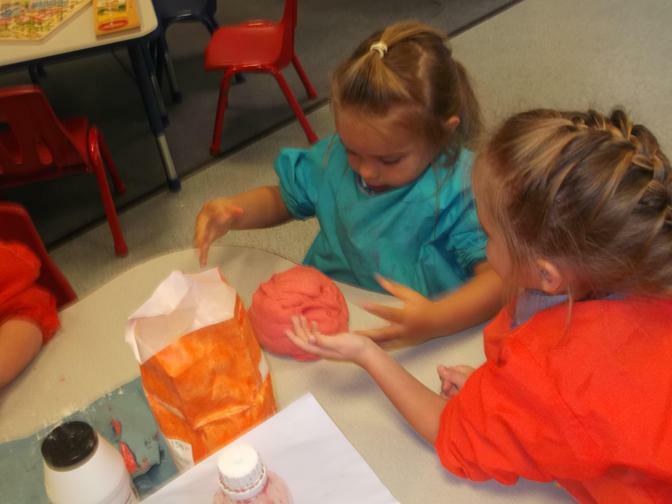 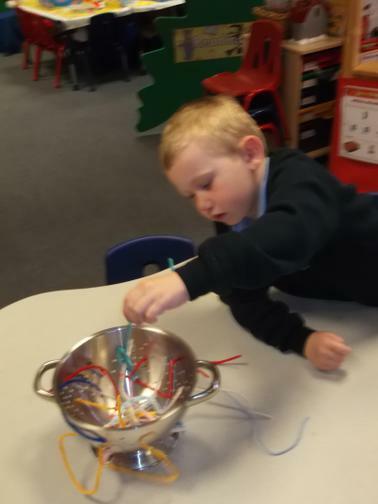 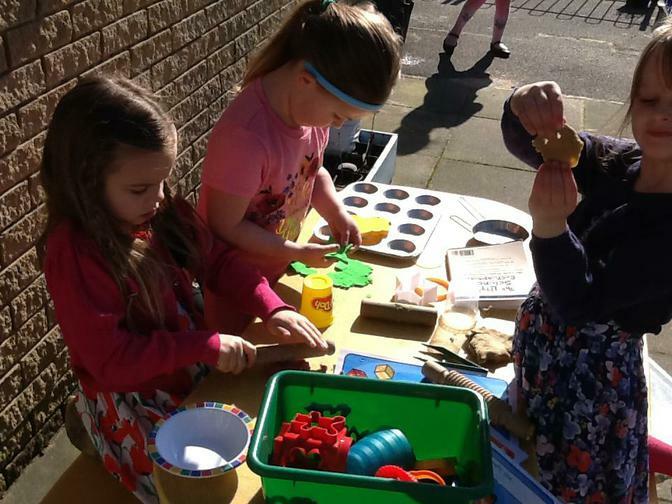 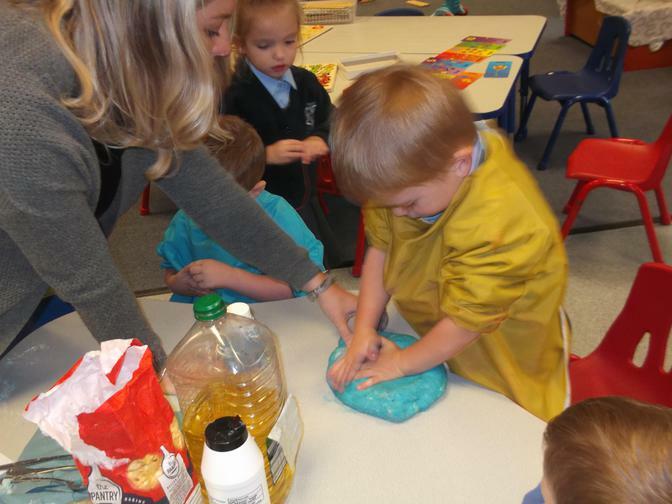 Science Week 27-3-17 The children in Reception made Easter nest cakes. 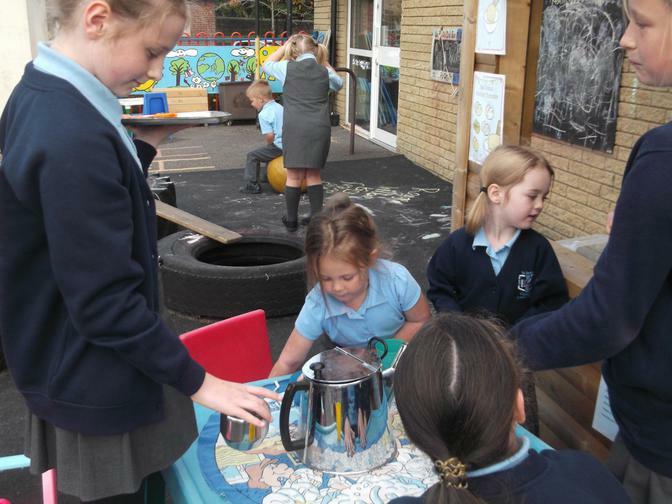 We watched the chocolate melt and spoke about how it did this over a hot pan with water in it. 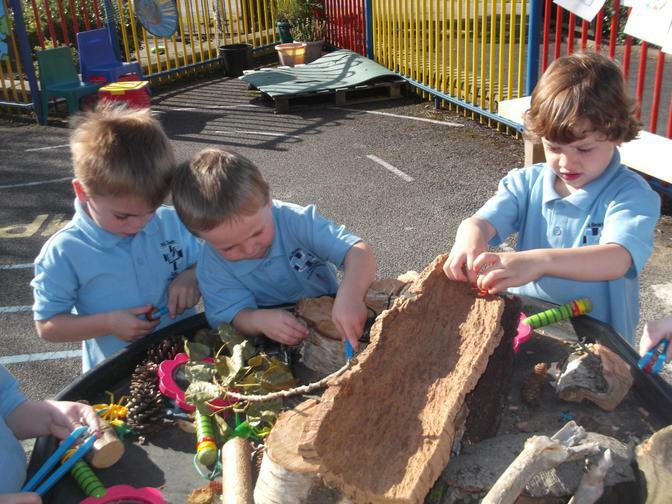 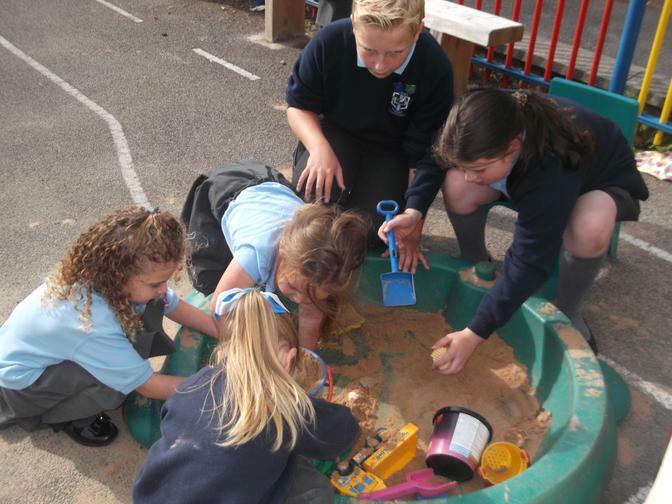 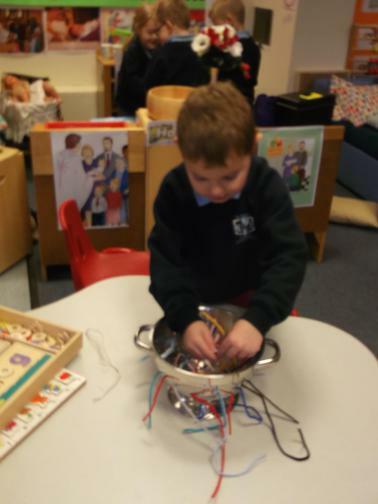 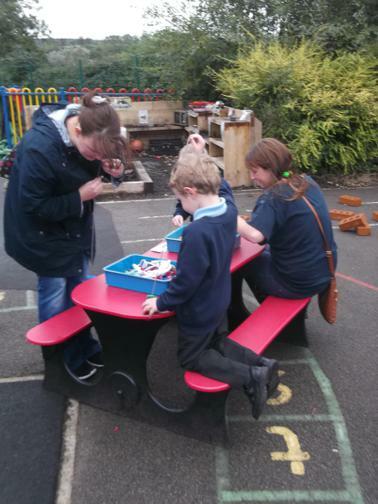 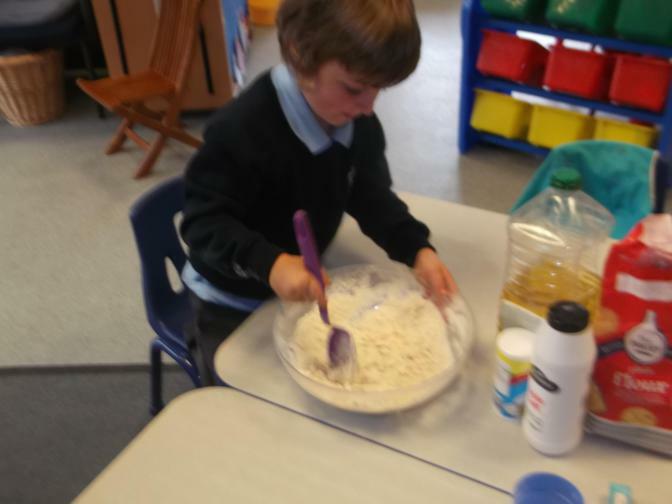 We used lots of chocolate, shredded wheat and mini eggs. 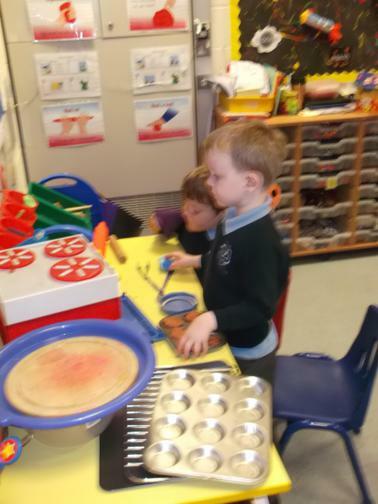 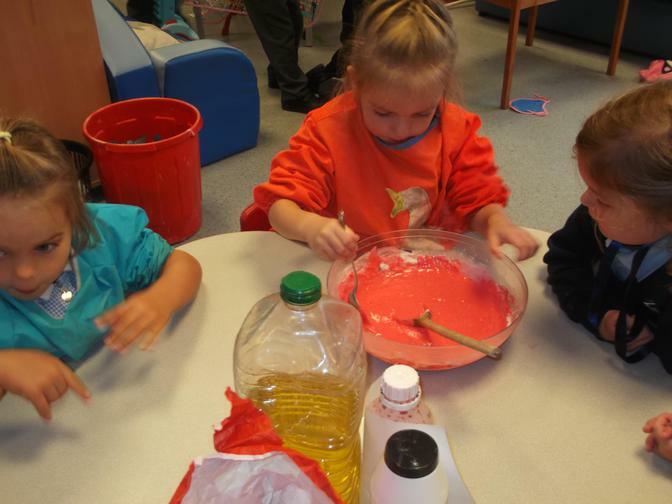 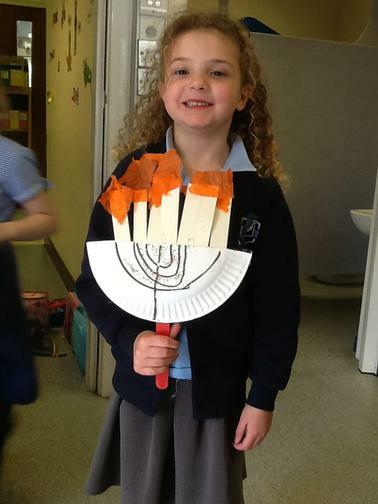 They did a super job at stirring, mixing, pouring, decorating... and eating! 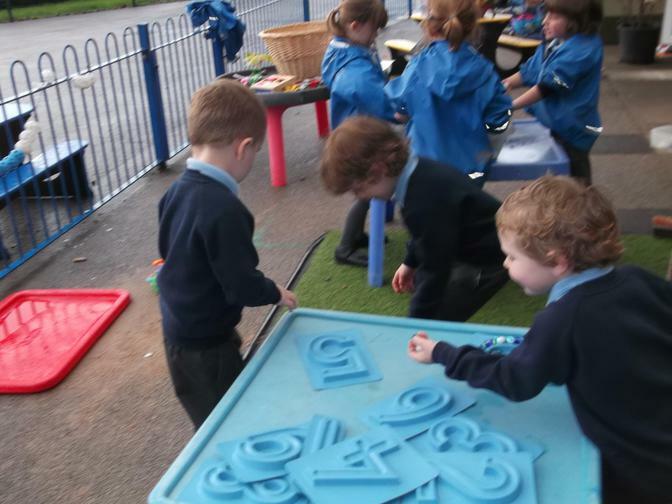 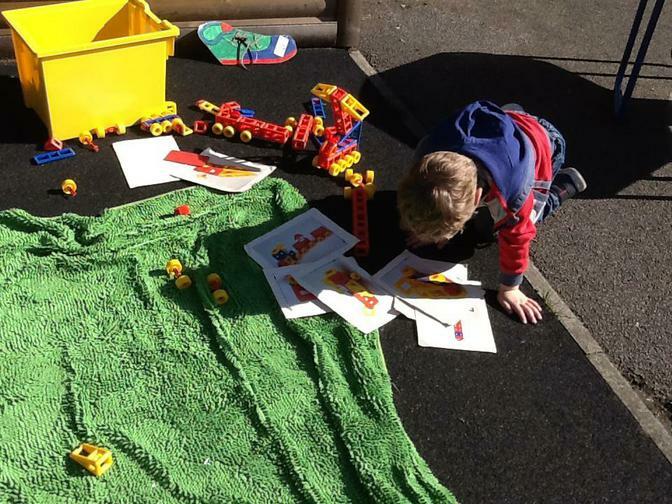 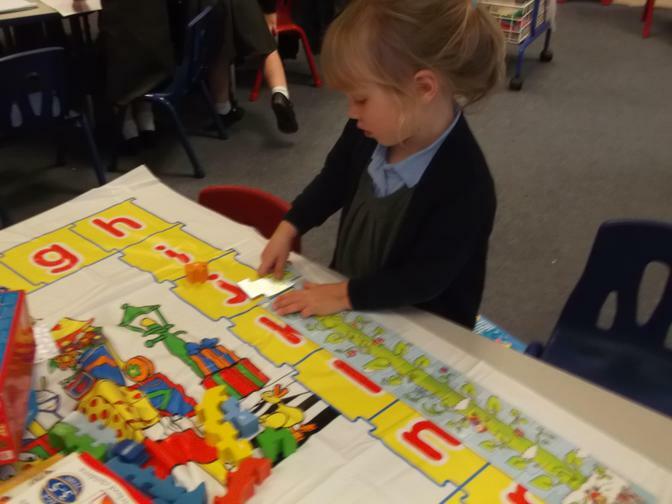 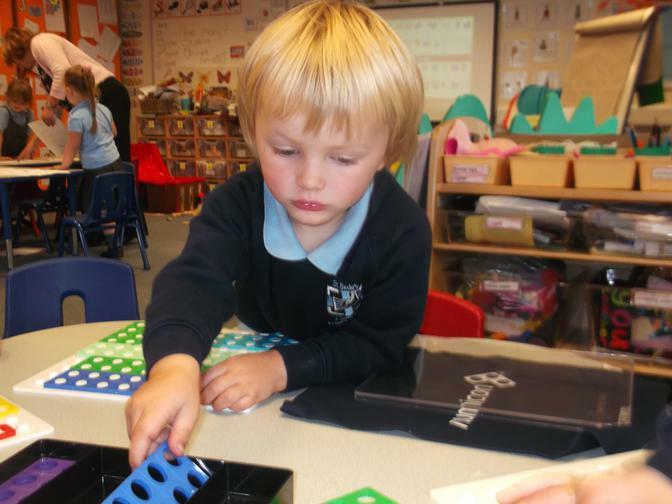 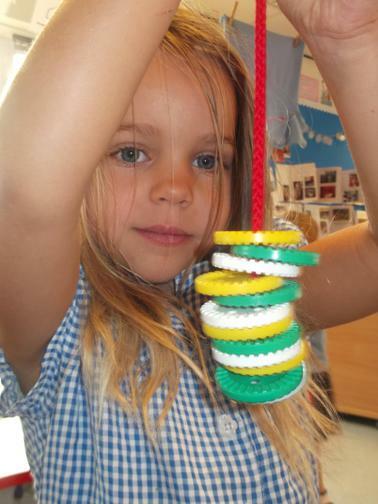 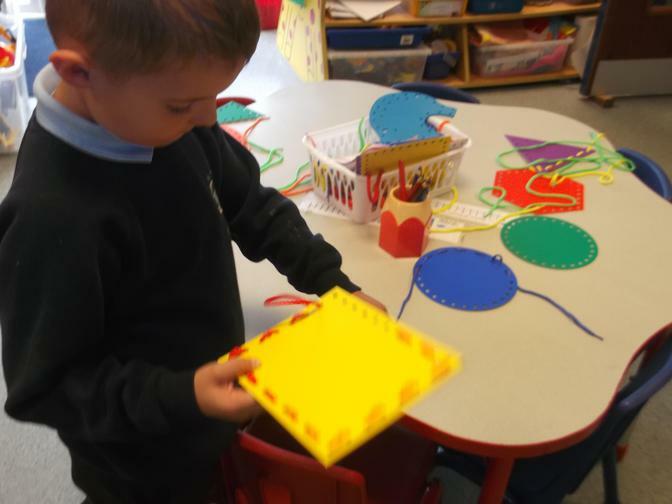 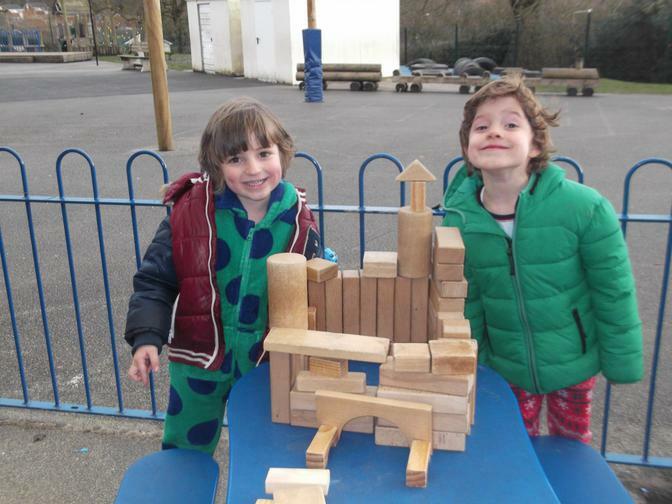 This week we have been looking at 3D shapes and learning their names. 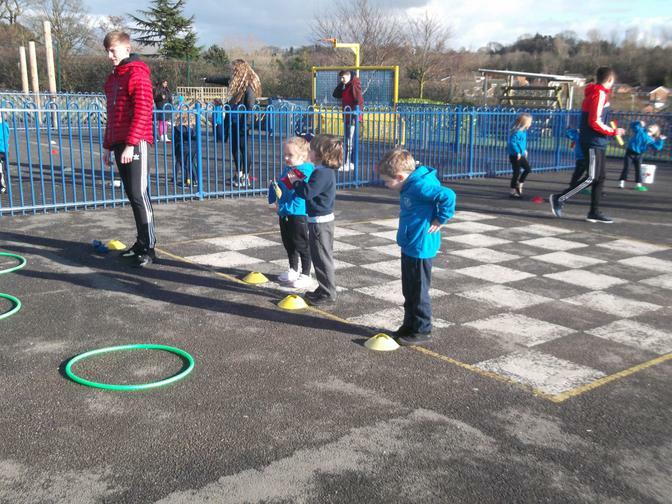 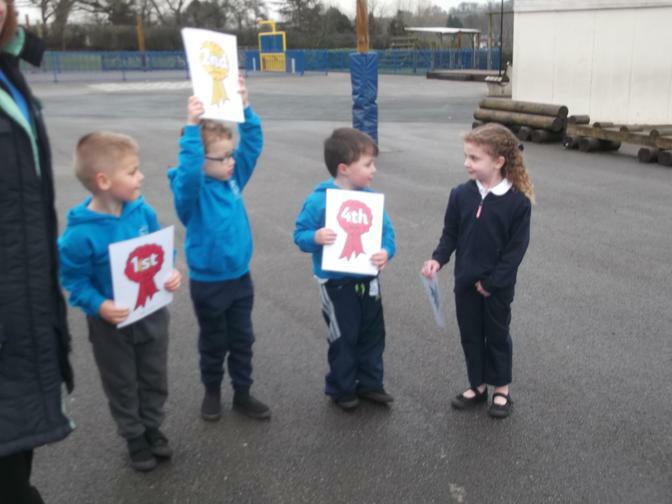 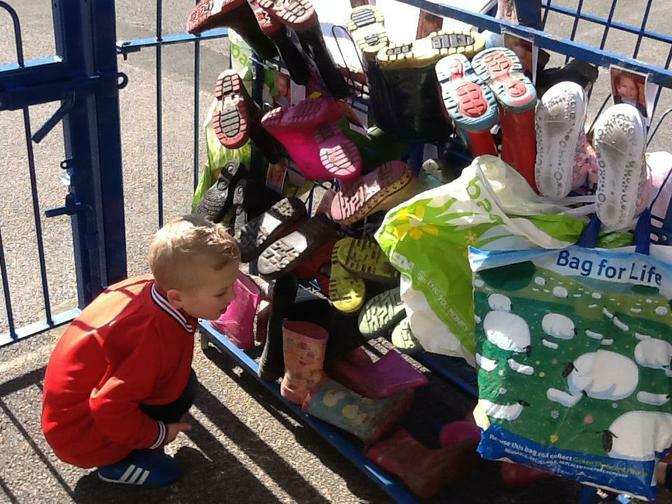 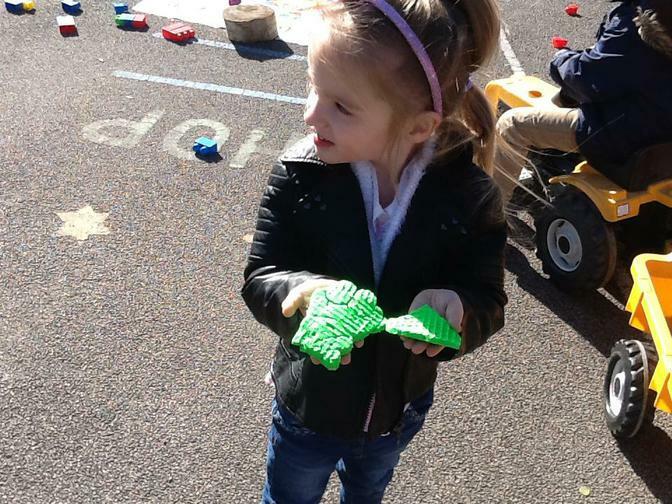 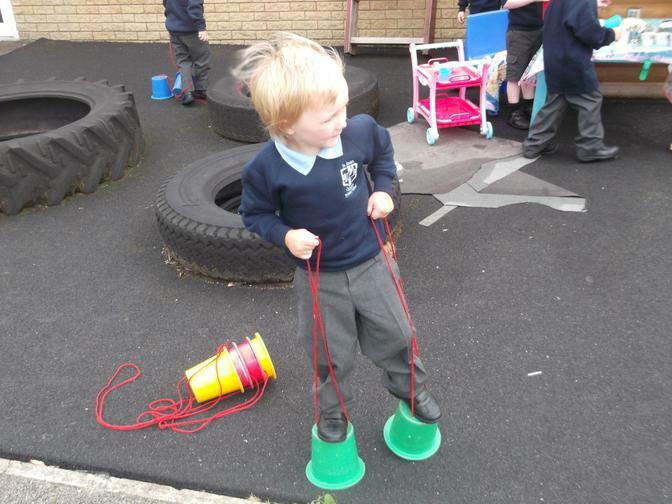 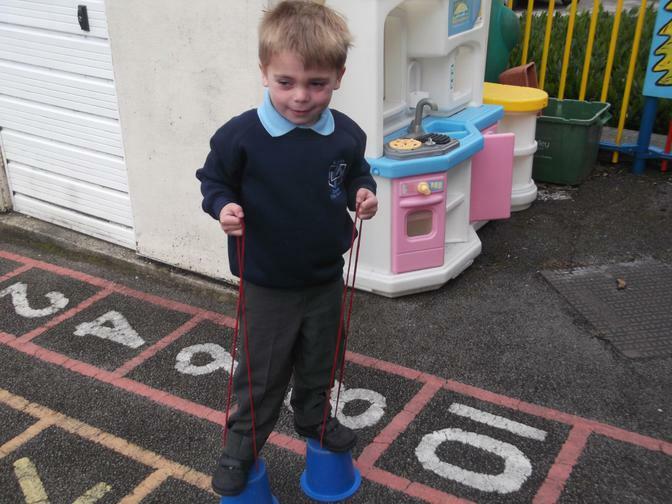 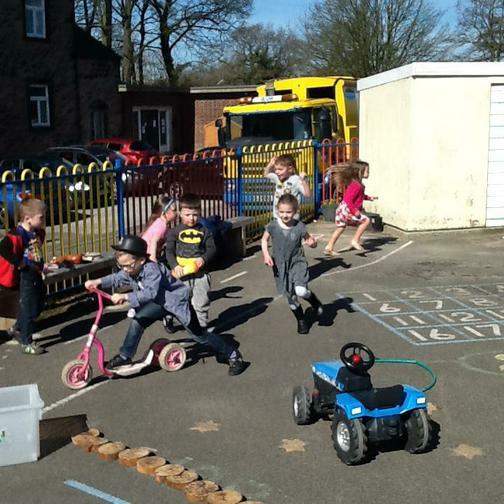 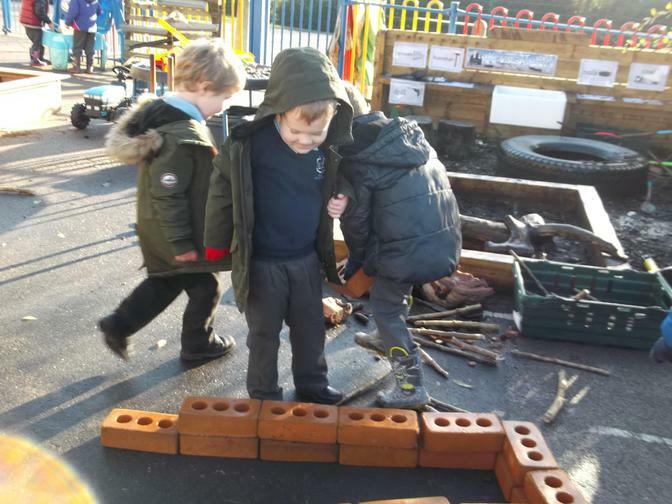 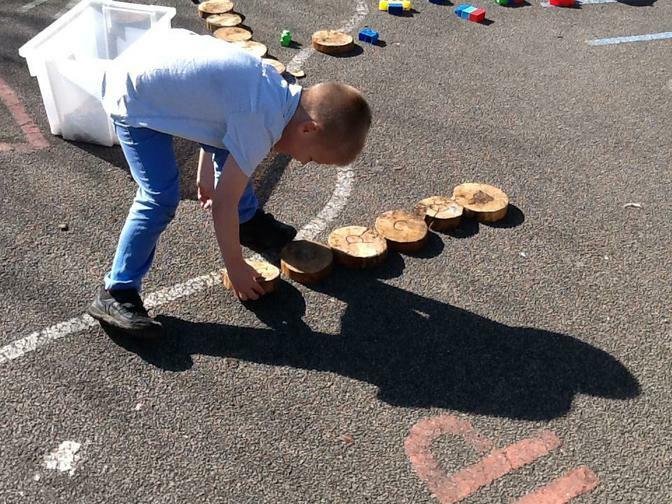 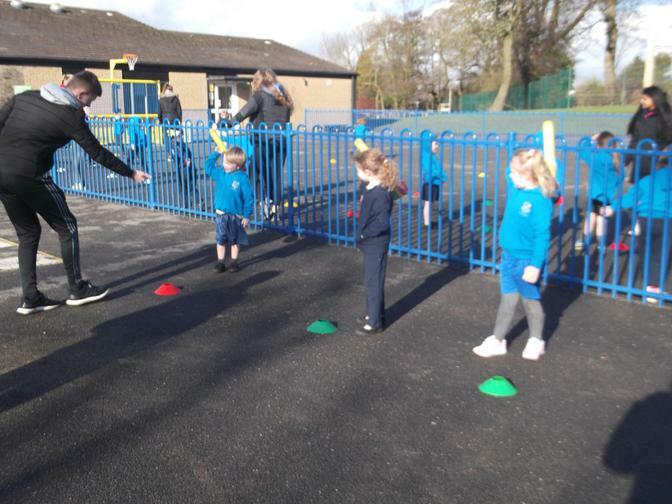 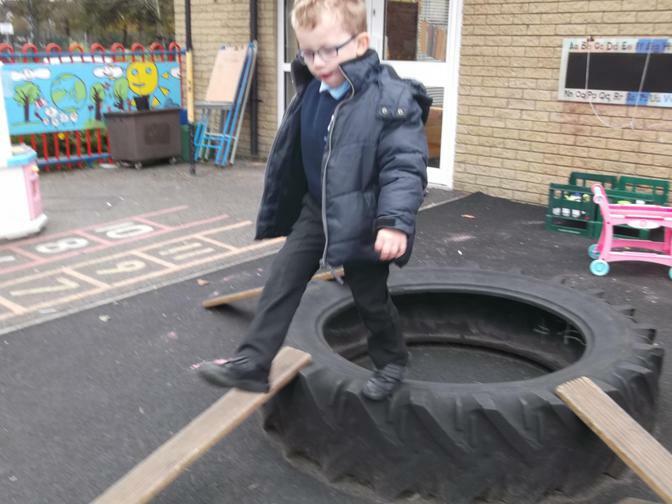 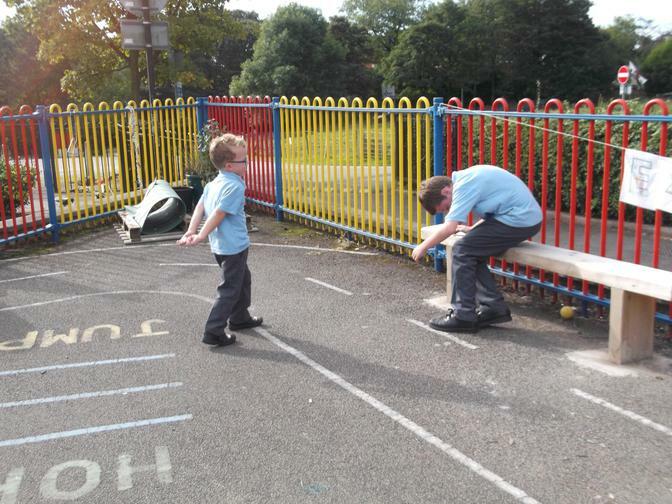 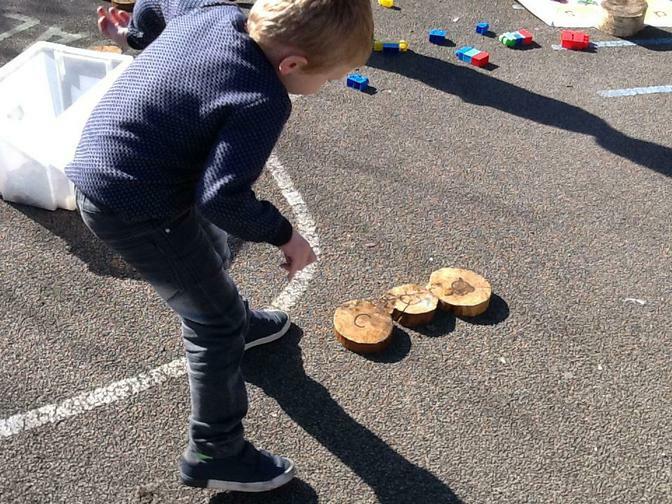 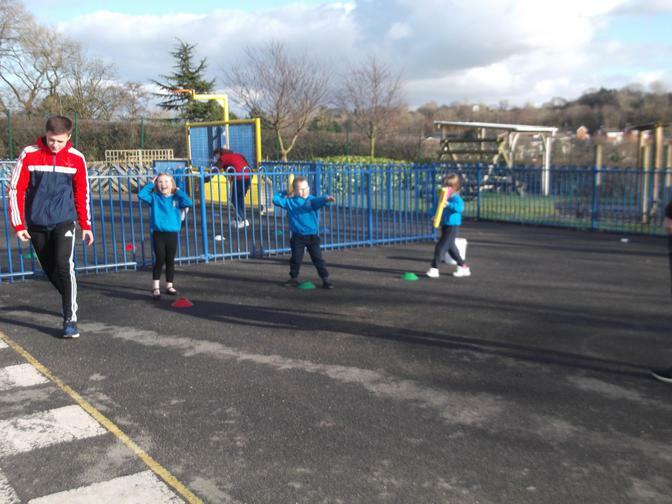 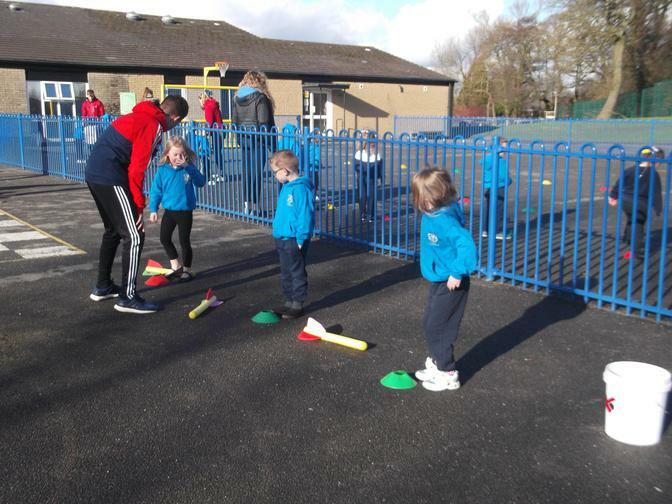 We even went on a walk around school to find lots of 3D shapes to help us recognise them in different places other than just our classroom. 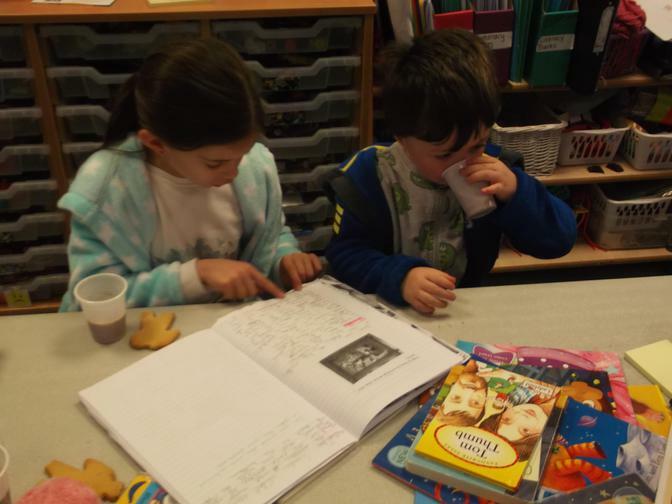 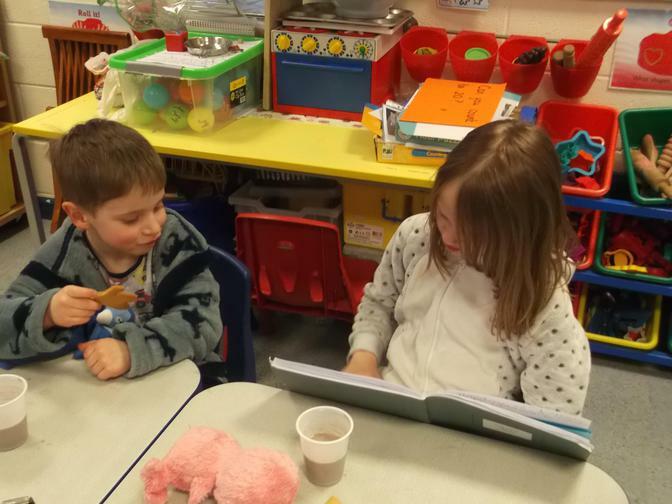 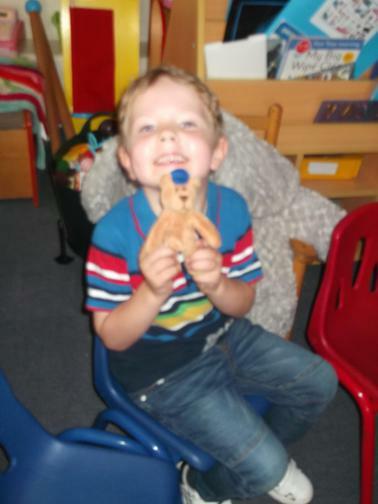 After reading "The Gingerbread Man" we decided to make our very own delicious gingerbread men! 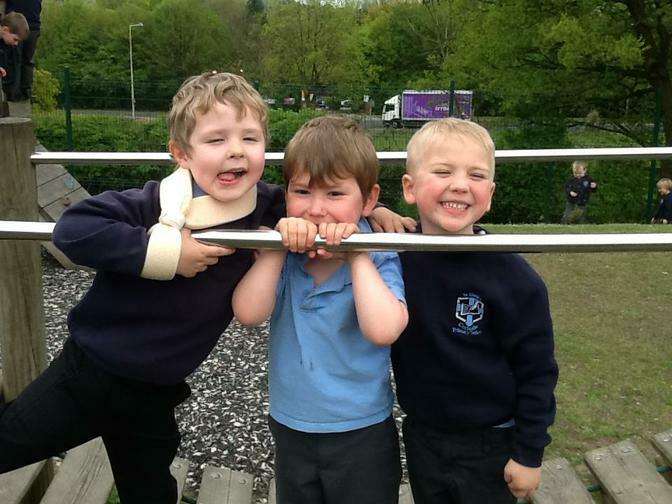 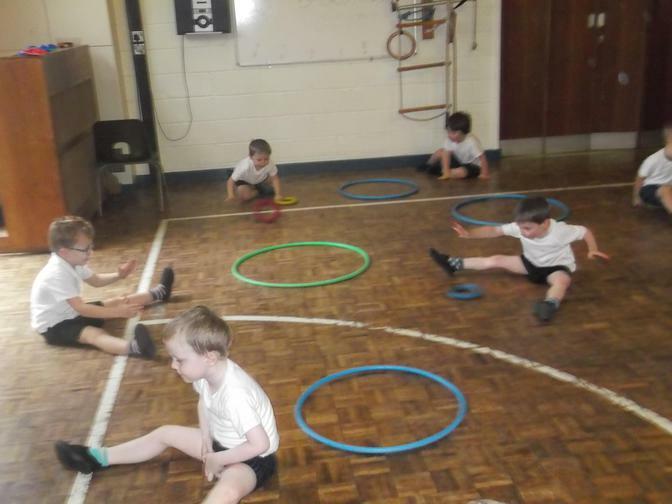 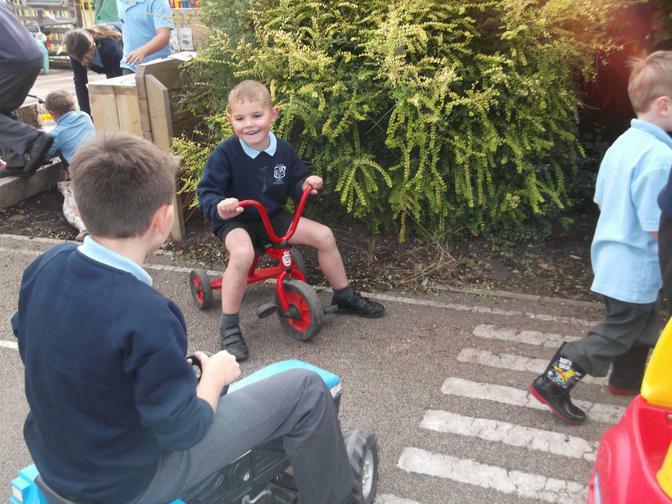 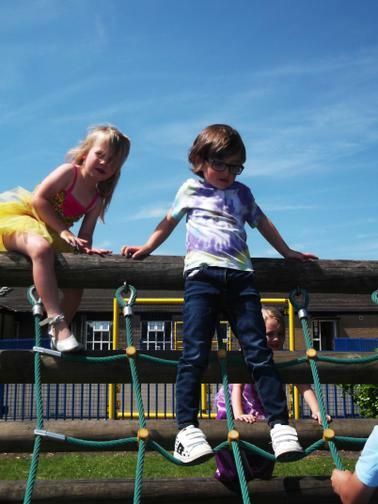 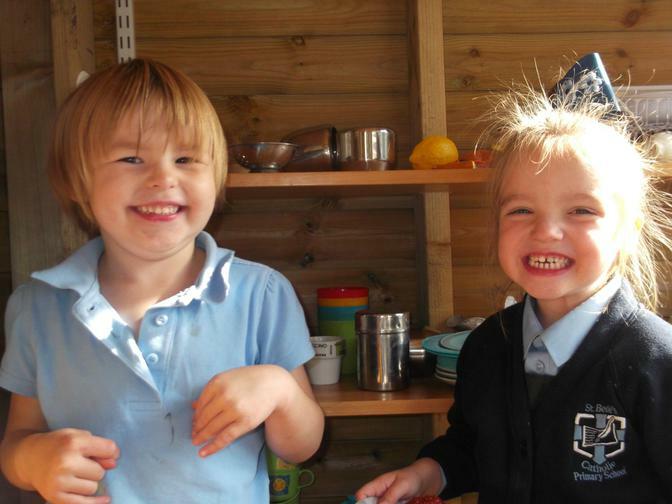 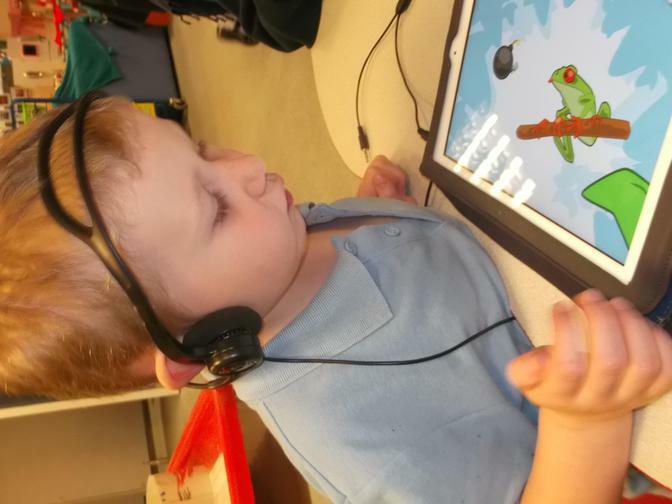 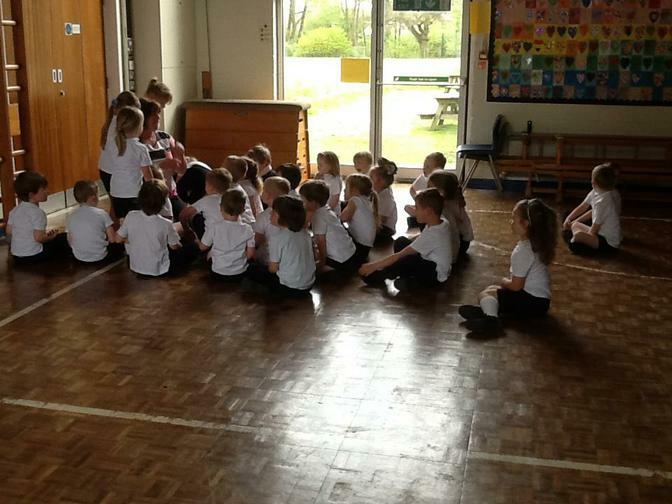 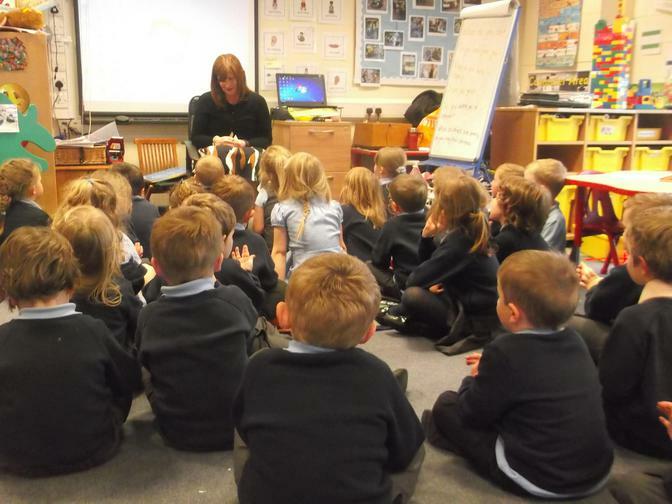 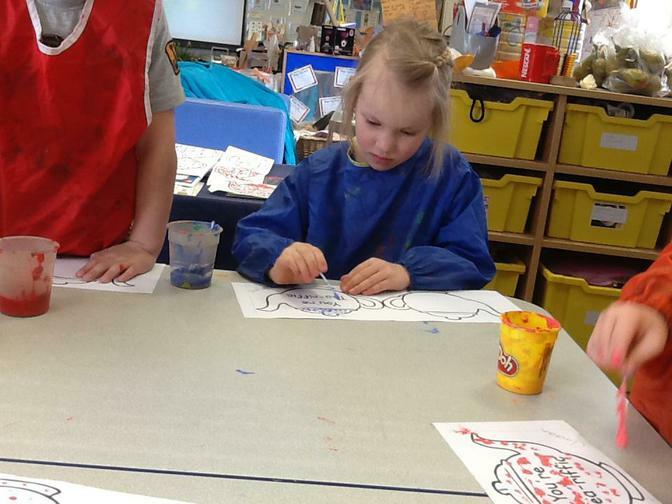 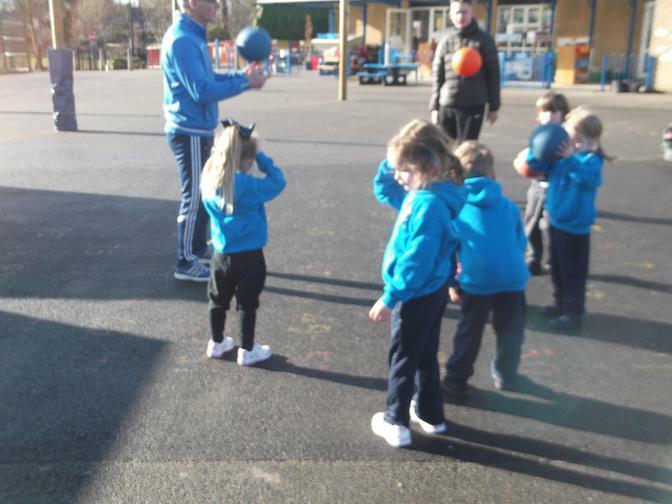 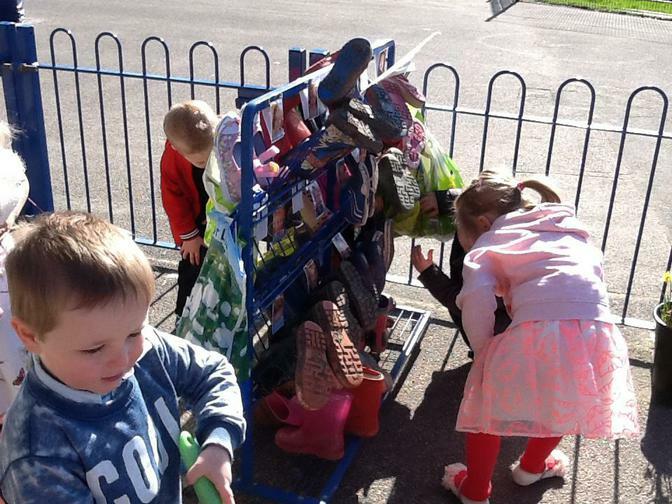 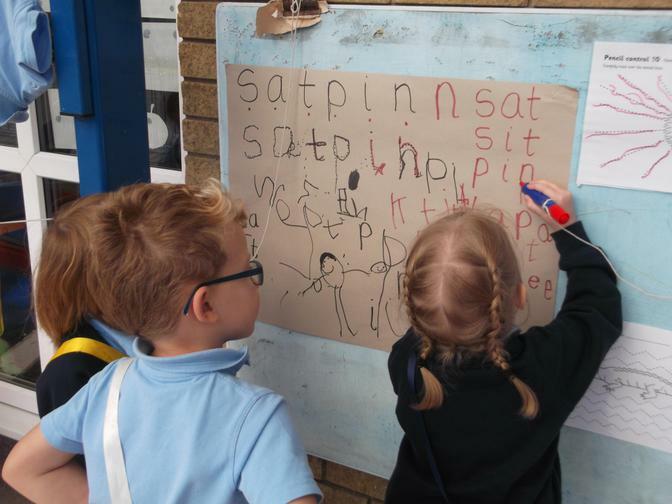 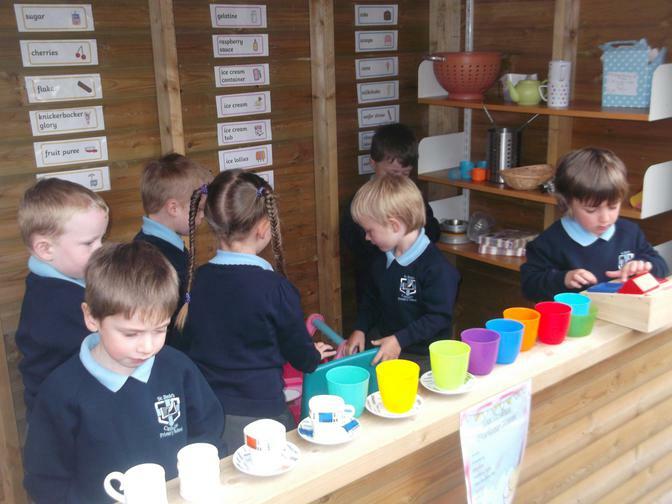 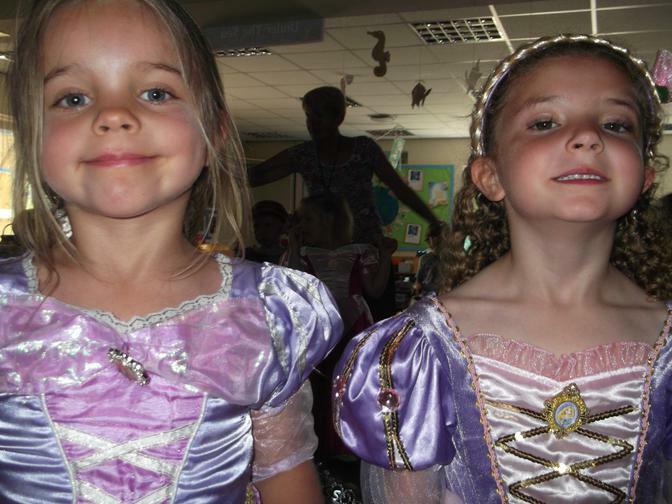 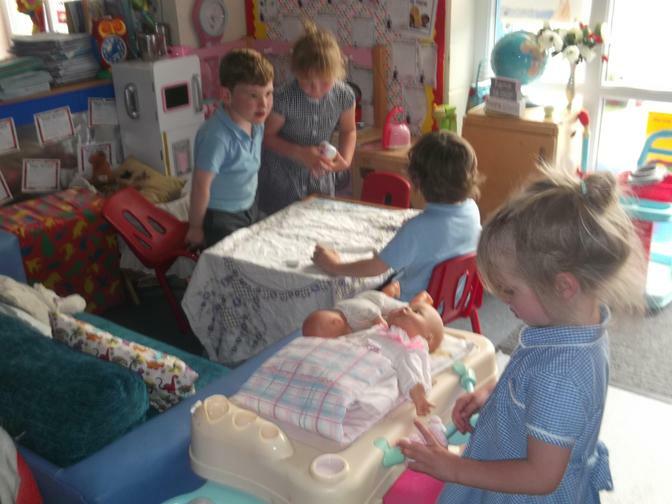 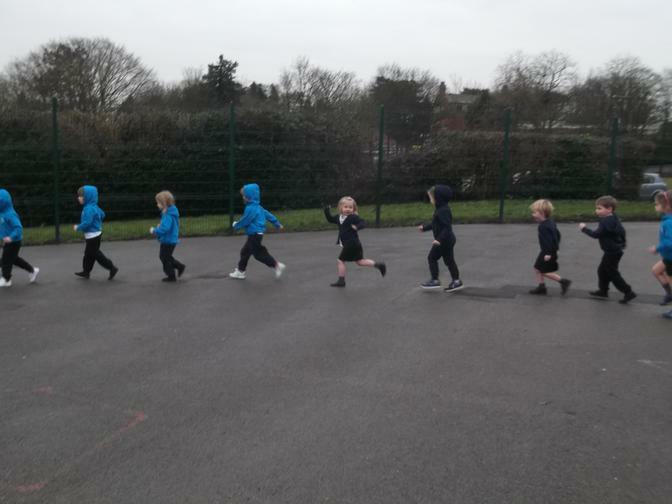 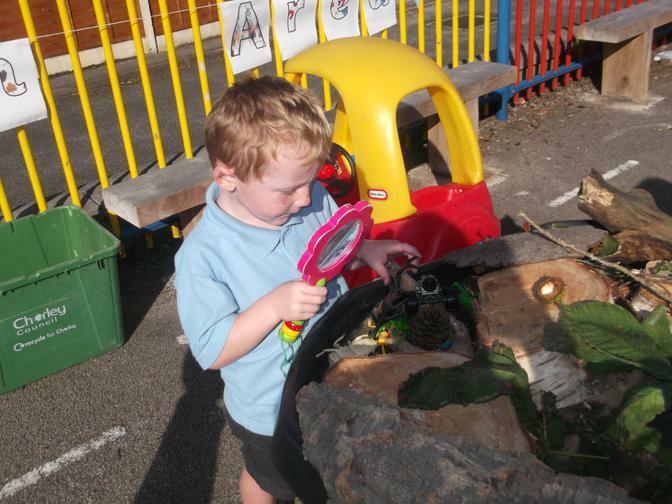 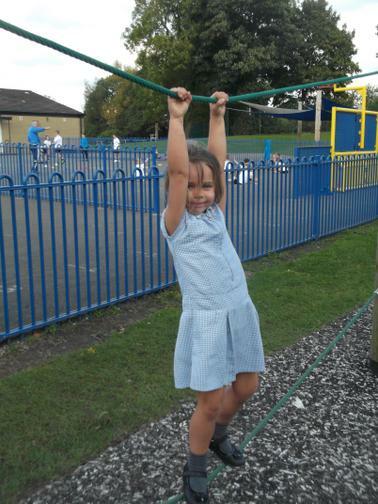 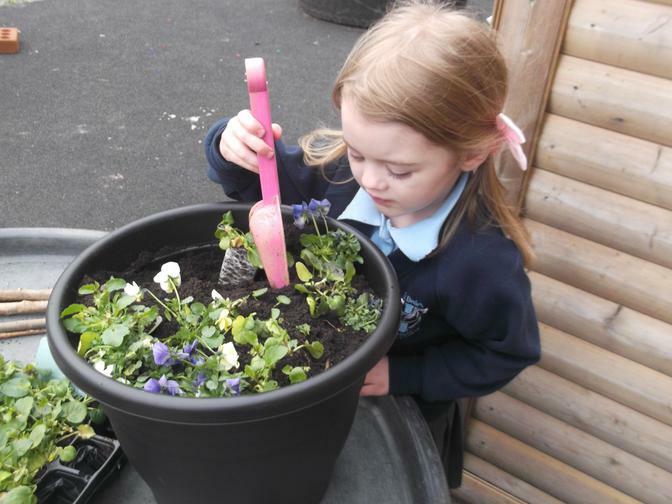 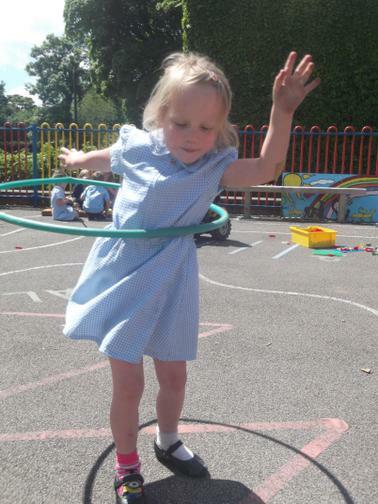 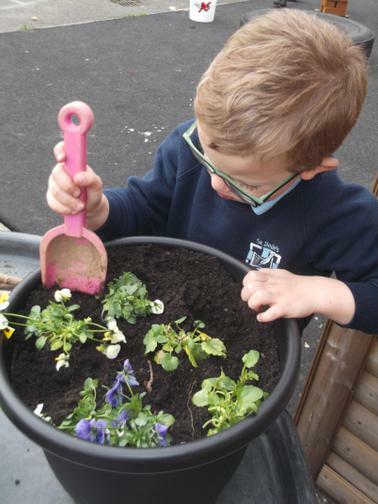 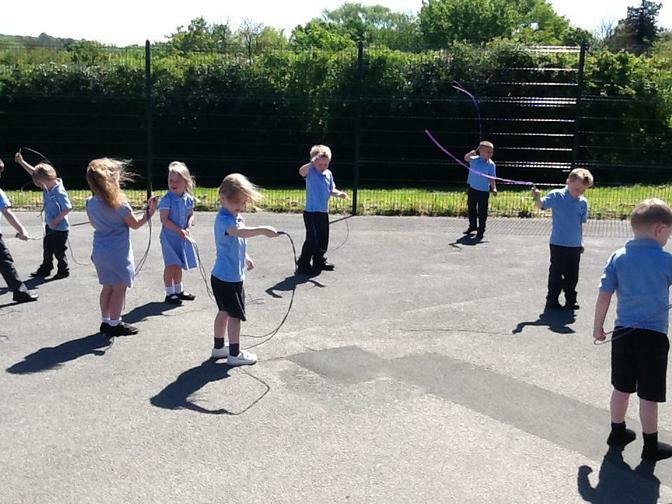 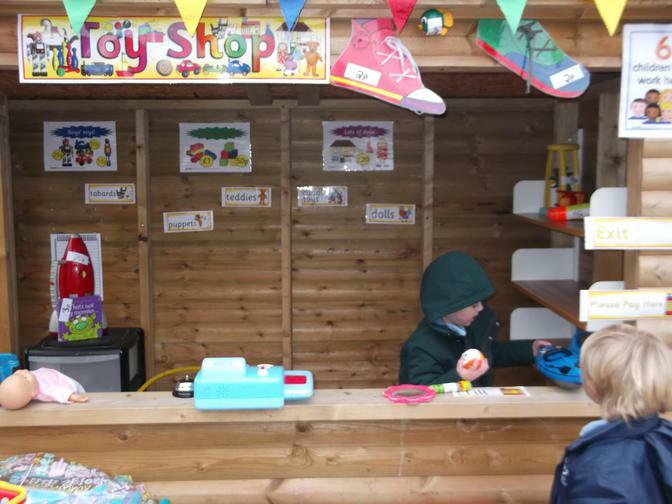 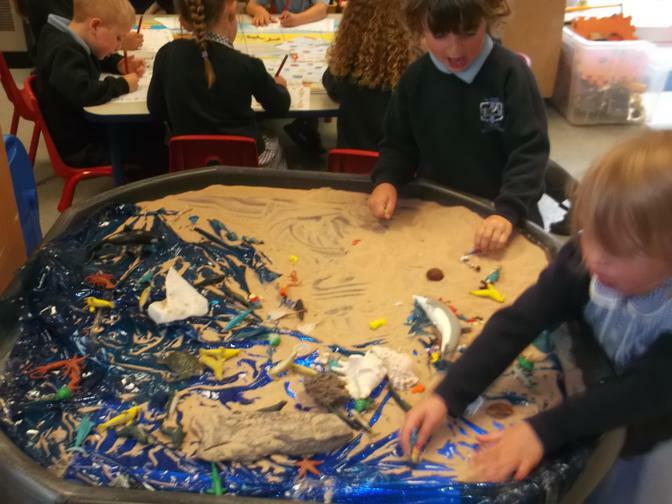 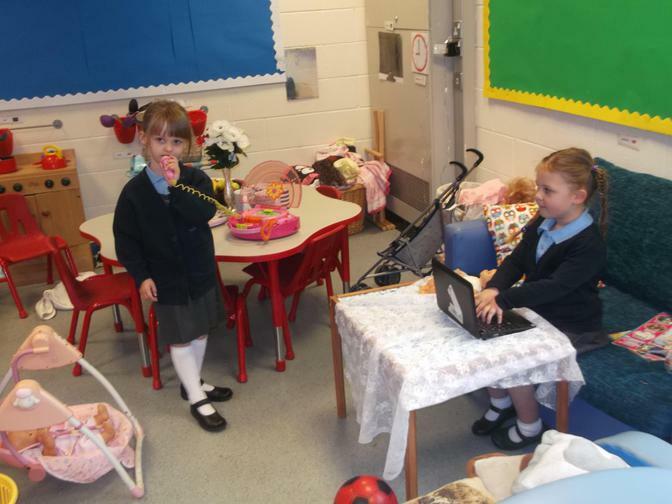 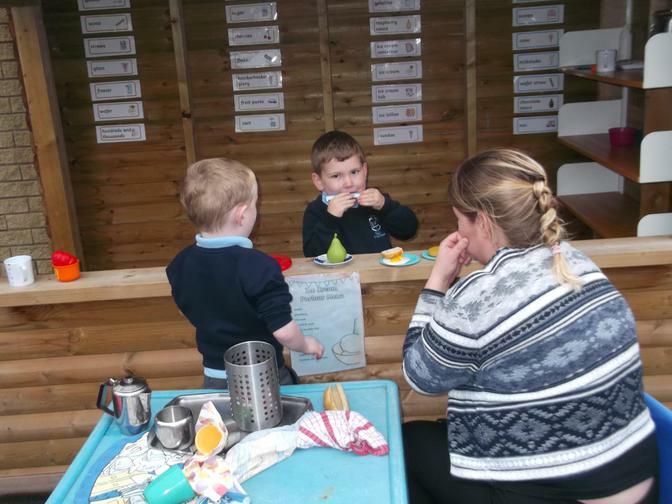 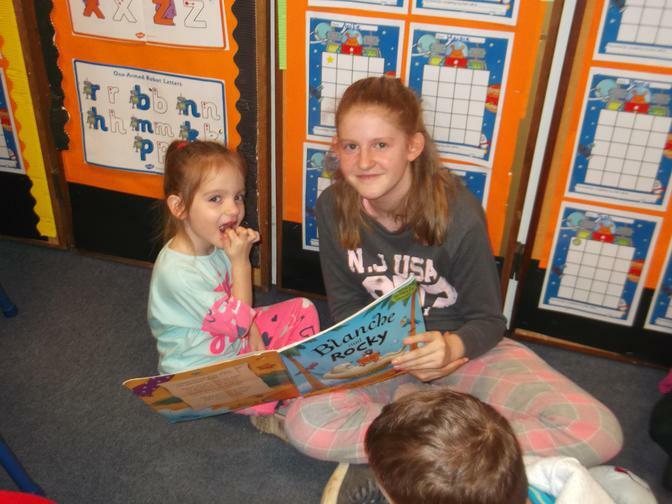 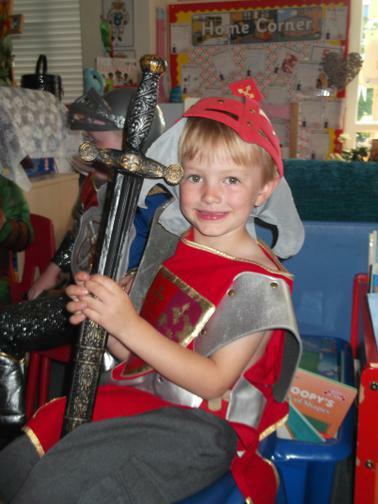 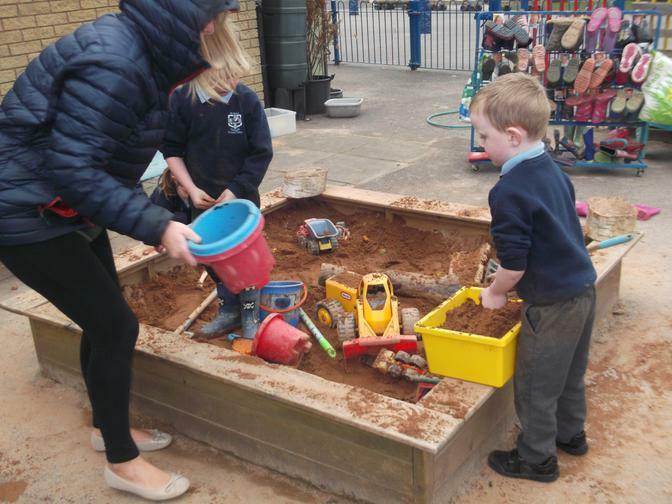 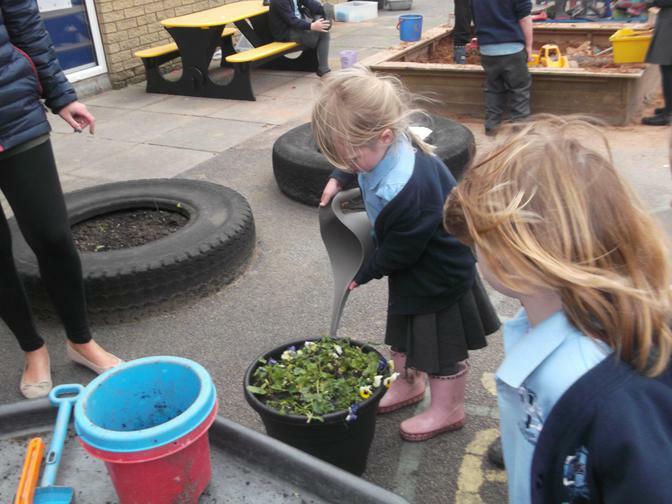 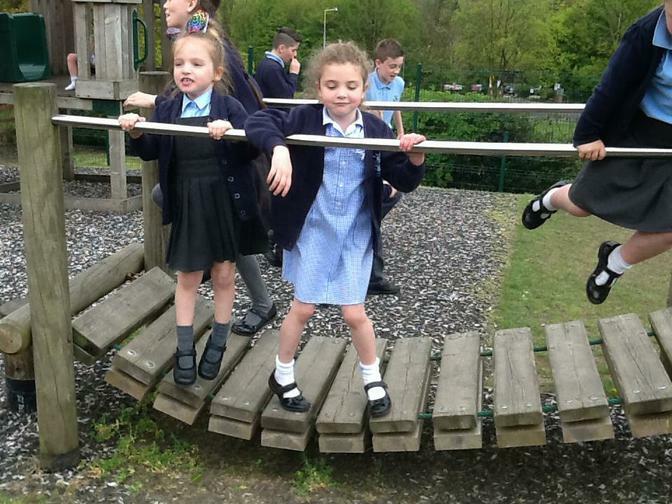 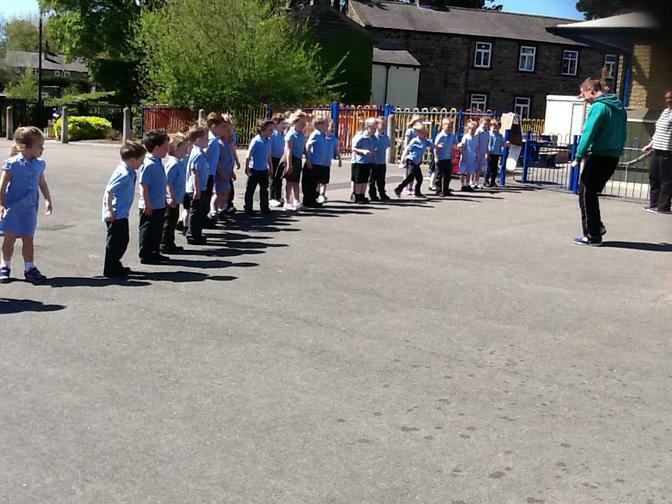 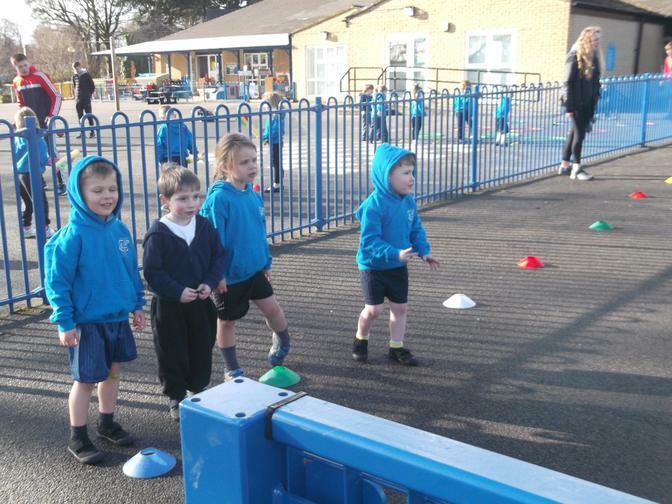 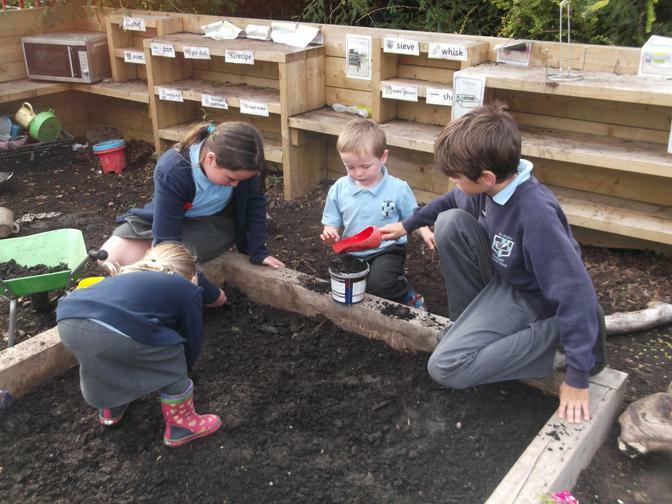 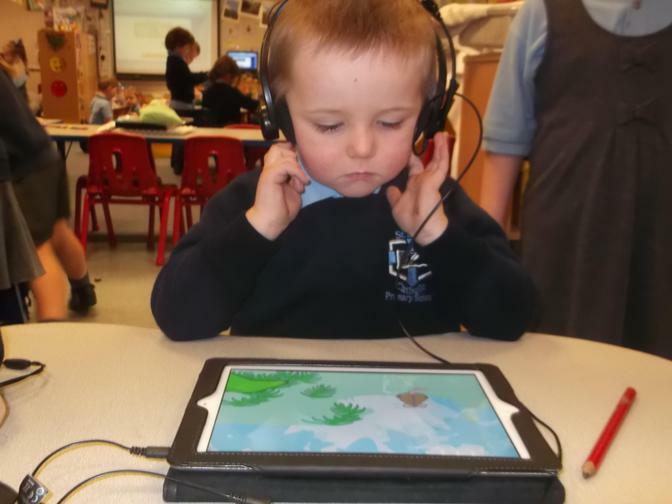 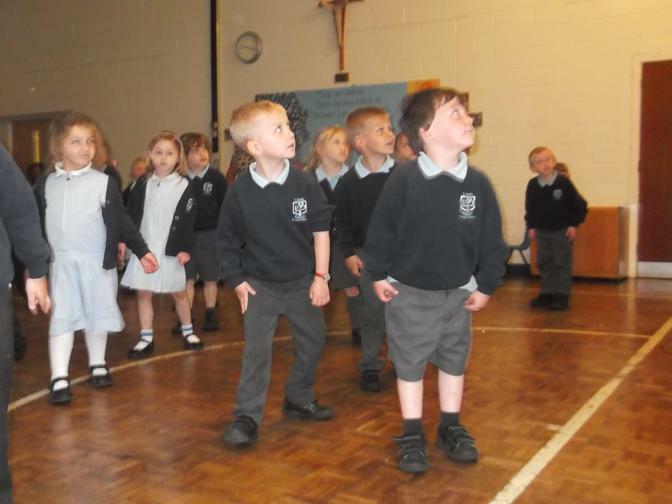 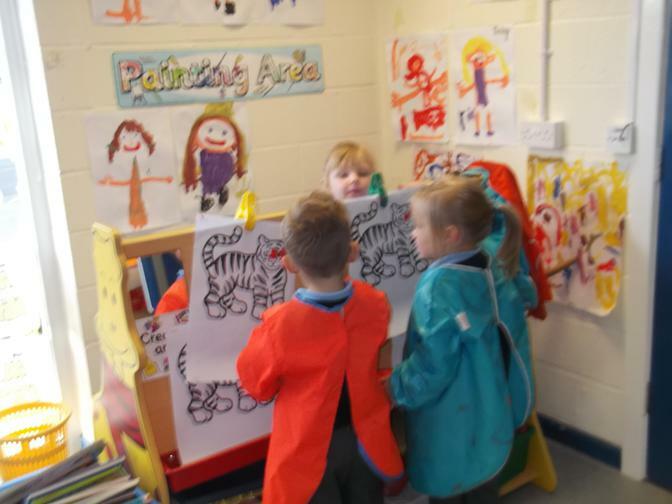 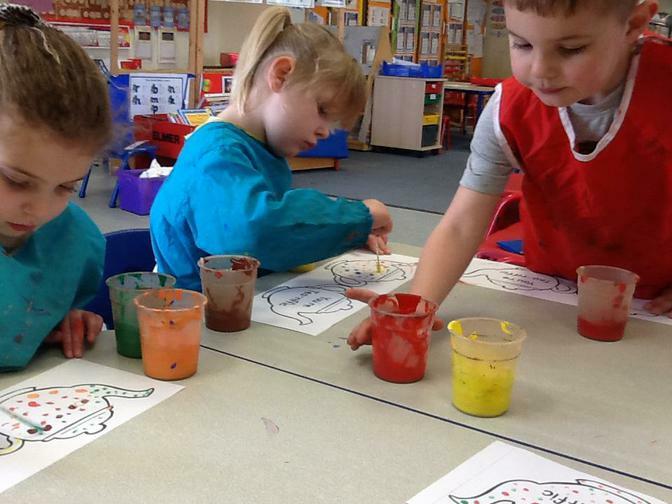 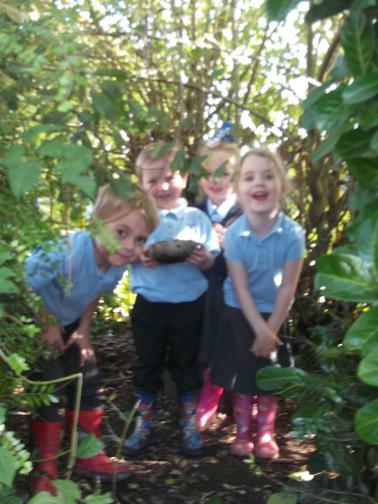 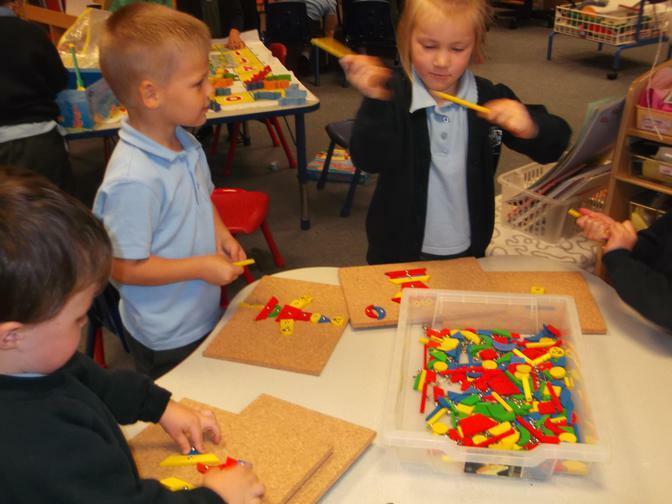 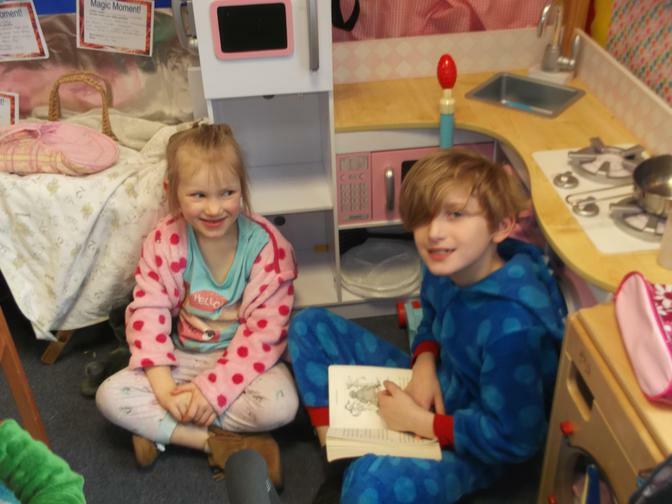 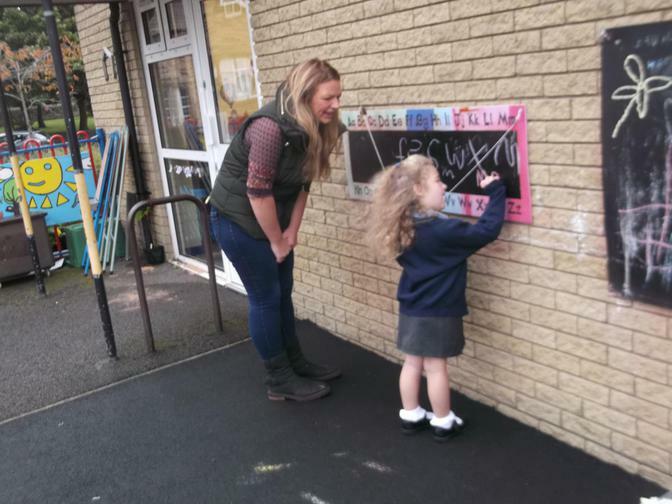 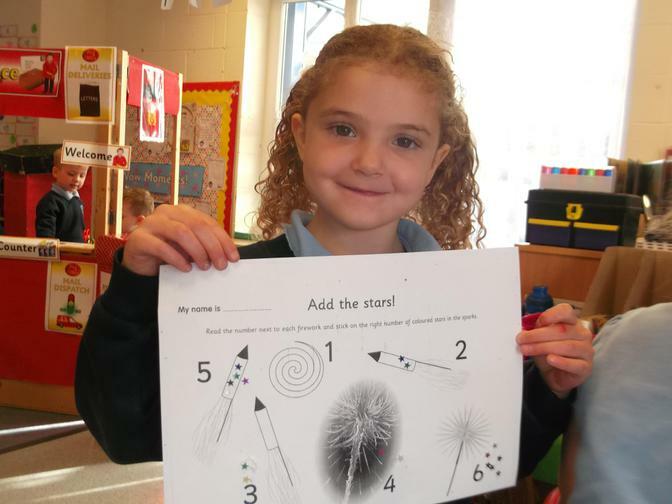 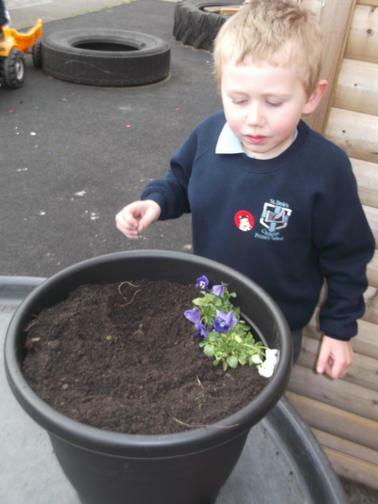 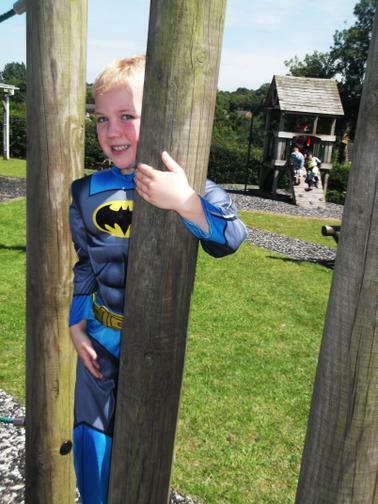 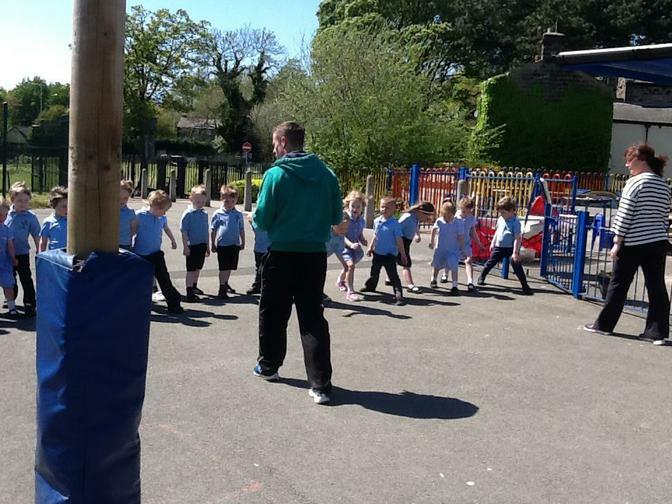 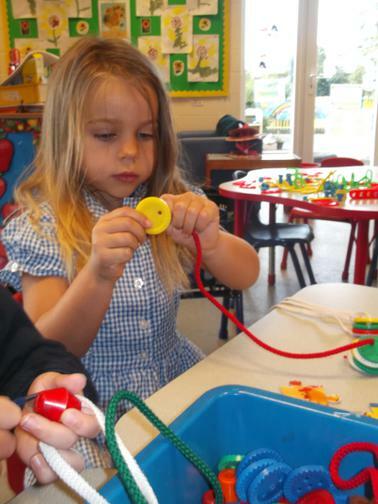 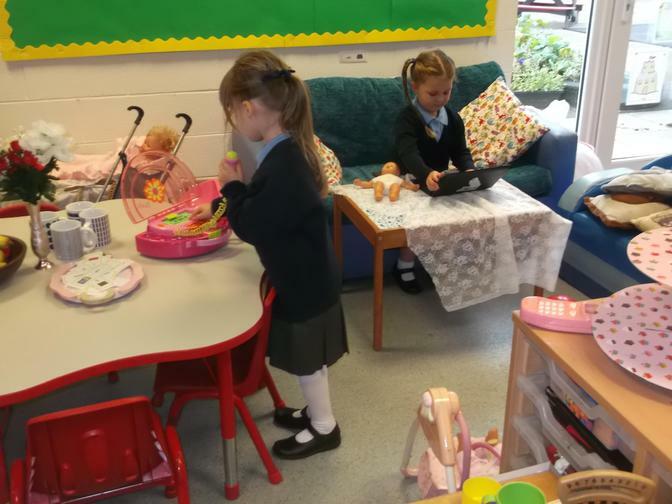 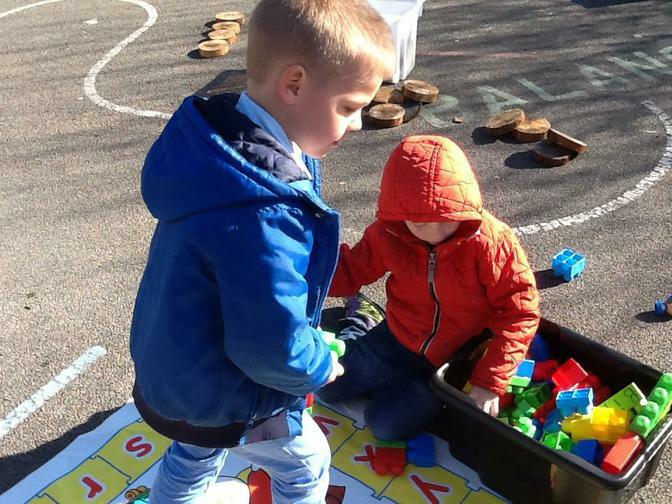 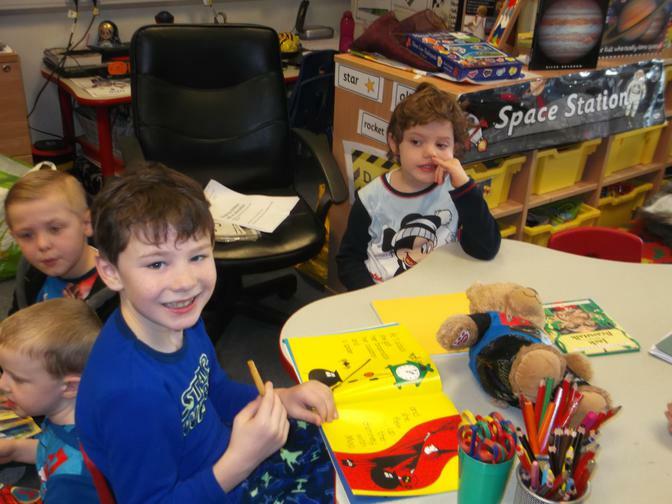 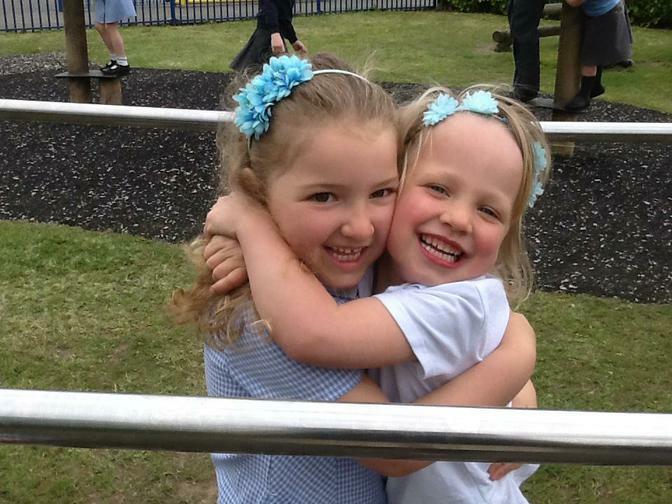 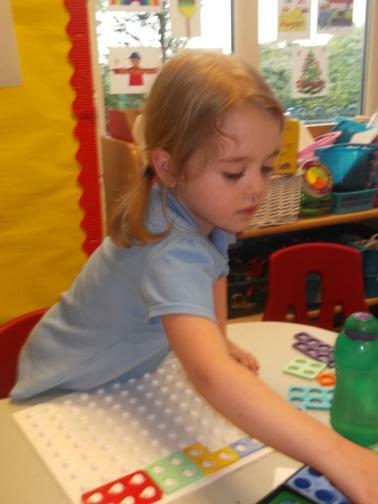 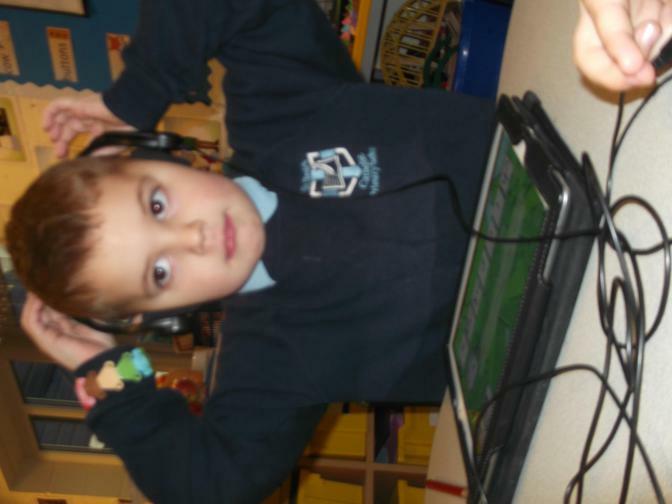 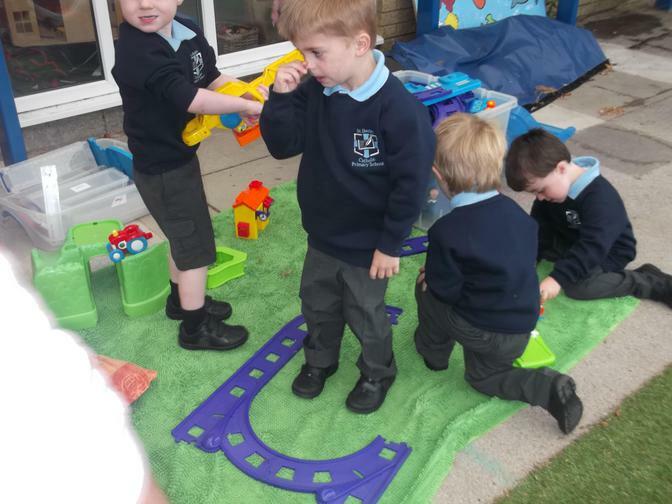 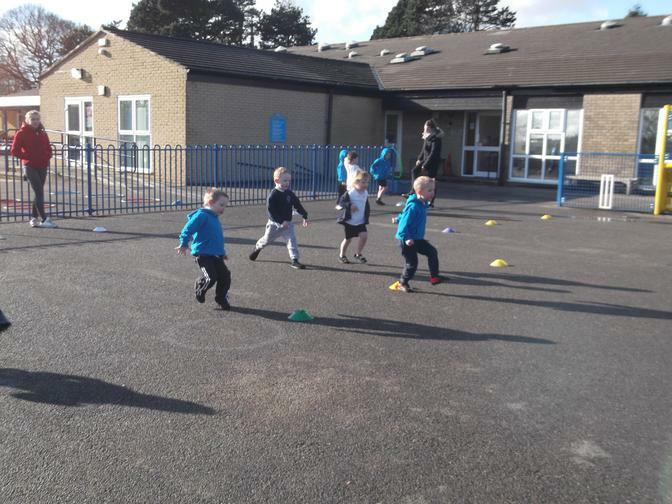 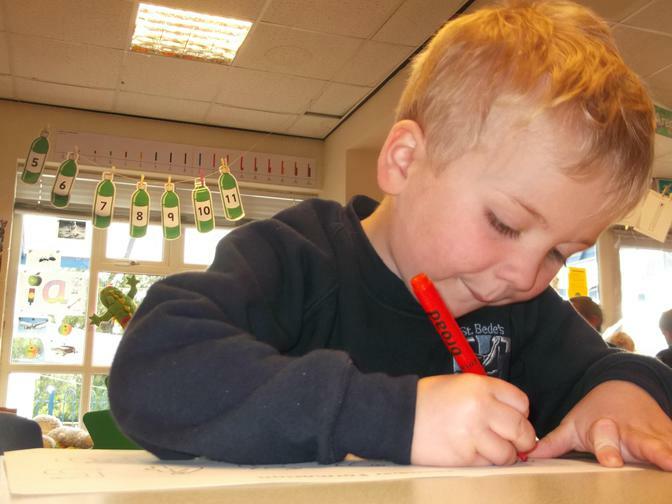 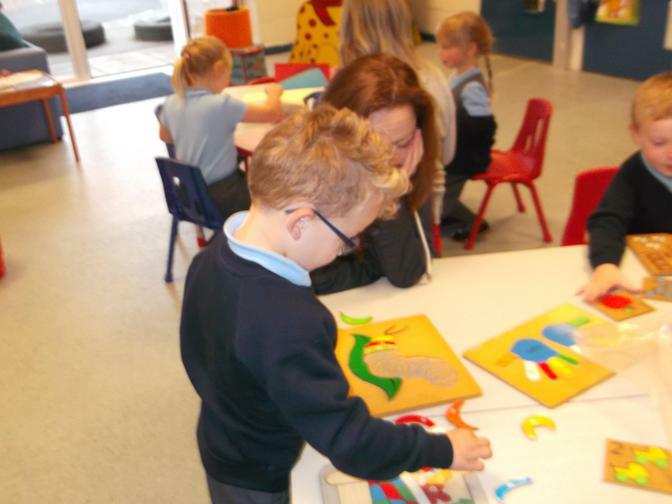 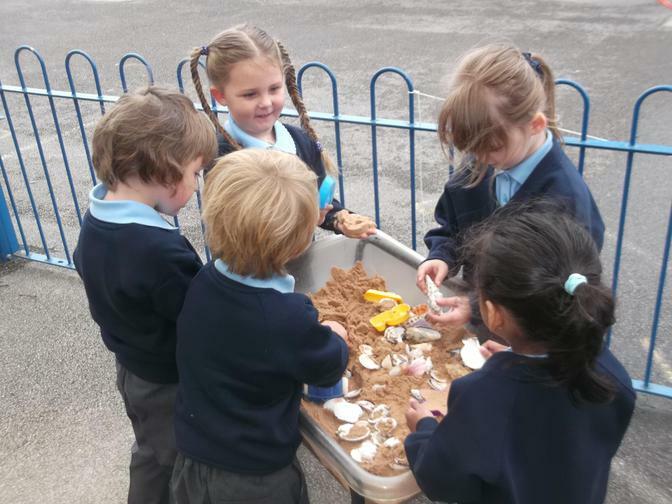 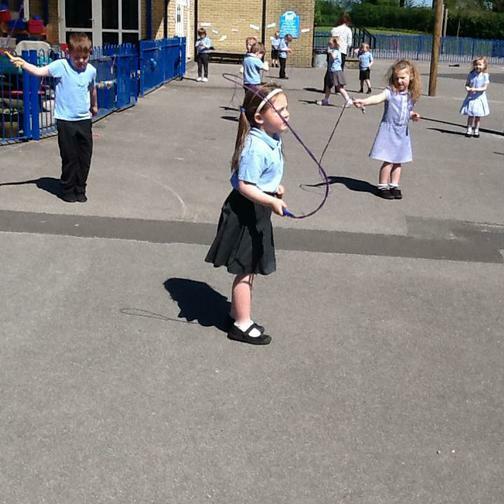 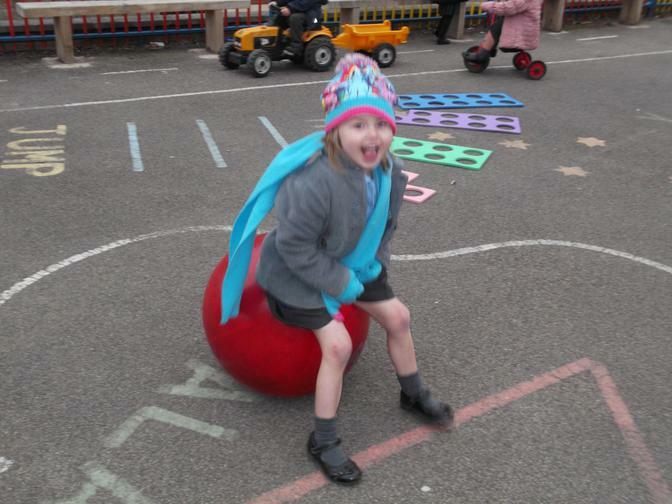 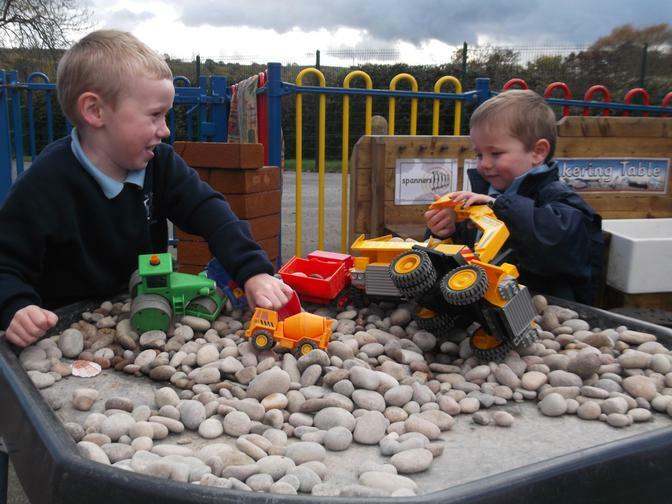 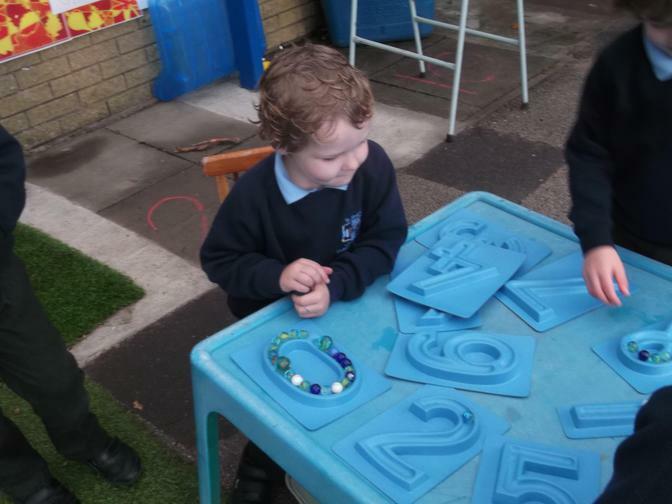 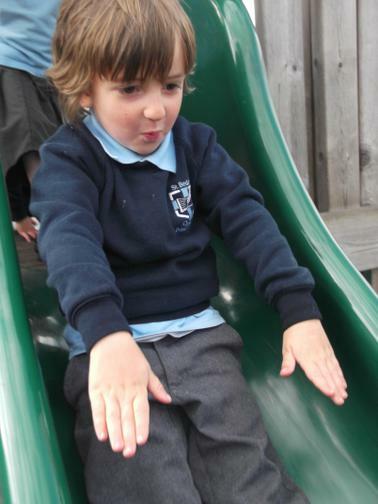 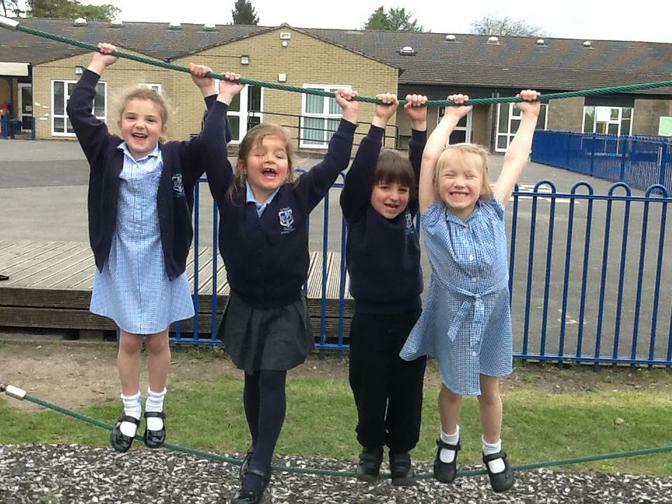 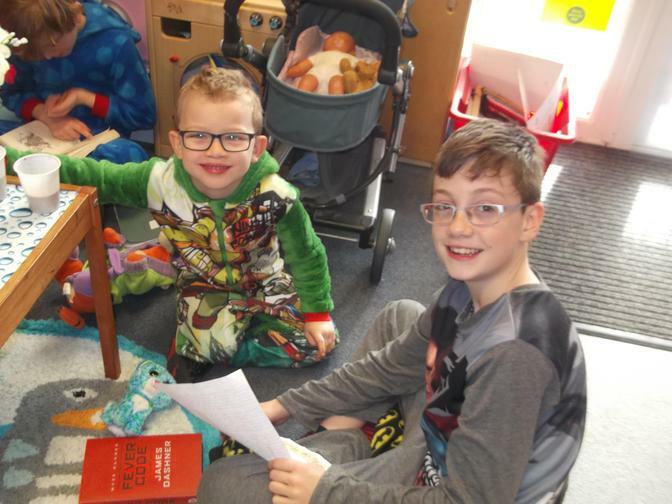 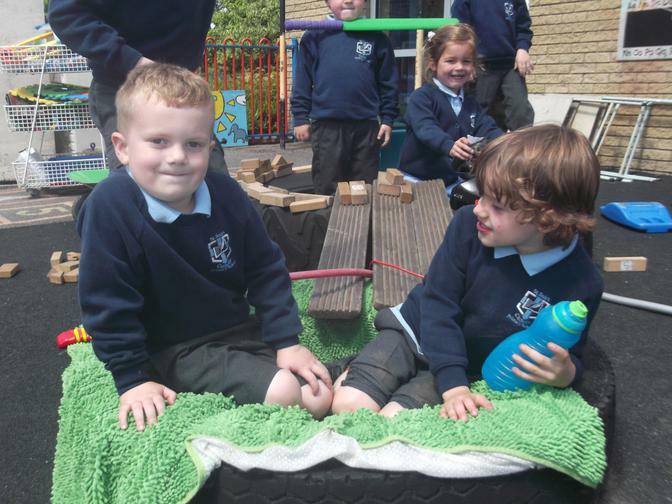 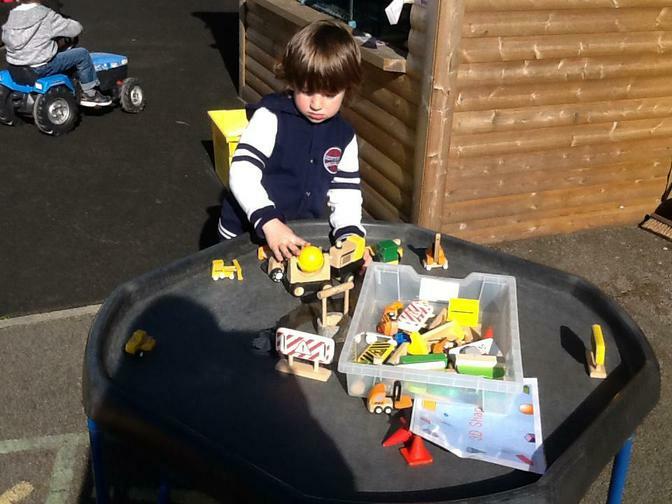 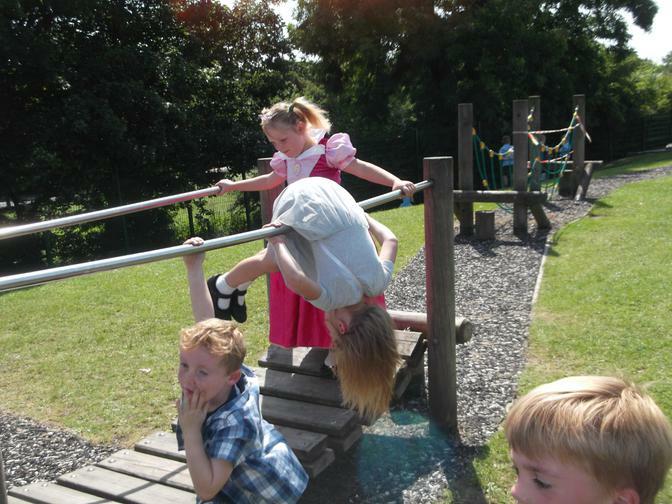 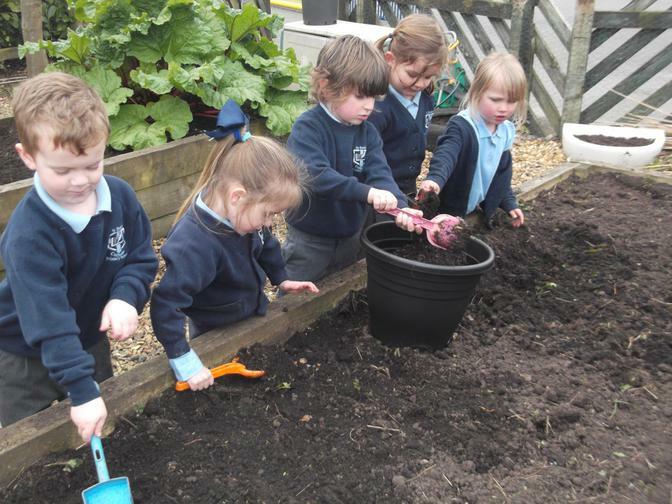 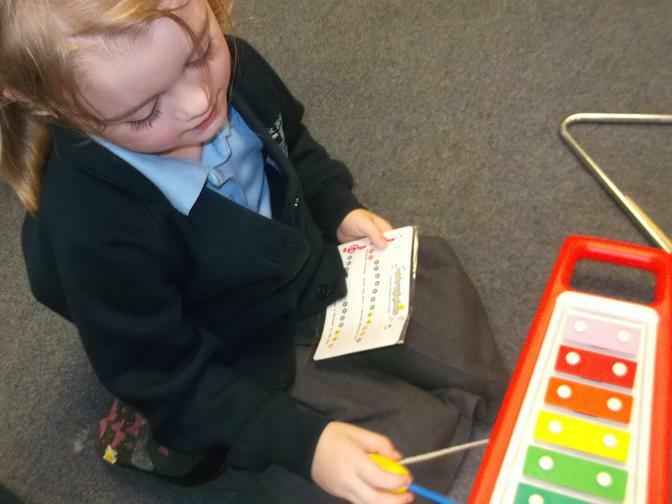 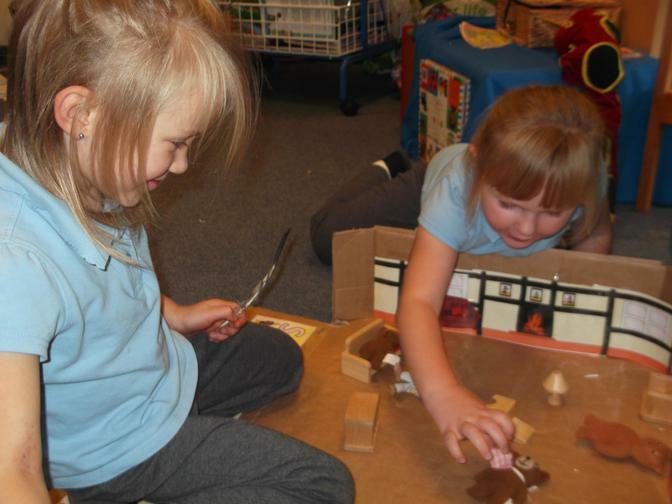 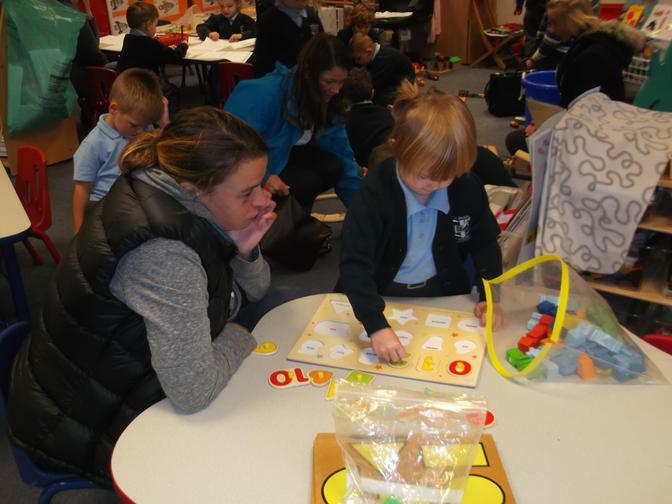 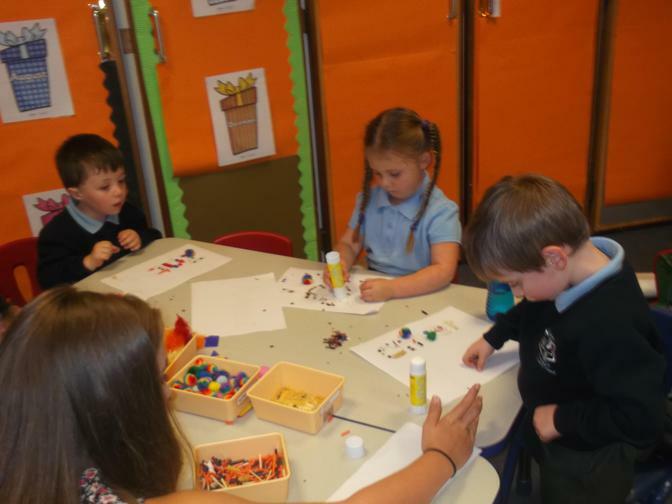 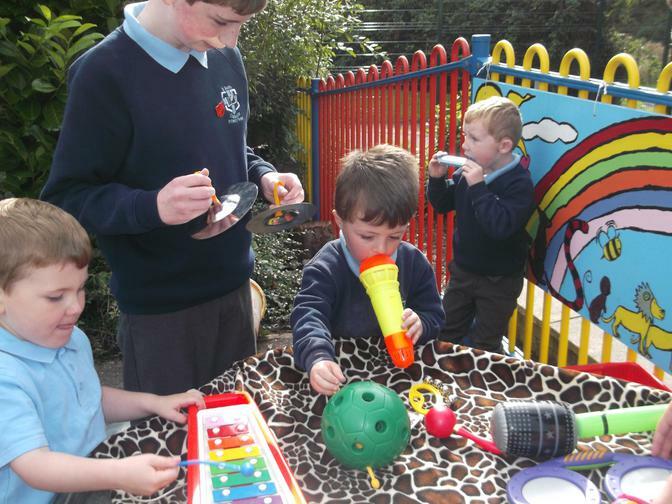 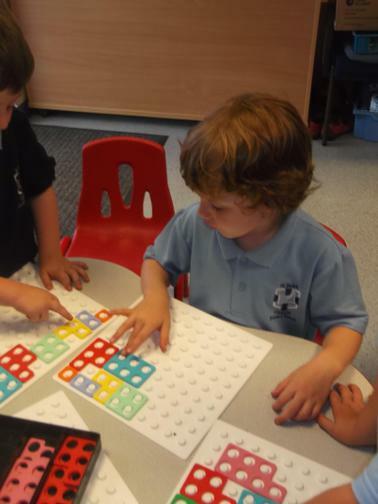 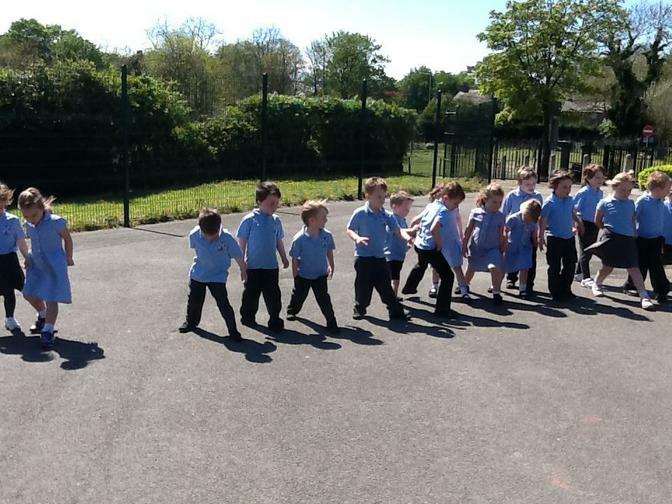 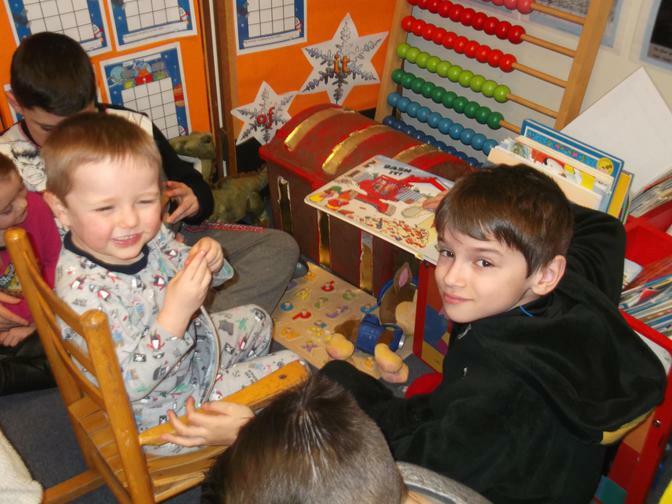 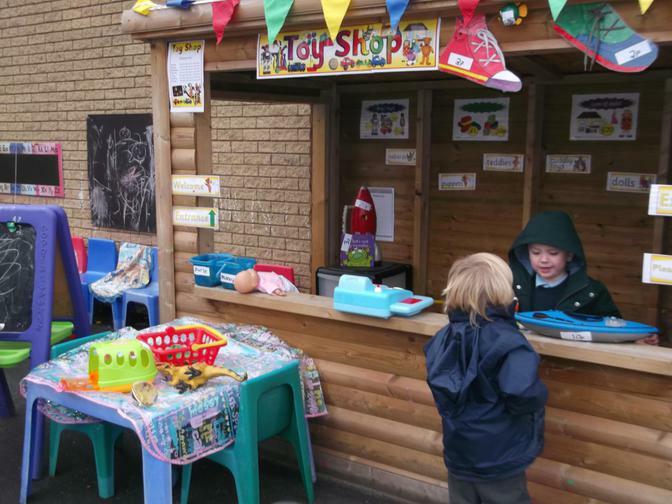 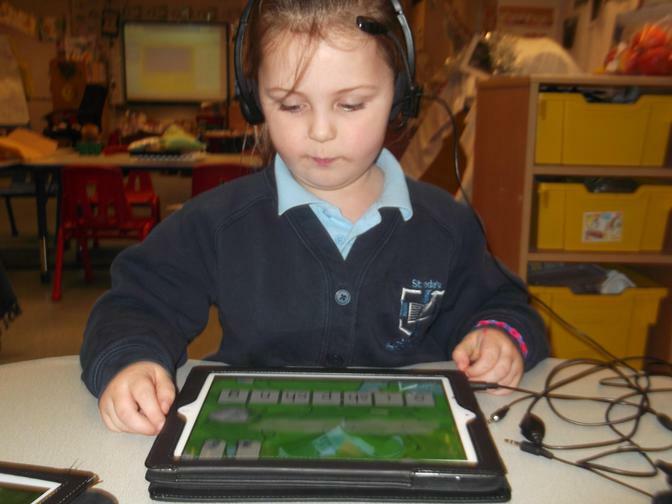 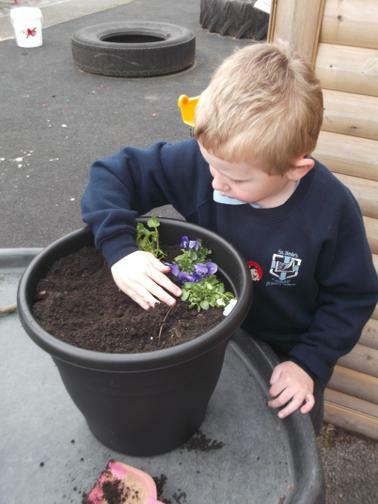 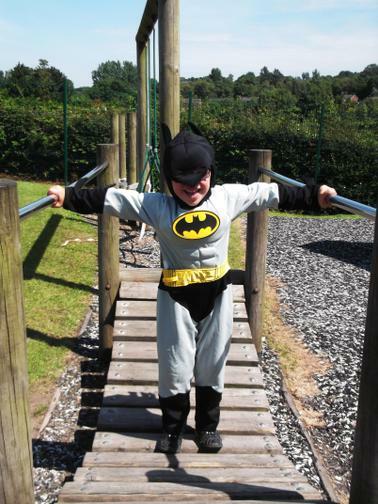 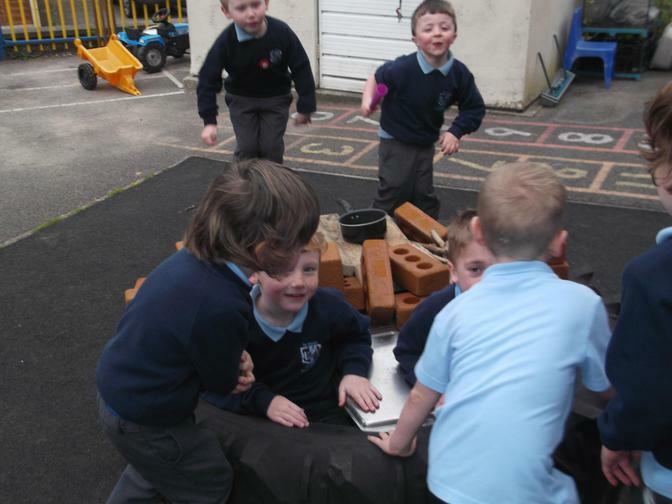 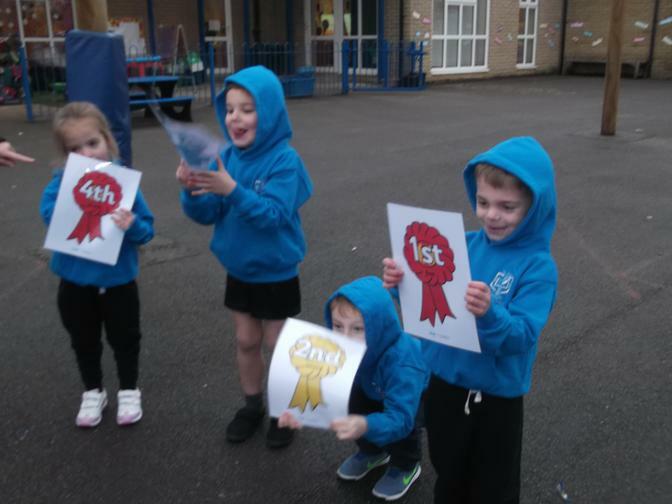 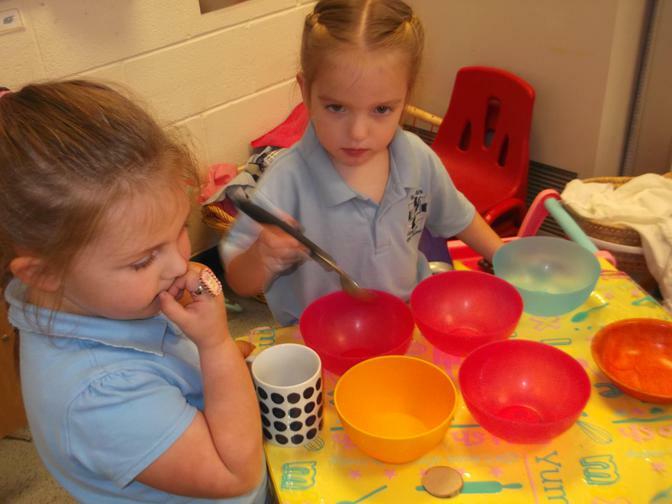 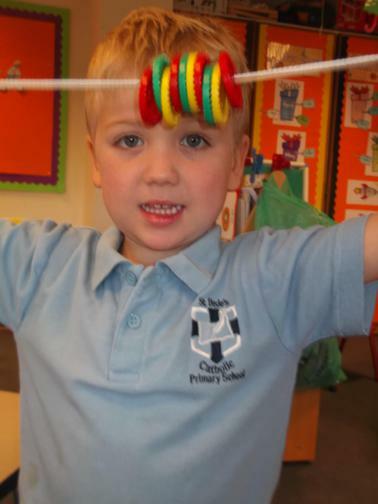 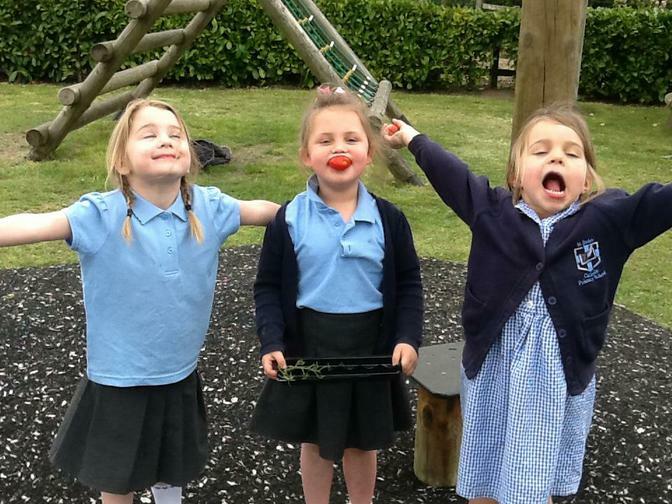 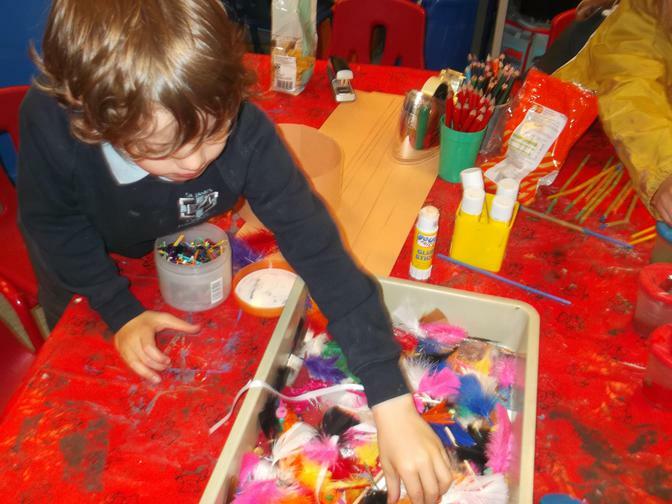 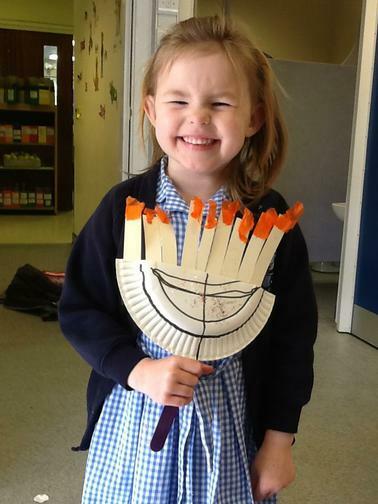 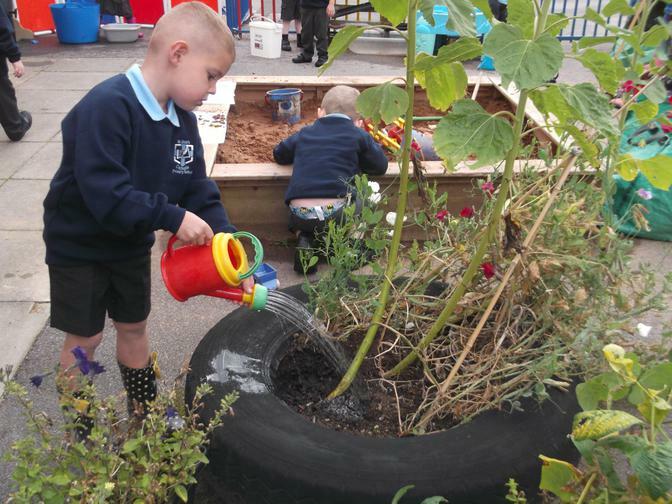 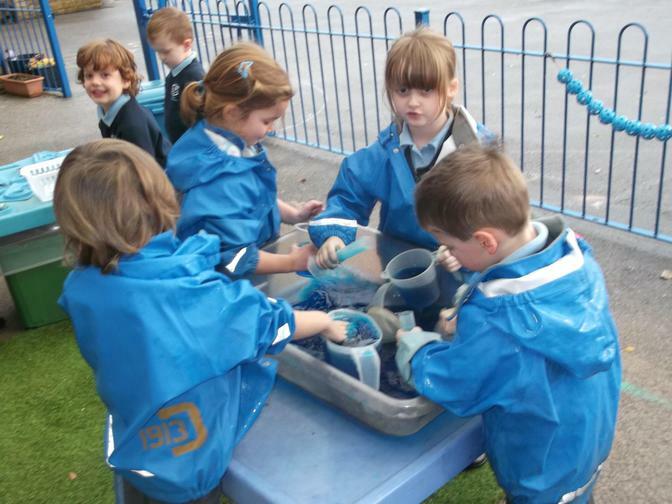 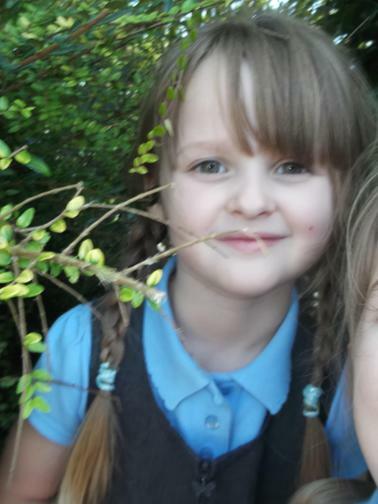 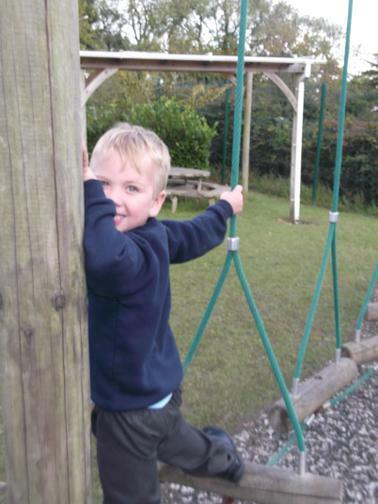 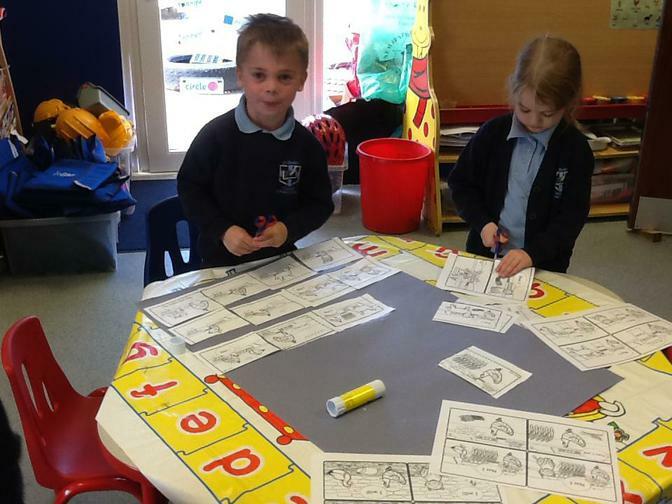 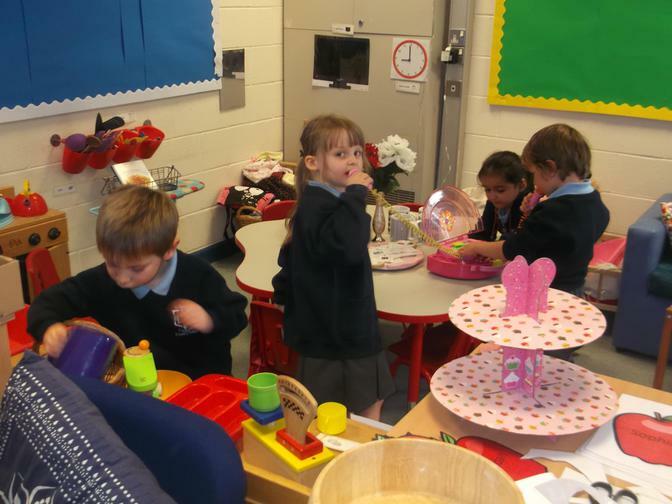 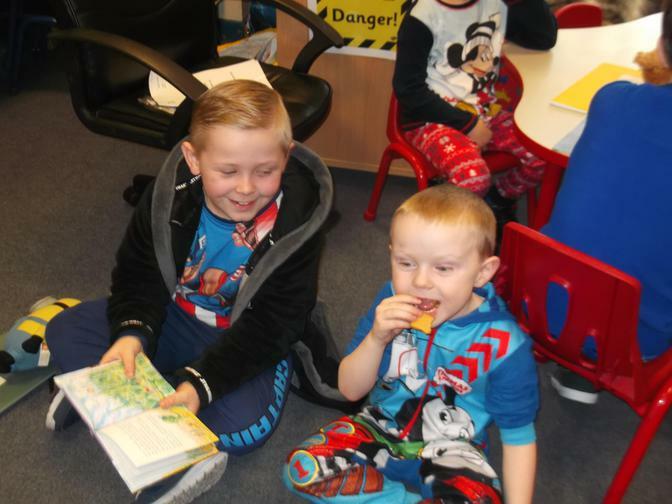 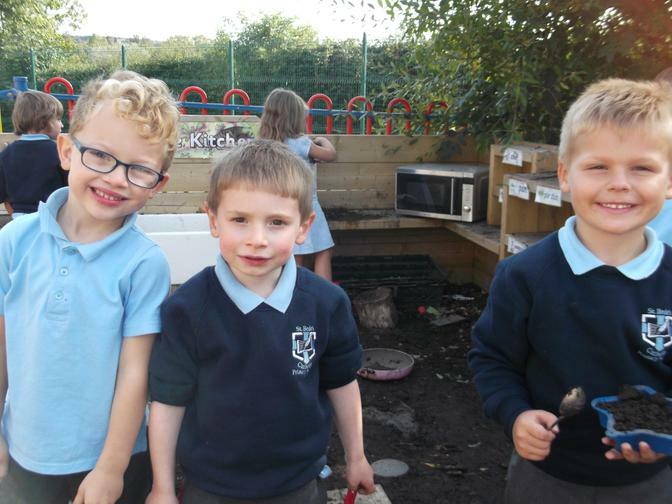 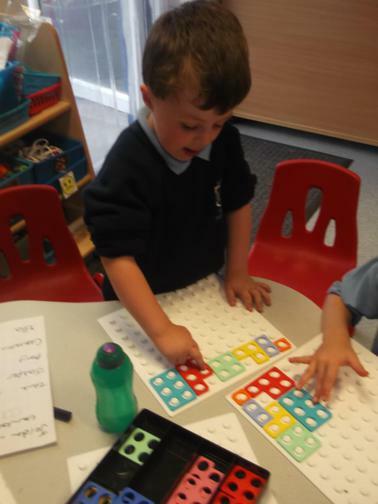 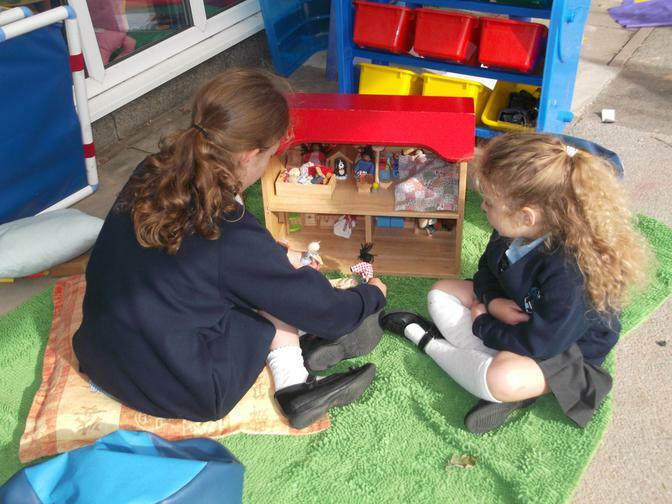 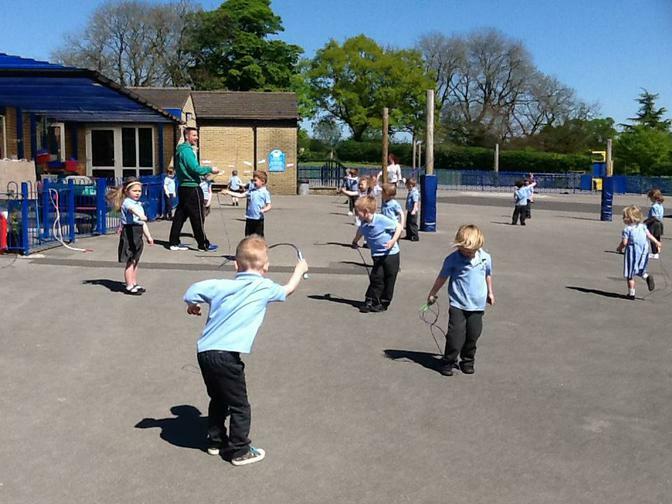 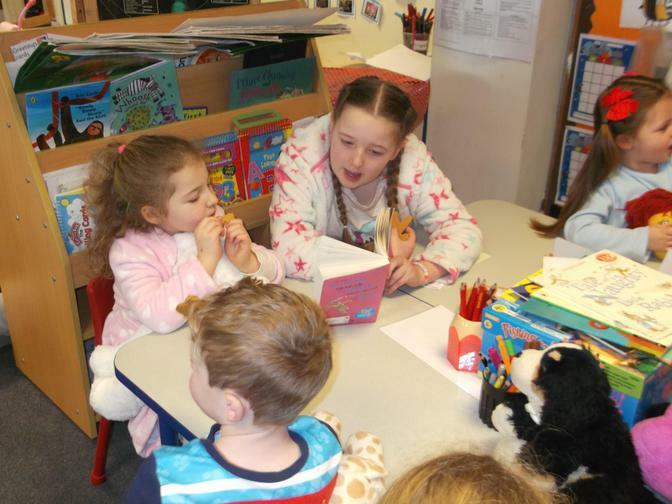 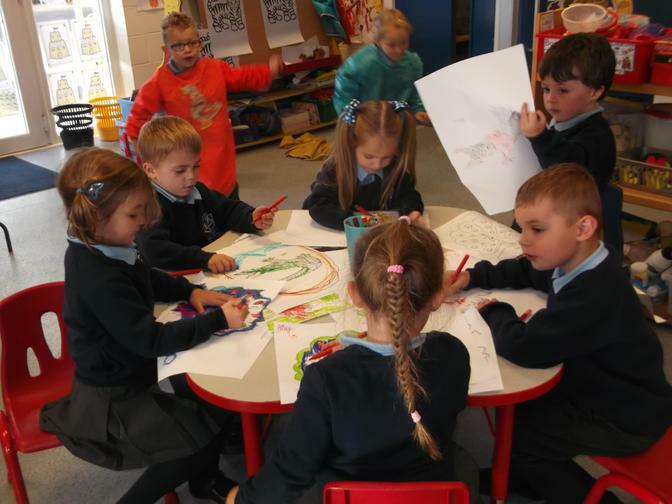 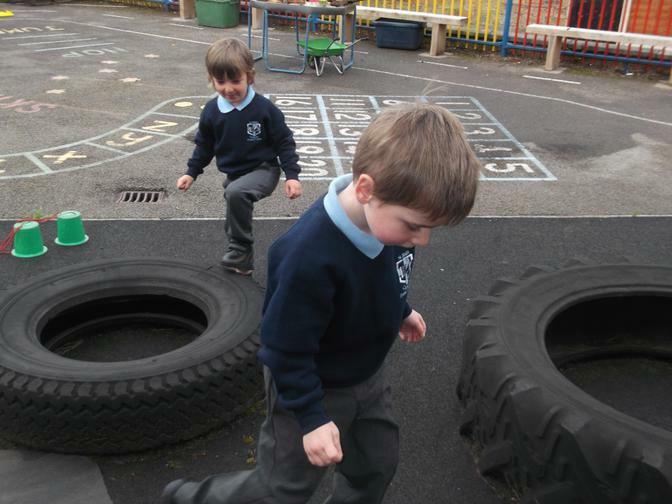 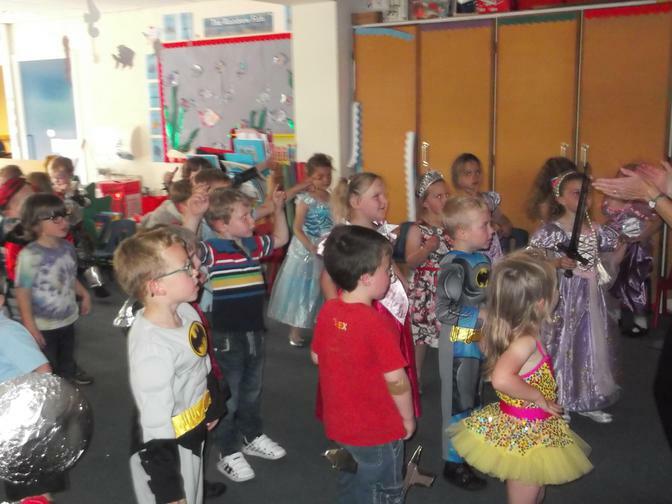 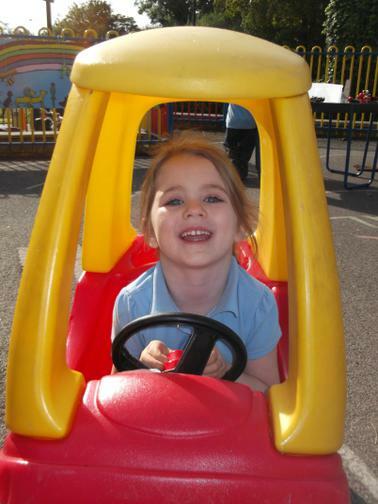 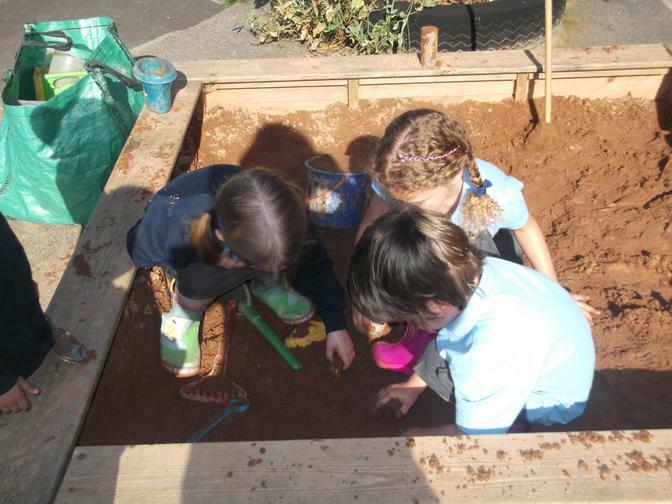 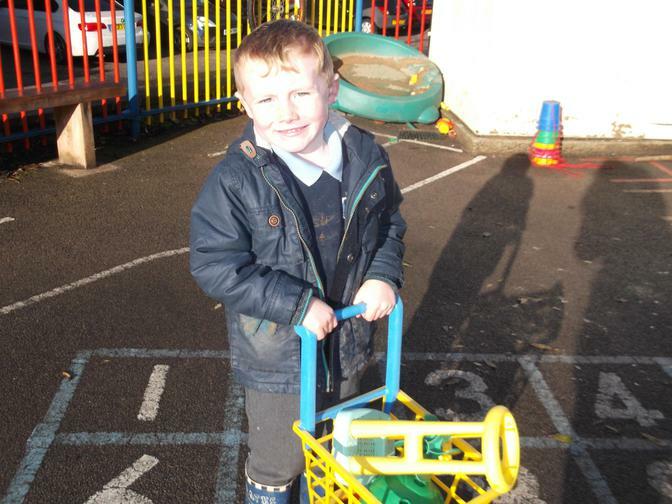 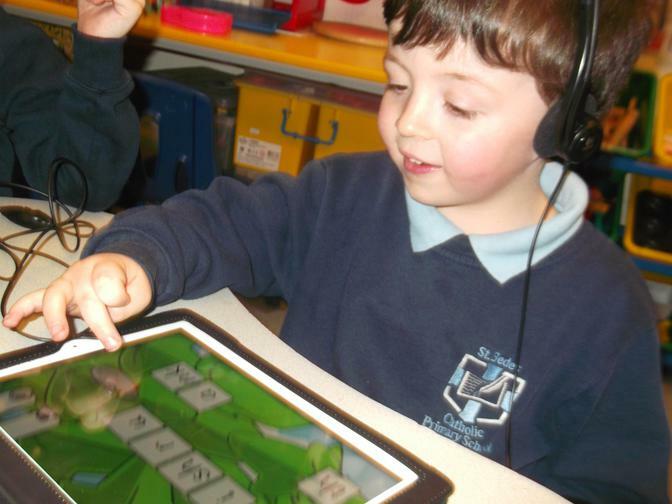 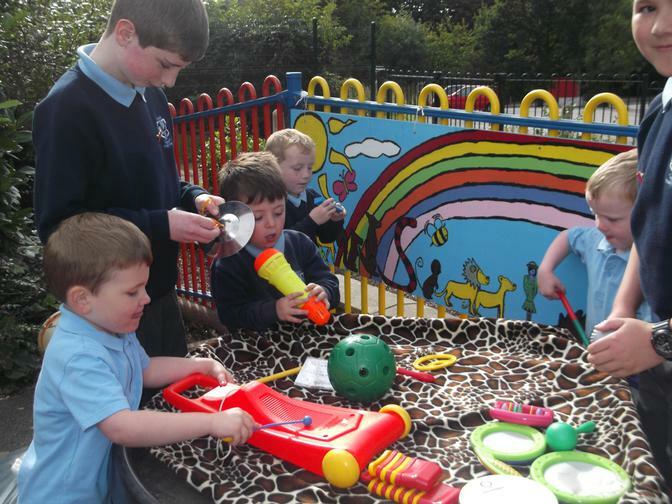 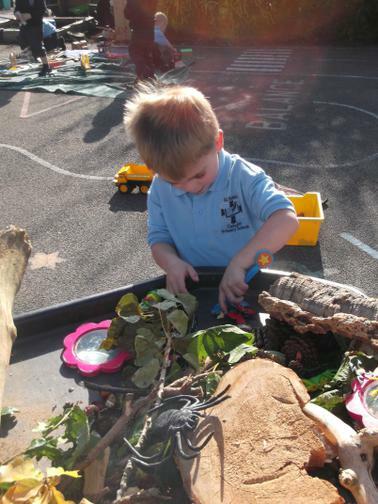 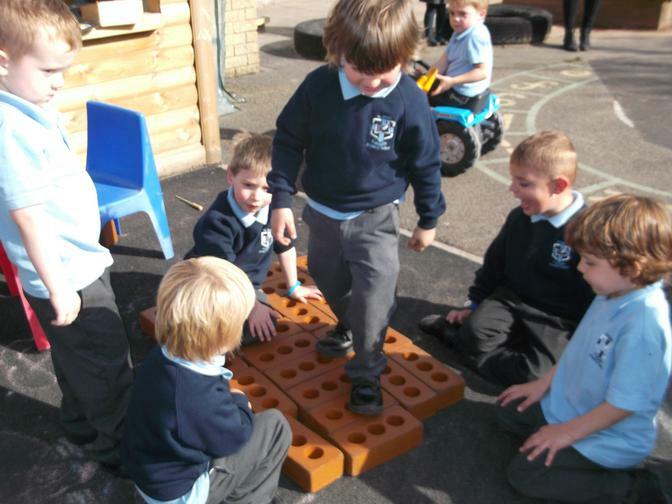 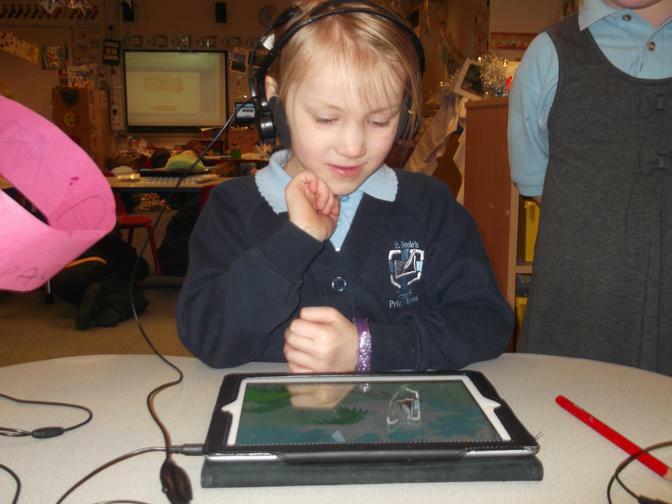 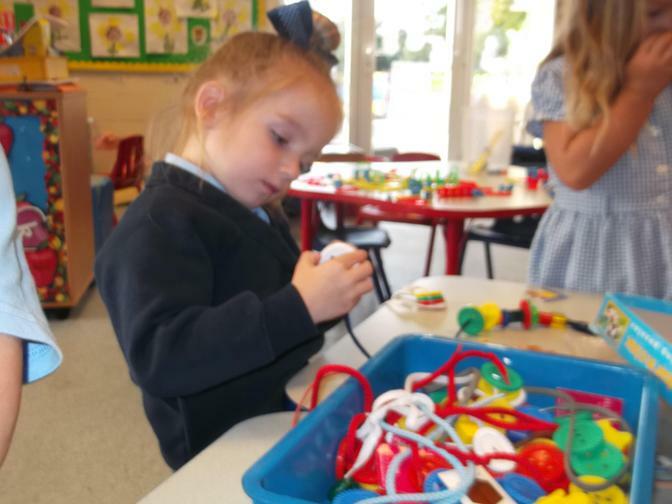 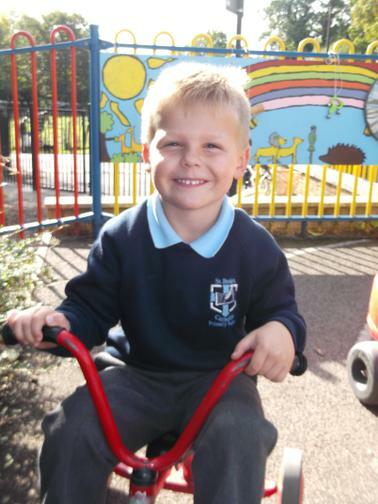 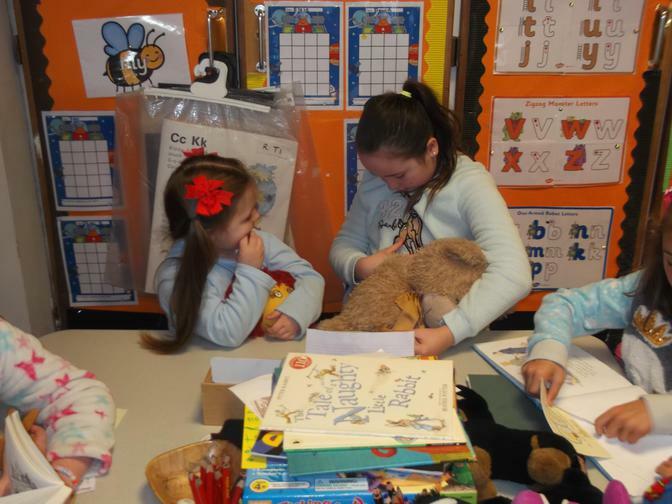 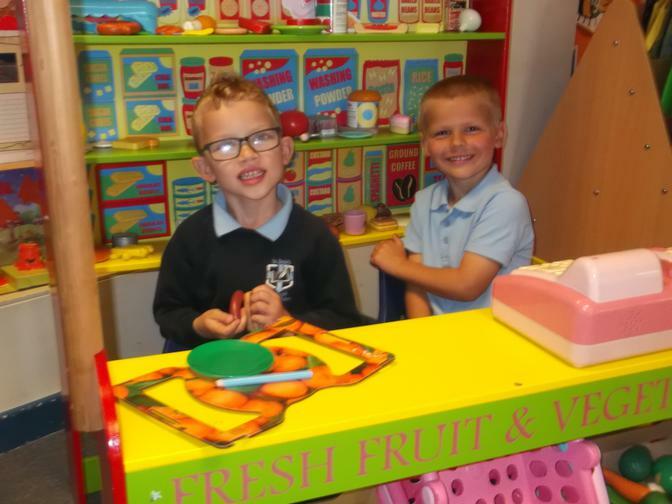 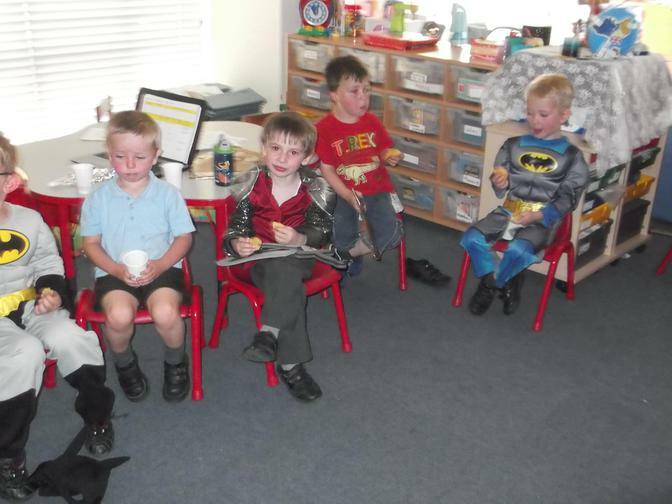 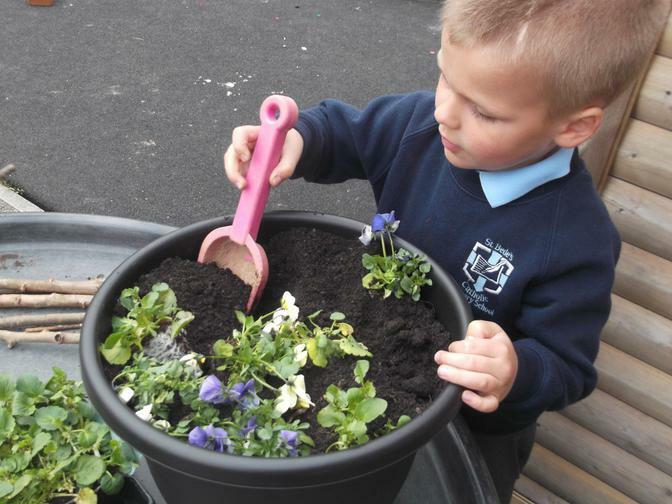 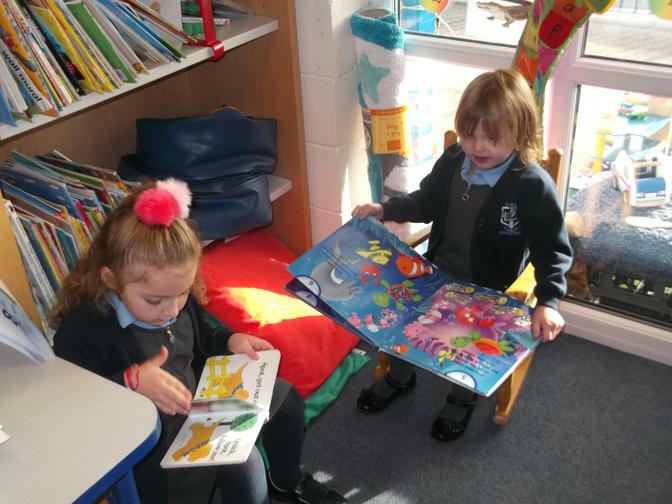 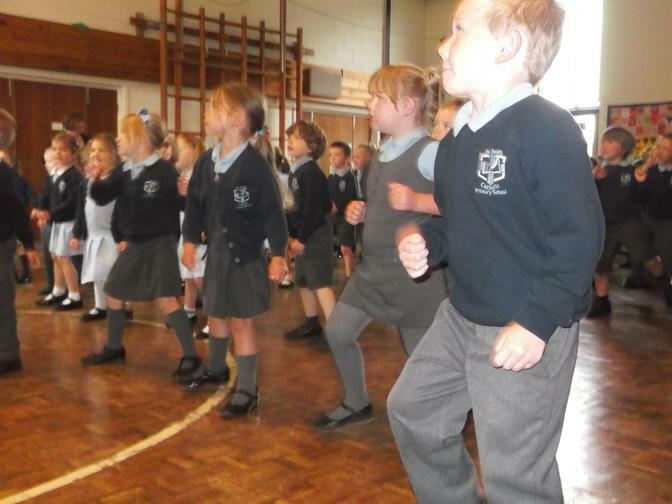 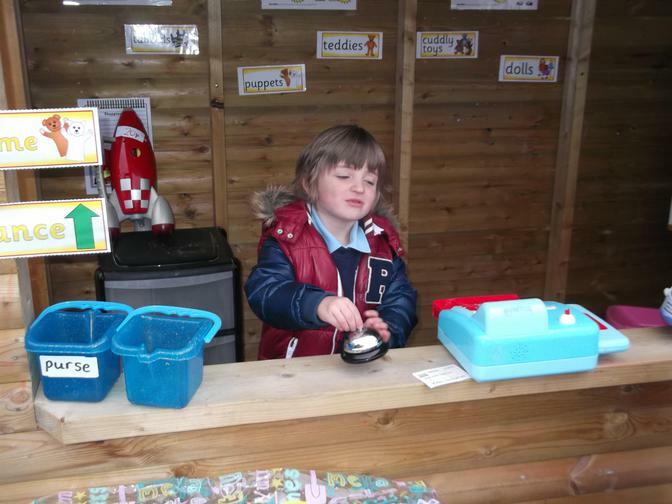 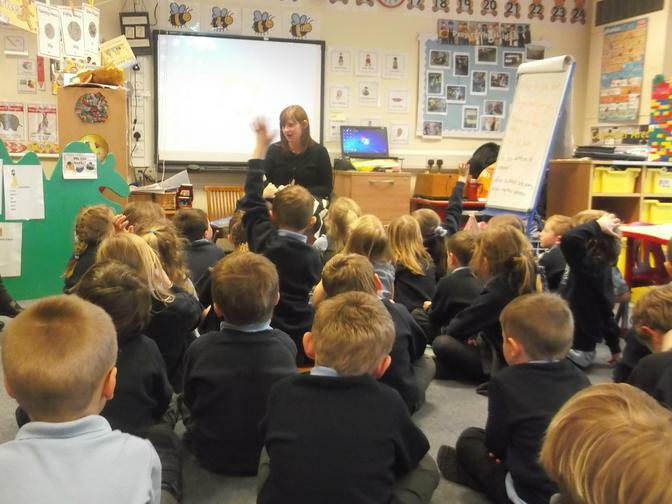 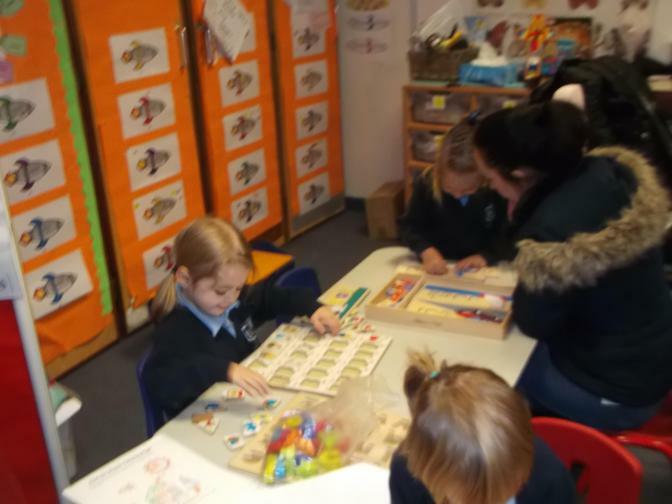 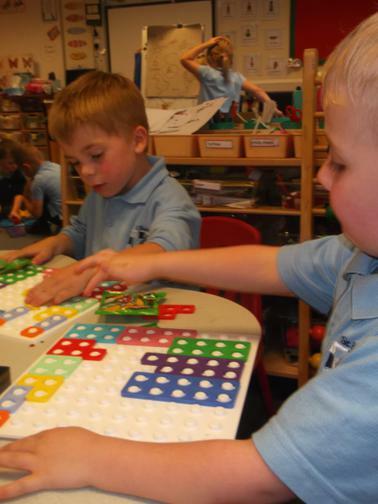 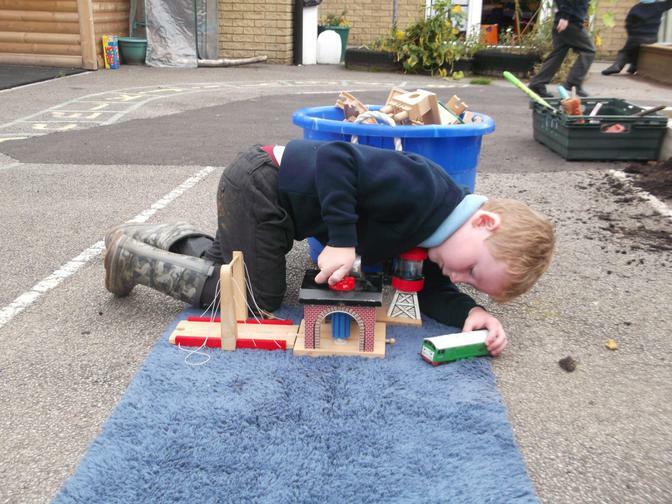 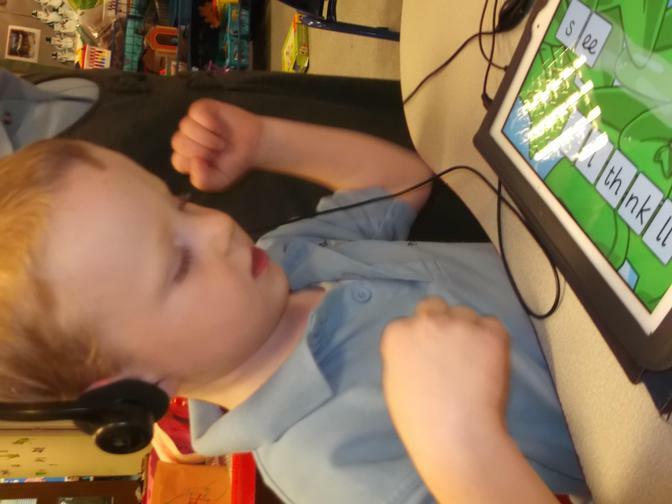 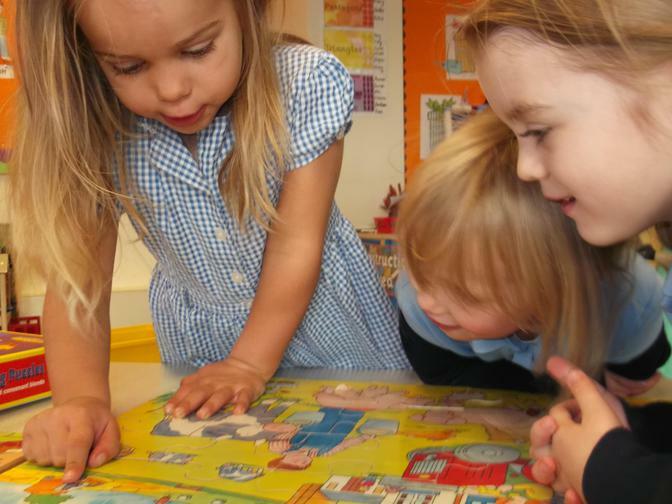 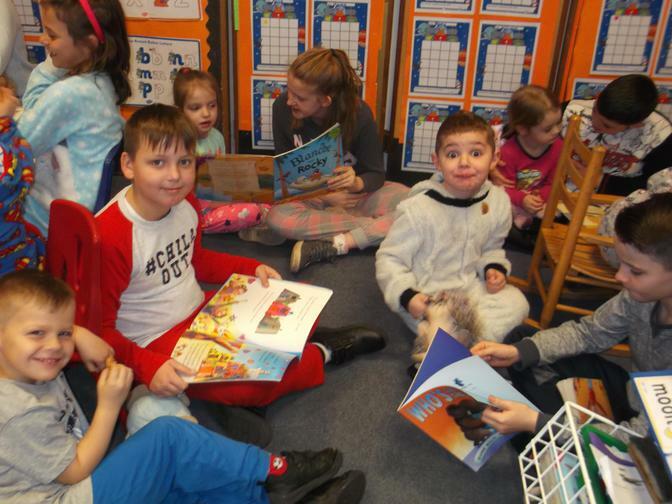 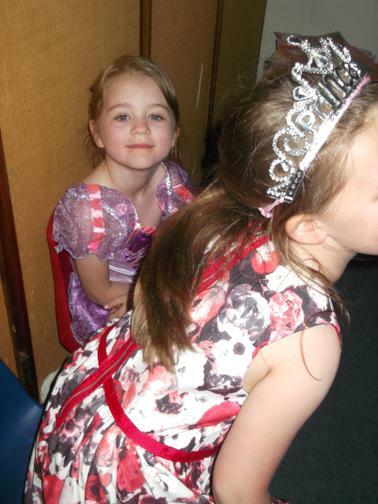 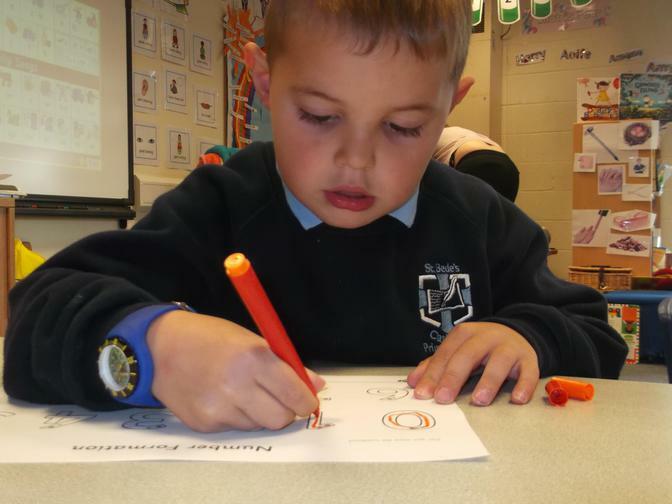 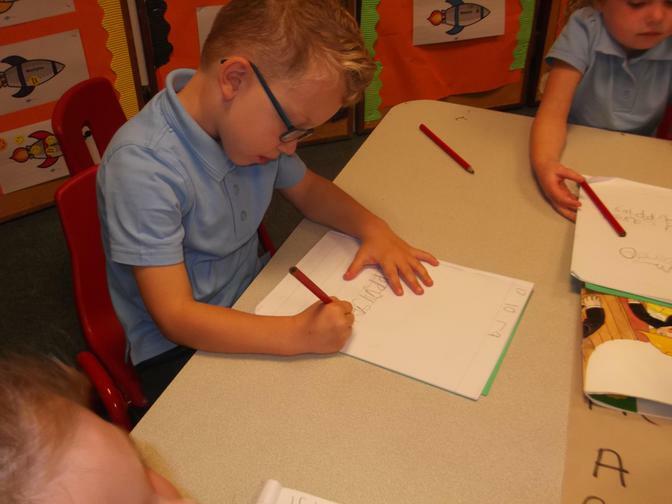 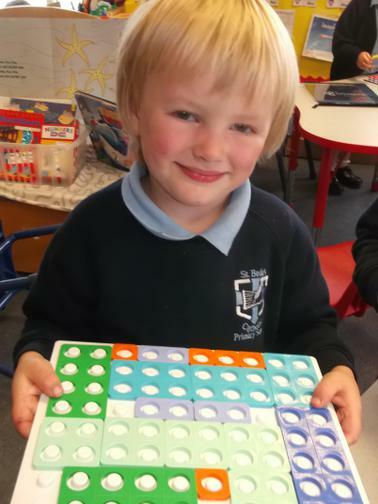 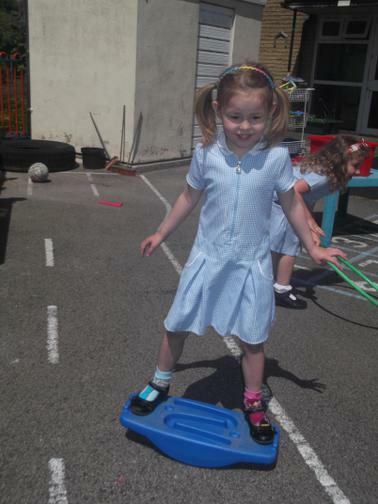 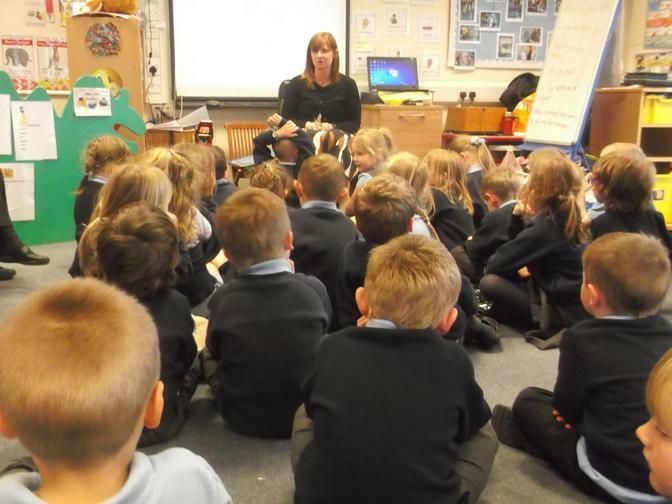 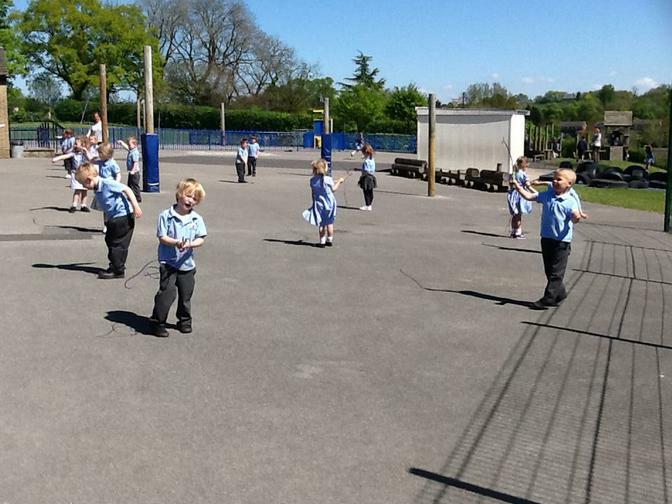 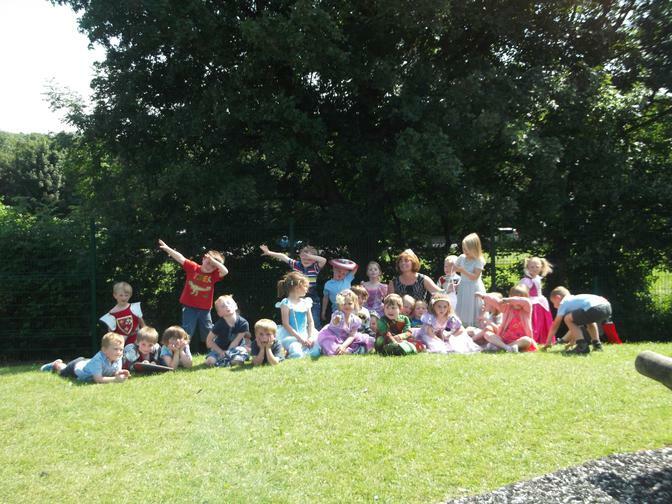 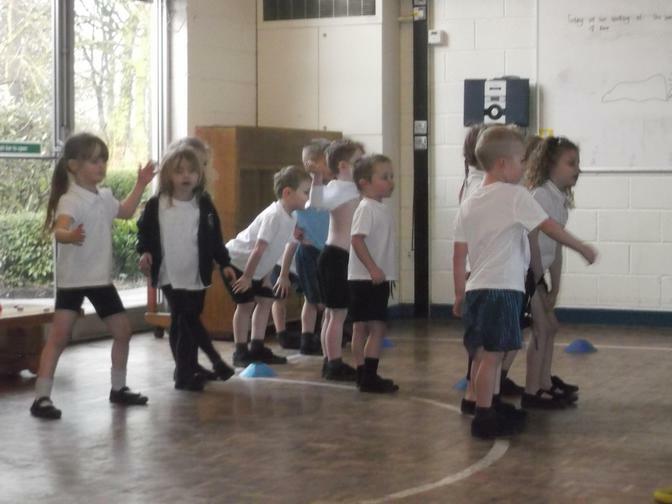 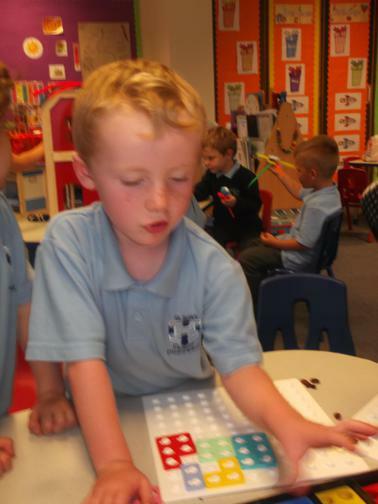 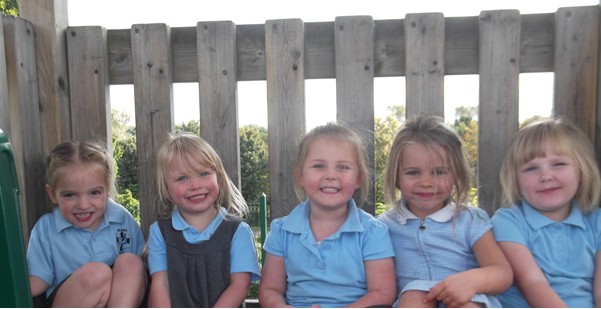 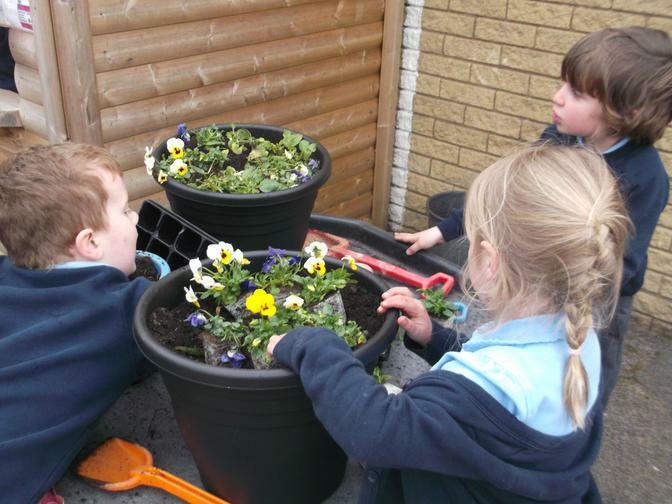 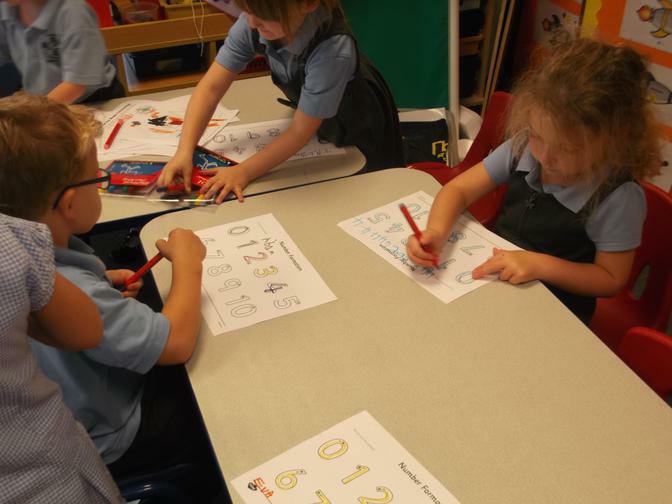 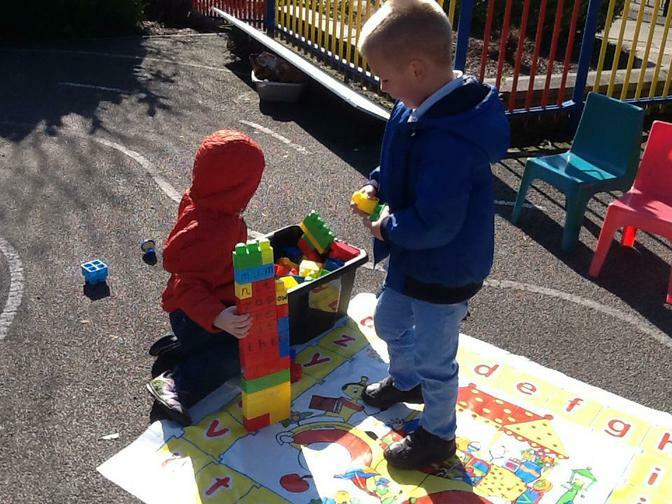 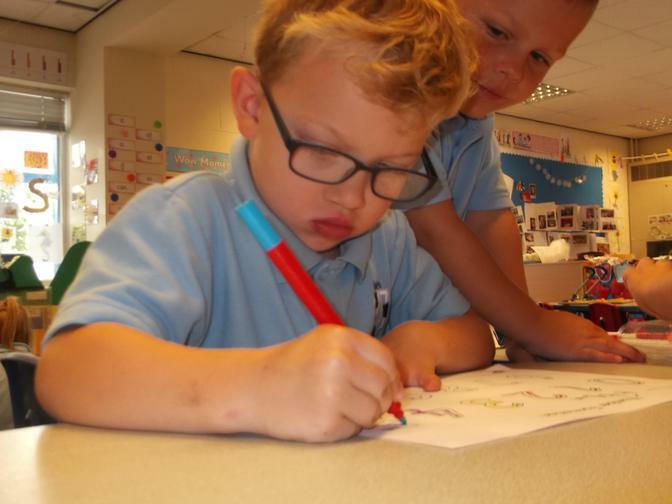 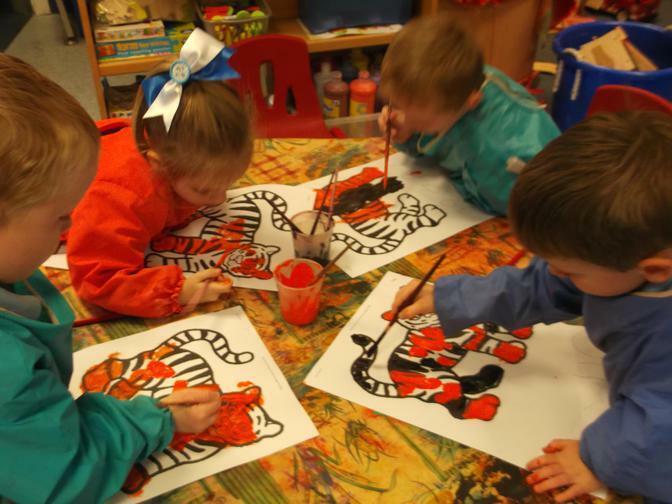 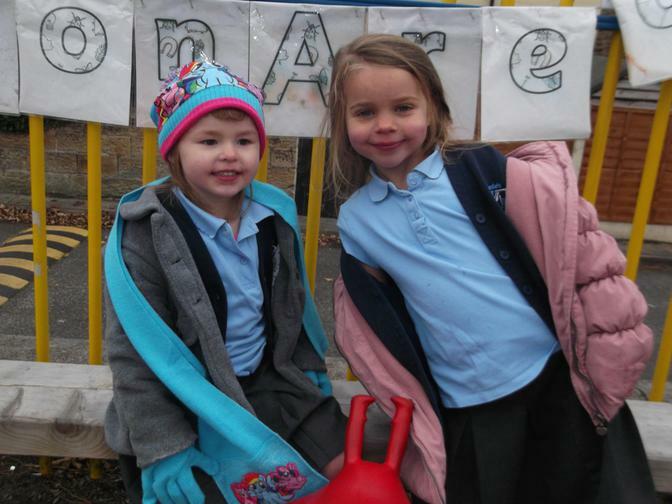 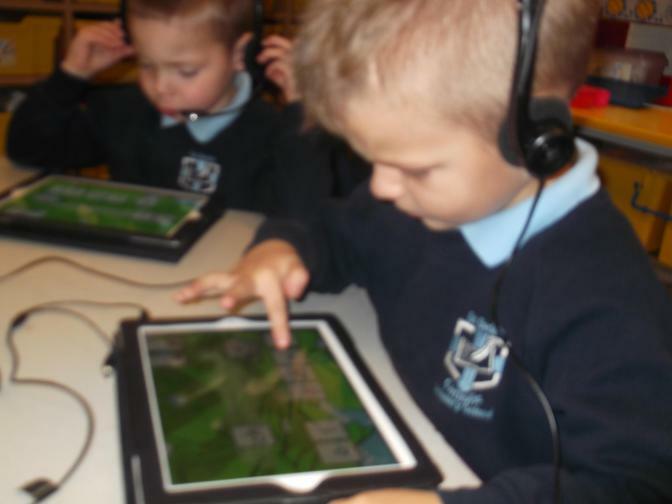 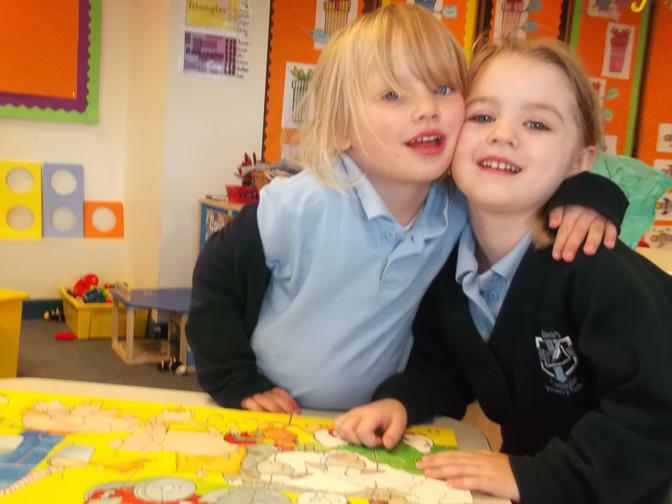 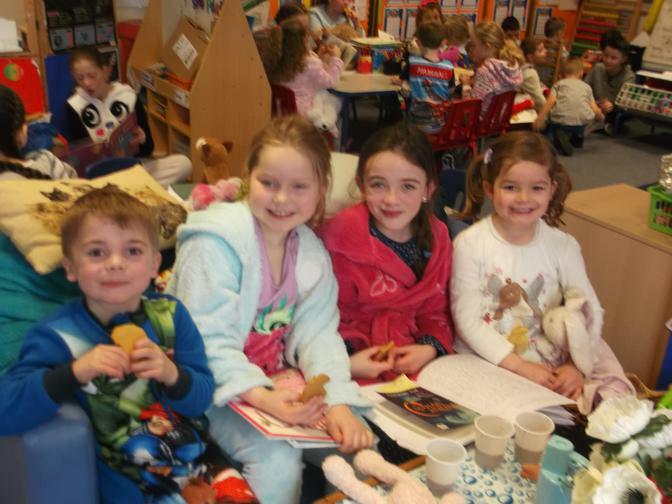 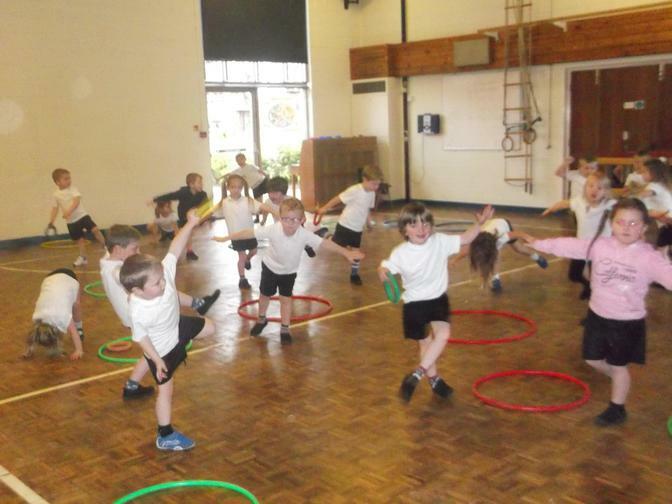 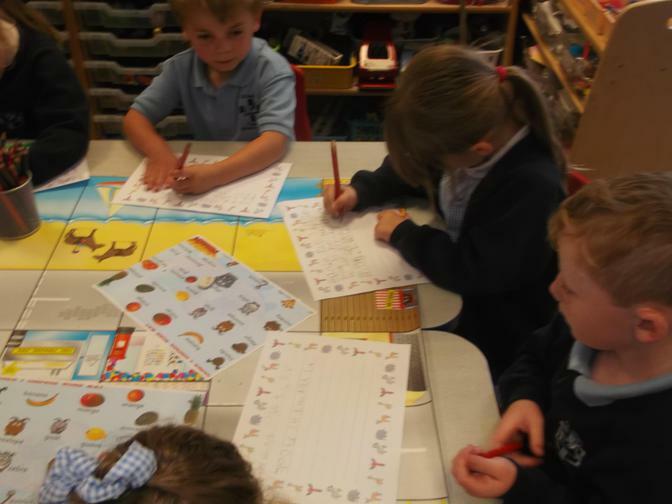 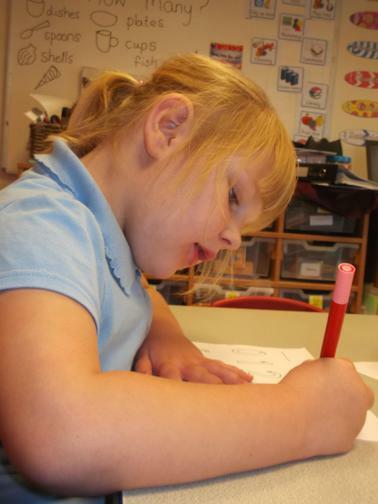 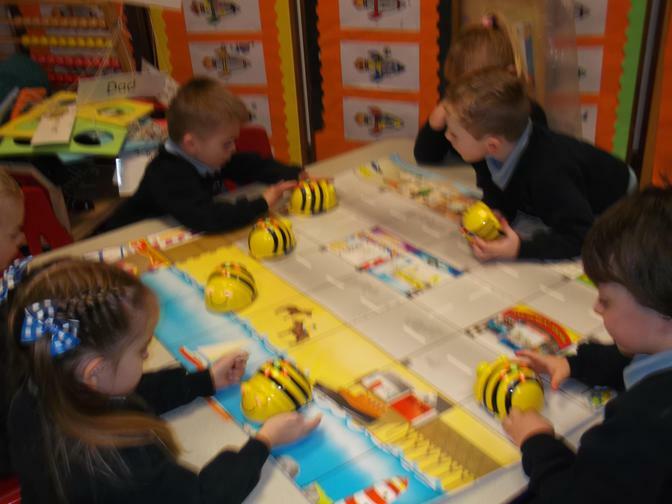 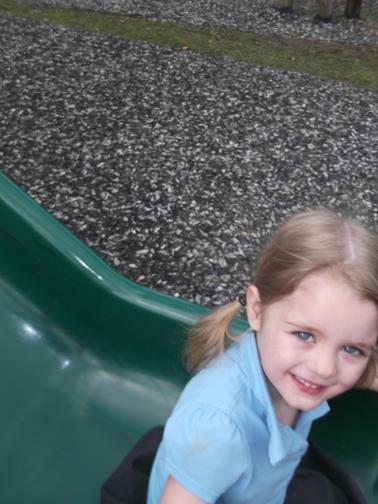 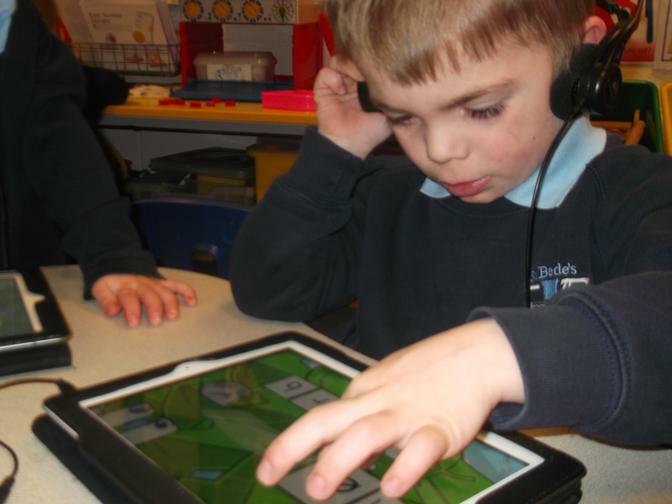 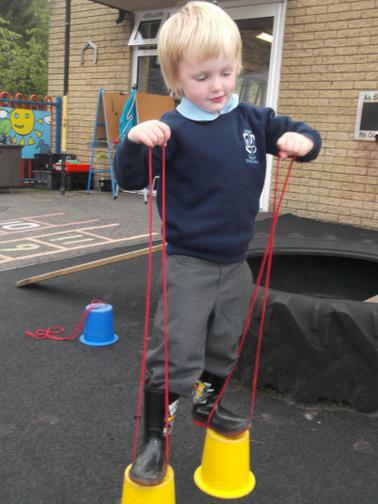 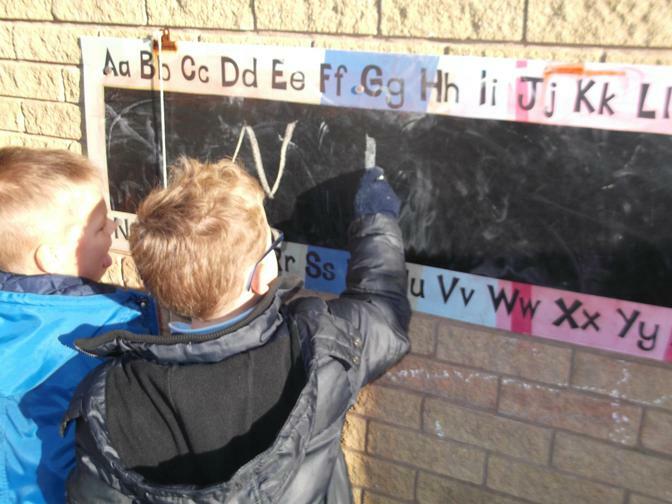 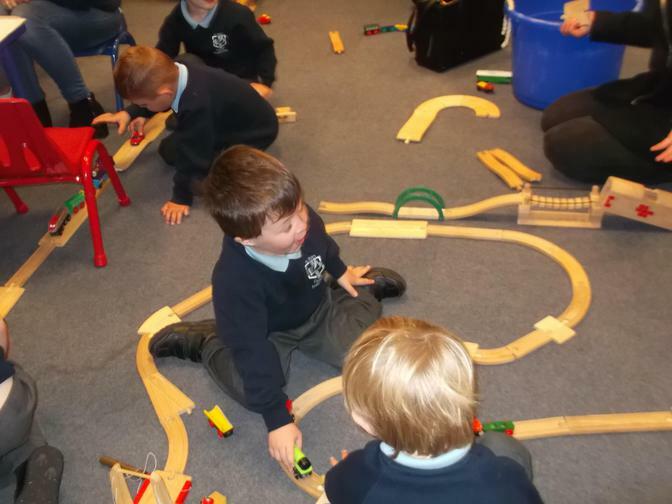 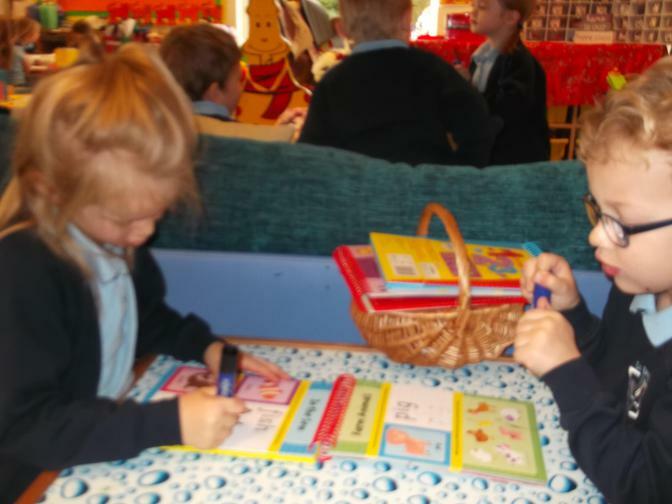 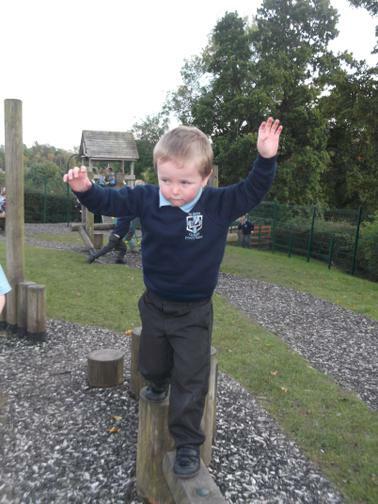 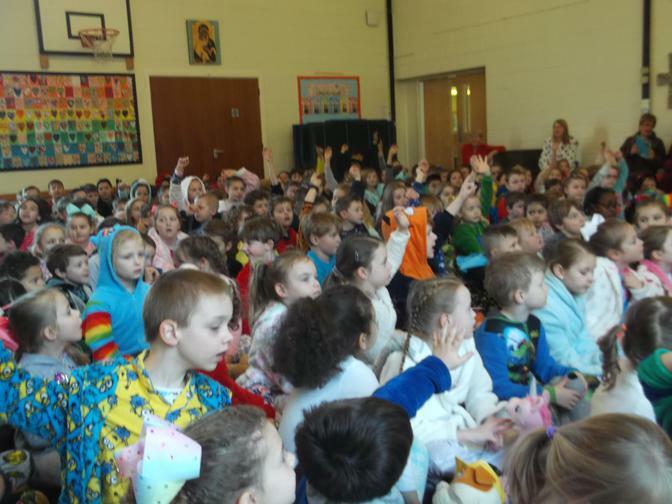 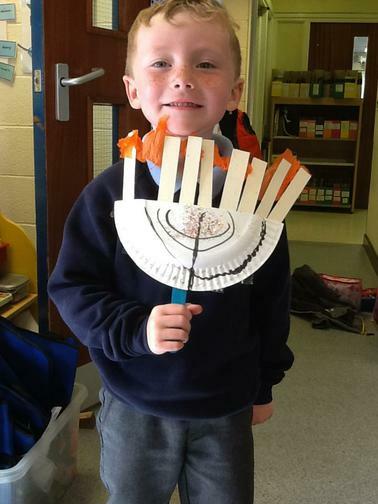 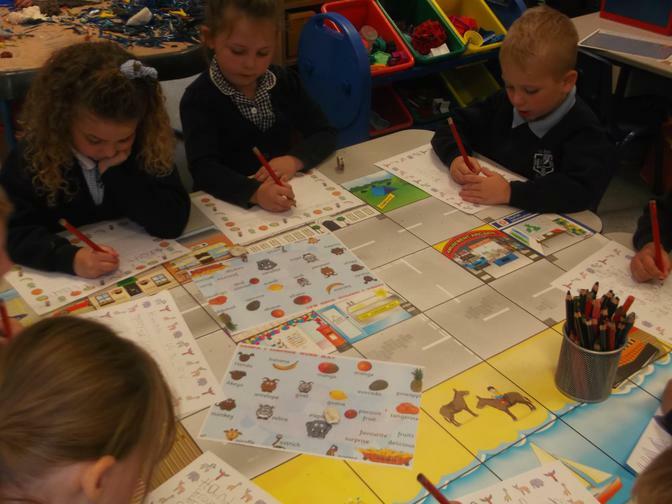 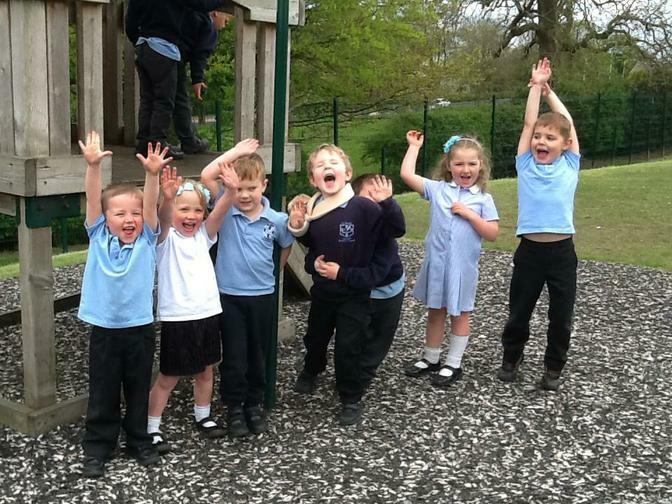 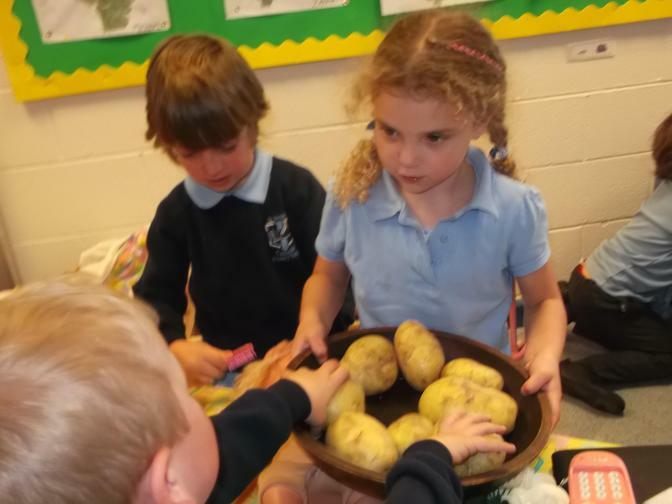 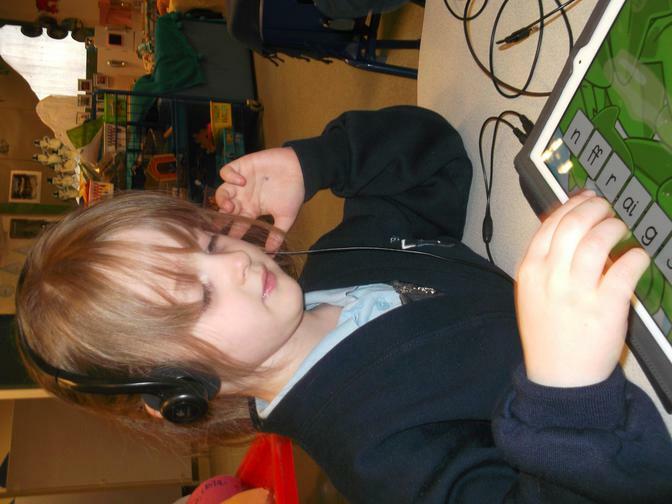 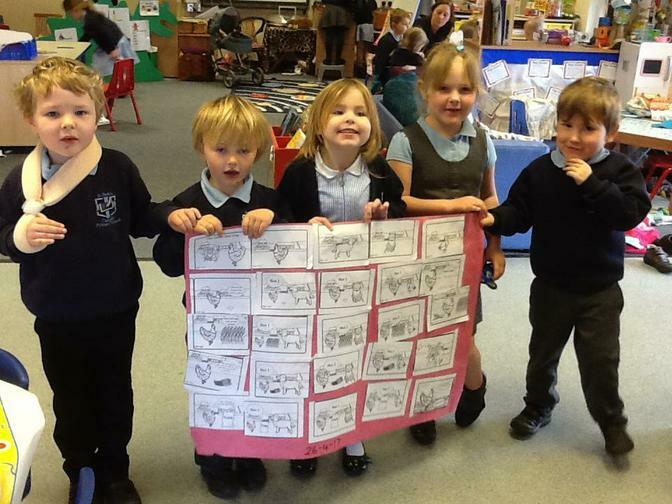 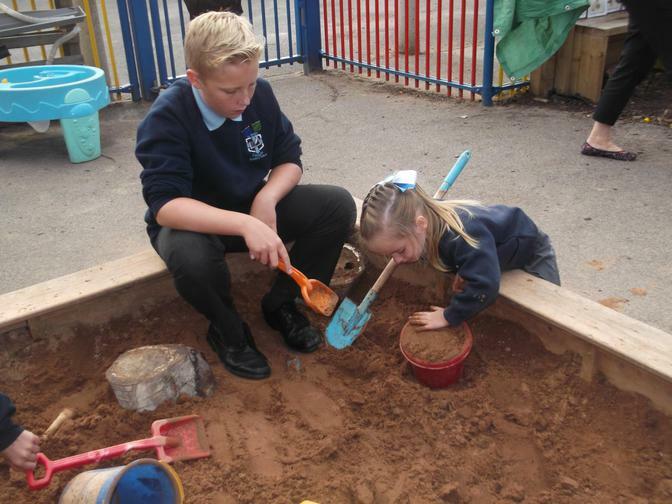 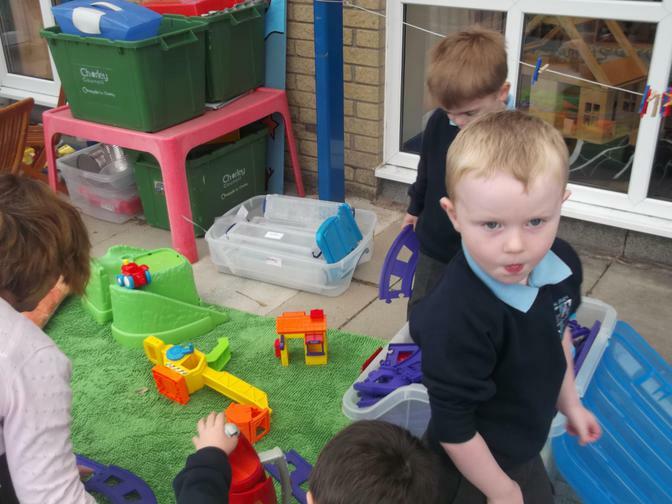 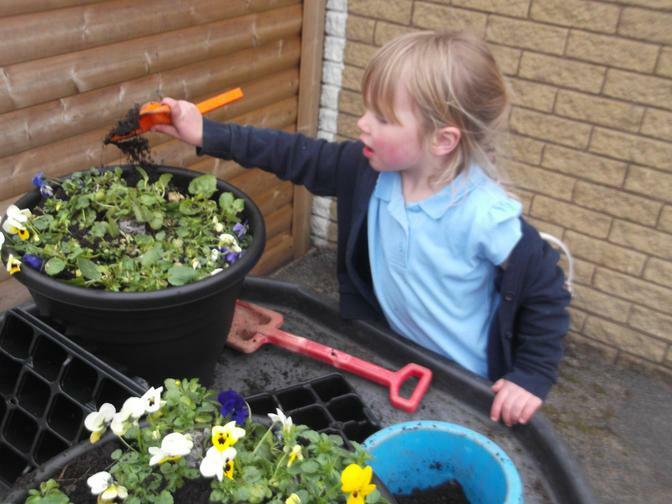 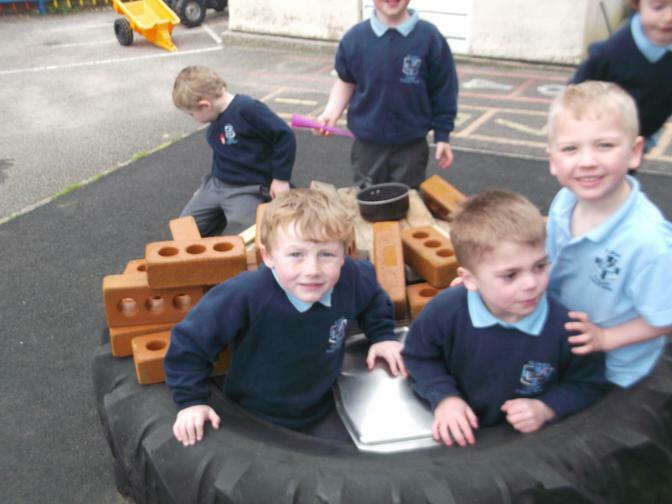 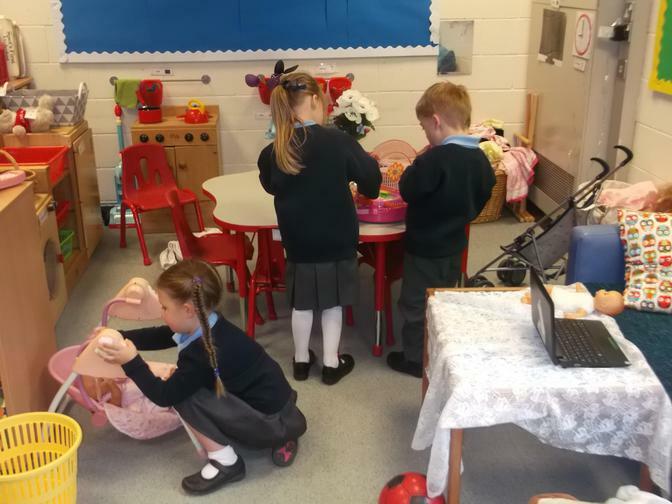 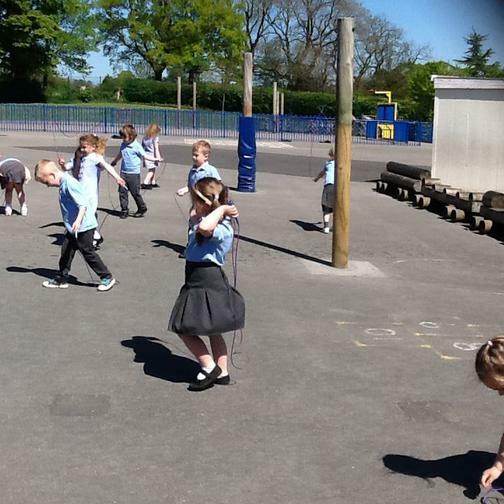 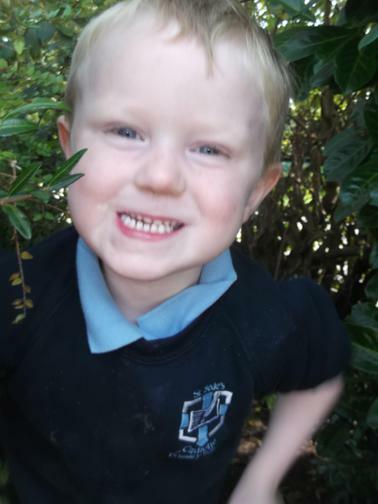 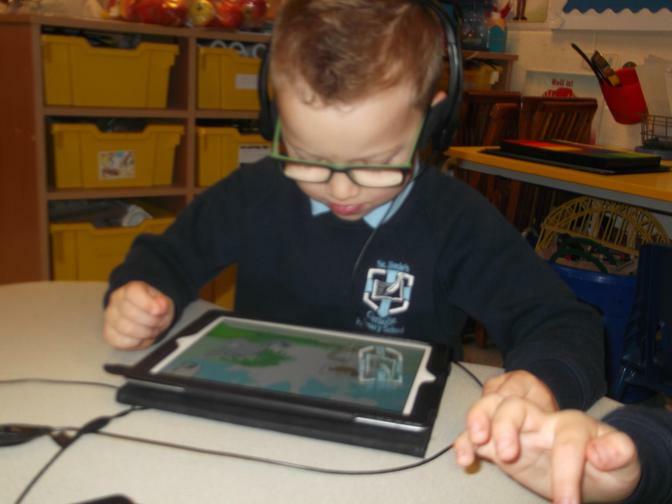 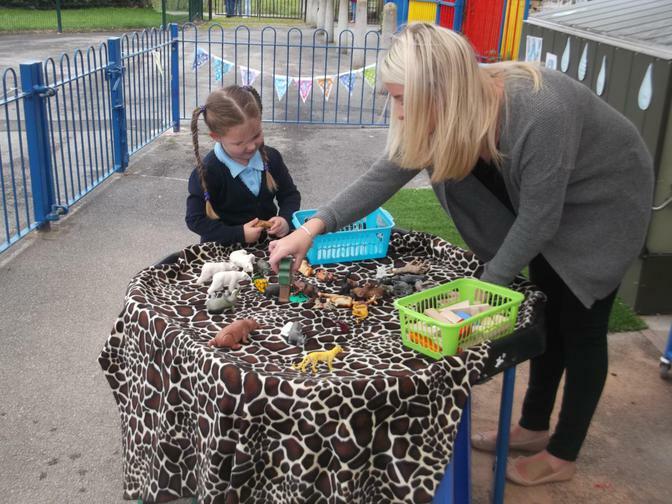 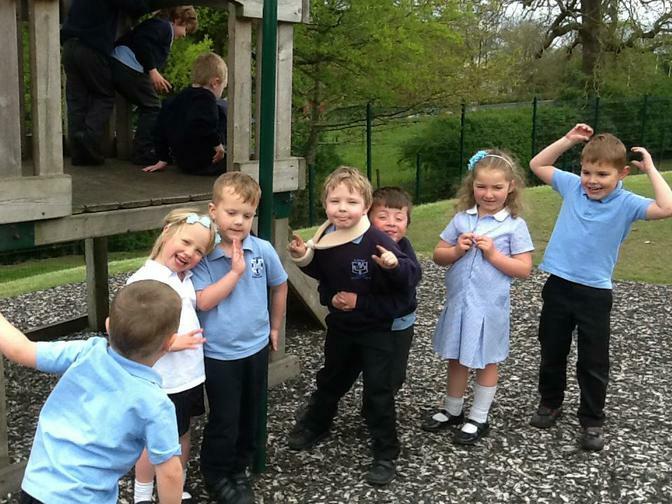 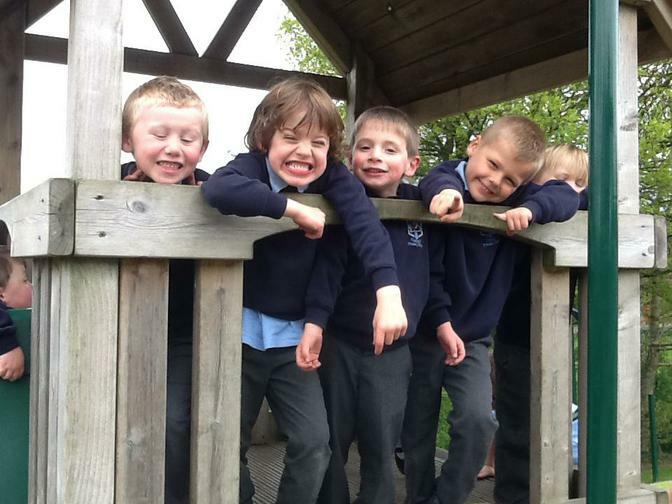 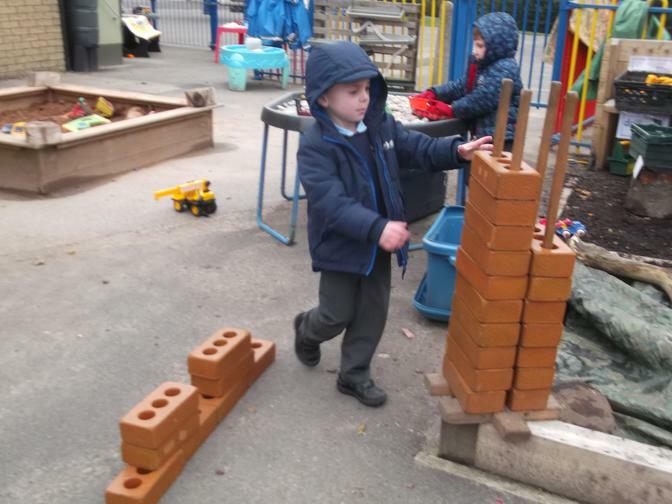 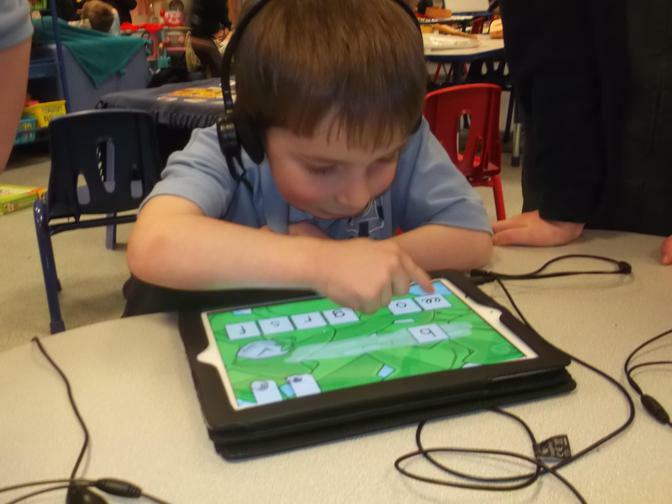 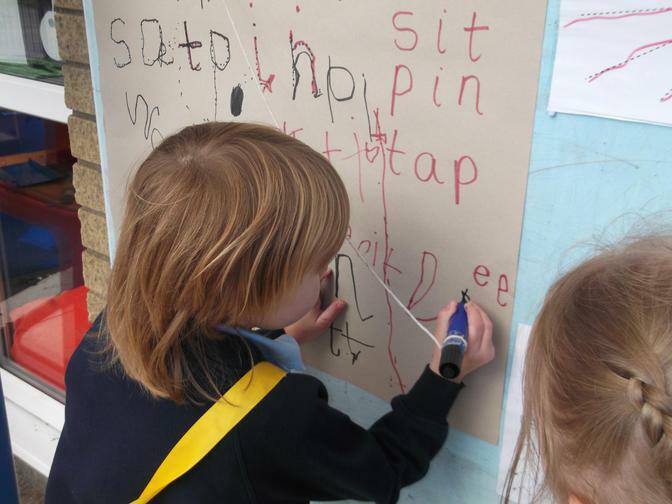 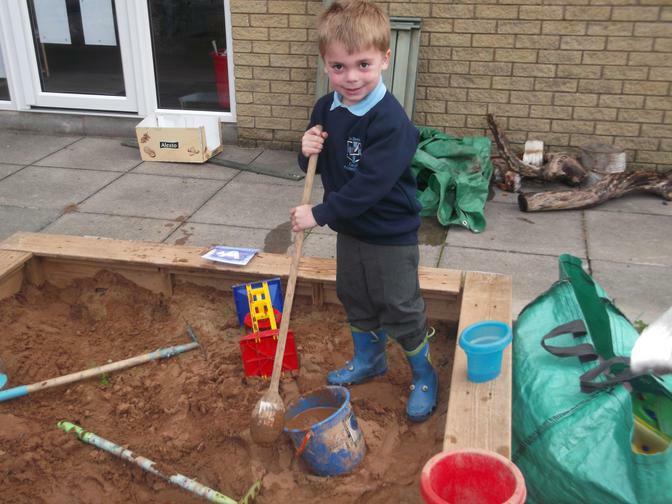 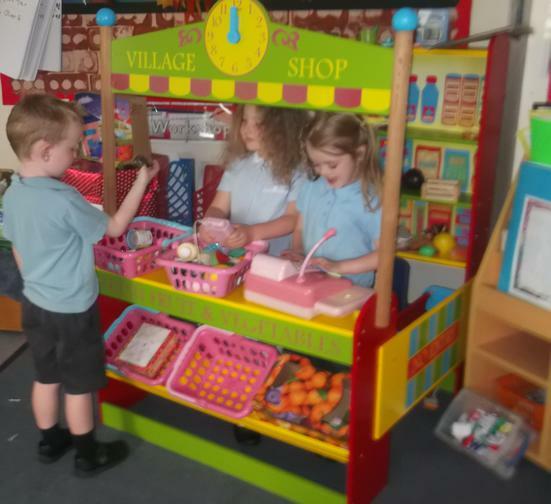 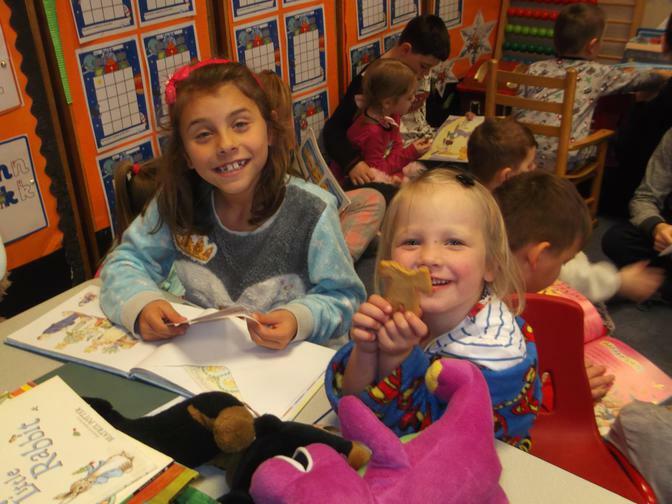 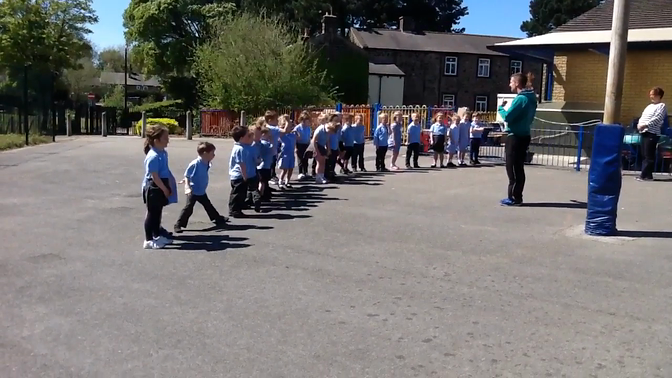 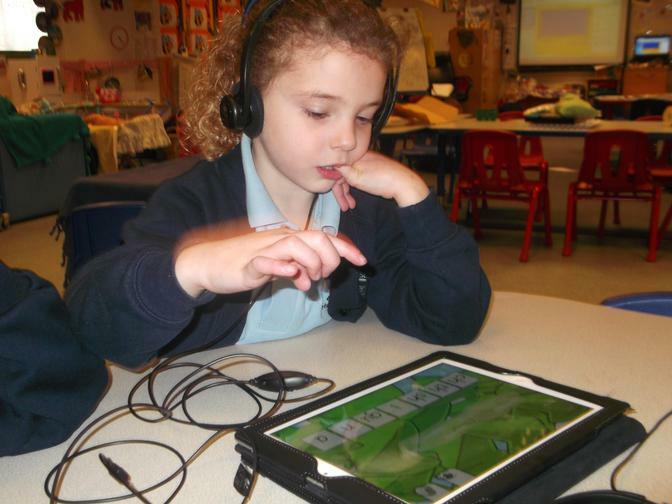 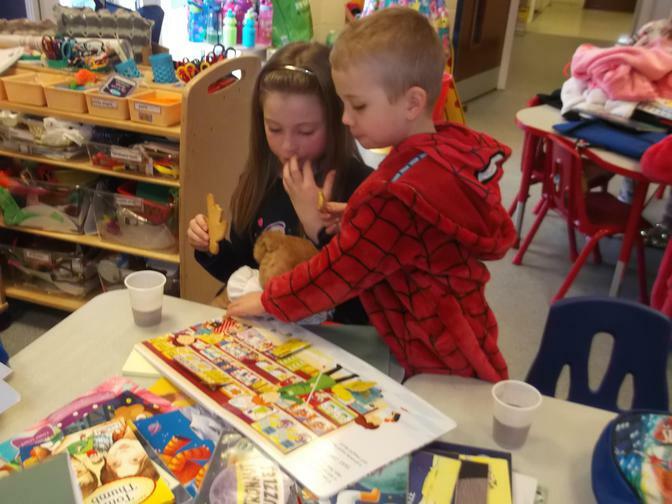 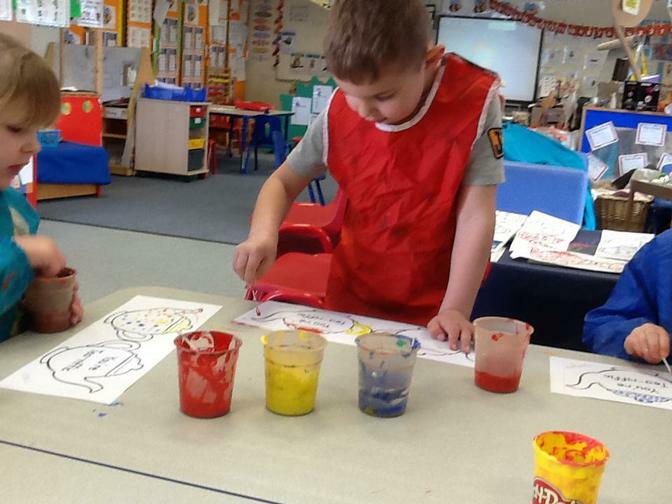 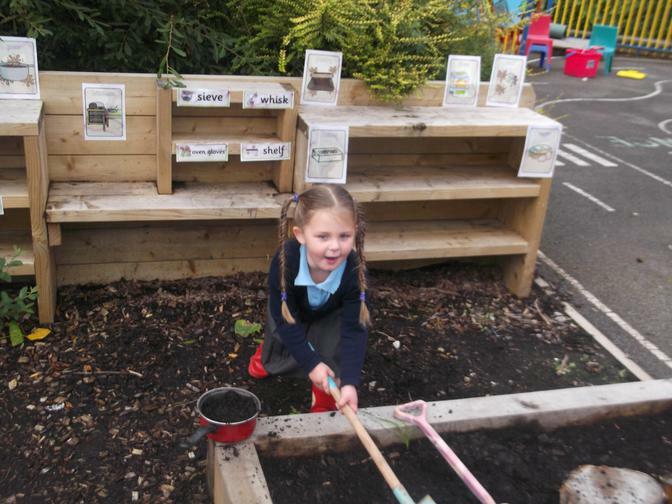 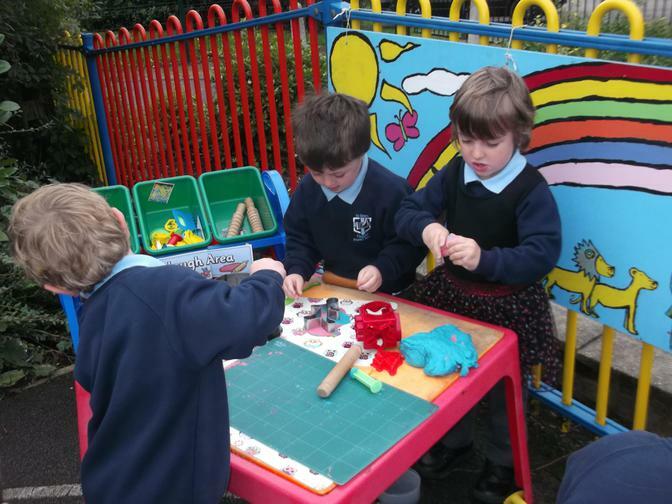 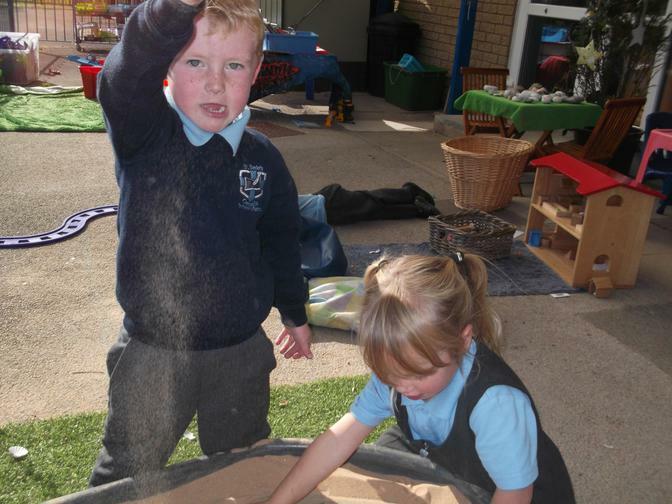 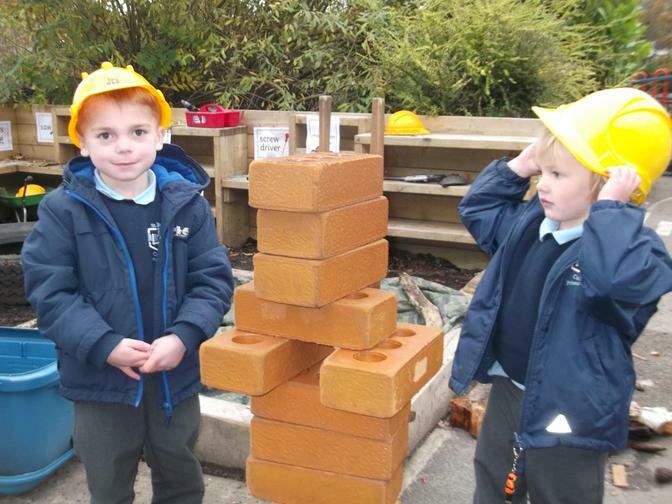 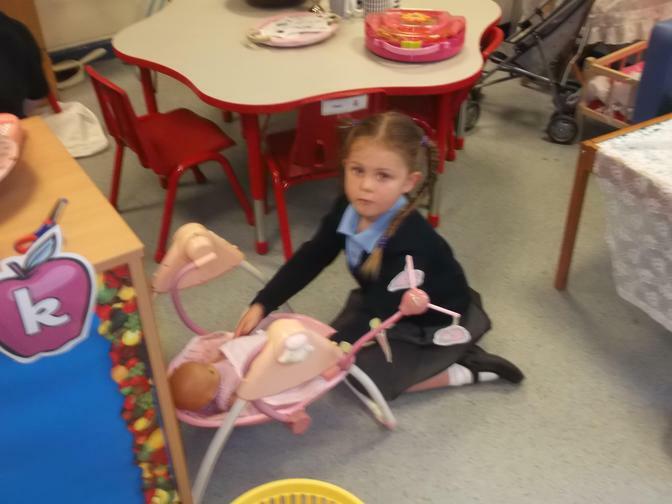 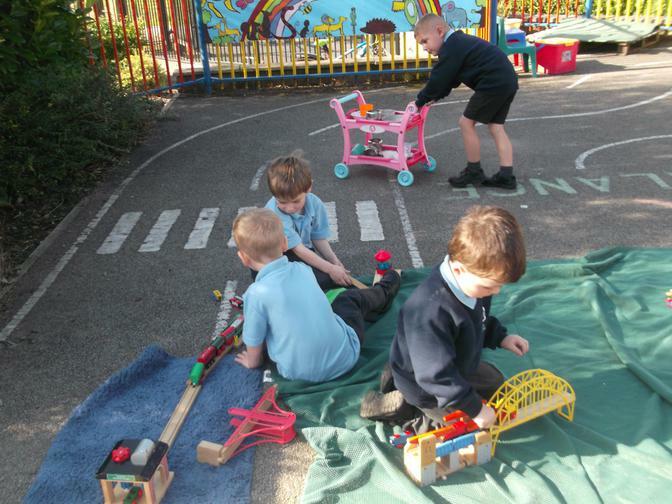 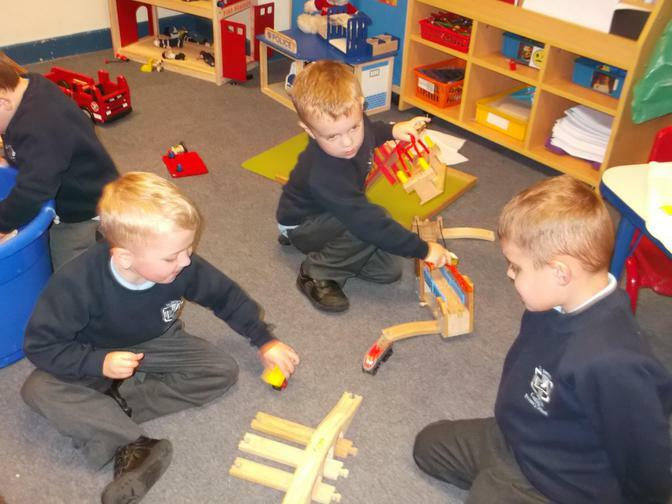 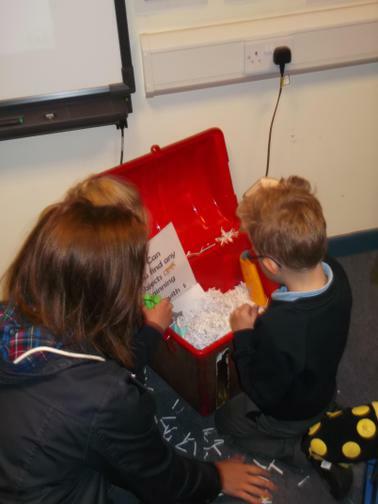 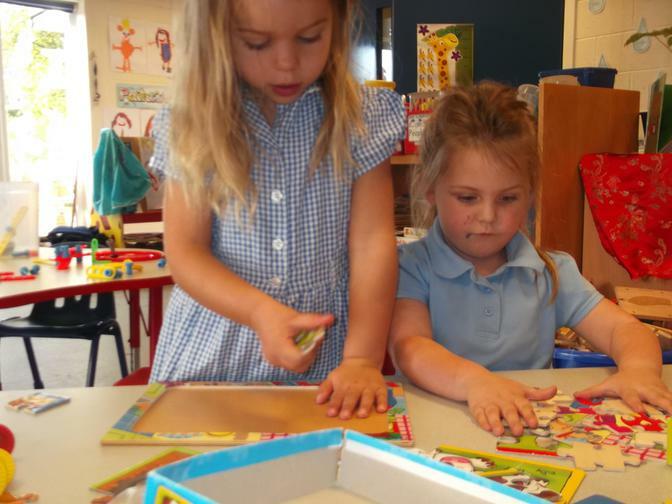 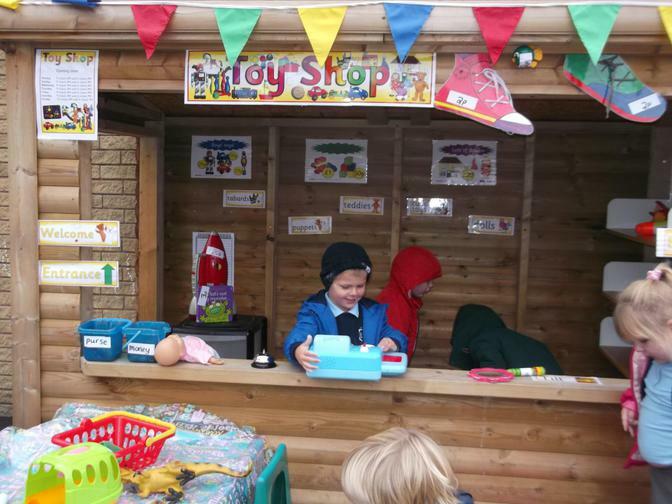 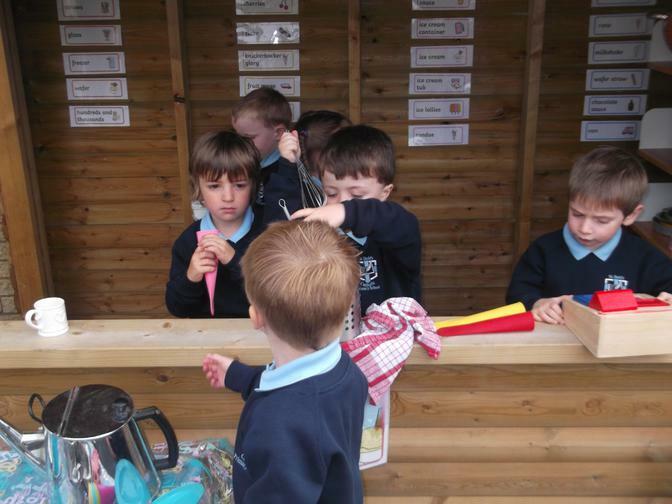 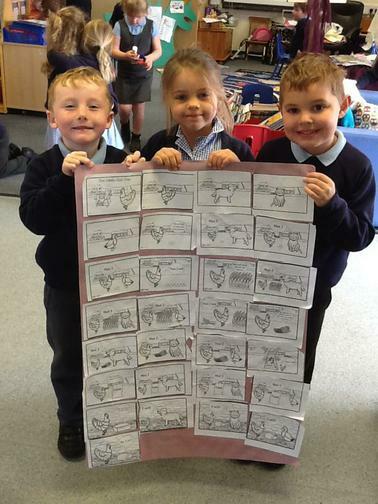 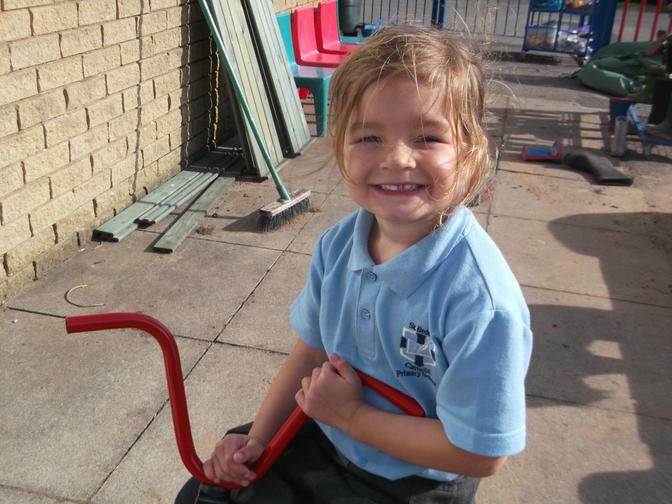 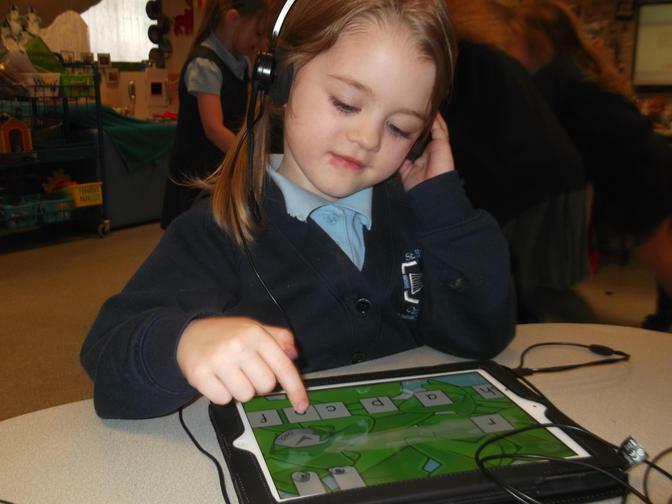 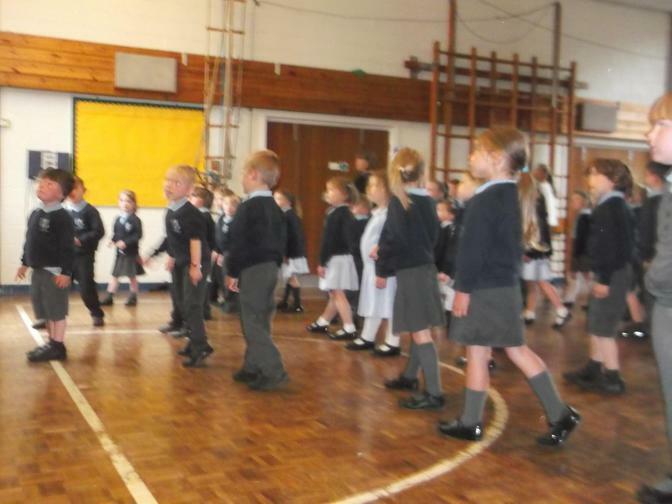 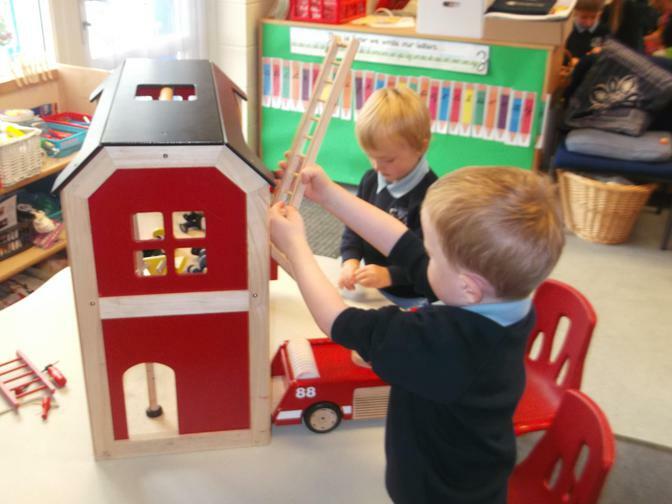 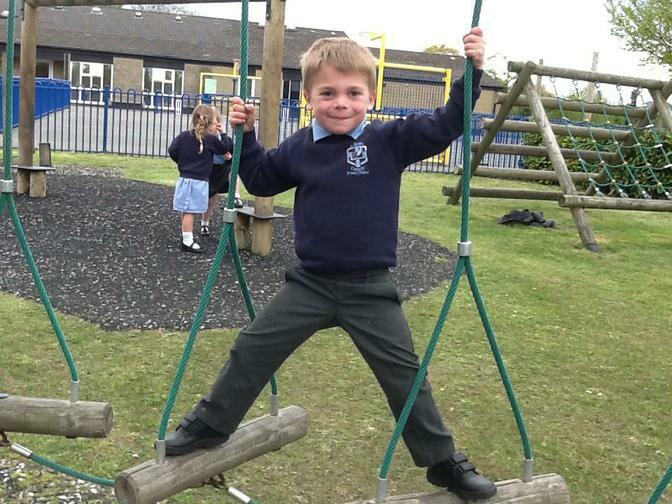 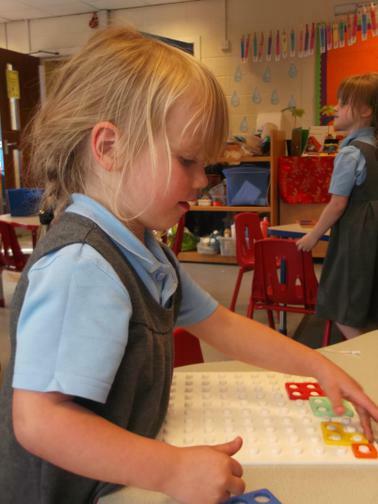 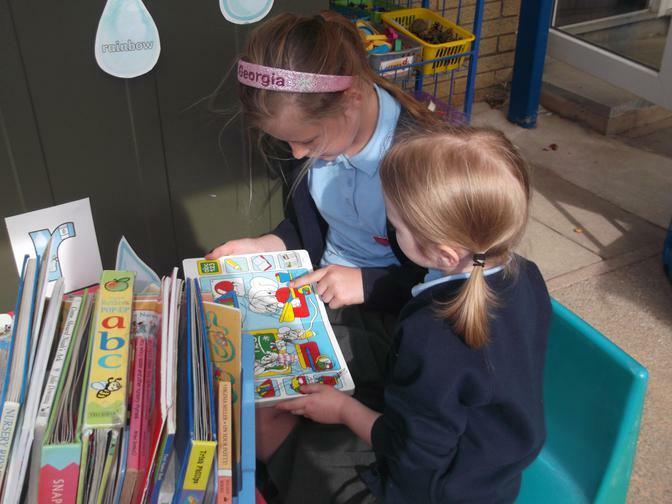 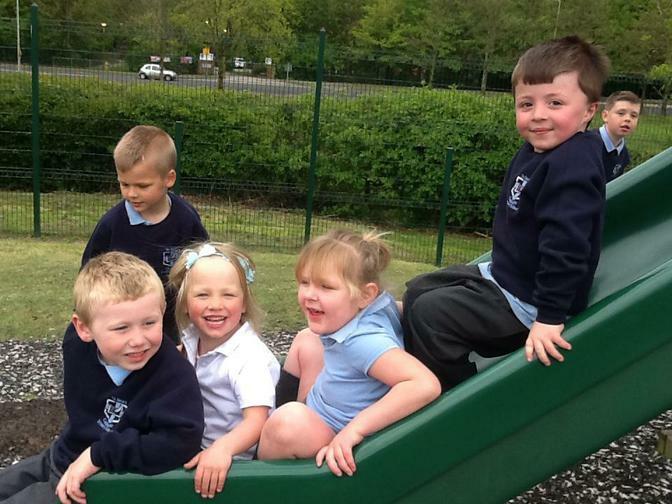 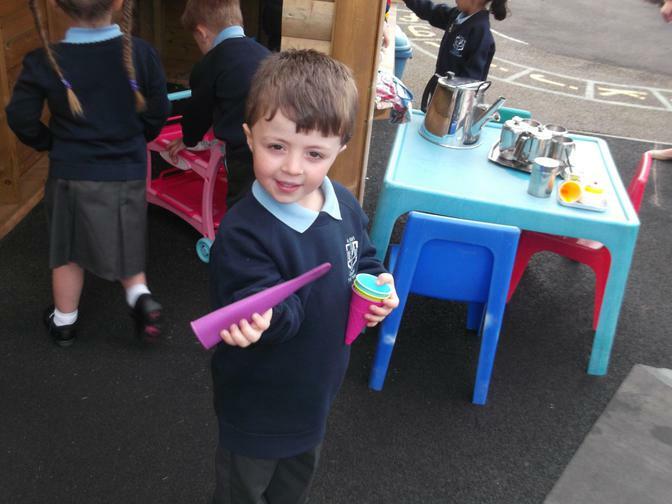 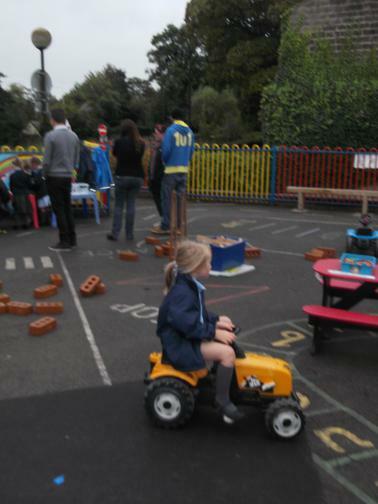 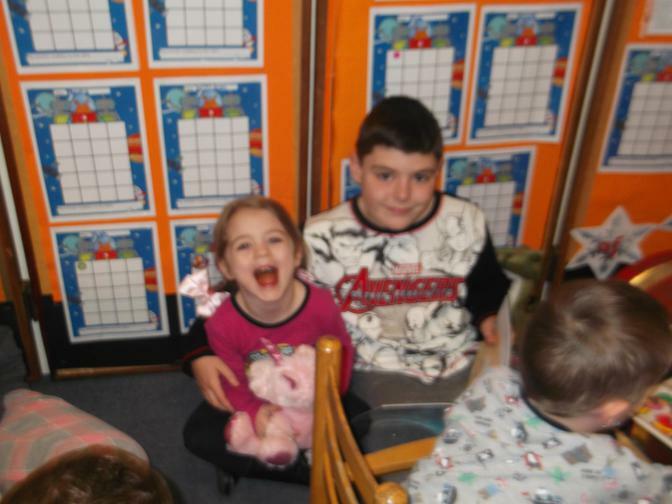 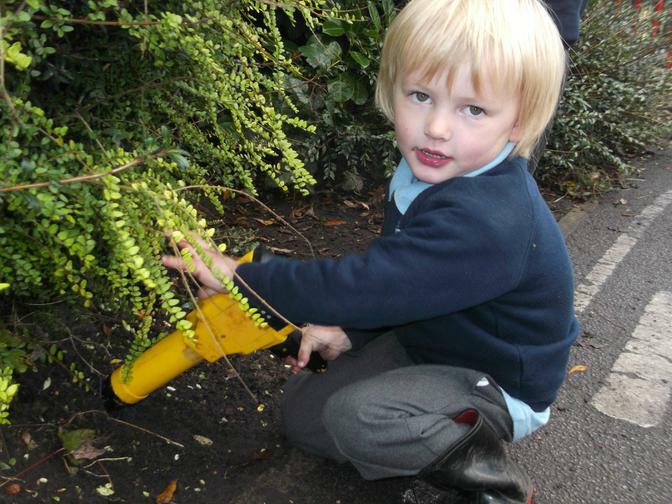 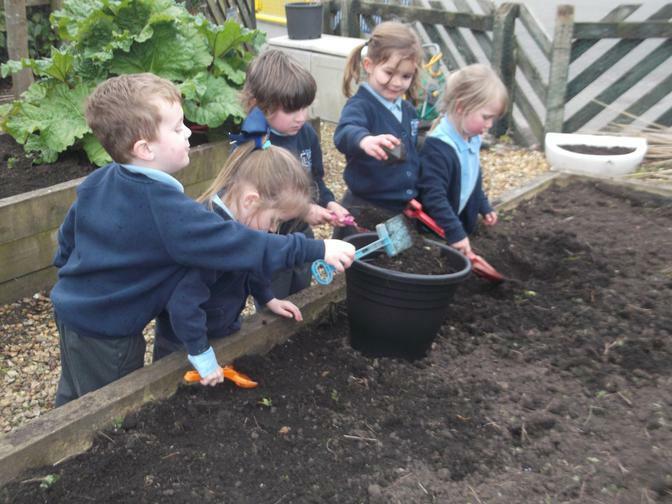 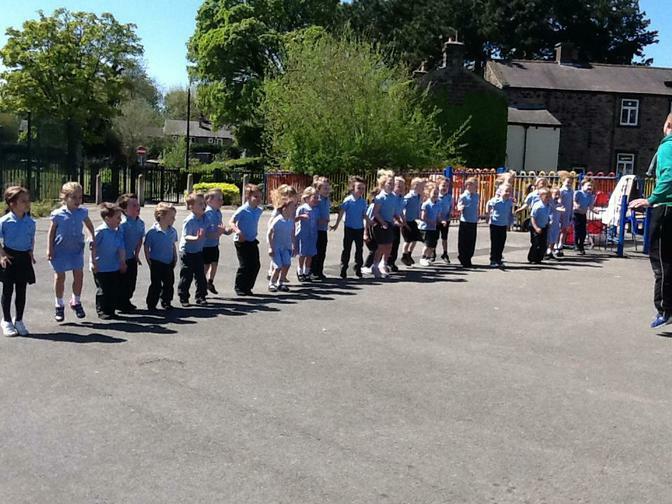 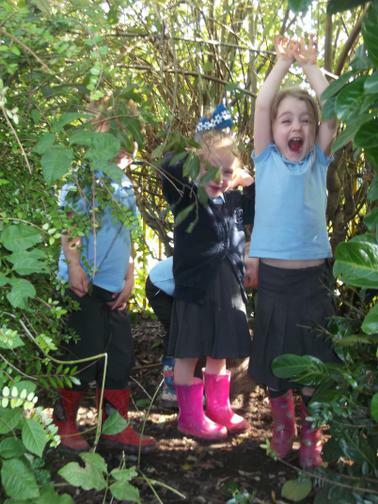 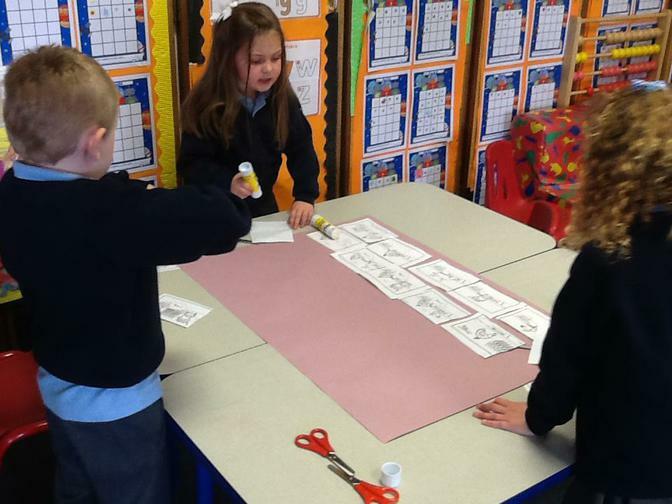 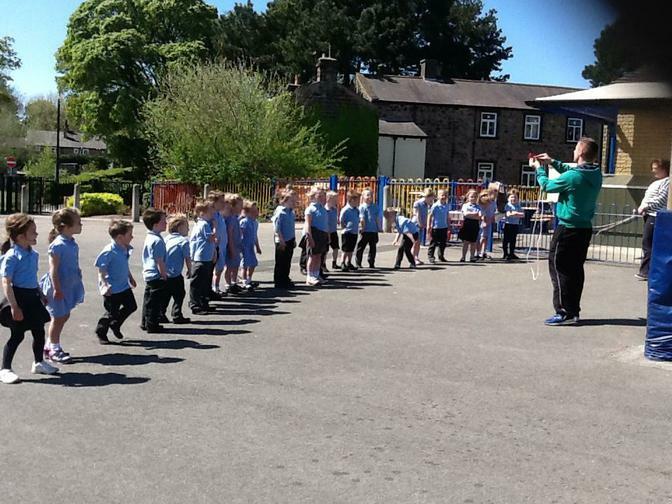 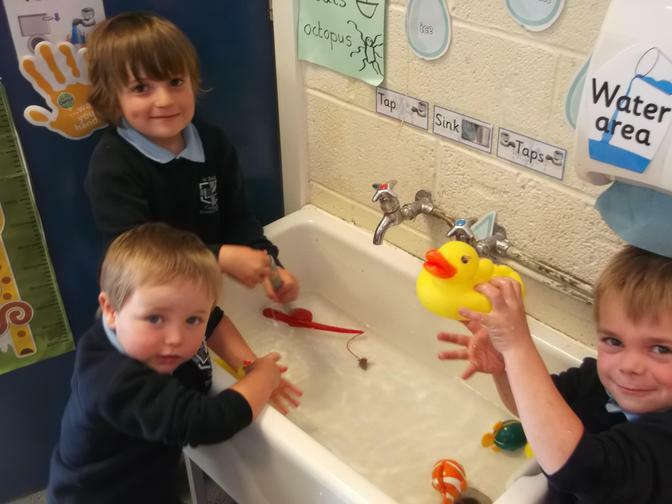 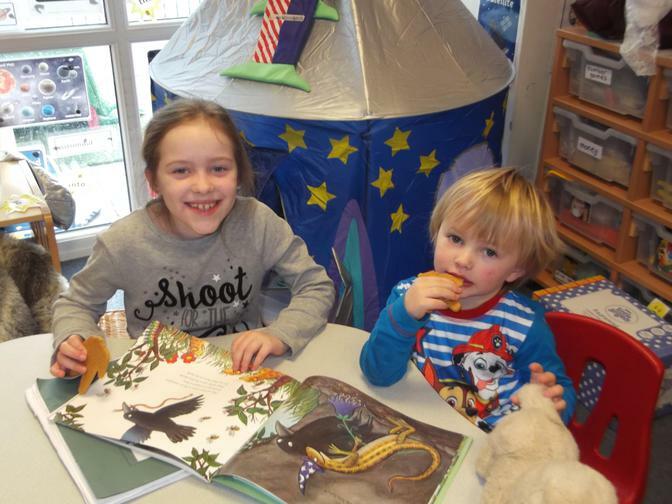 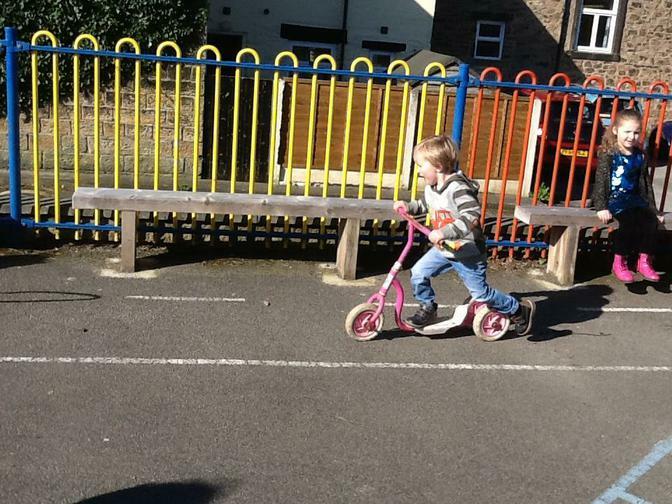 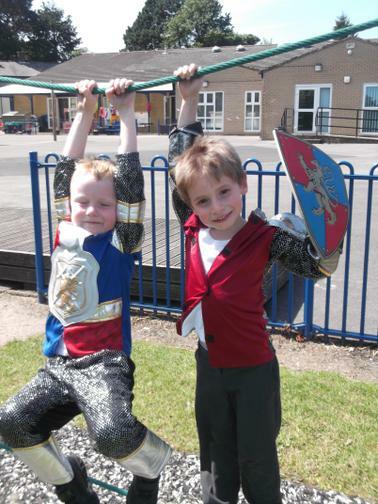 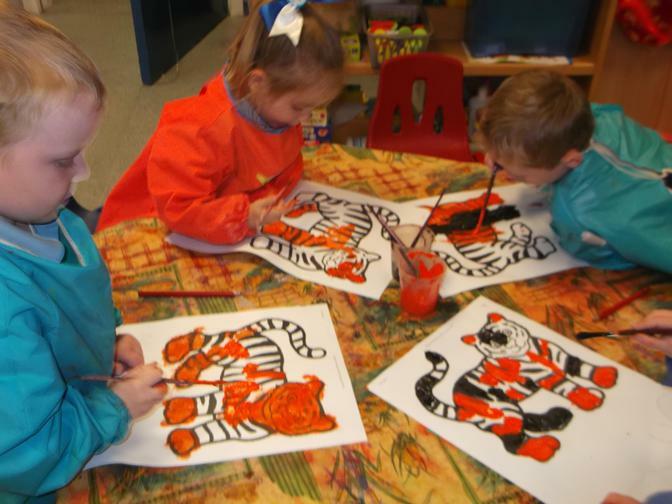 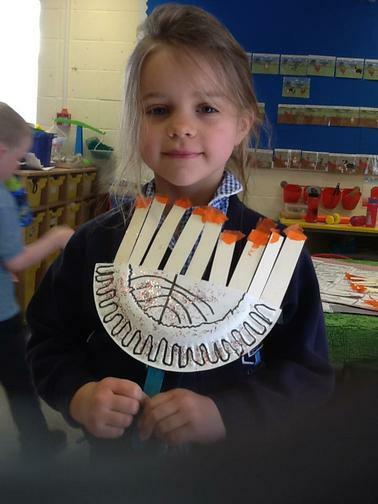 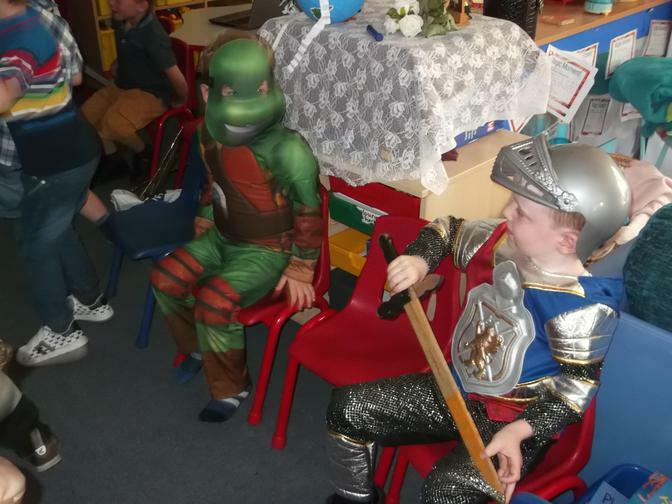 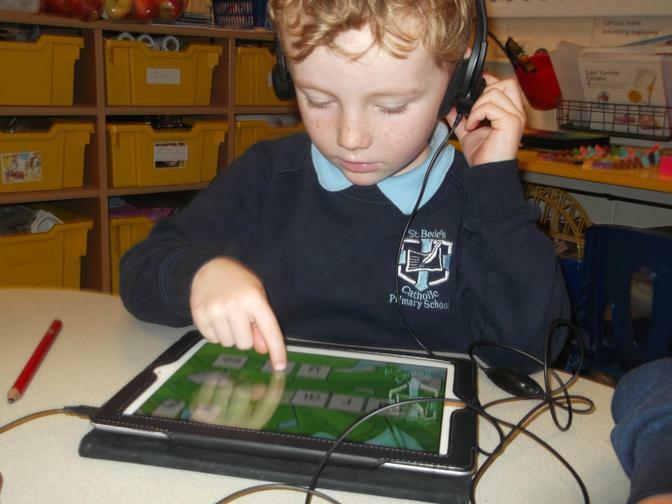 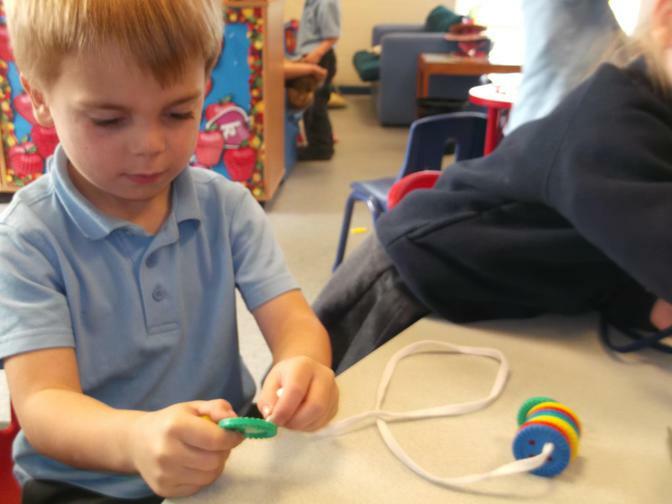 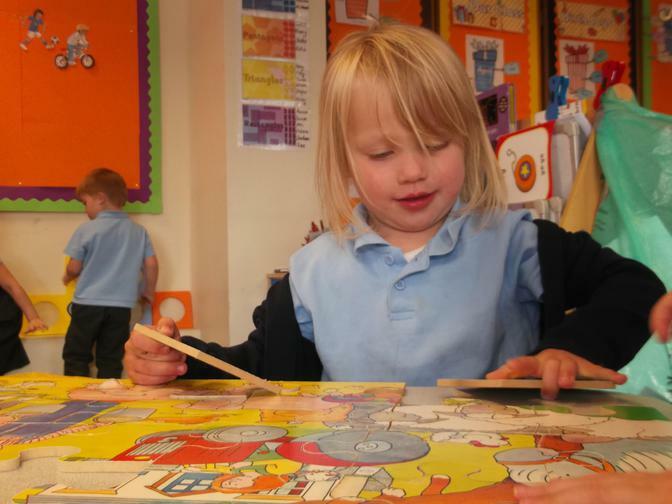 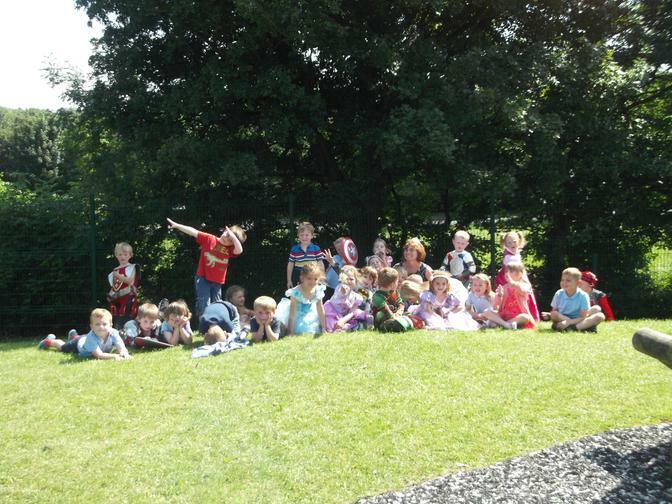 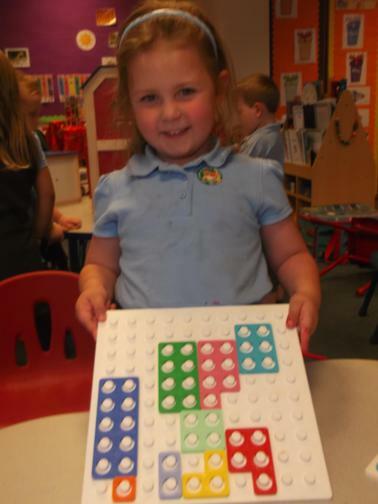 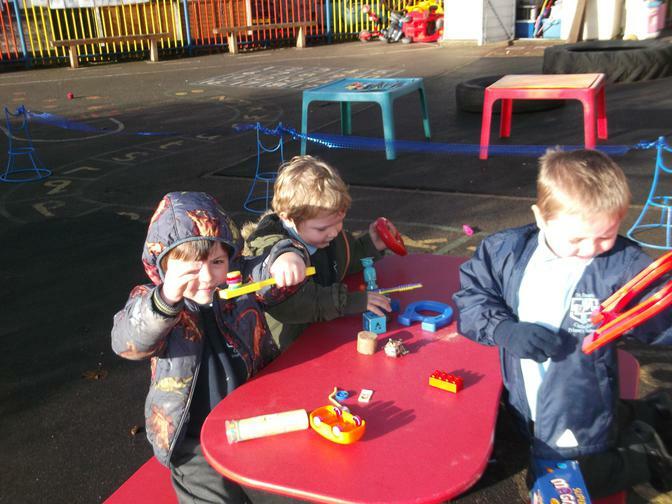 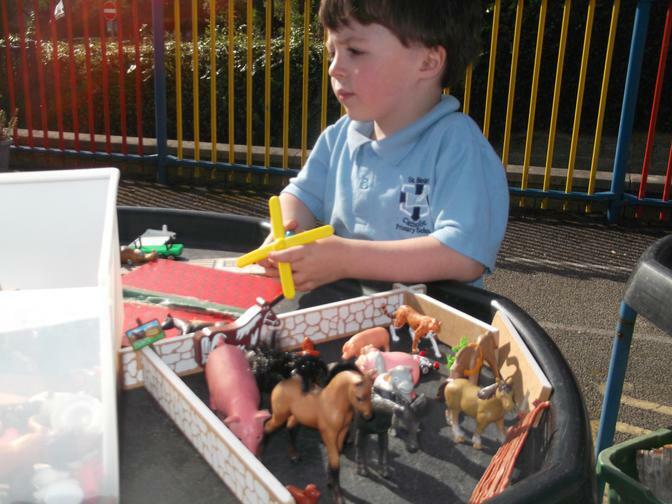 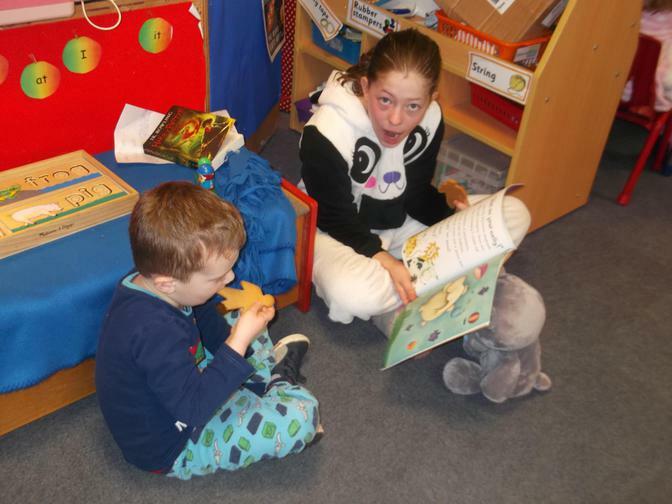 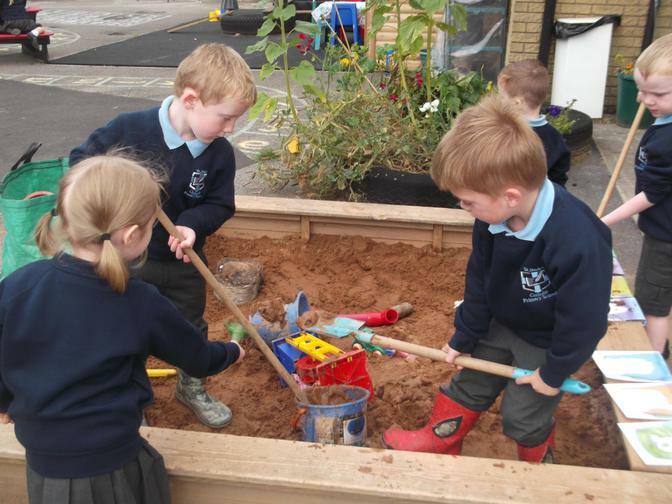 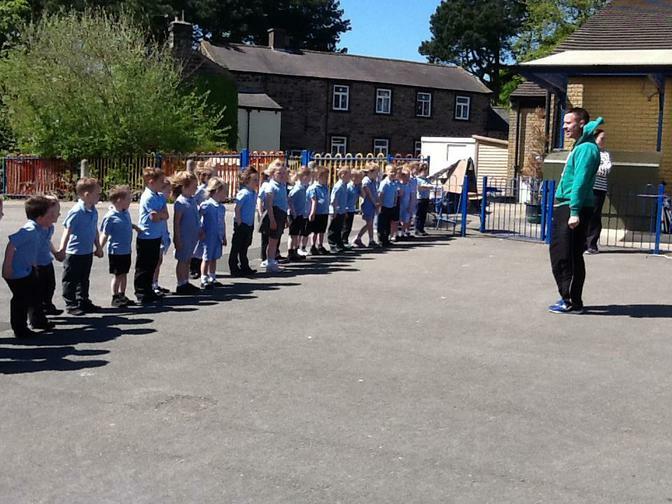 The first few weeks in our Reception class!